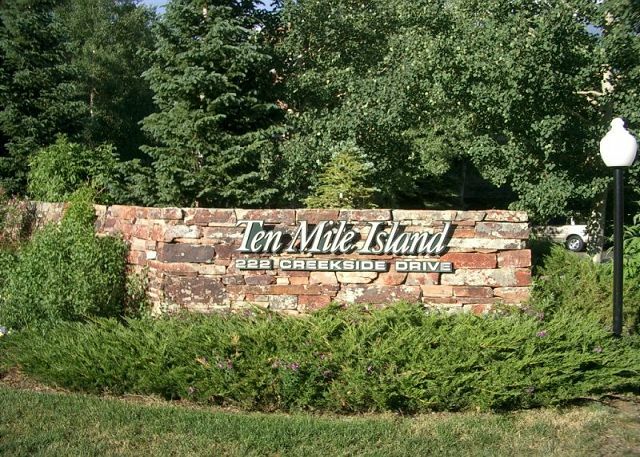 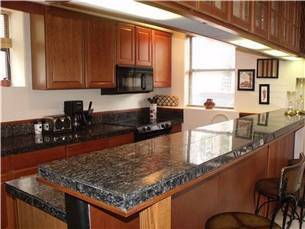 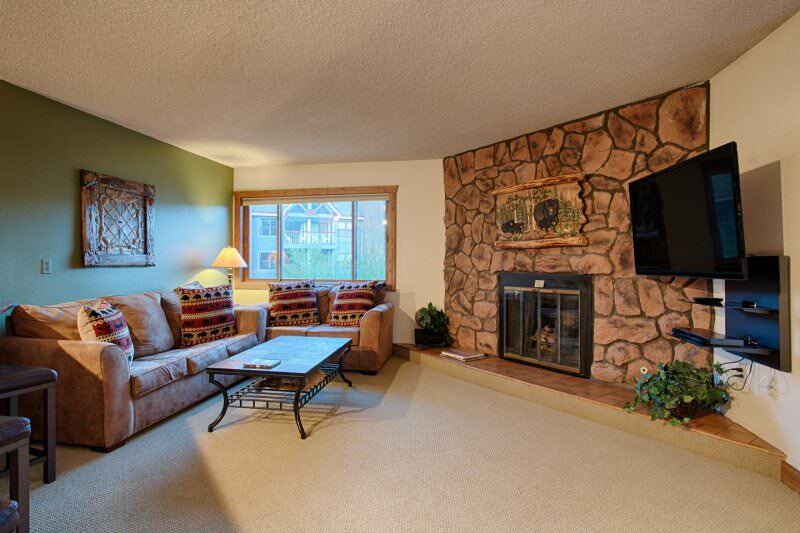 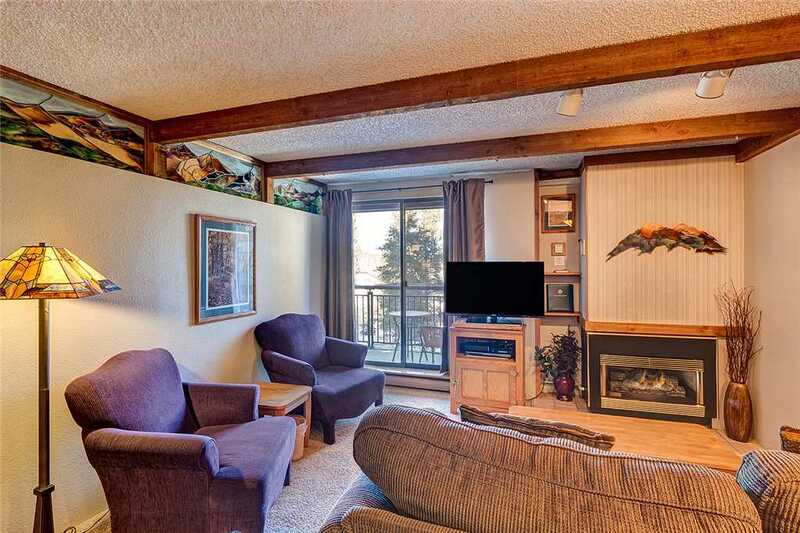 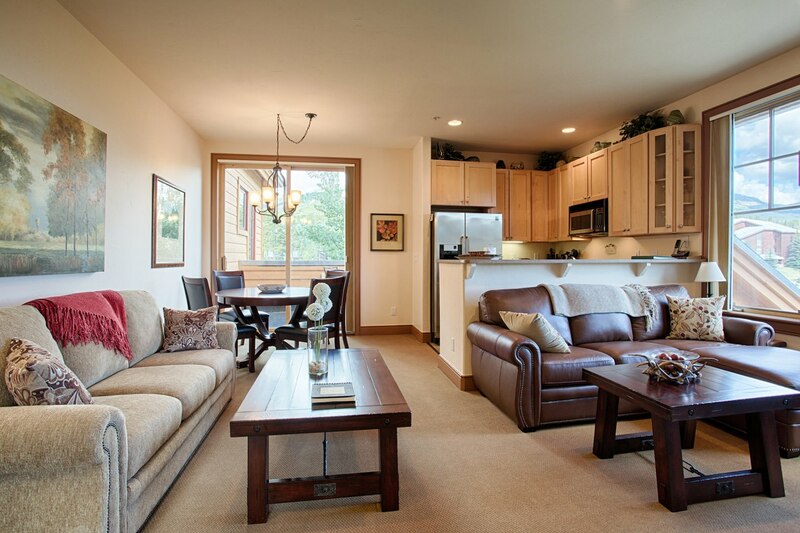 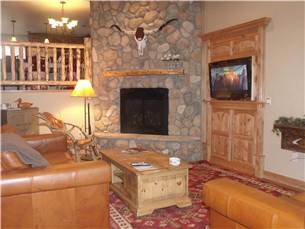 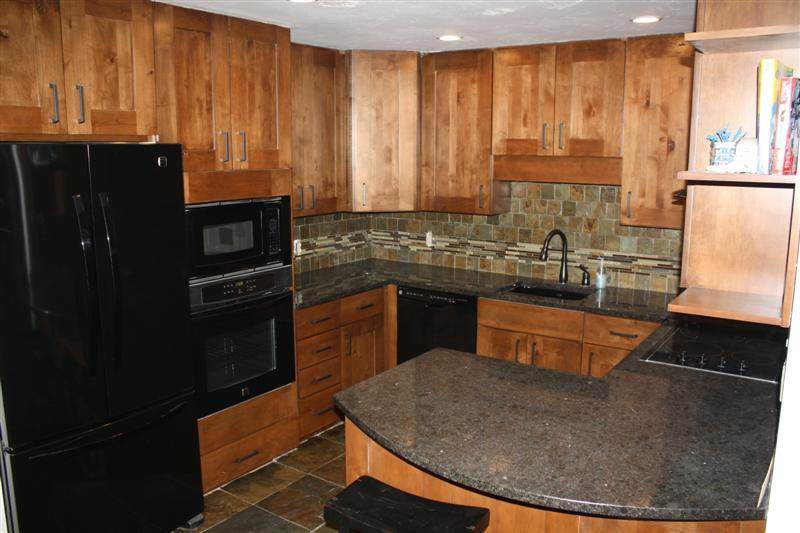 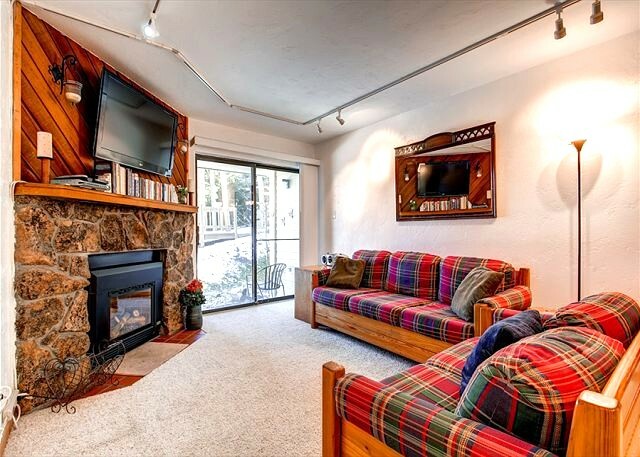 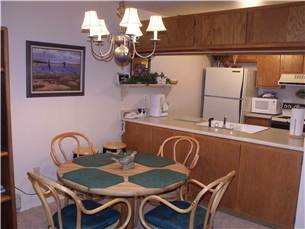 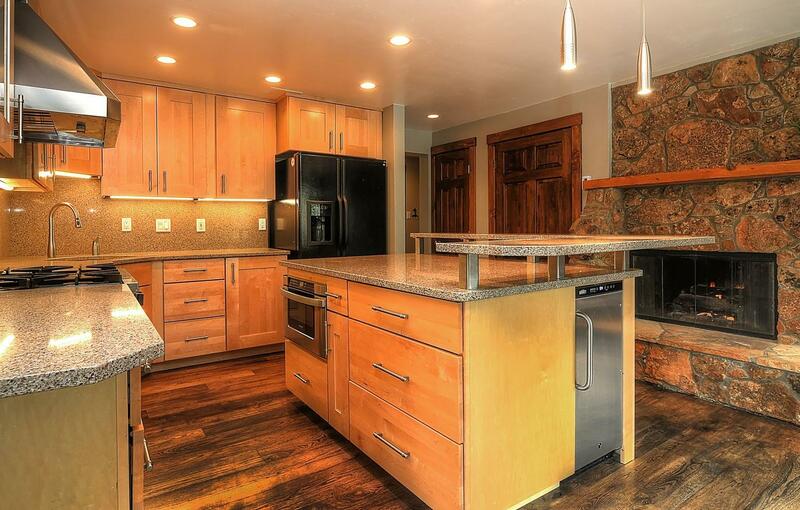 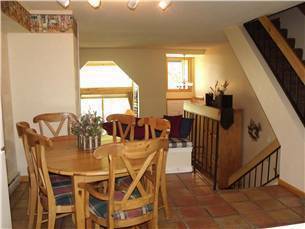 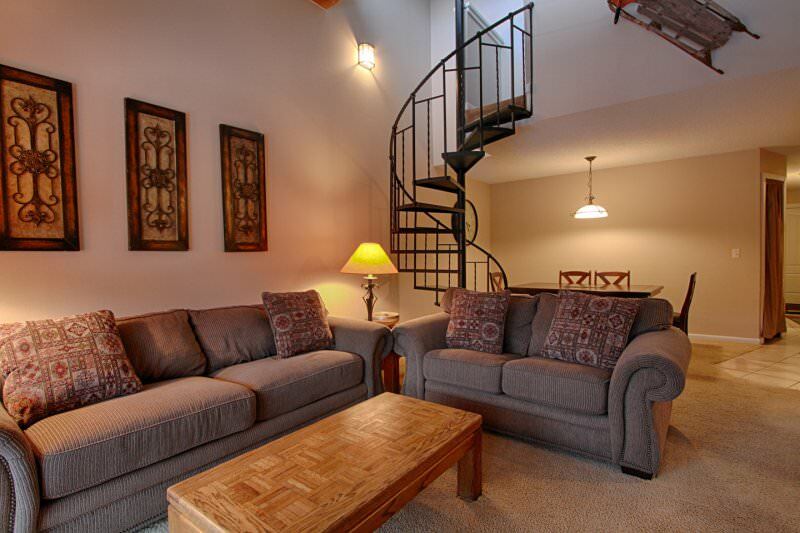 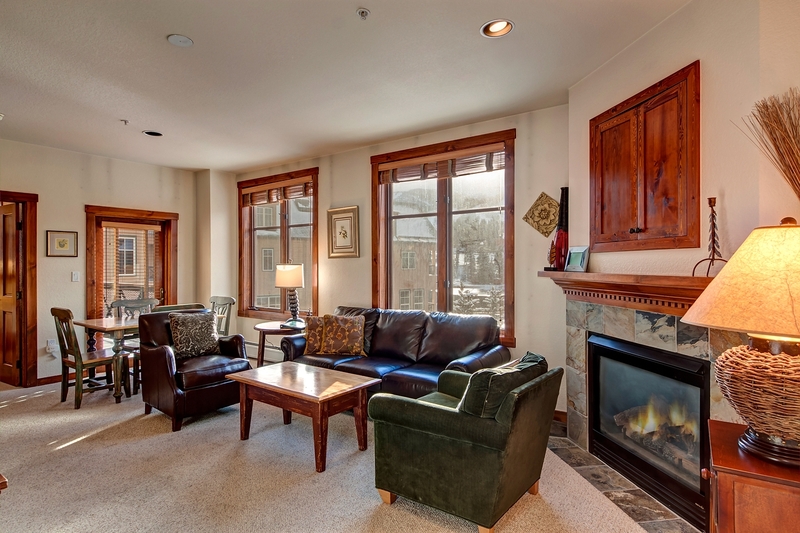 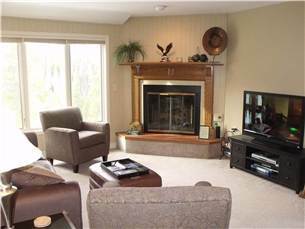 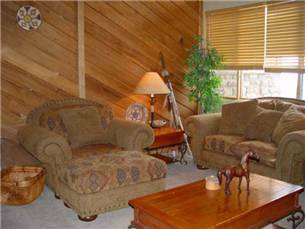 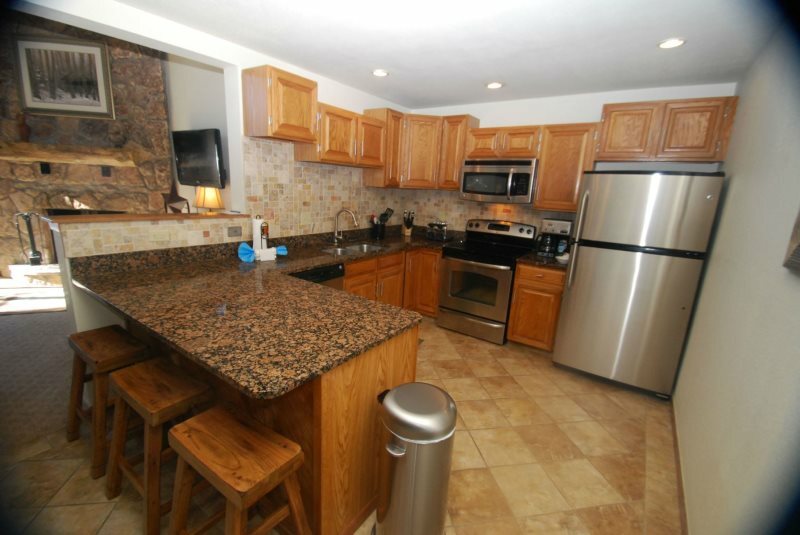 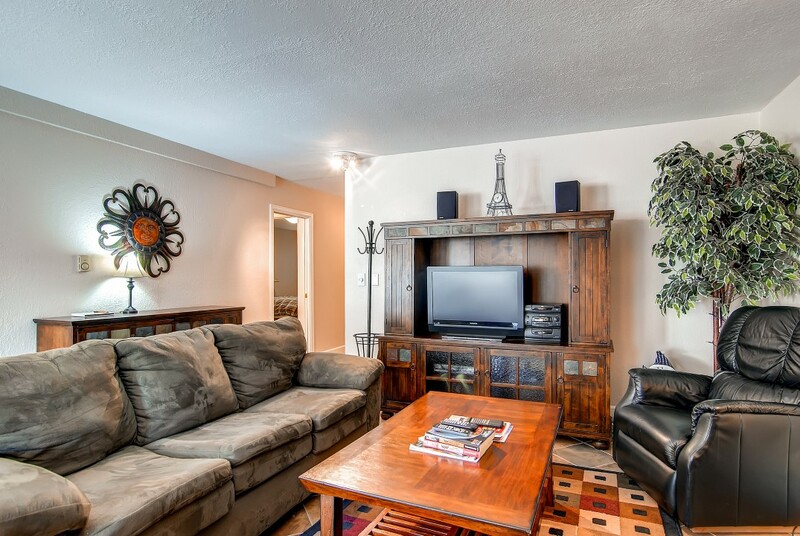 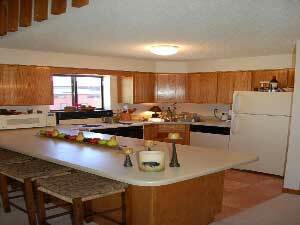 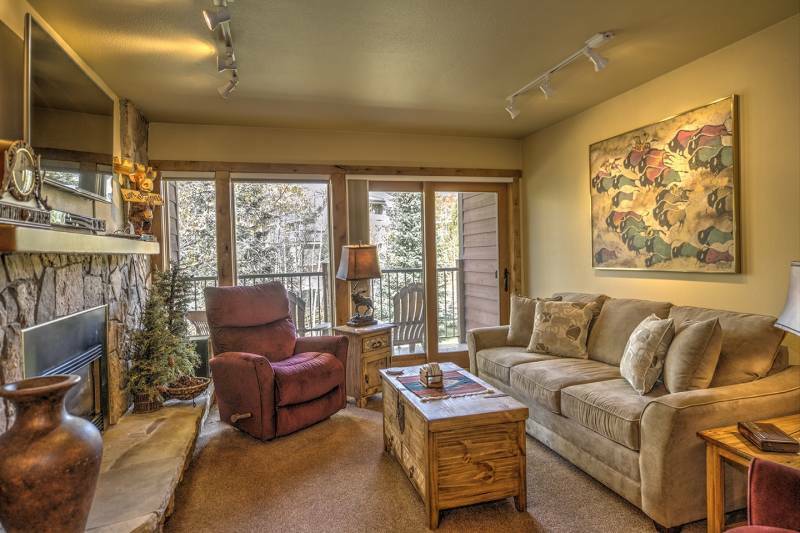 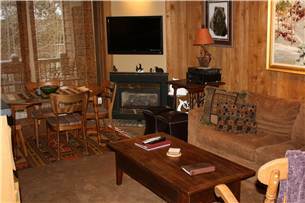 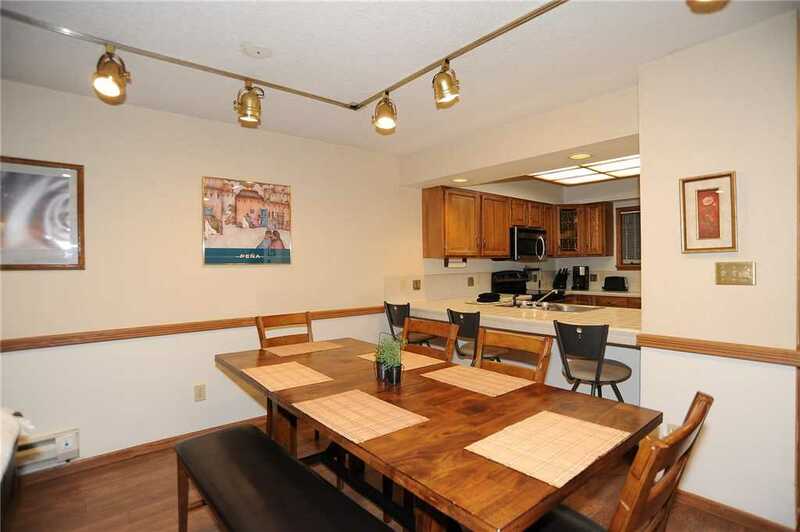 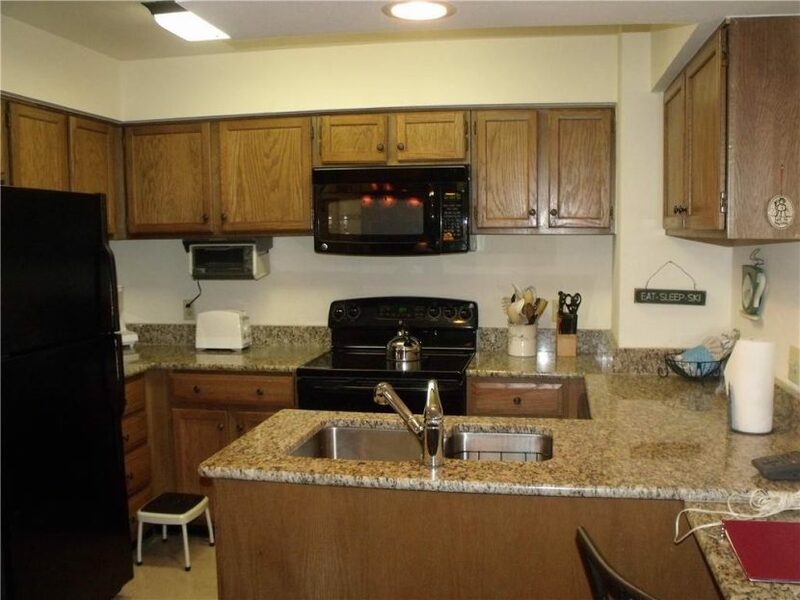 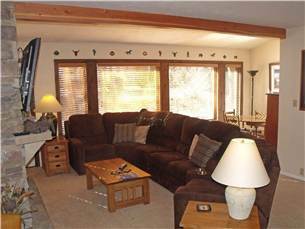 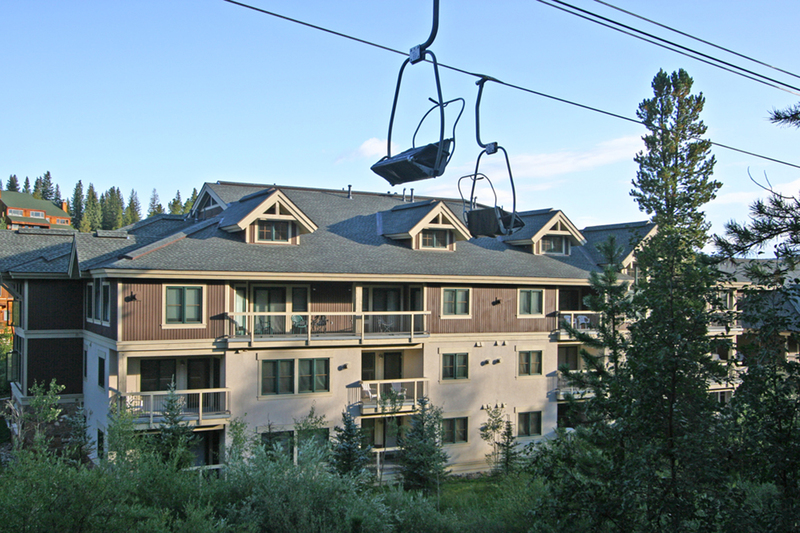 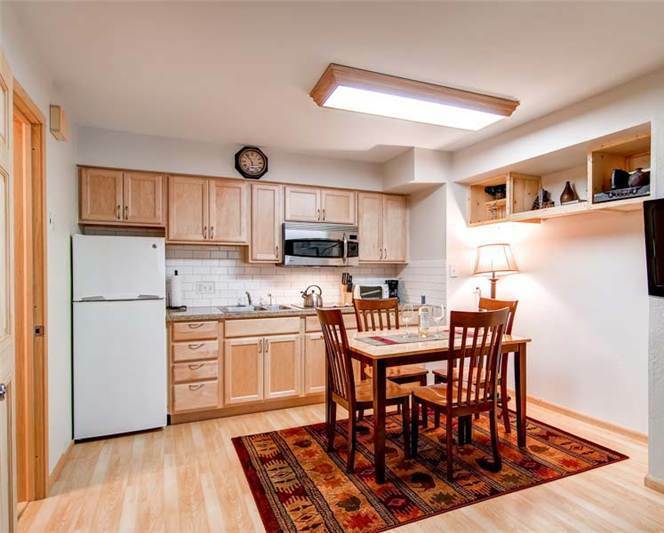 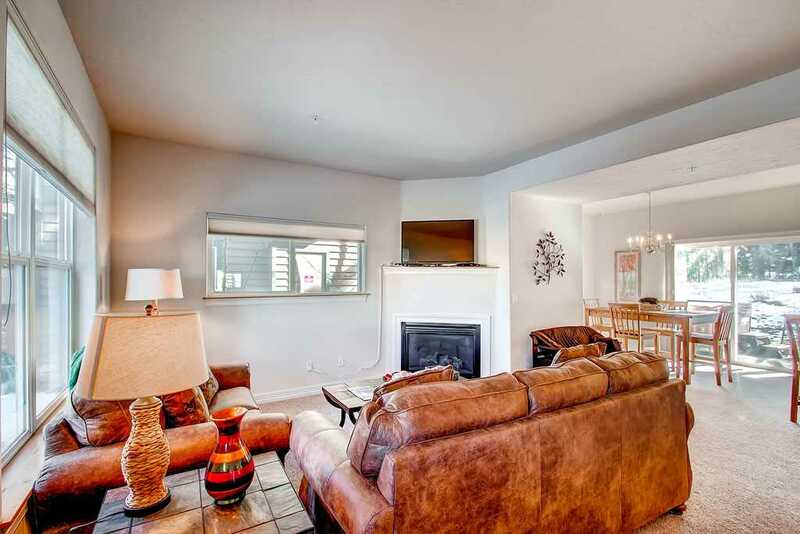 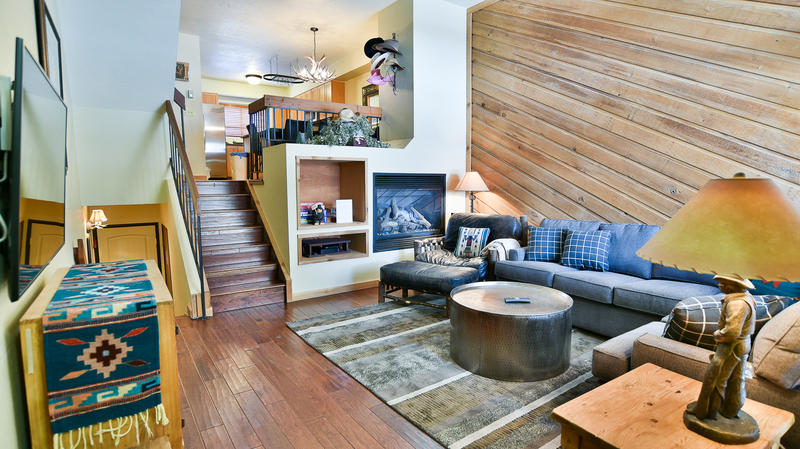 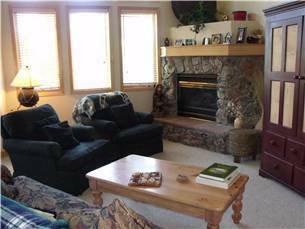 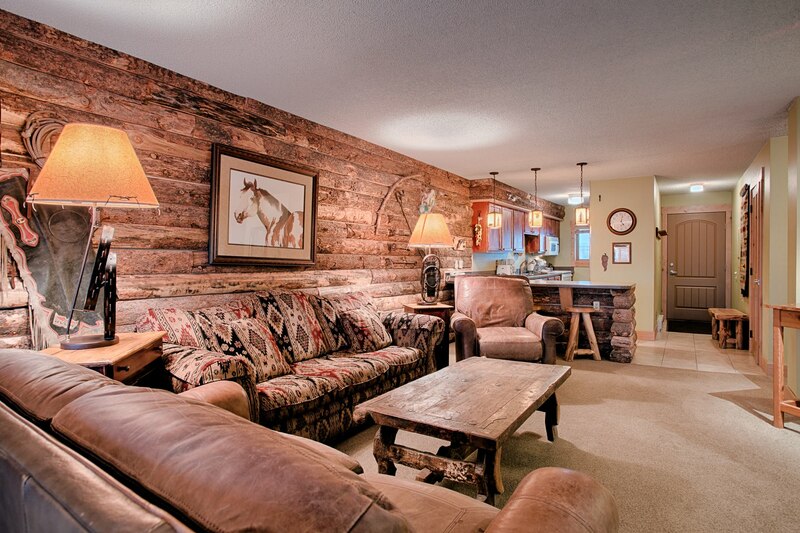 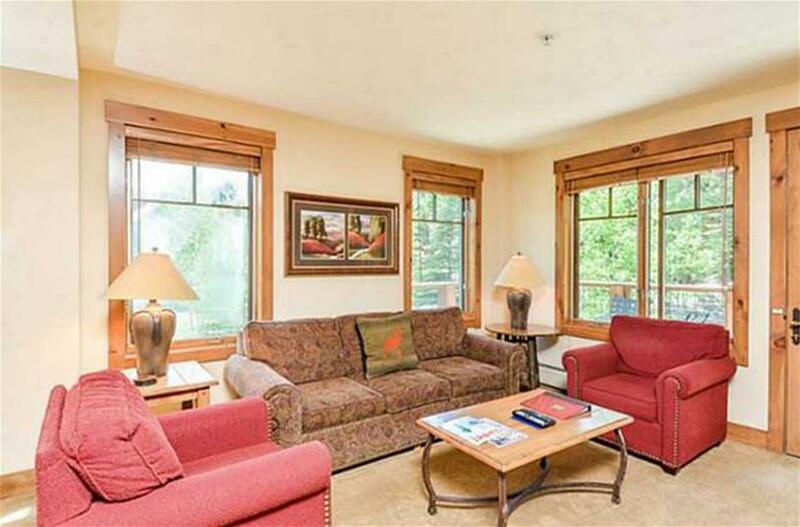 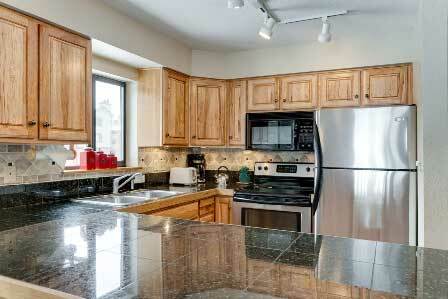 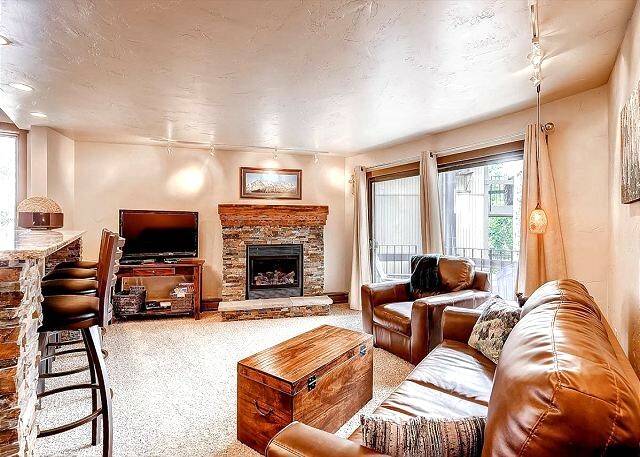 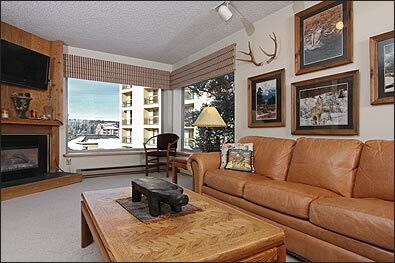 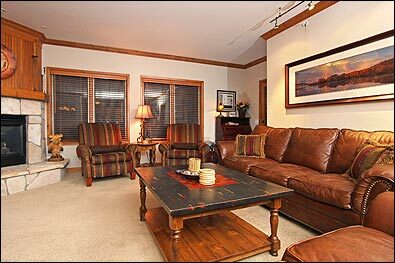 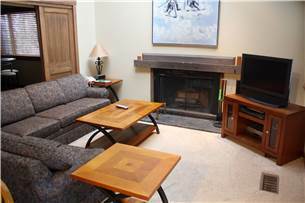 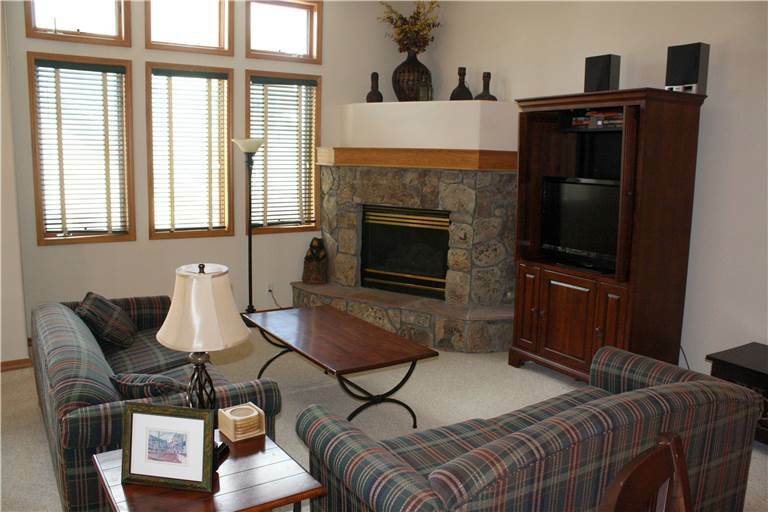 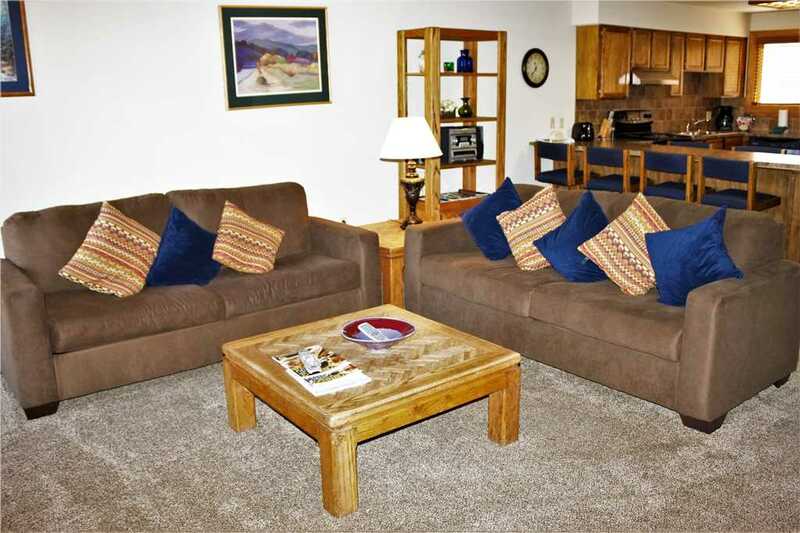 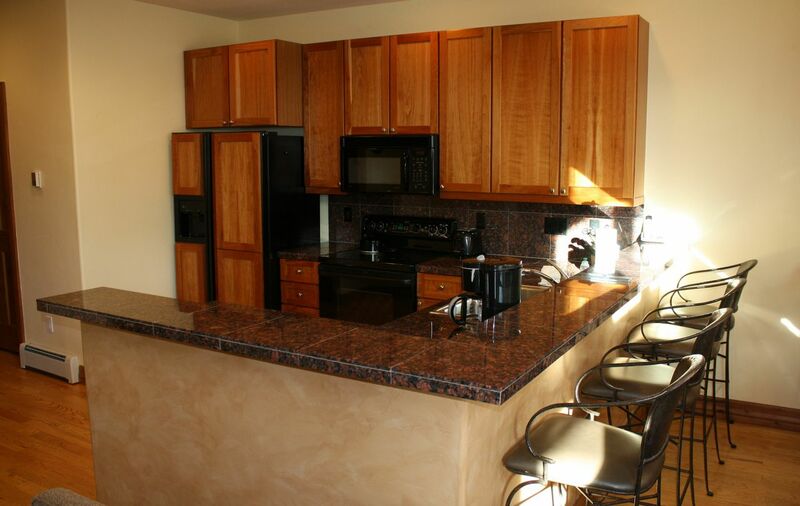 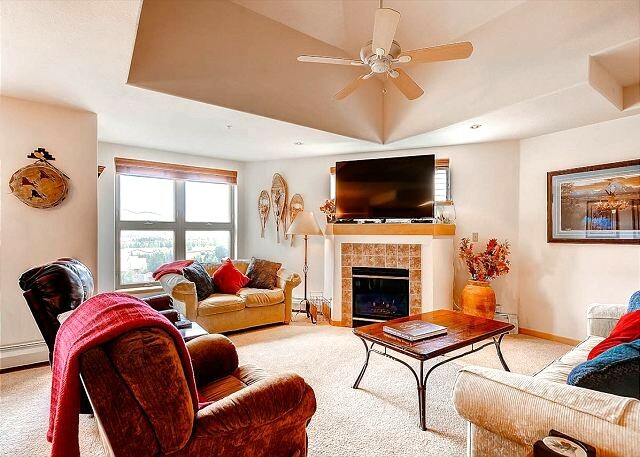 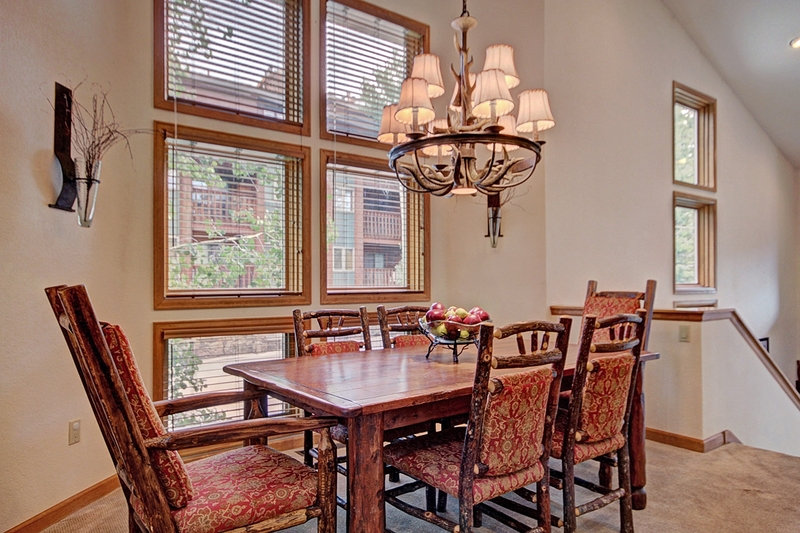 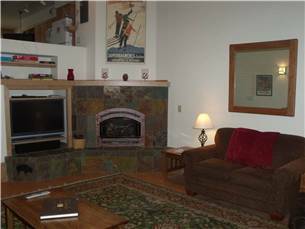 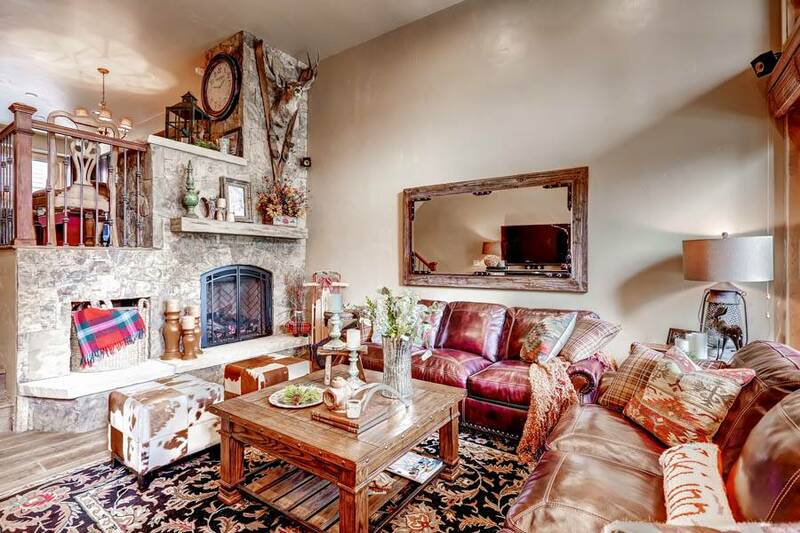 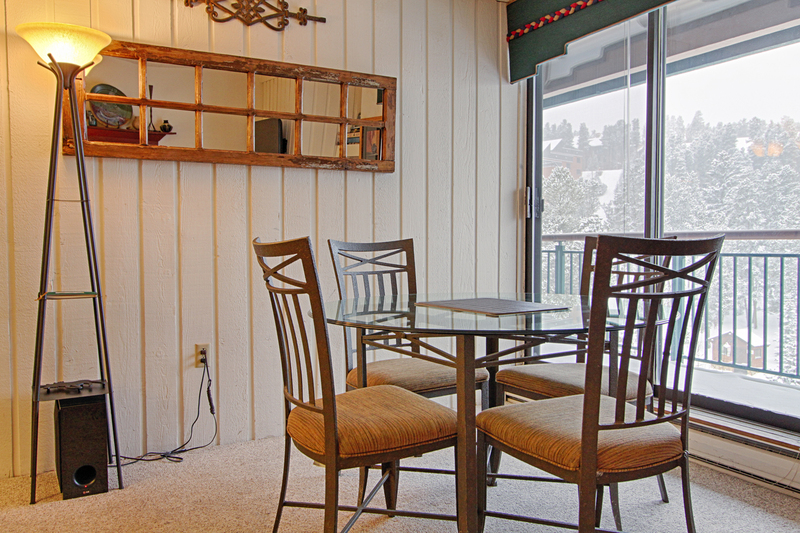 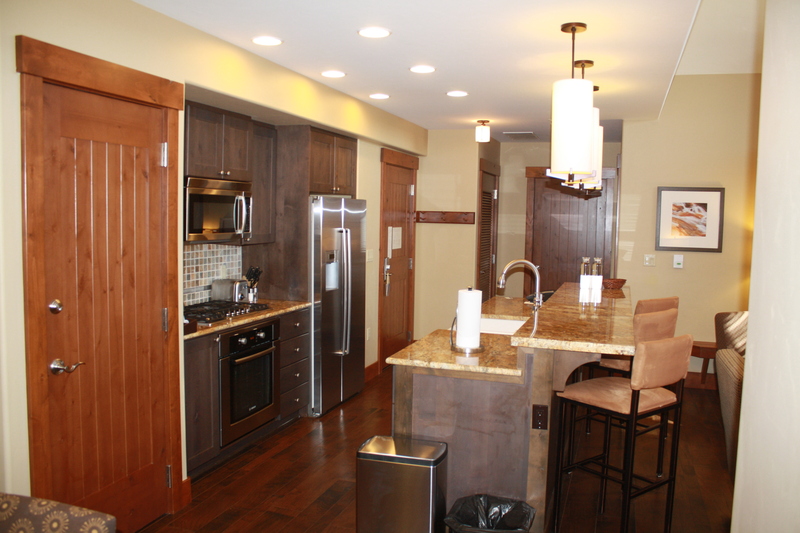 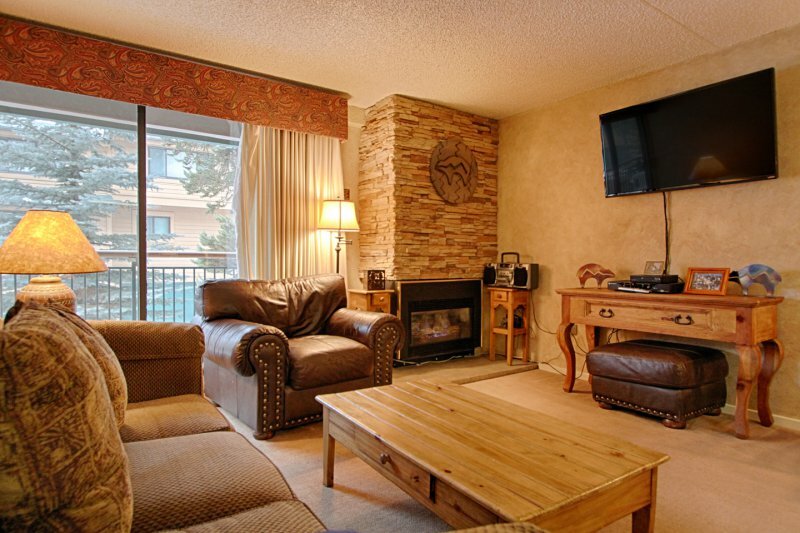 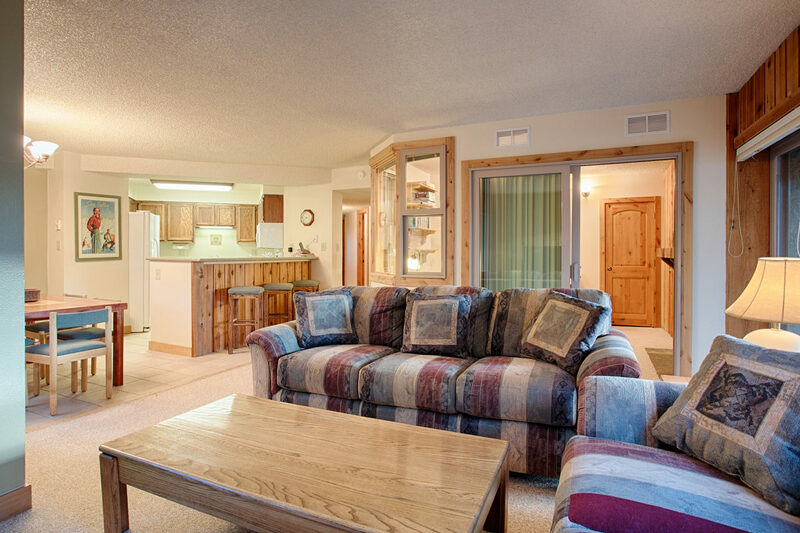 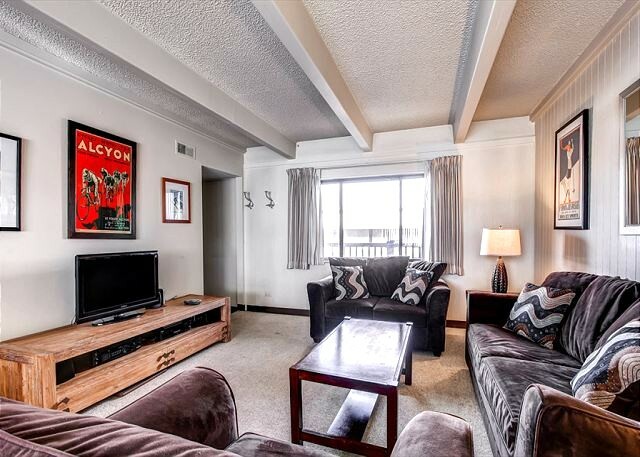 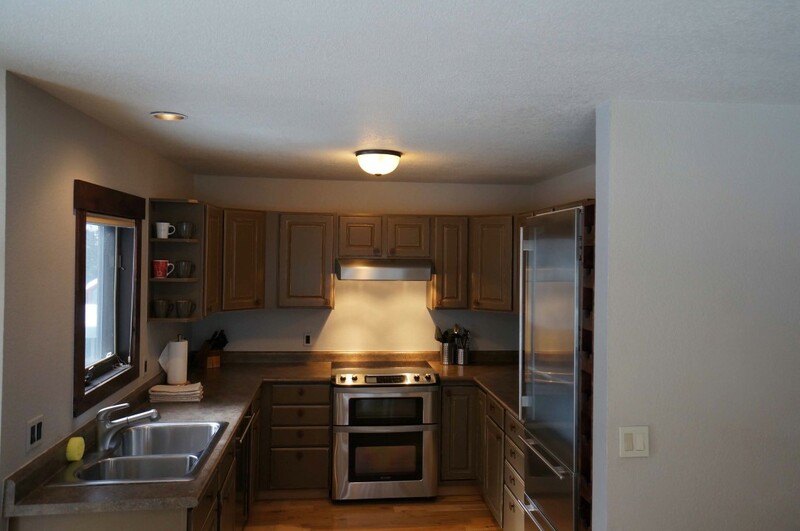 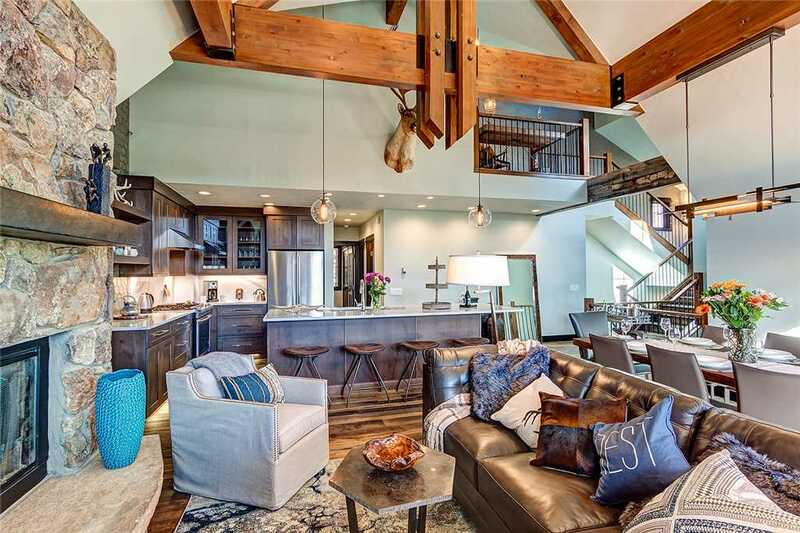 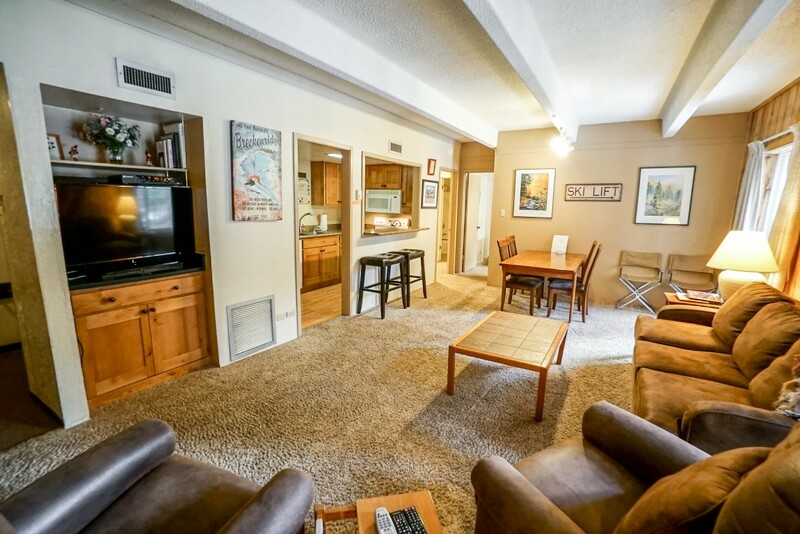 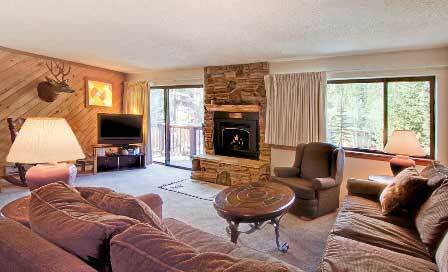 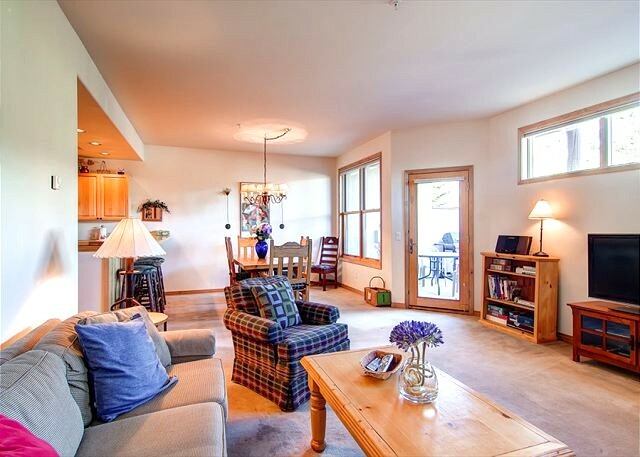 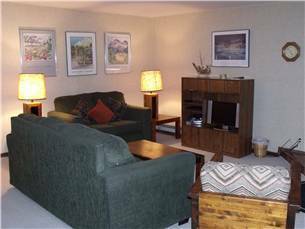 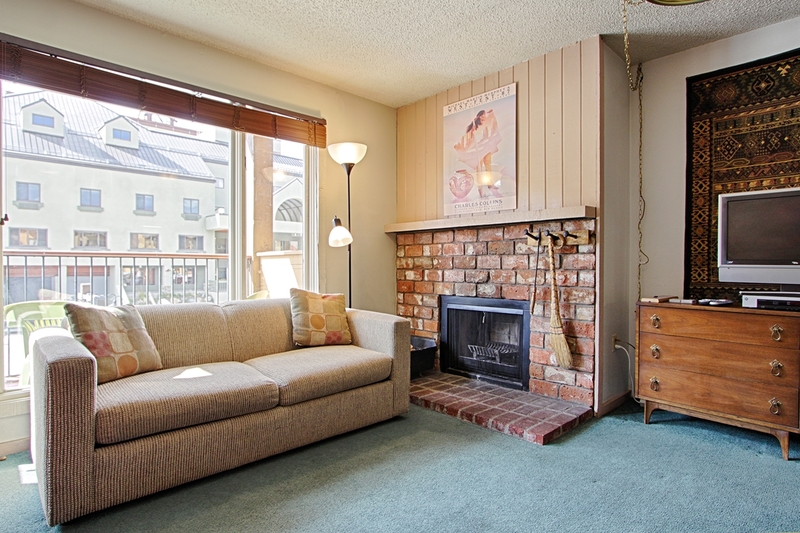 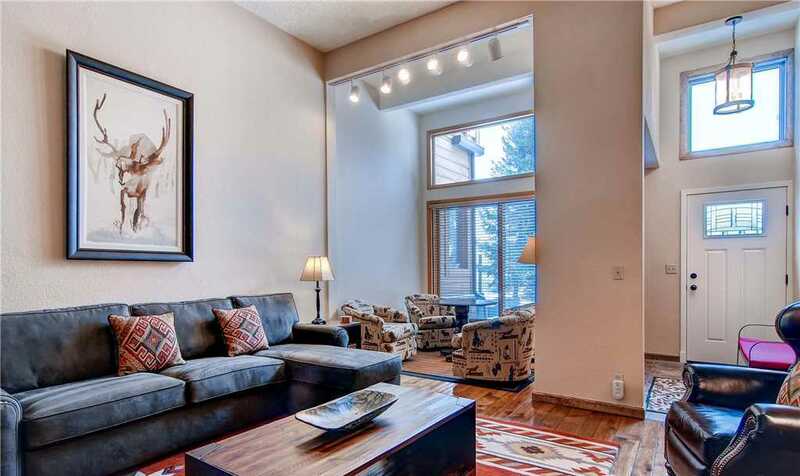 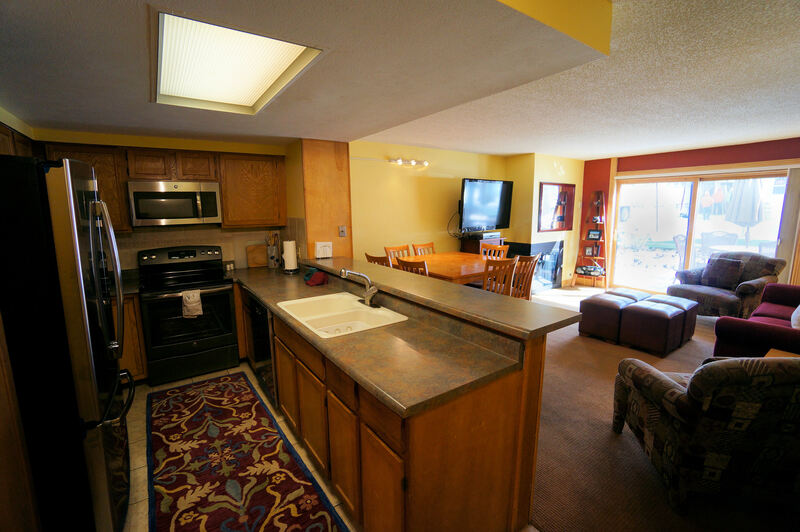 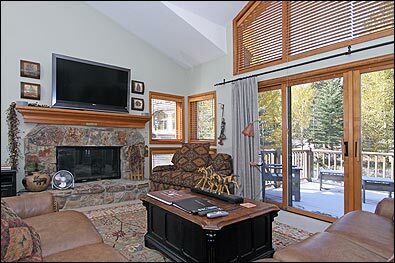 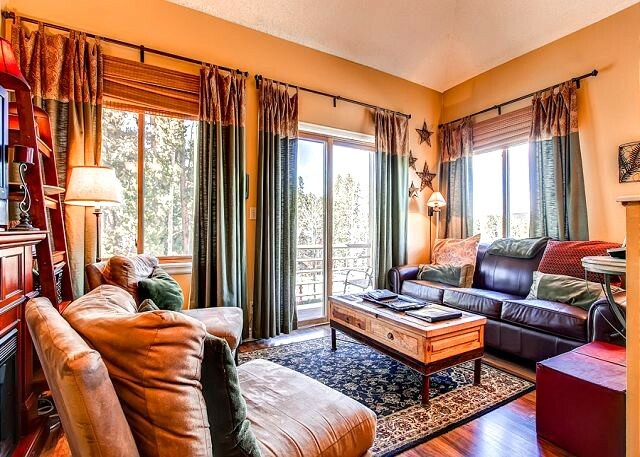 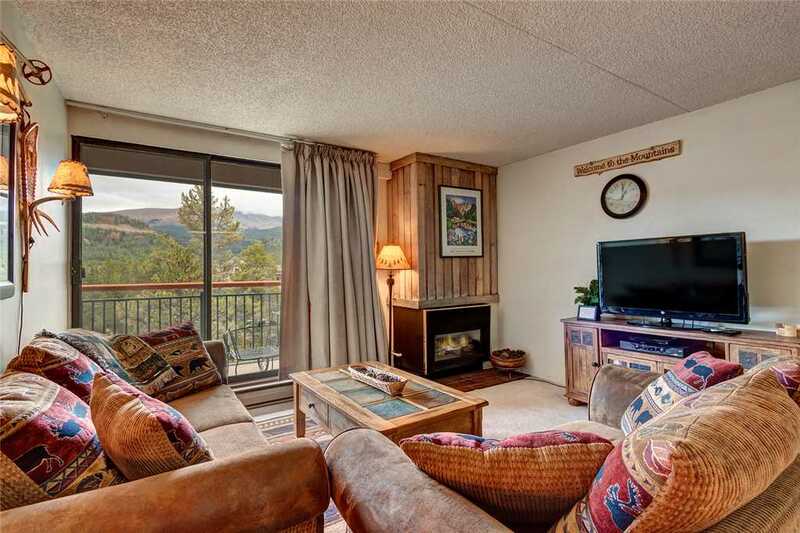 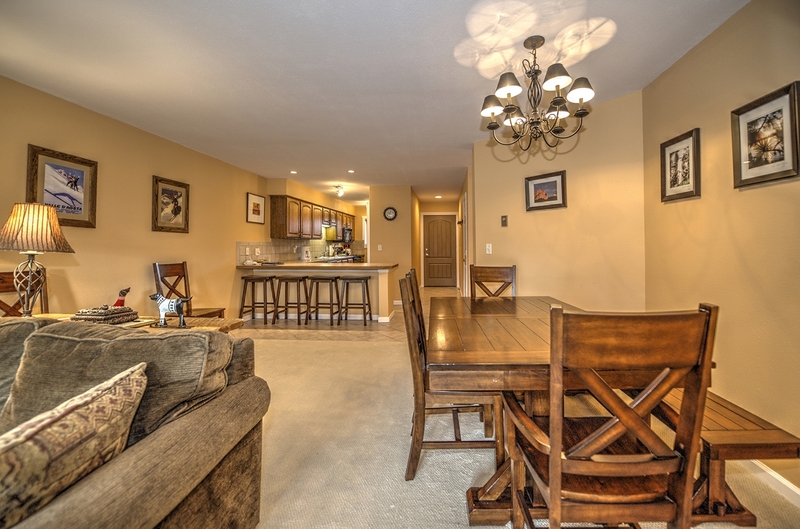 This Lances West condo is right in the center of it all and would make an ideal spot for your Breckenridge vacation. 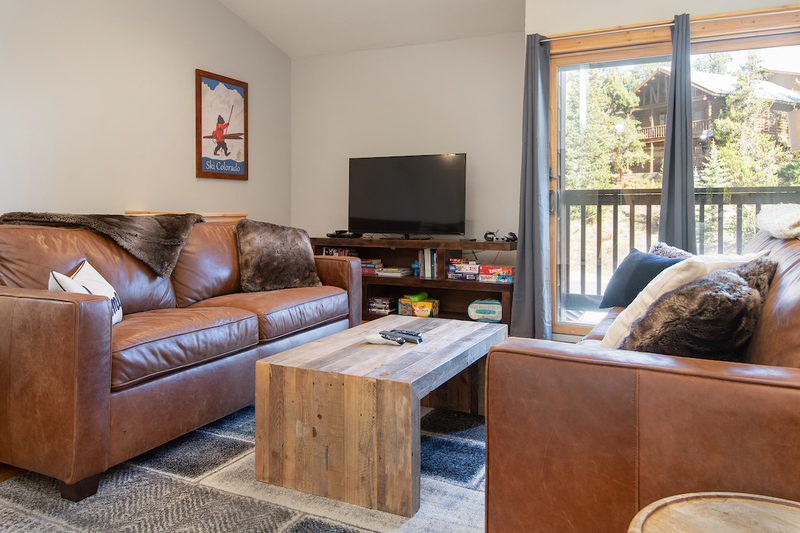 Lances West is located just across the street, and a short walk from the base of Peak 9 and the Quicksilver lift for the ultimate ski convenience without the huge price tag of ski in and out. 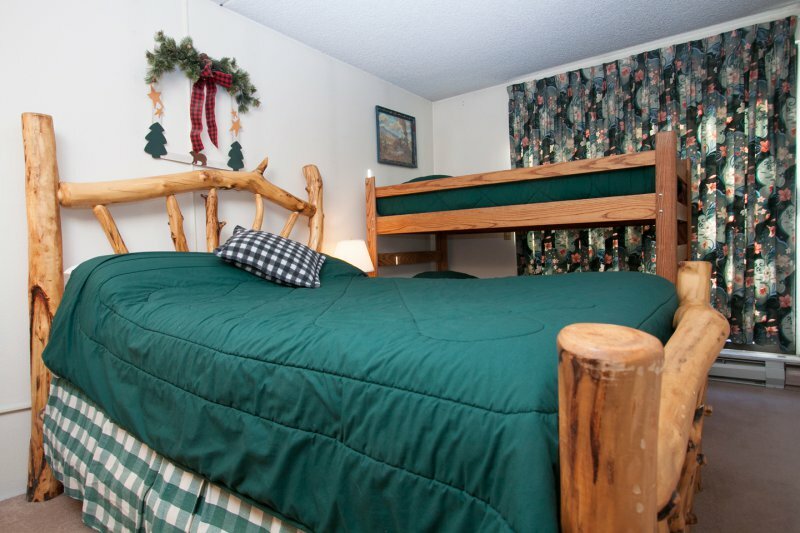 Or hop on the bus just across the street which will take you to any of our base areas. 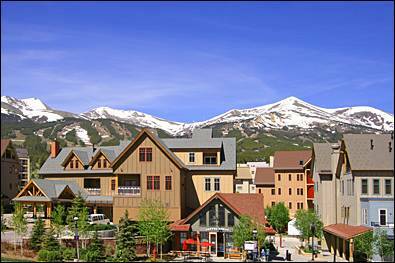 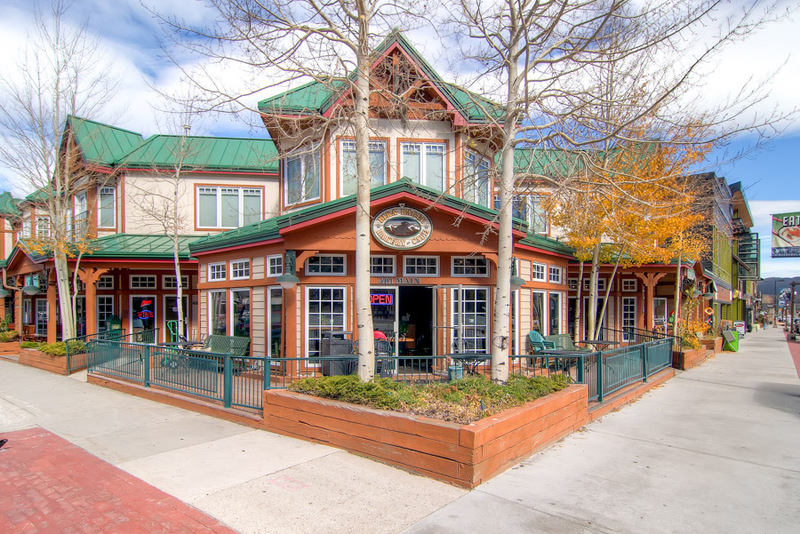 You can also walk to town and experience Main Street Breckenridge and the multitude of experiences that await you. 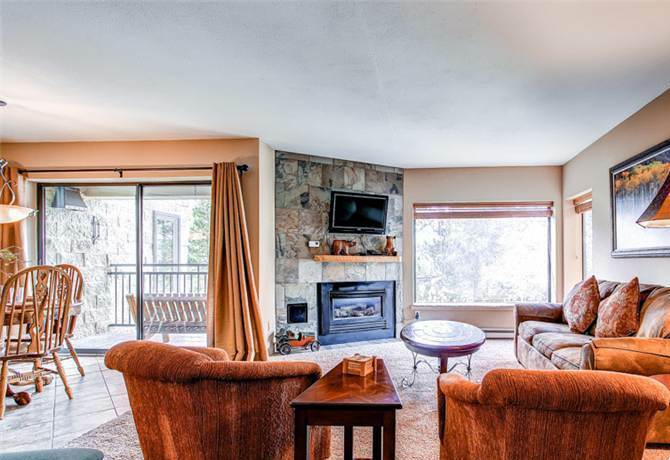 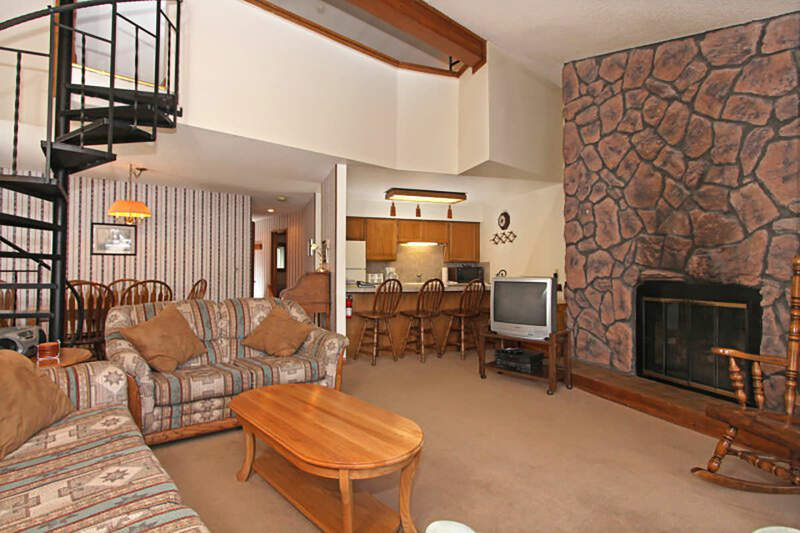 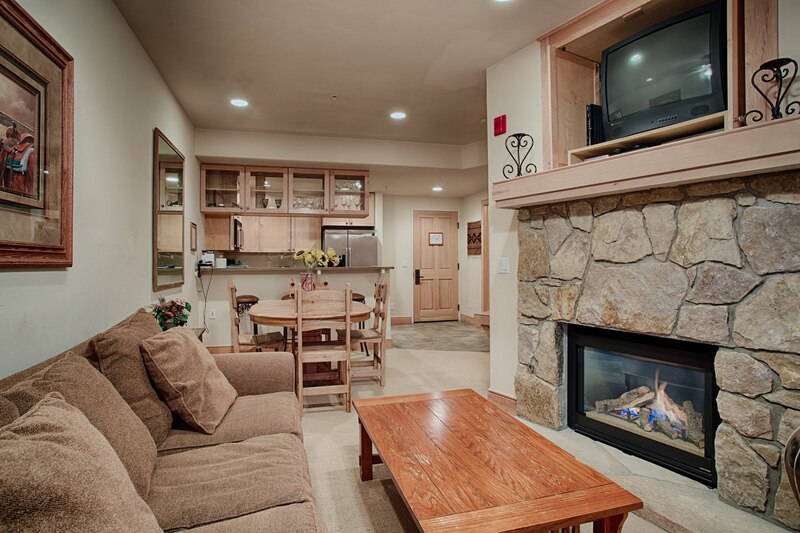 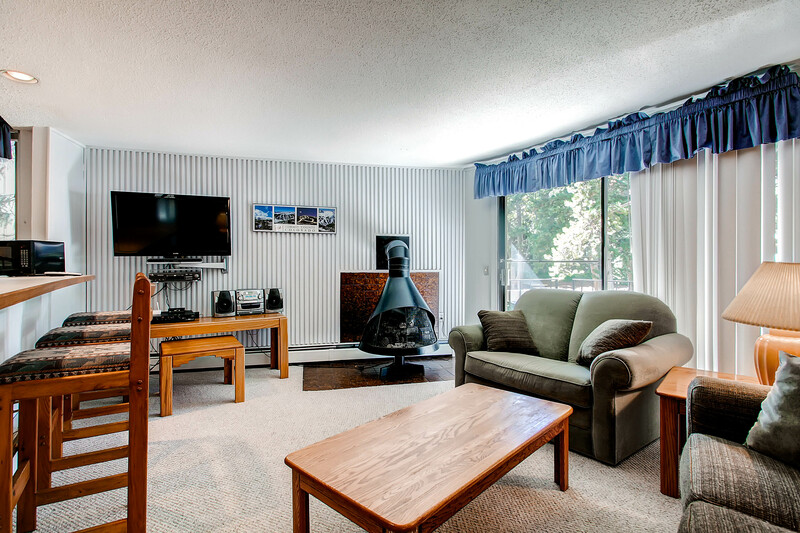 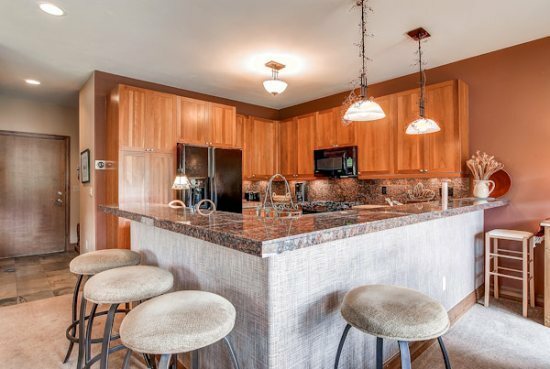 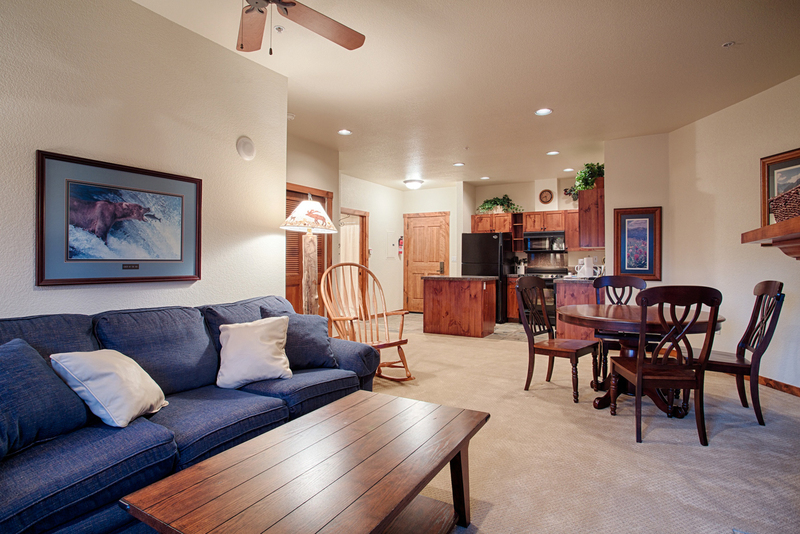 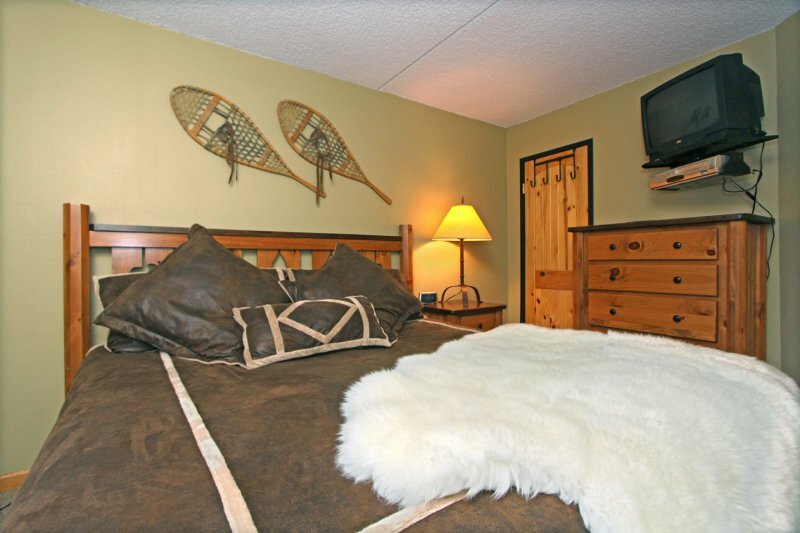 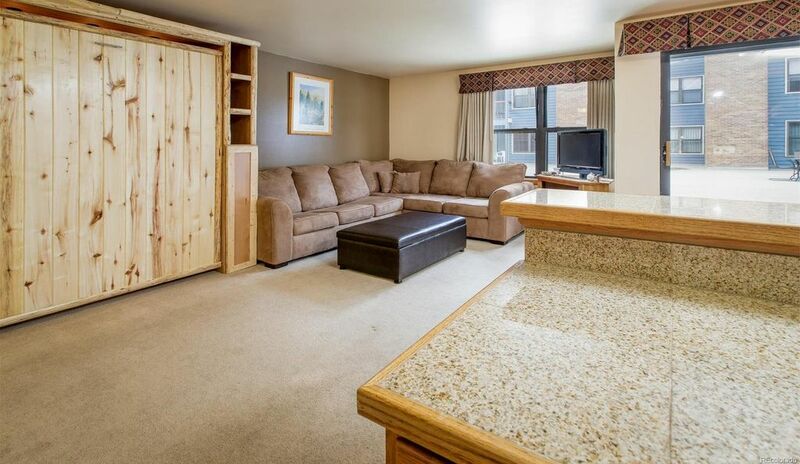 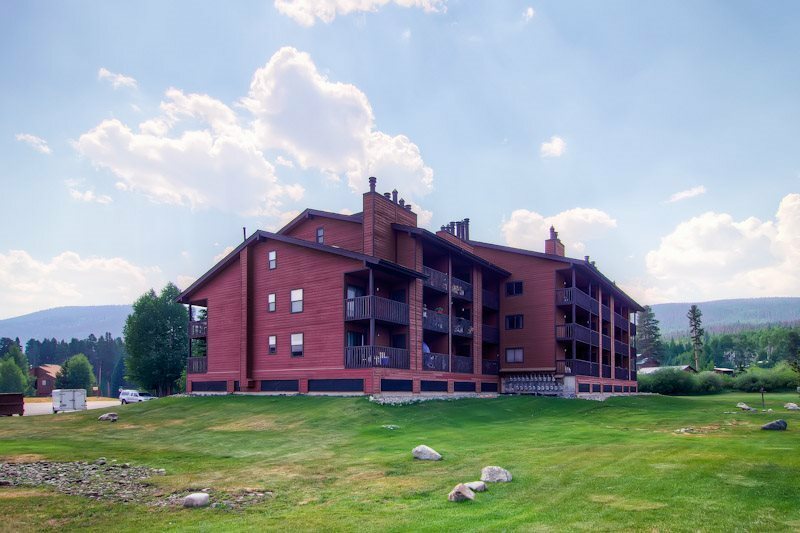 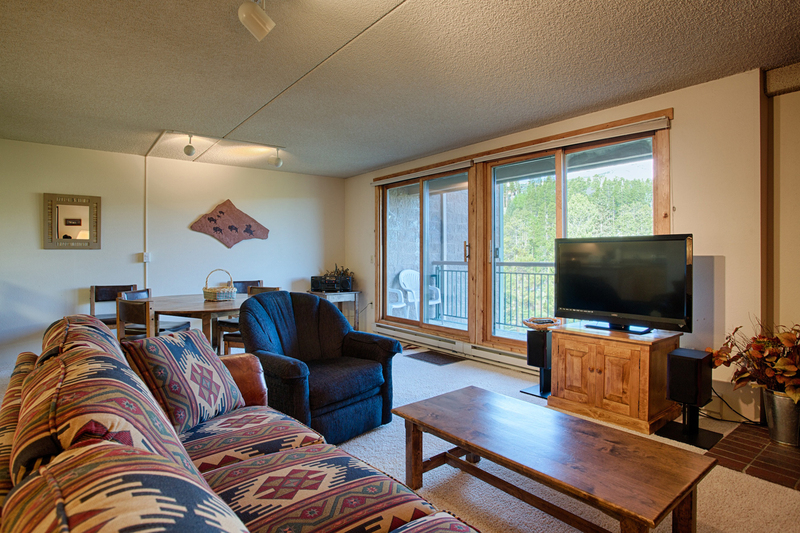 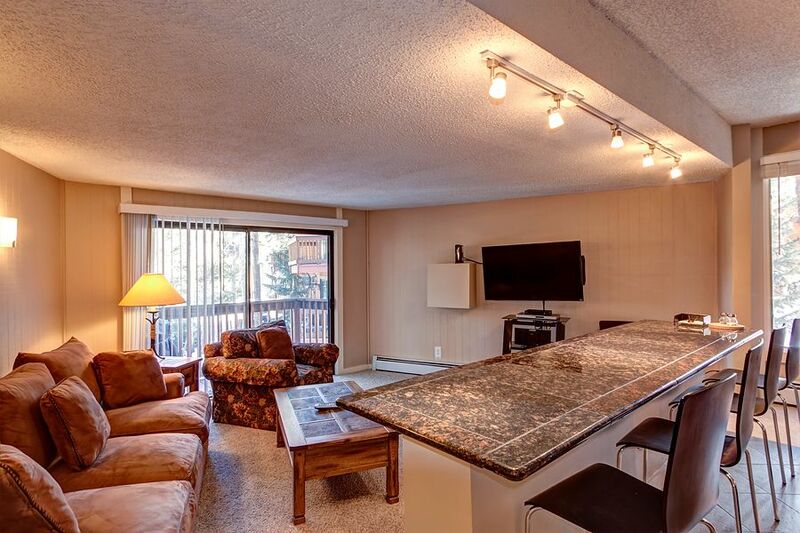 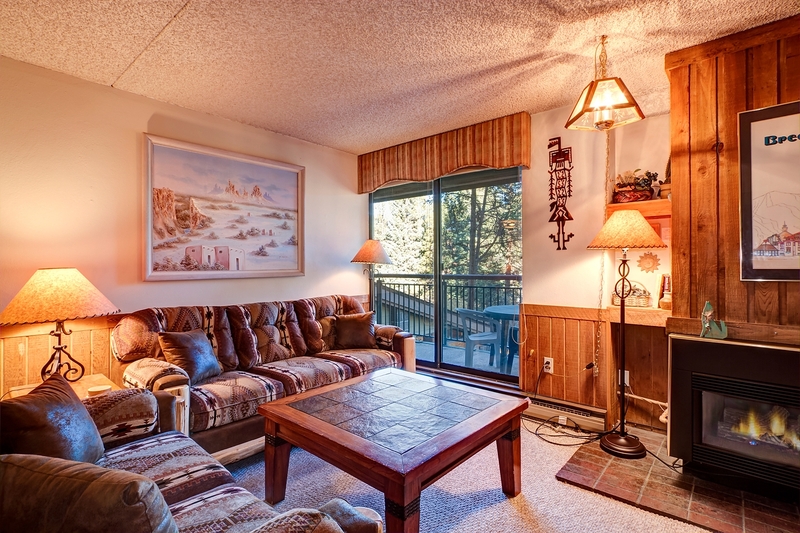 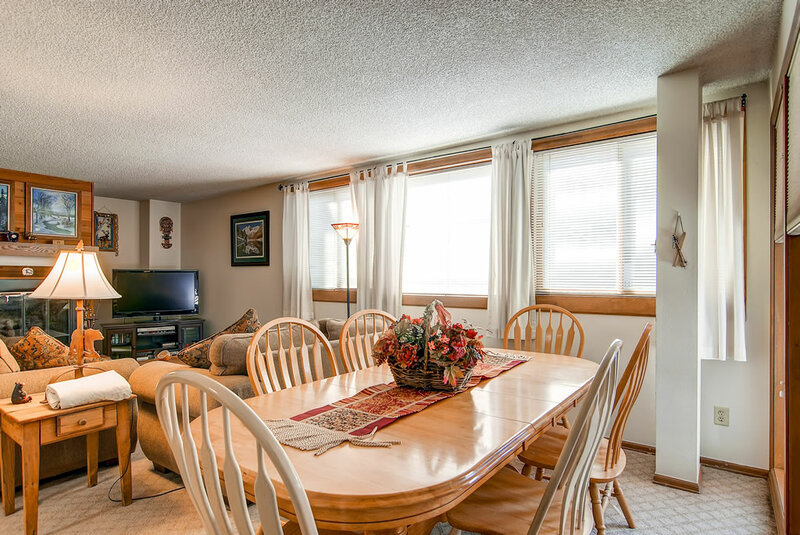 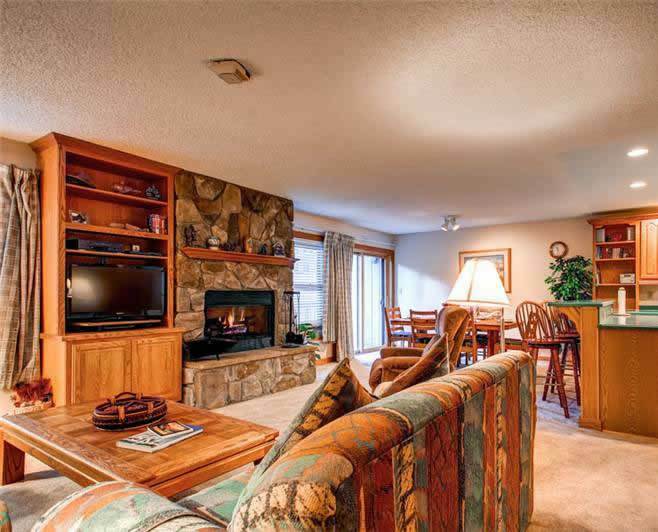 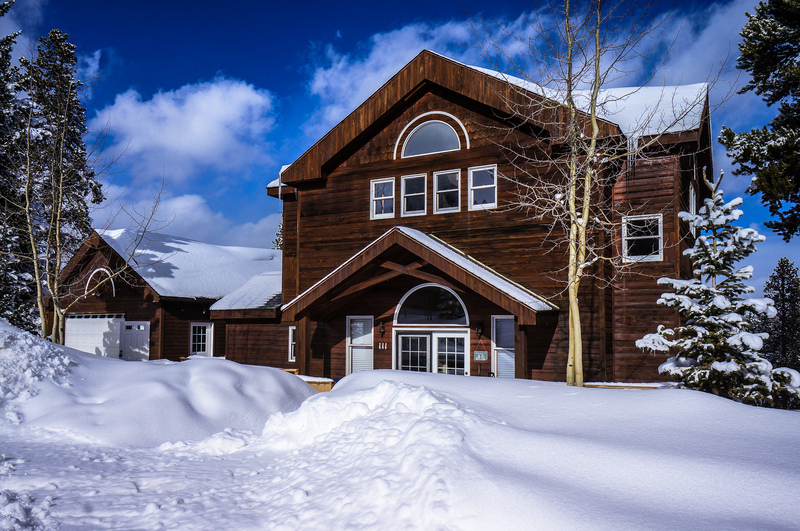 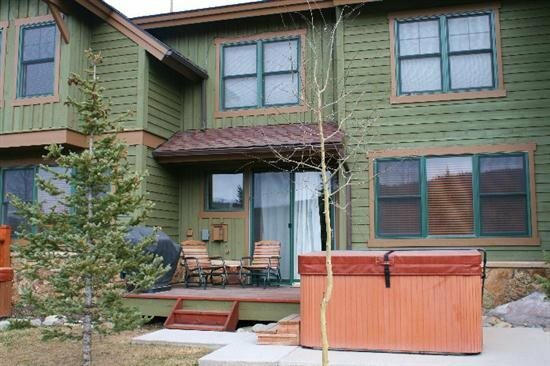 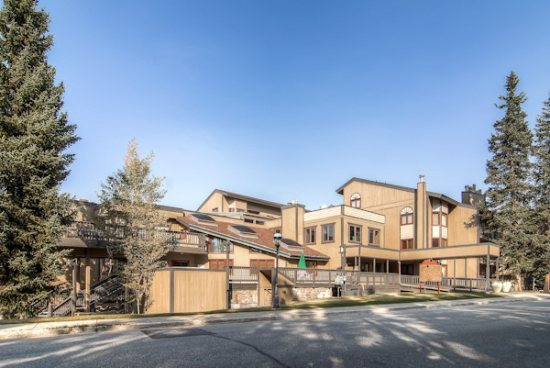 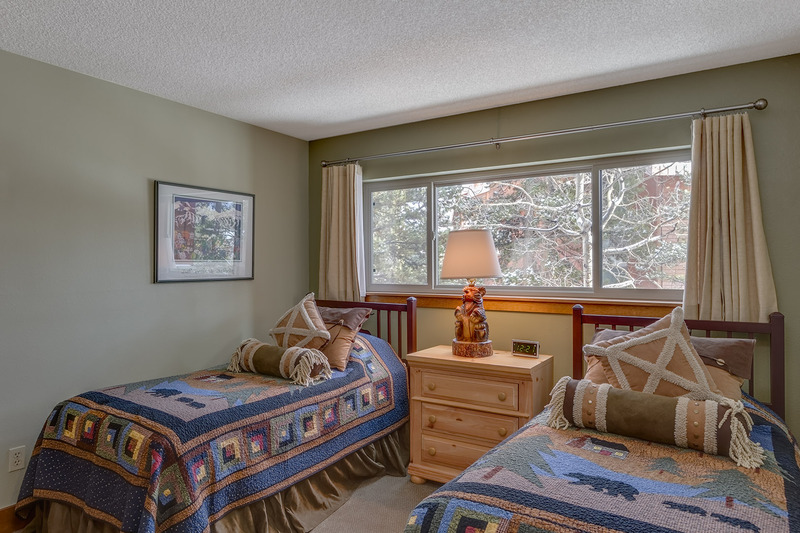 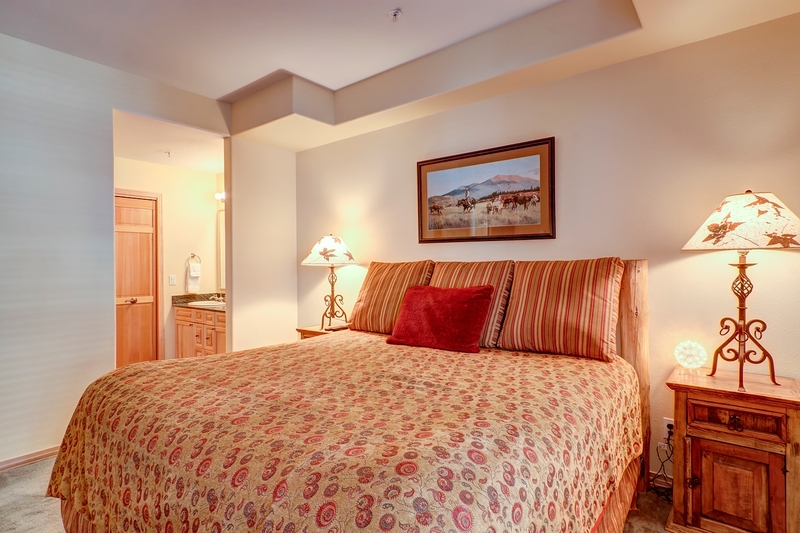 Around the rear of the complex you will have access to the Columbine pool and hot tubs for a fun and relaxing escape after a day at the ski area.Located on the second floor, this condo offers a warm and inviting ambiance and plenty of room for the family. 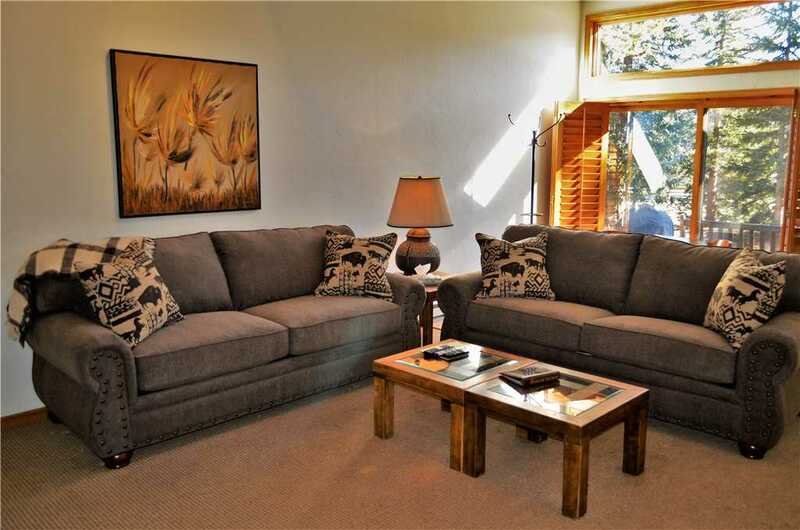 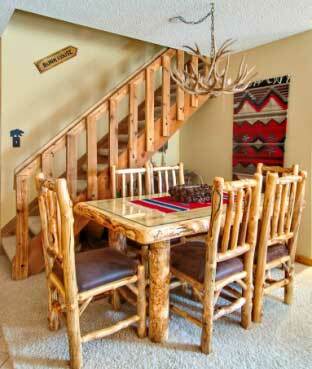 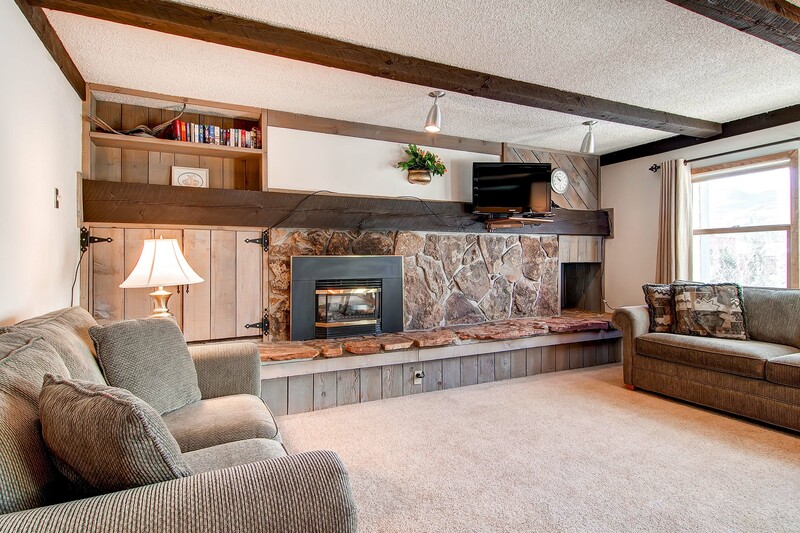 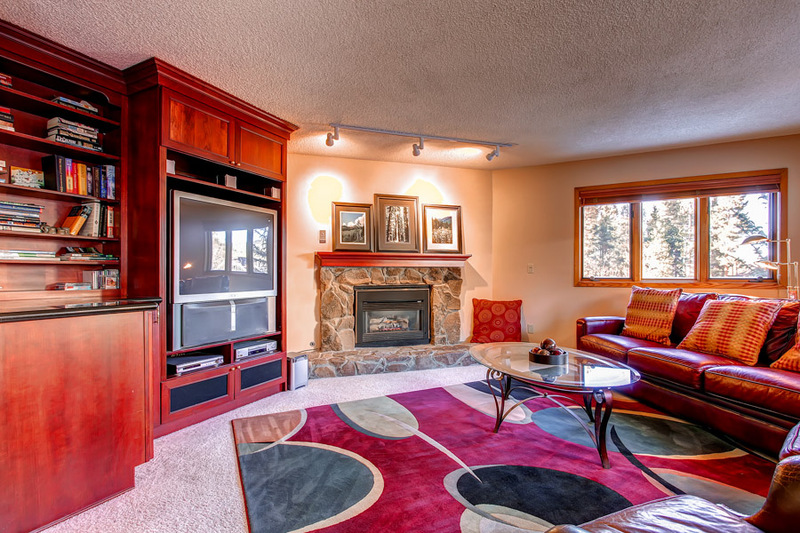 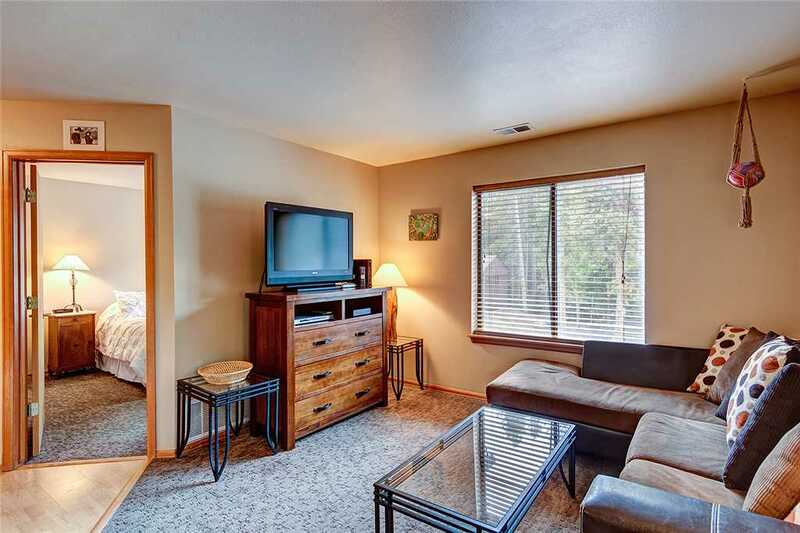 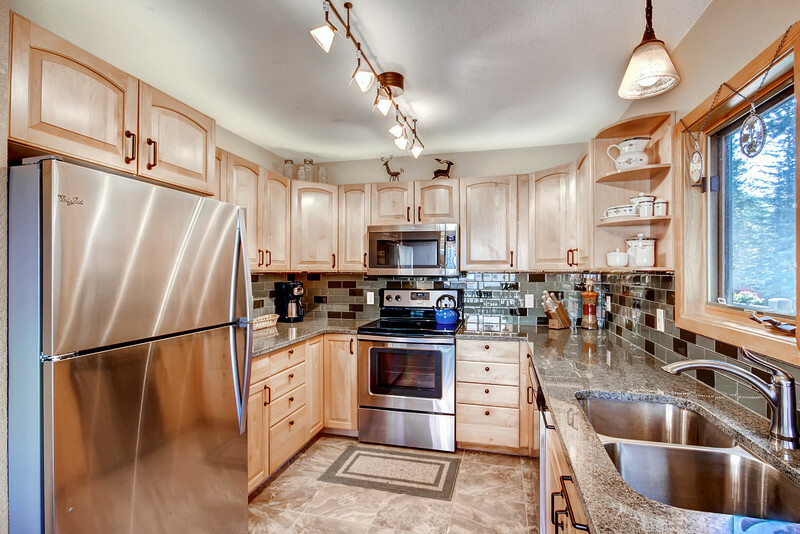 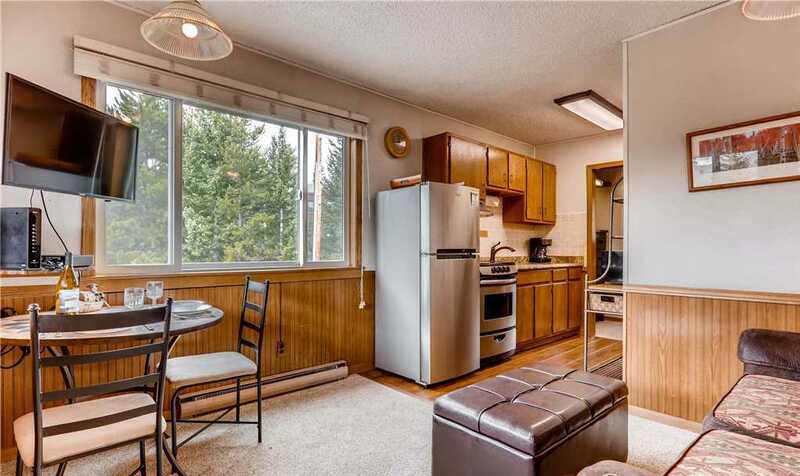 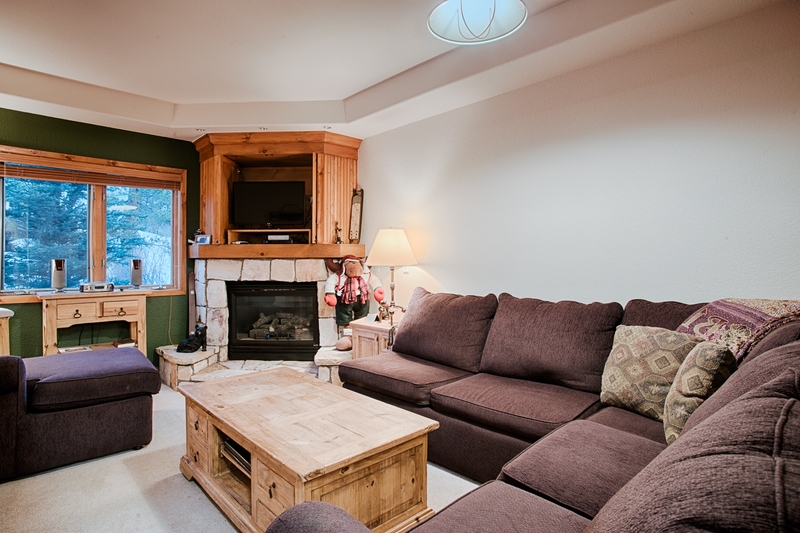 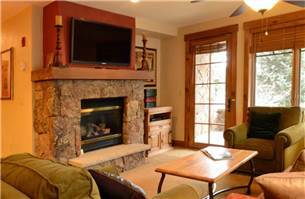 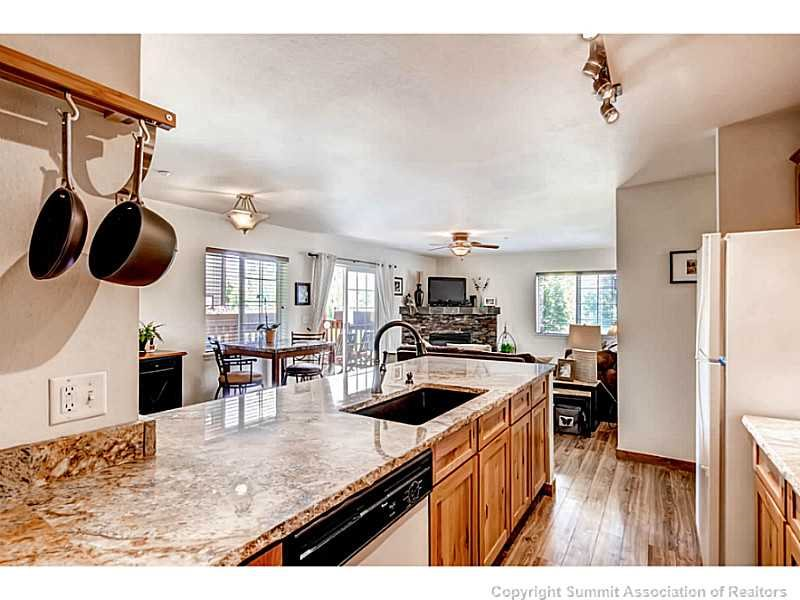 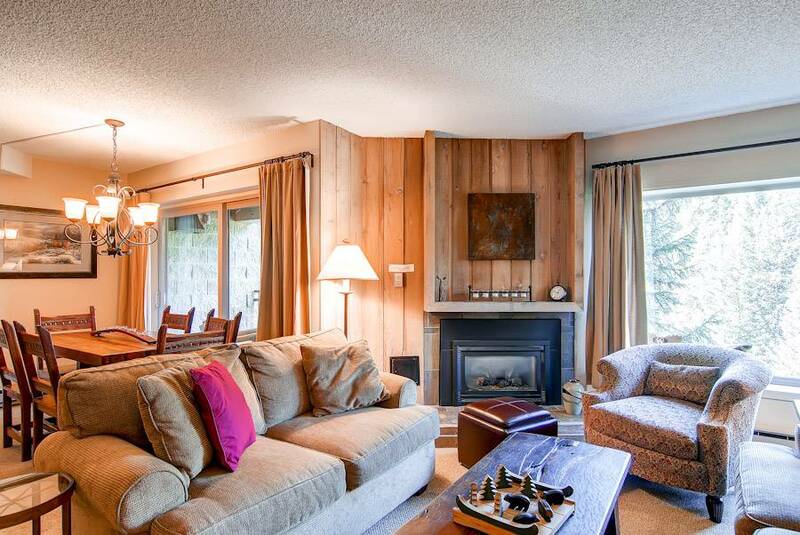 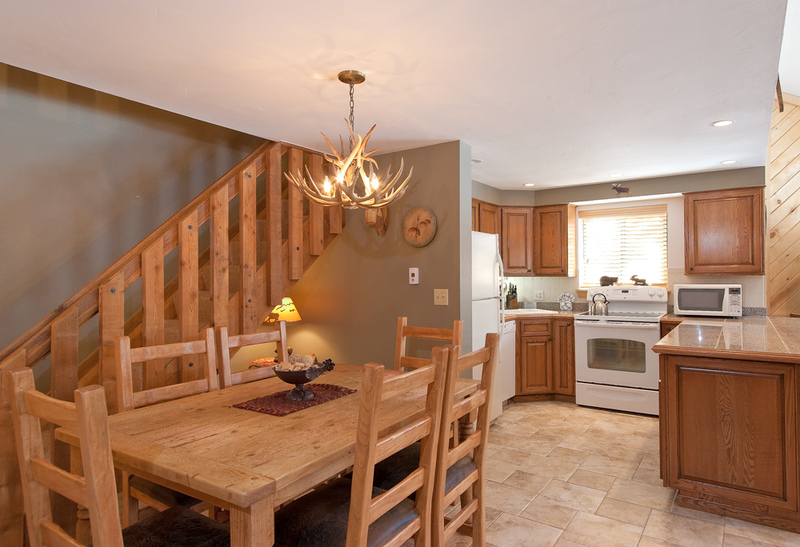 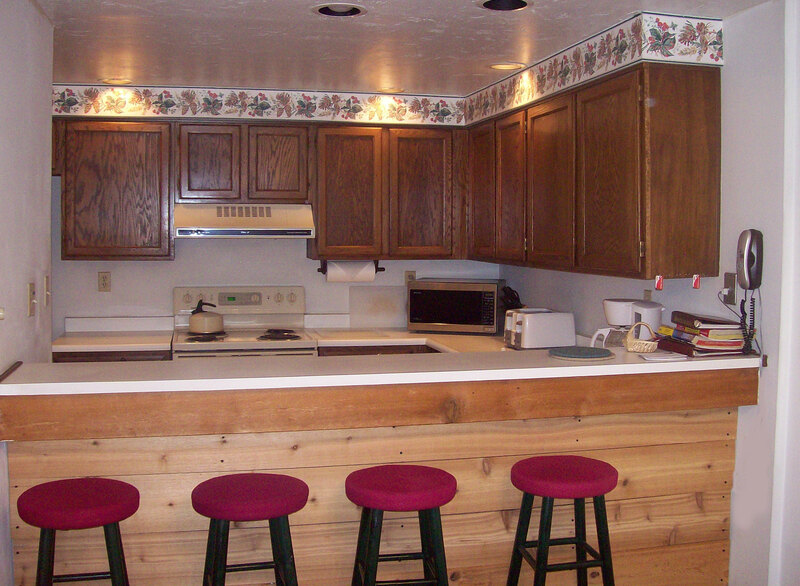 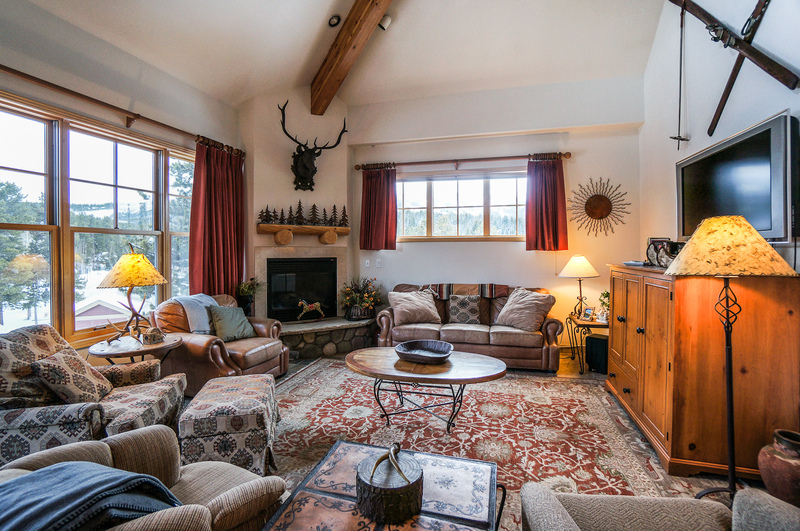 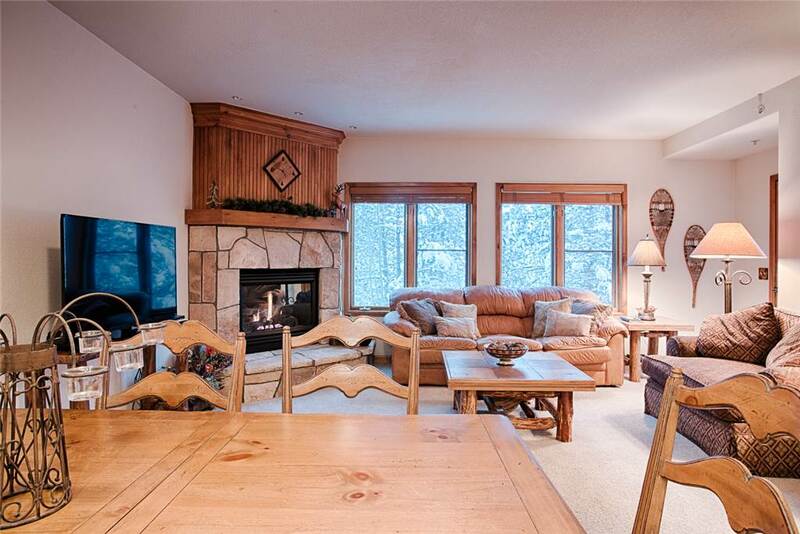 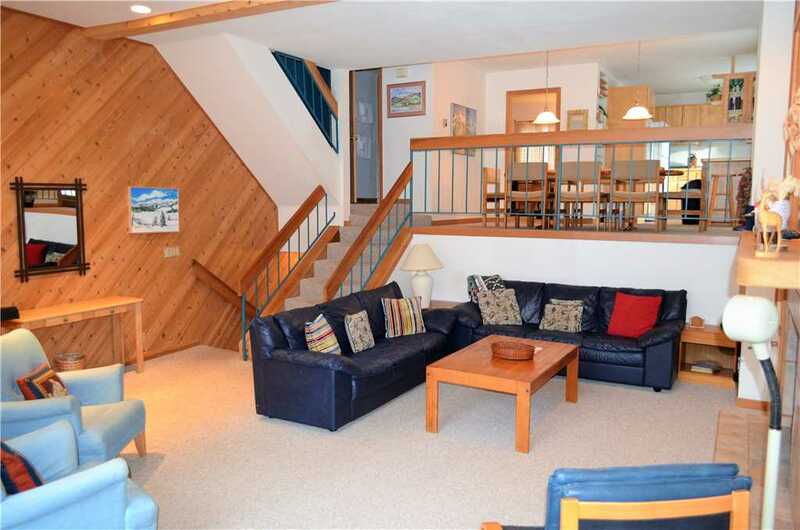 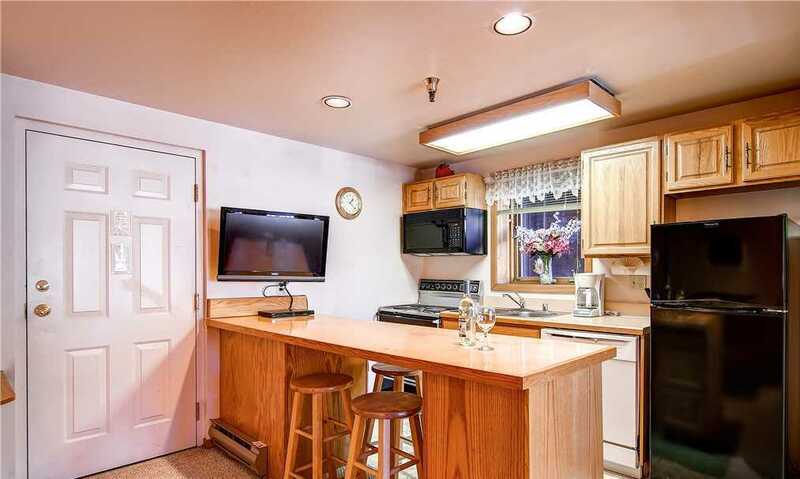 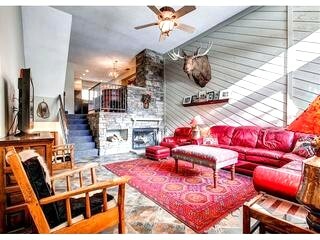 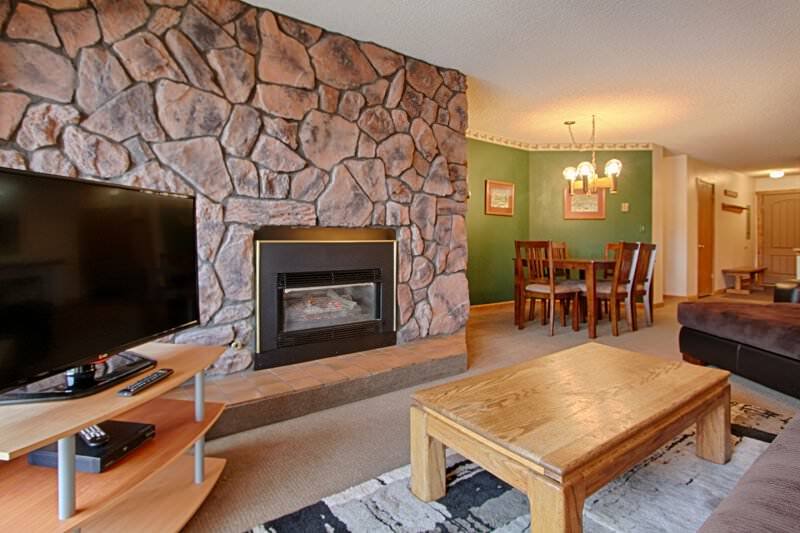 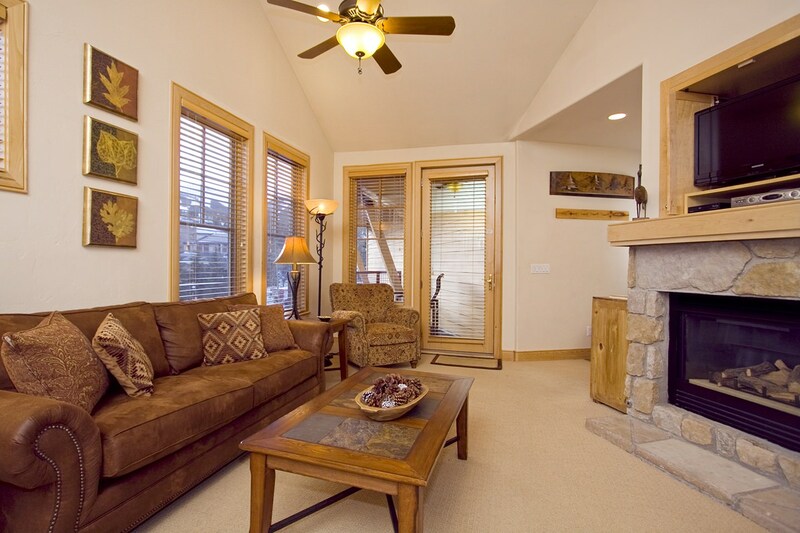 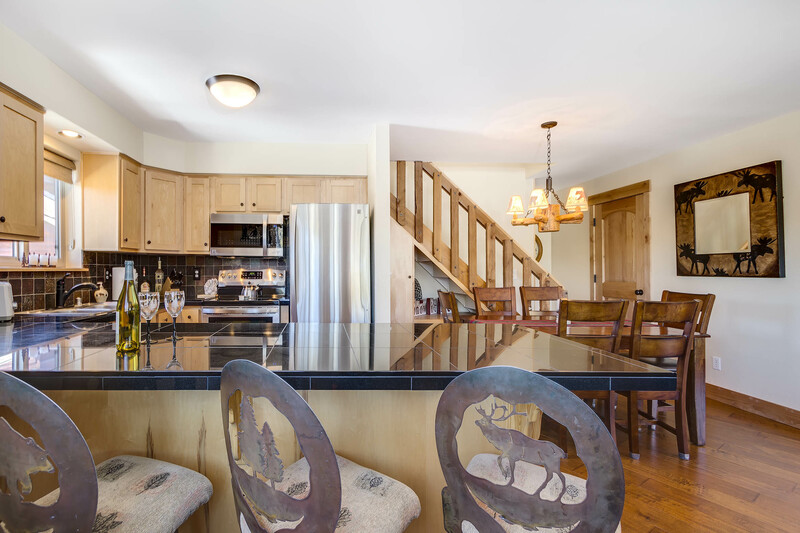 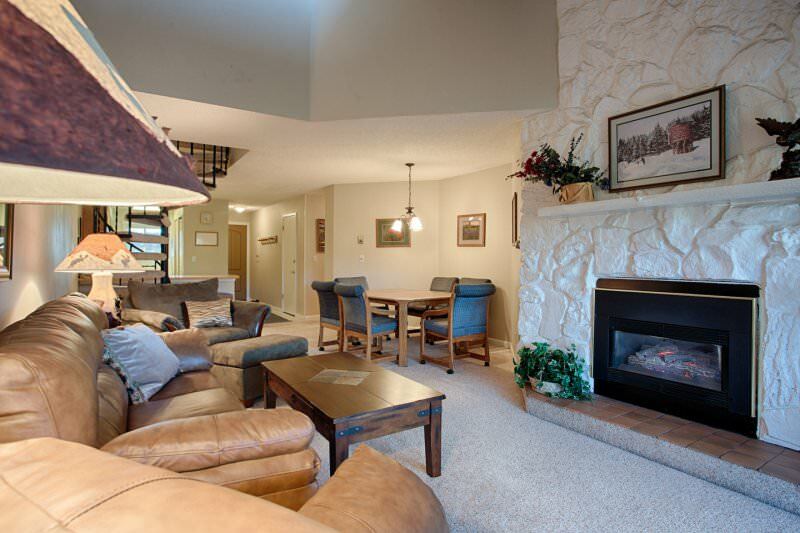 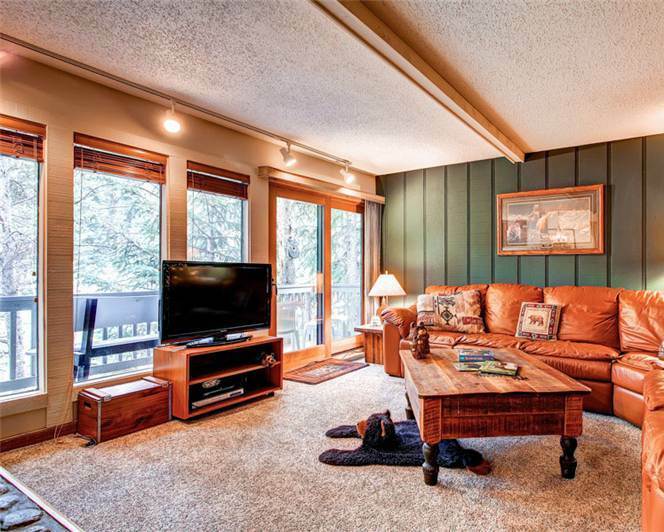 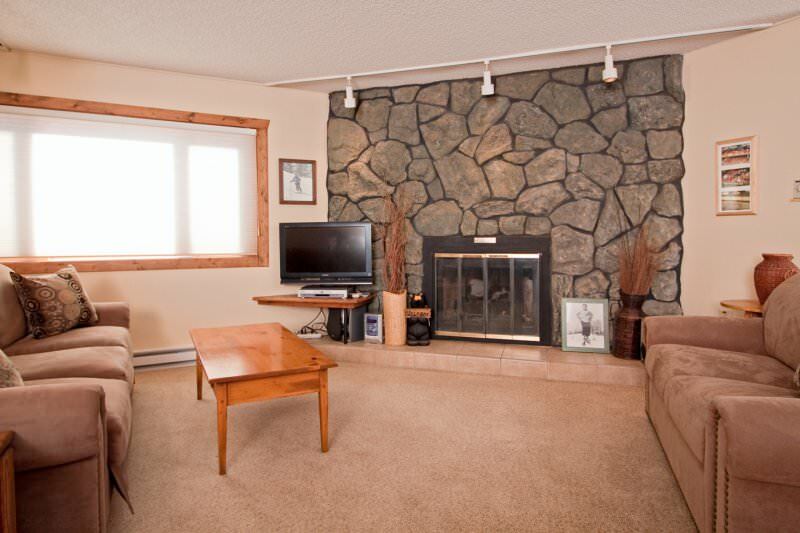 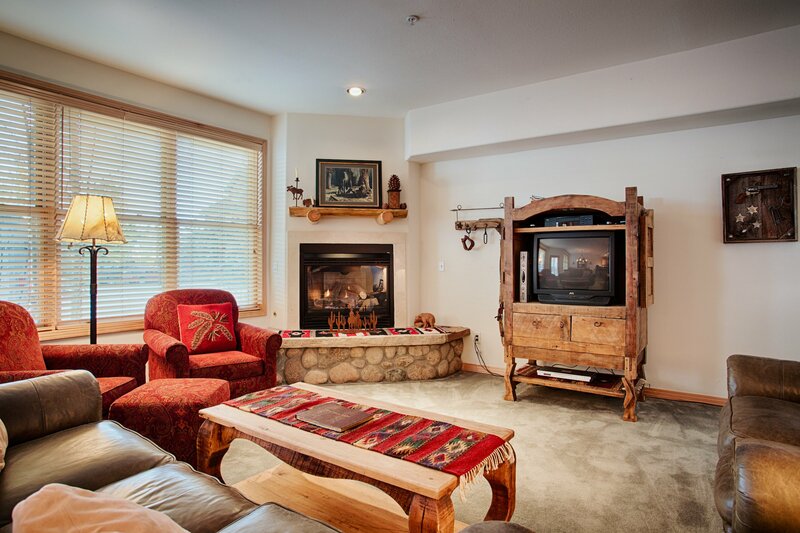 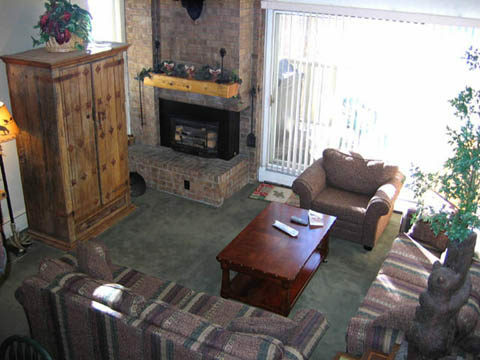 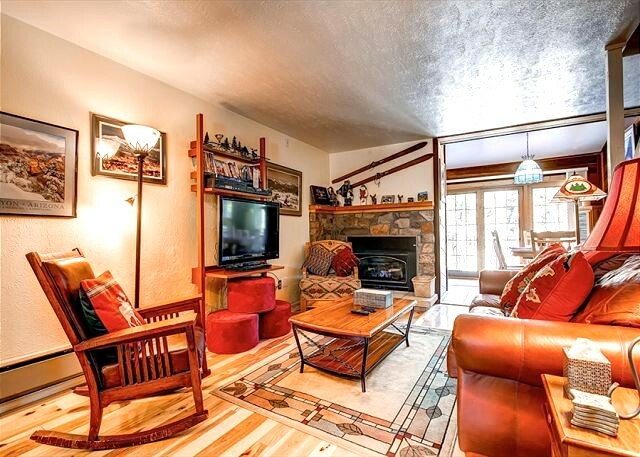 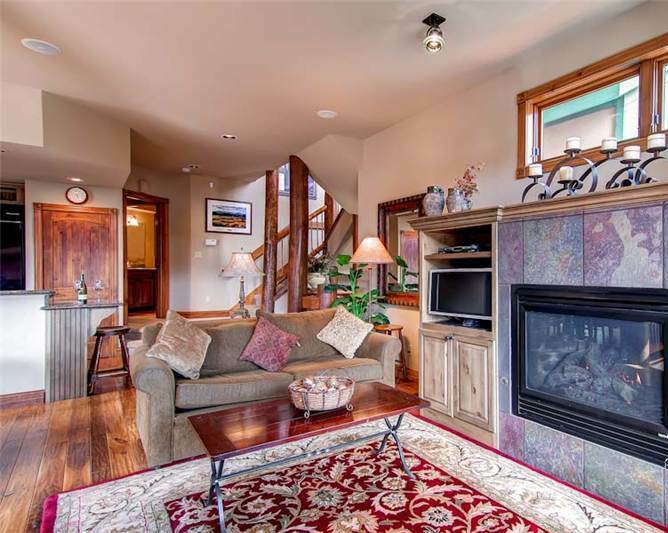 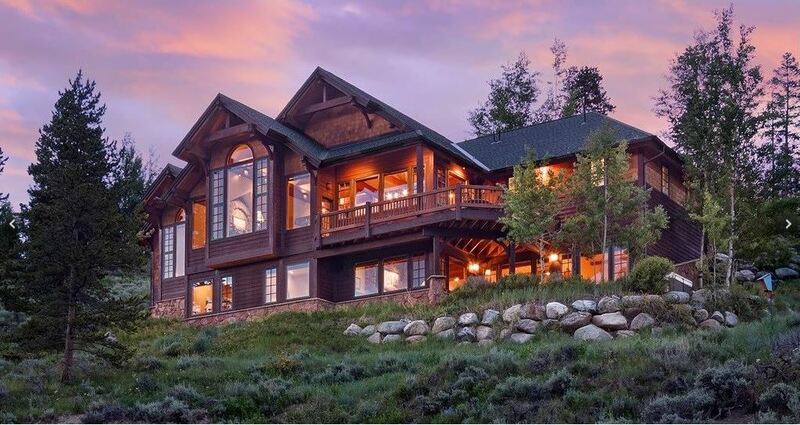 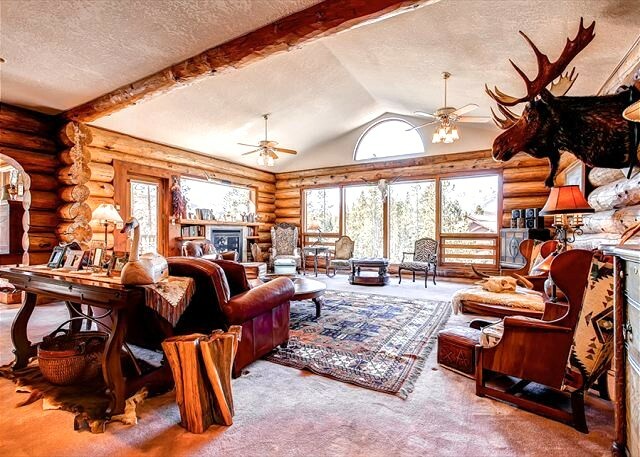 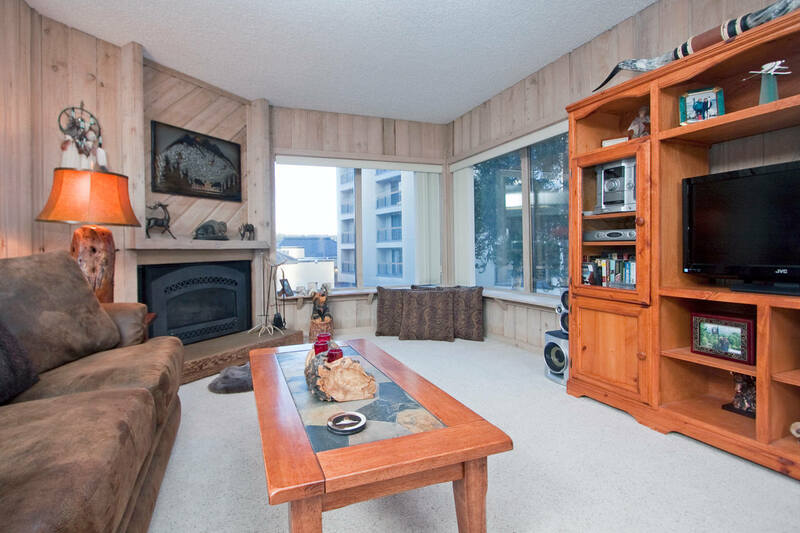 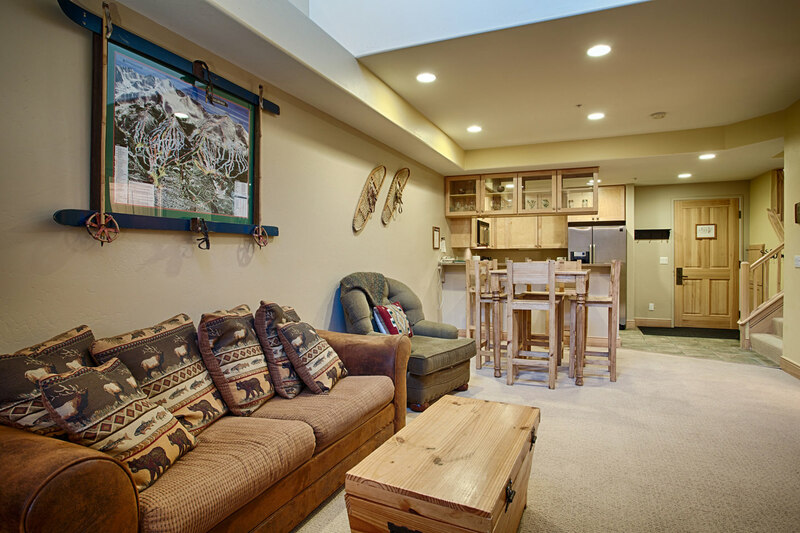 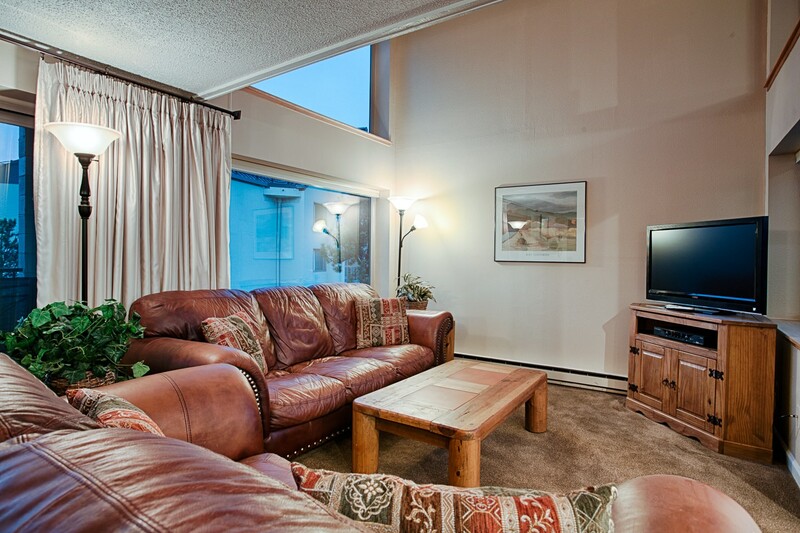 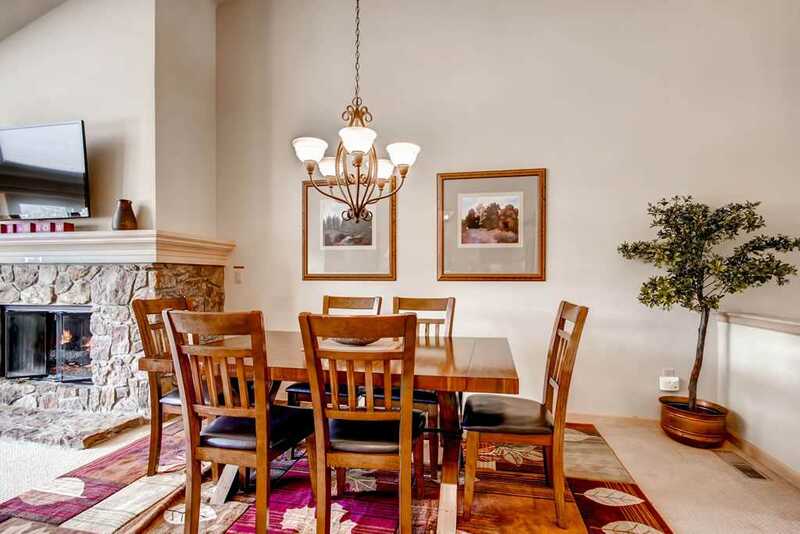 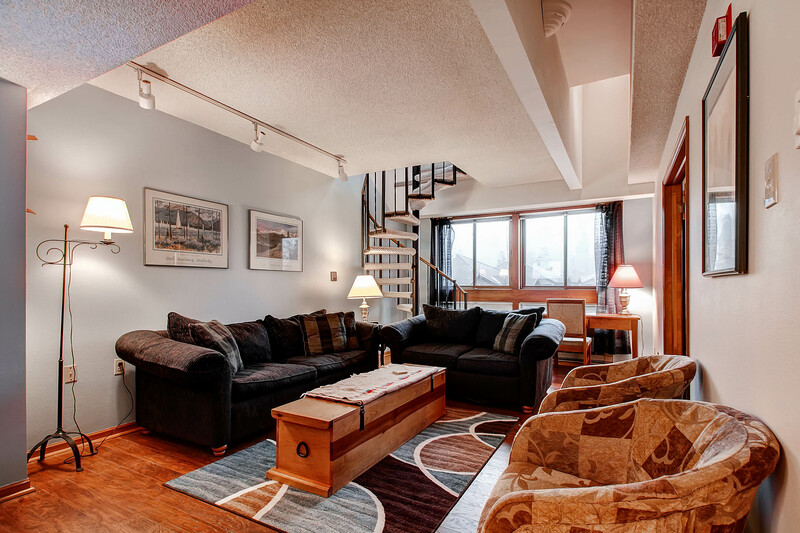 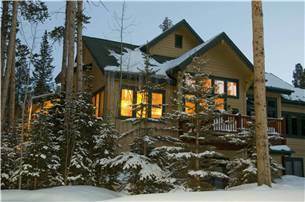 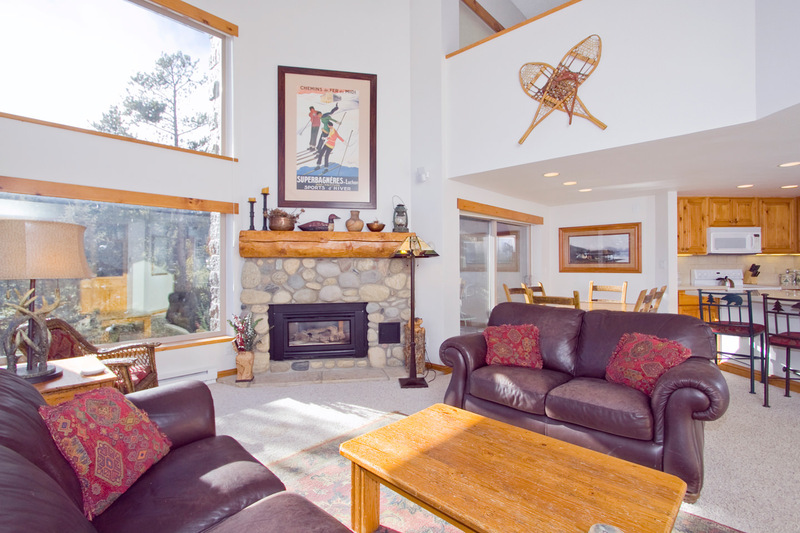 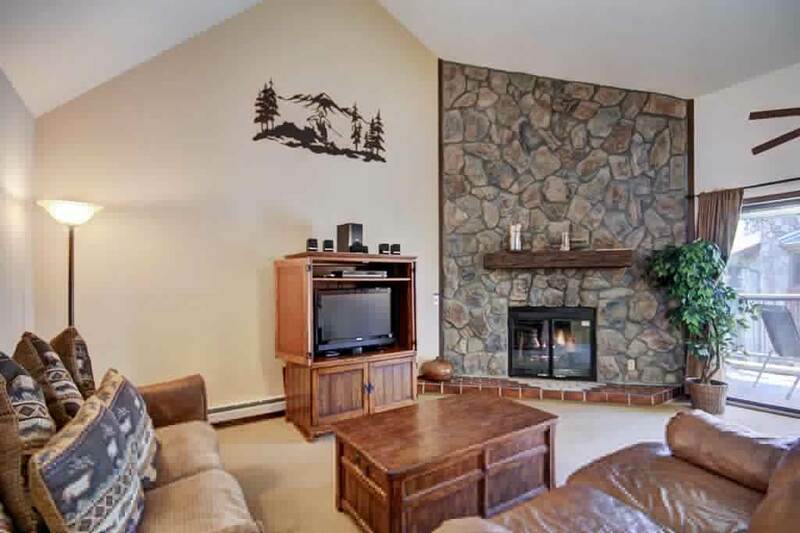 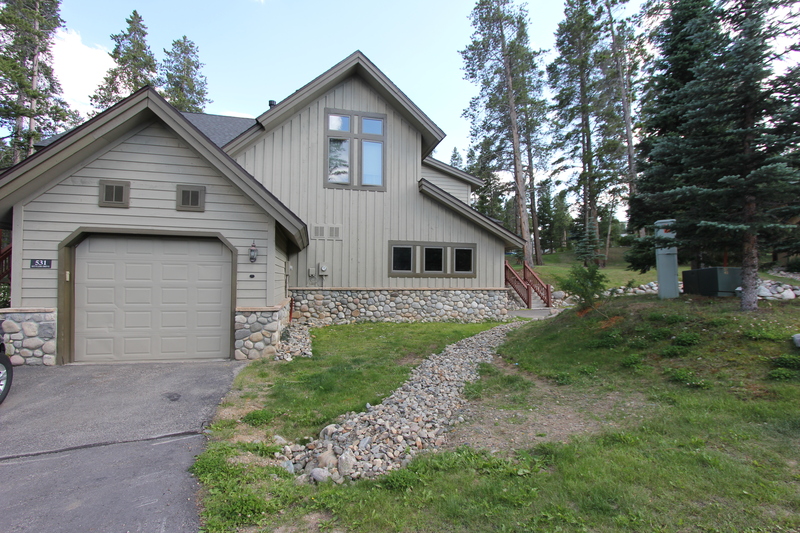 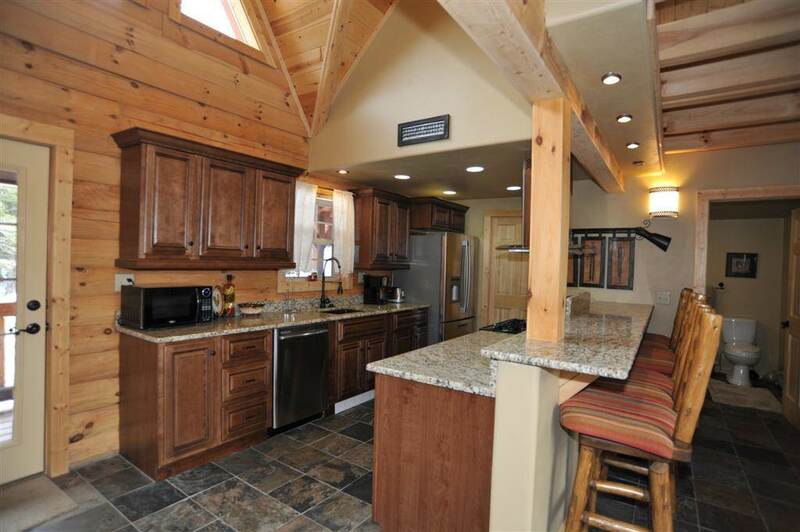 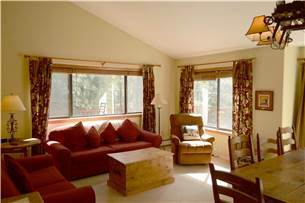 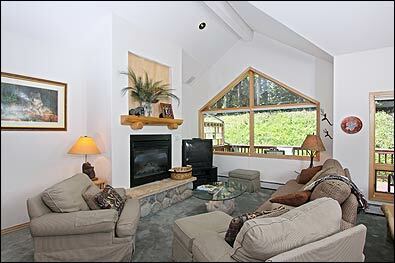 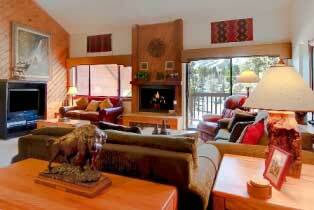 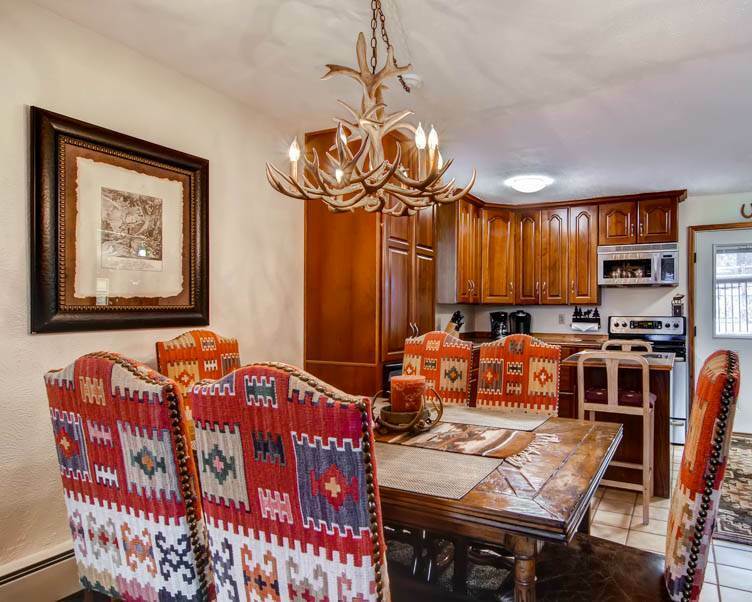 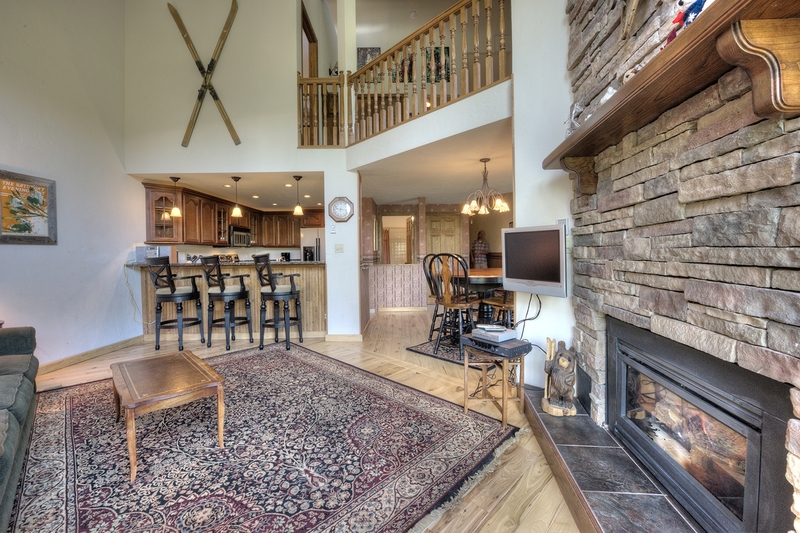 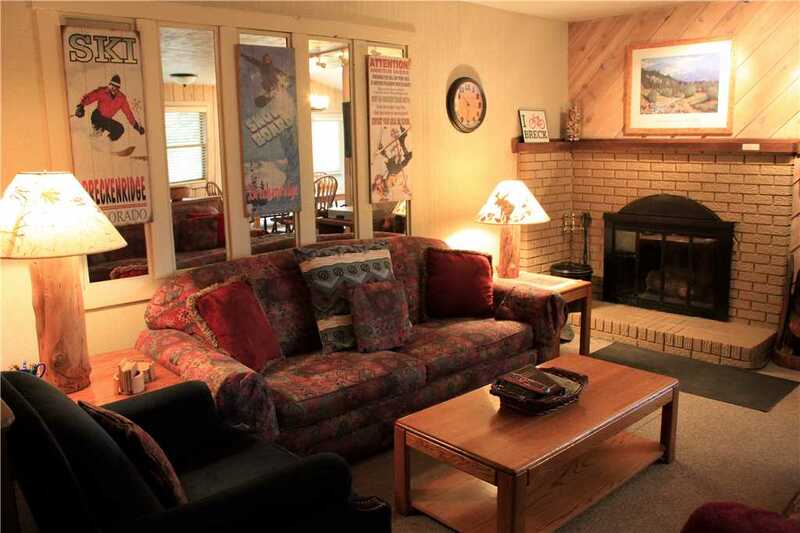 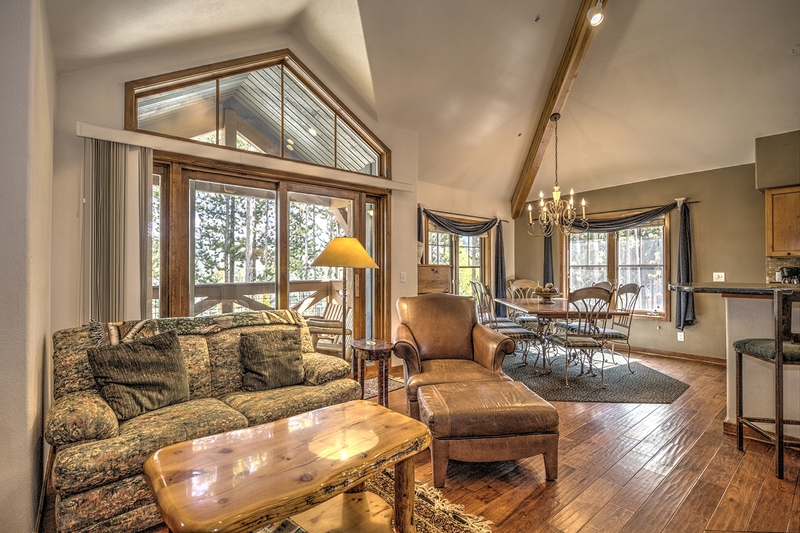 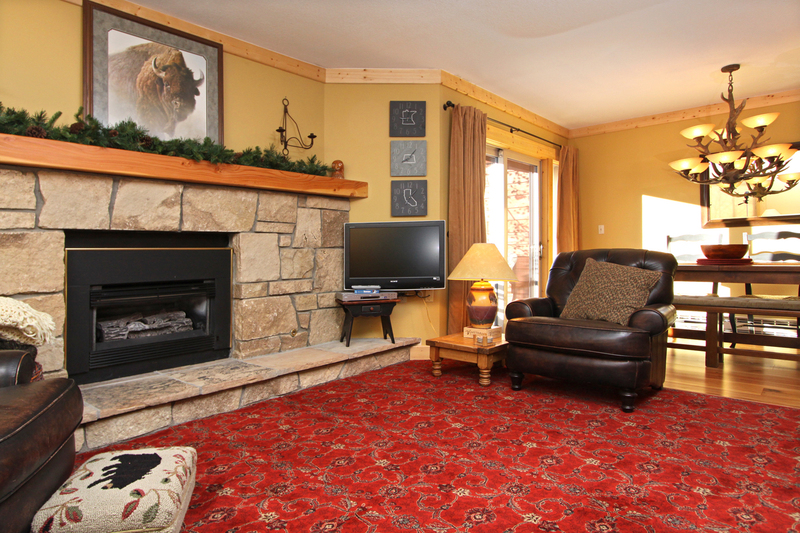 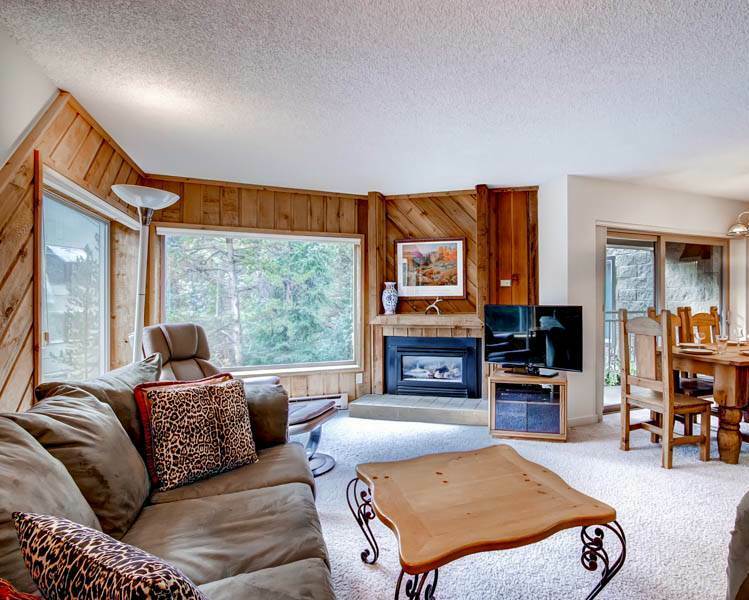 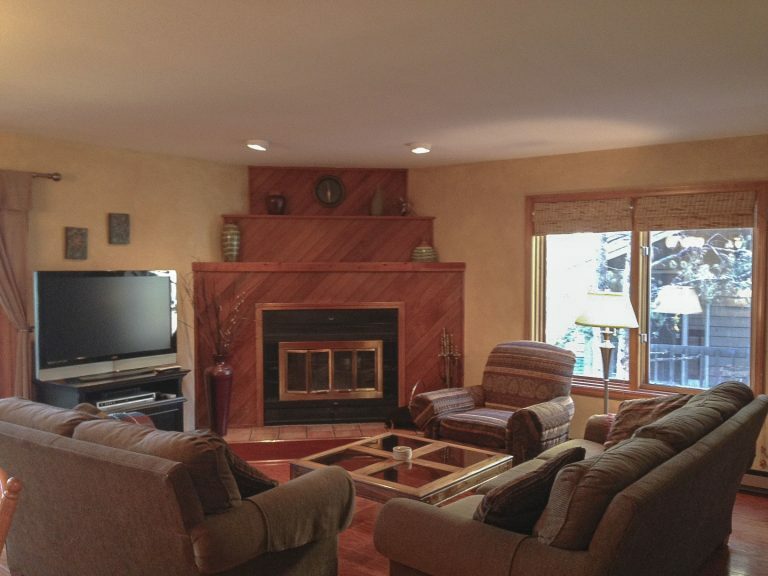 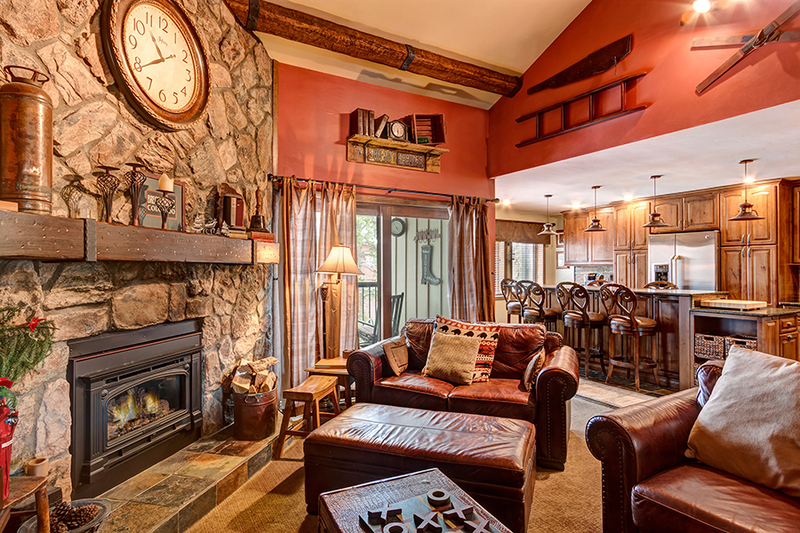 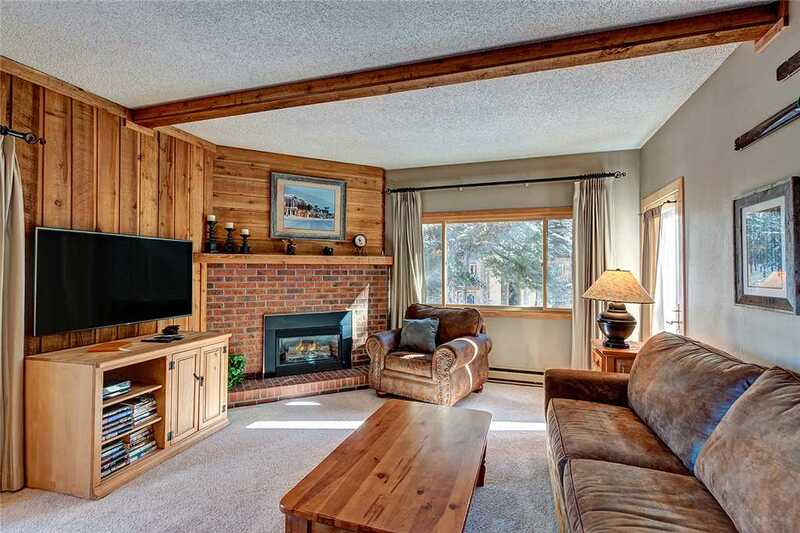 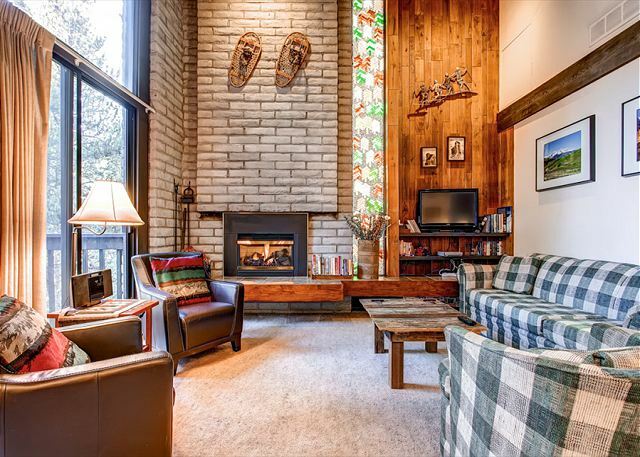 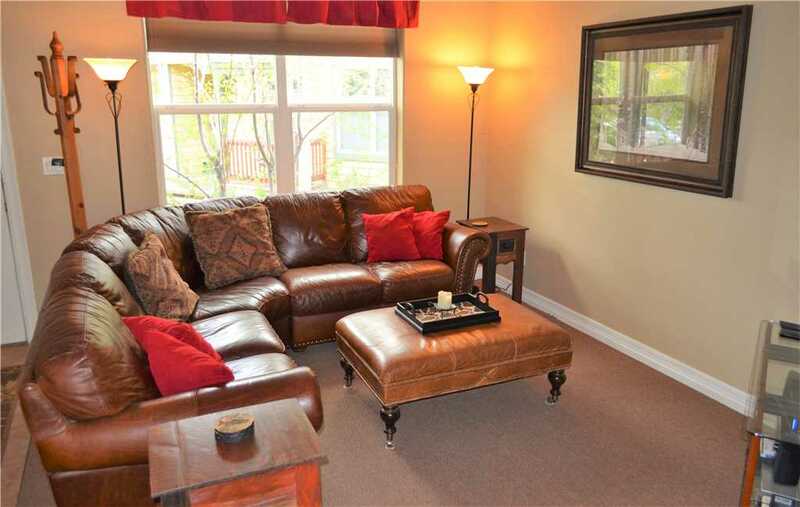 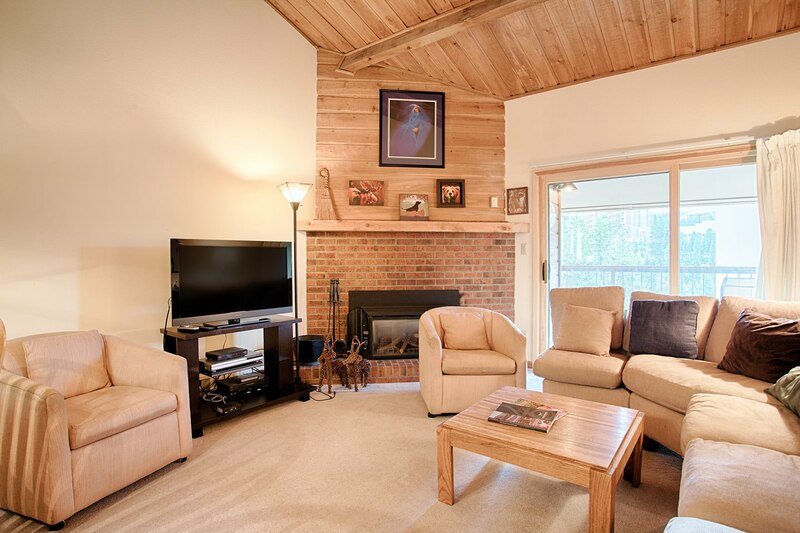 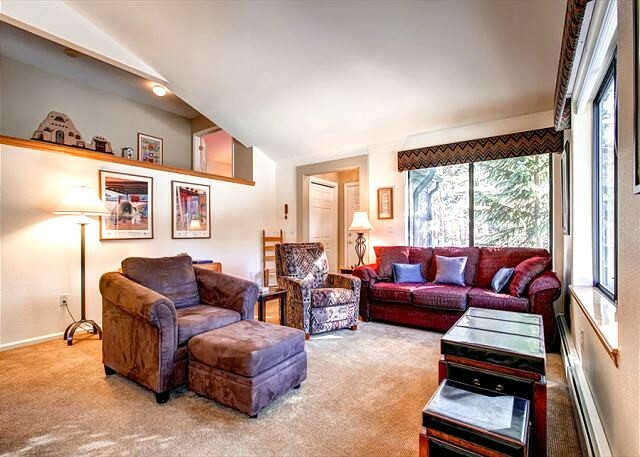 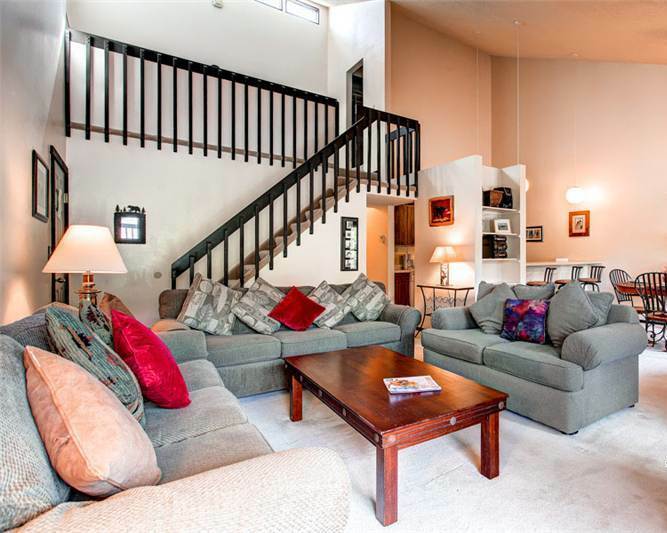 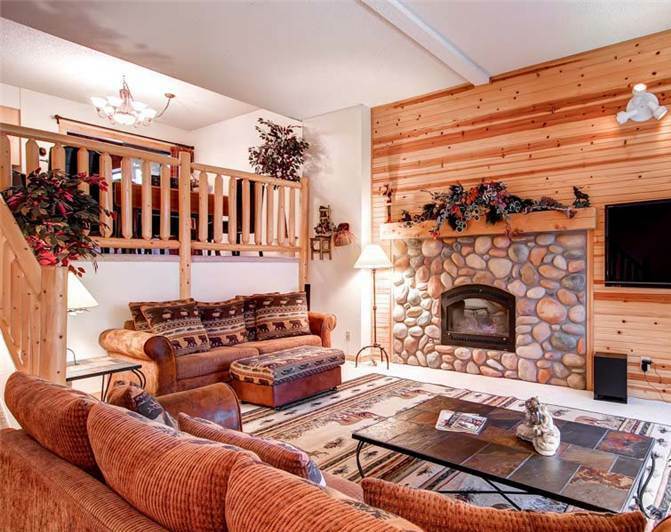 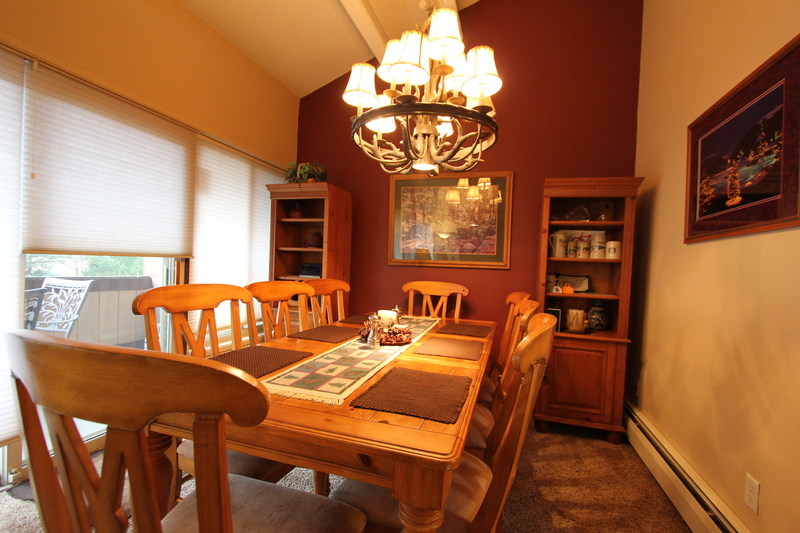 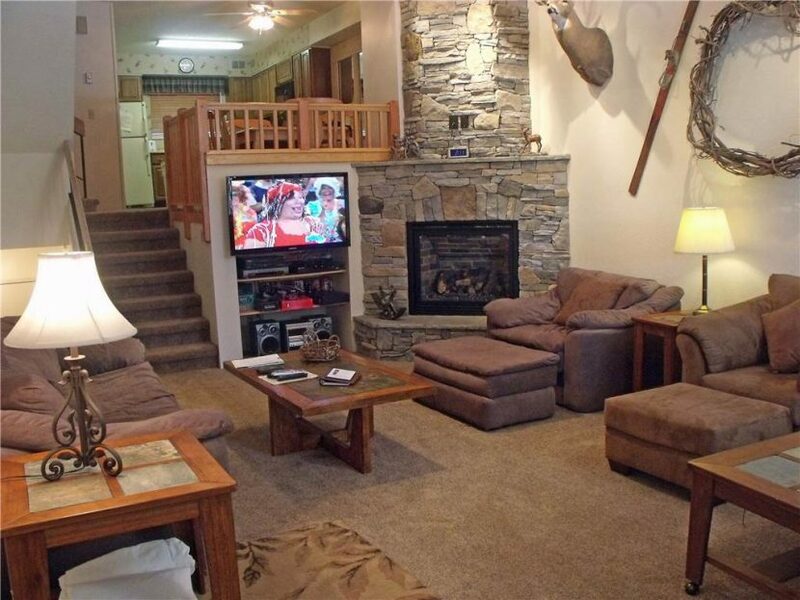 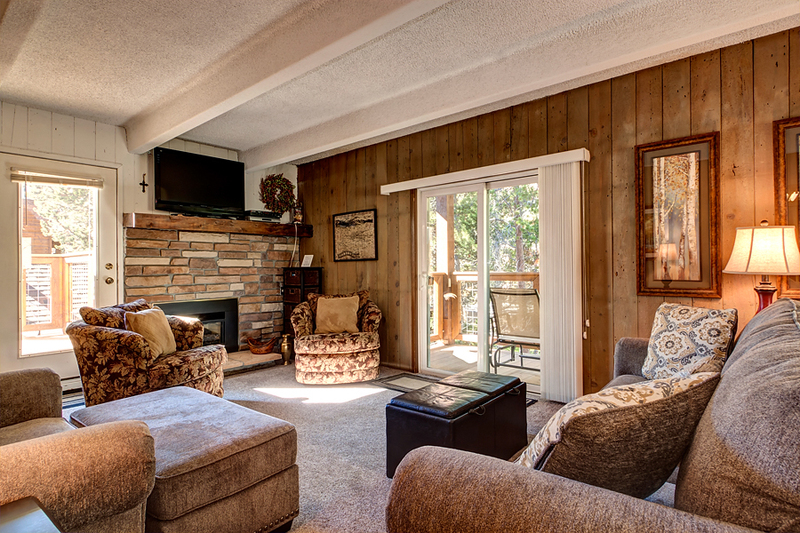 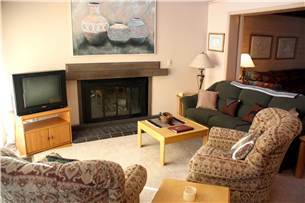 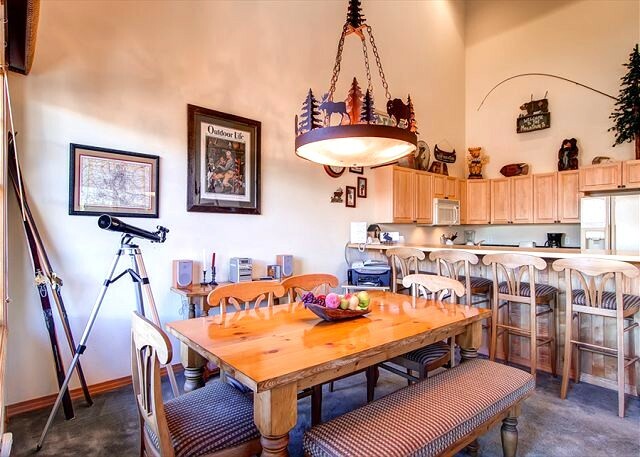 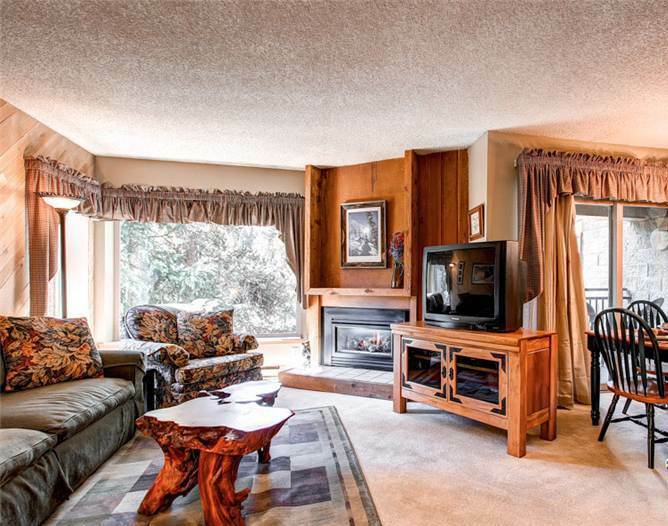 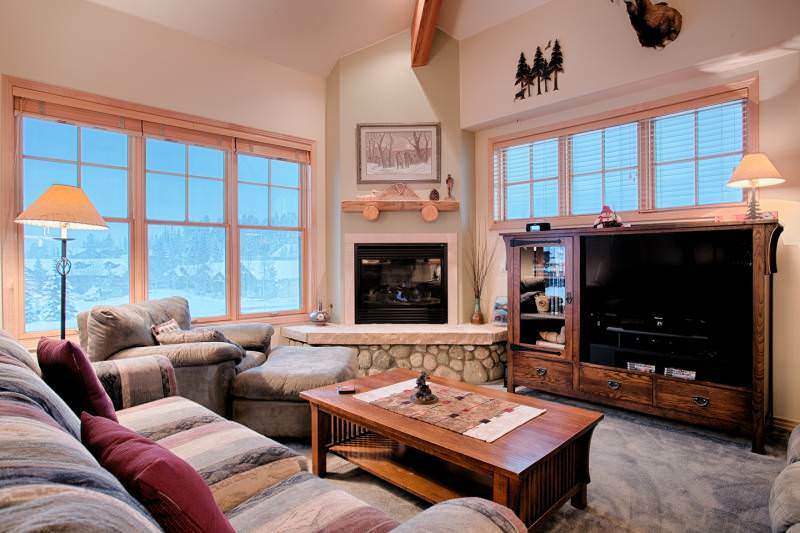 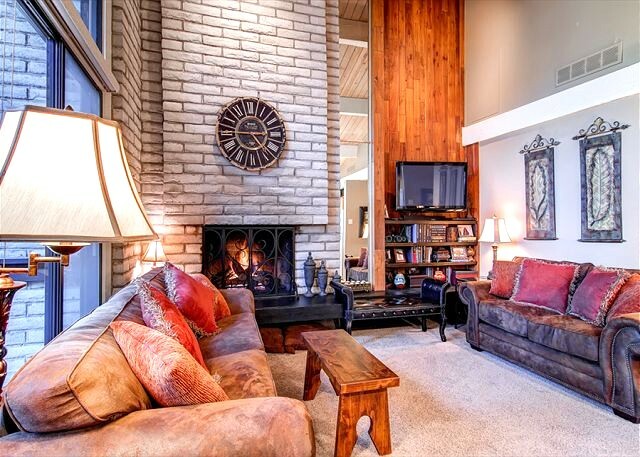 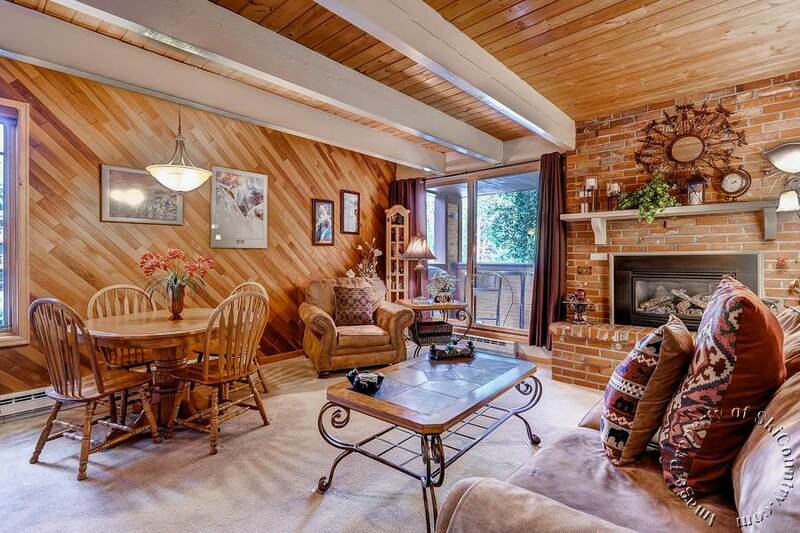 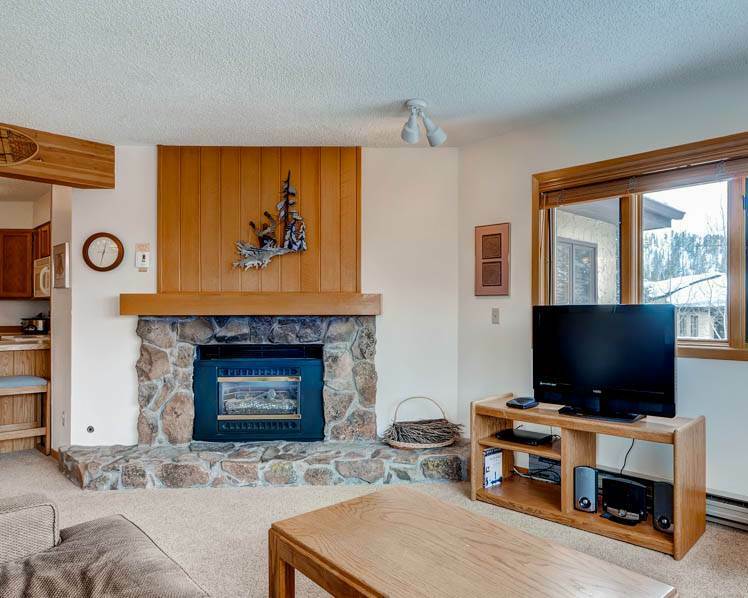 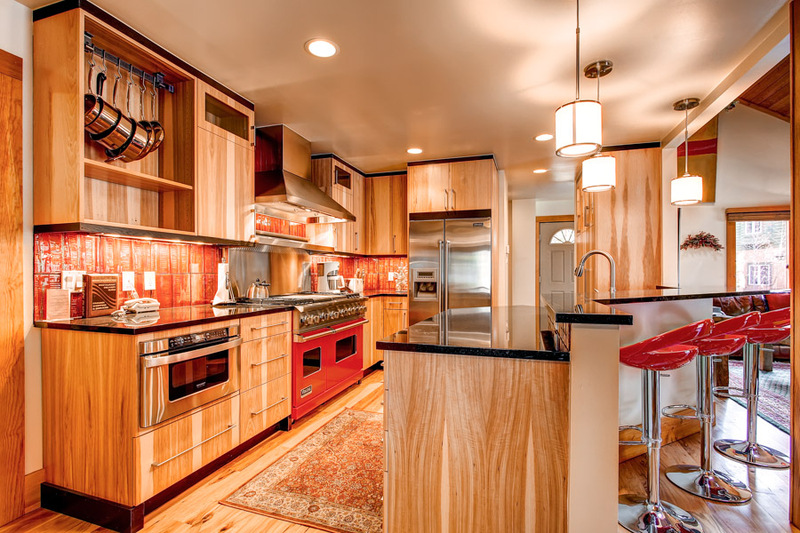 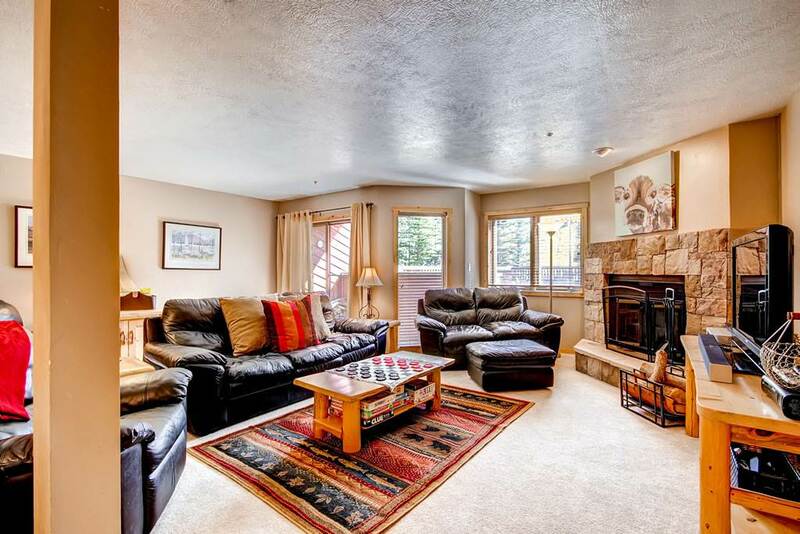 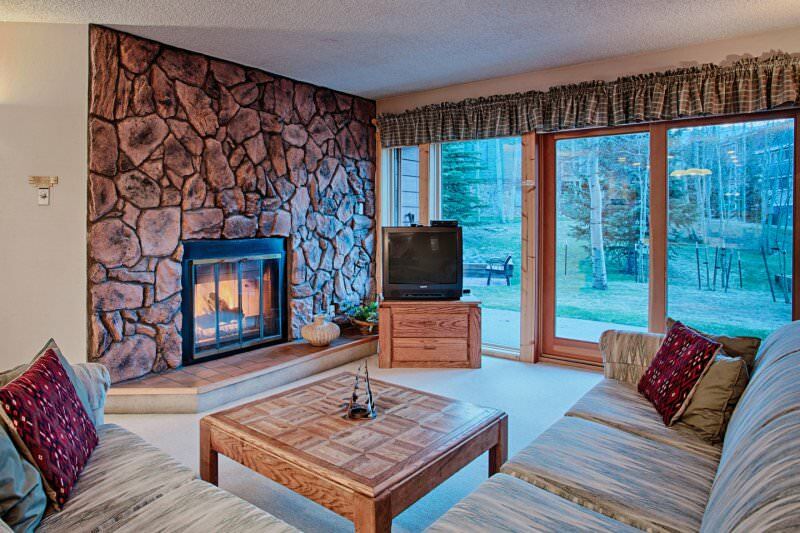 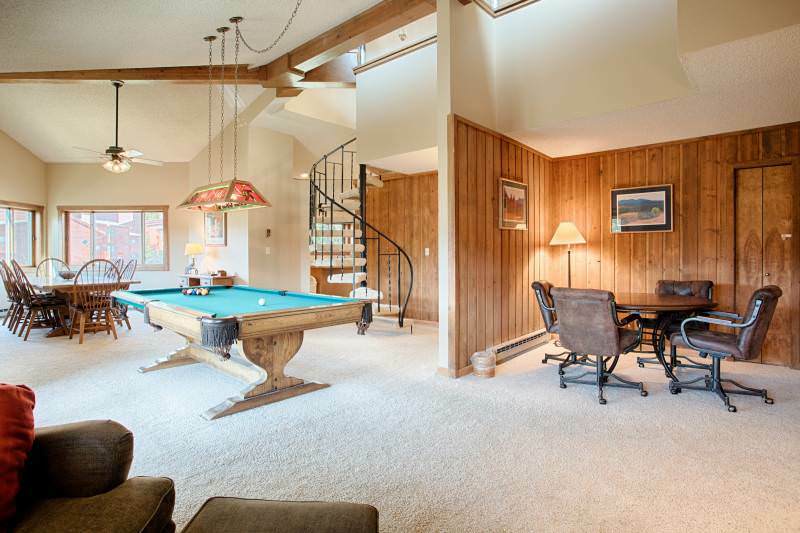 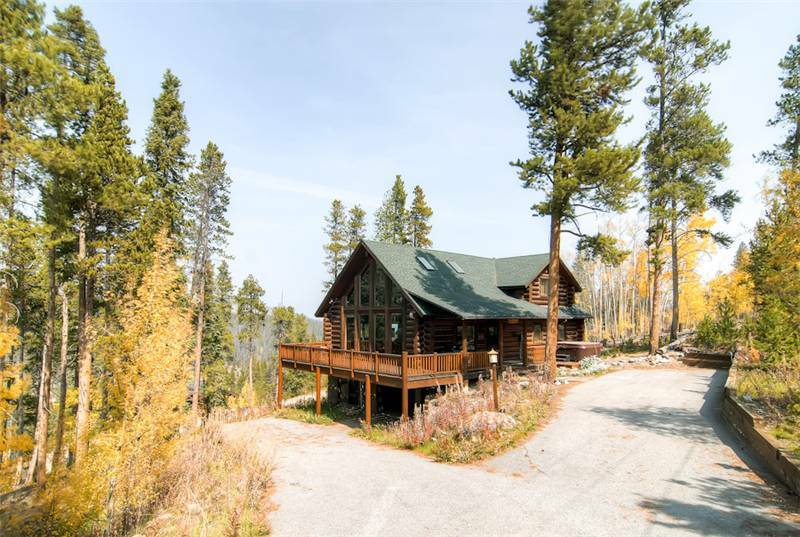 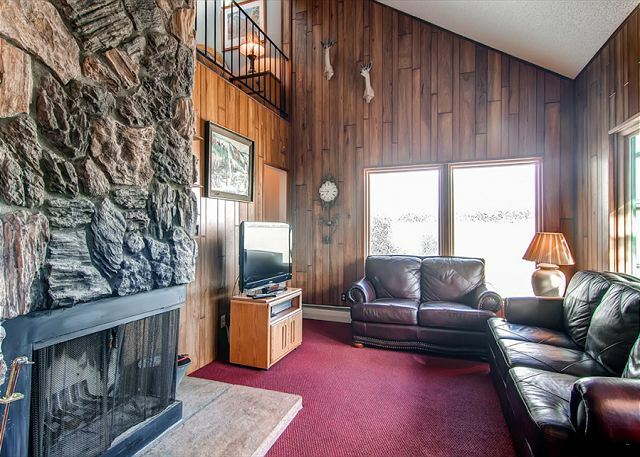 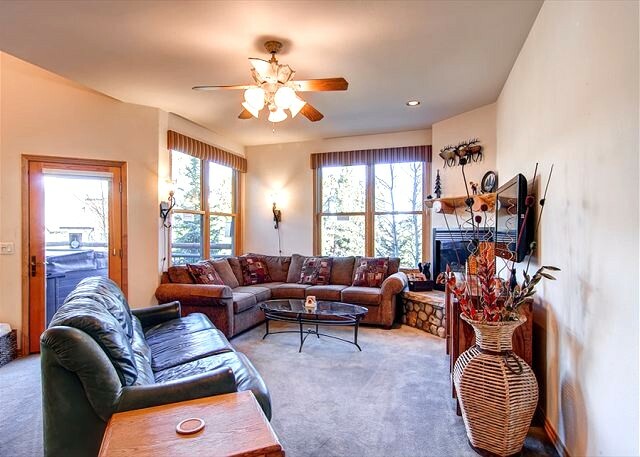 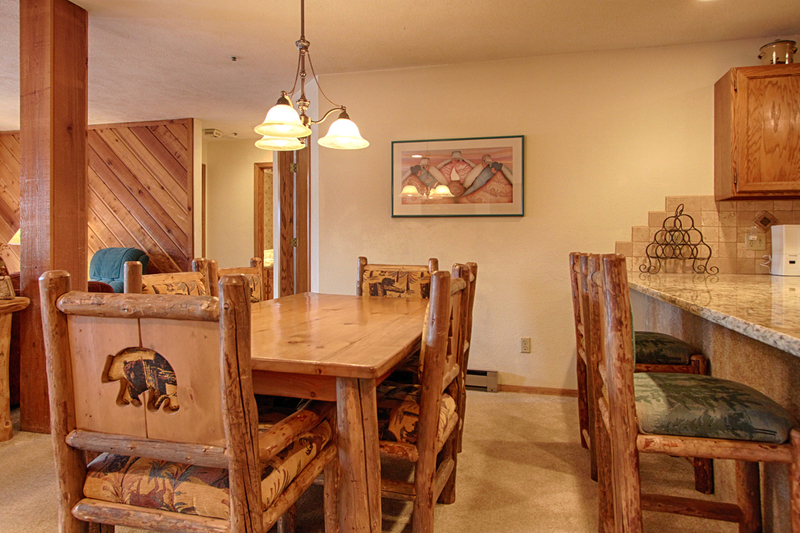 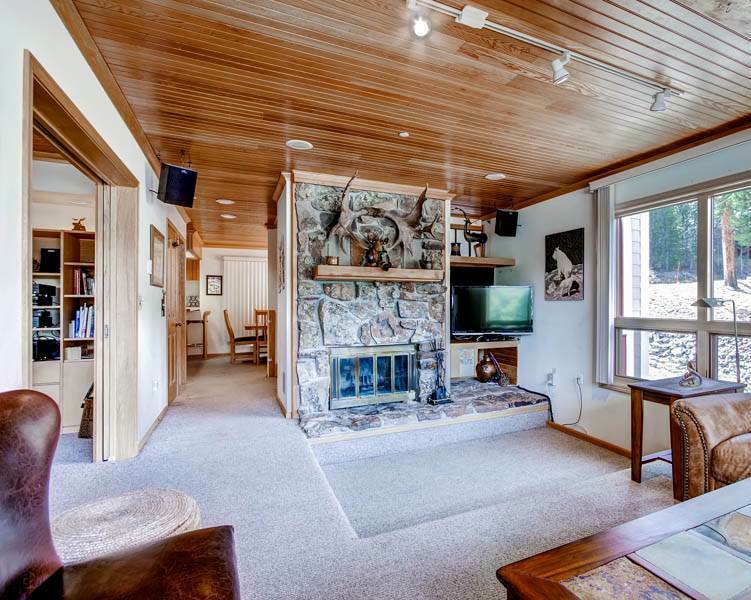 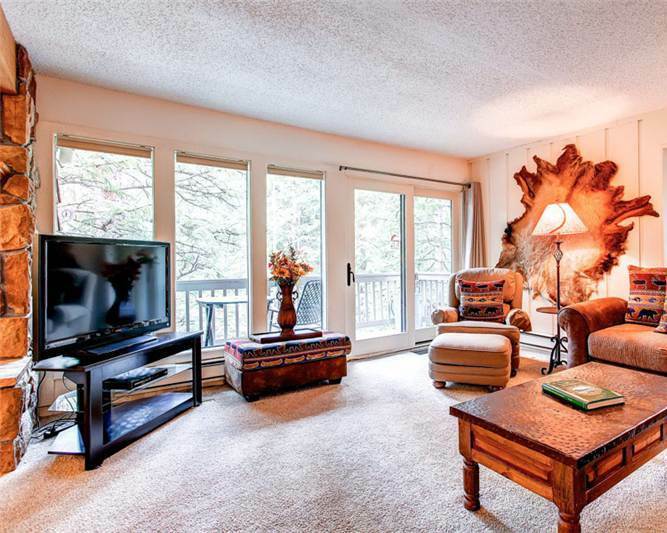 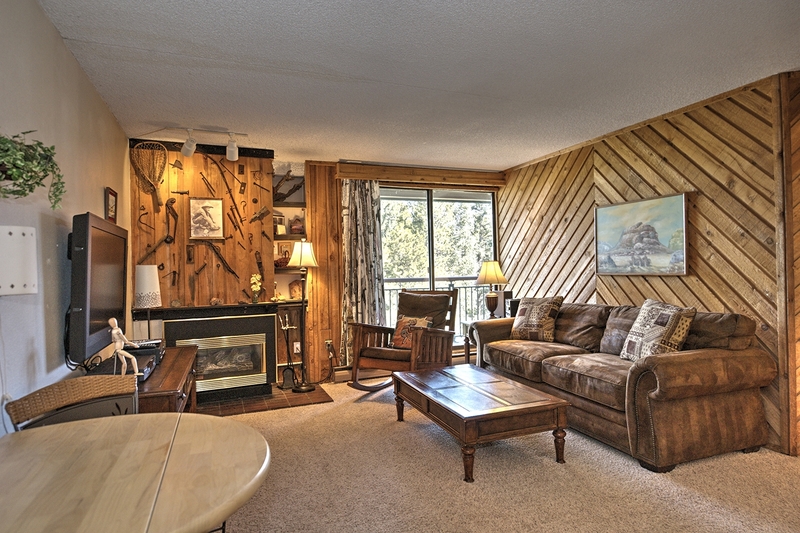 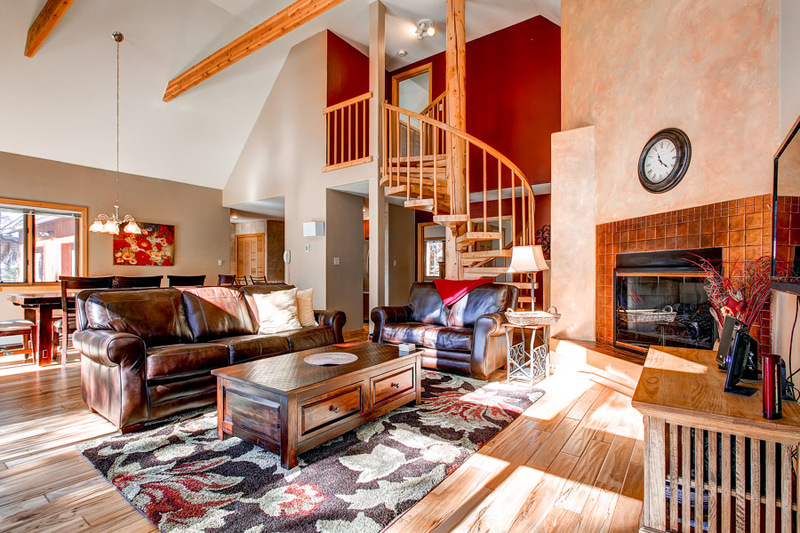 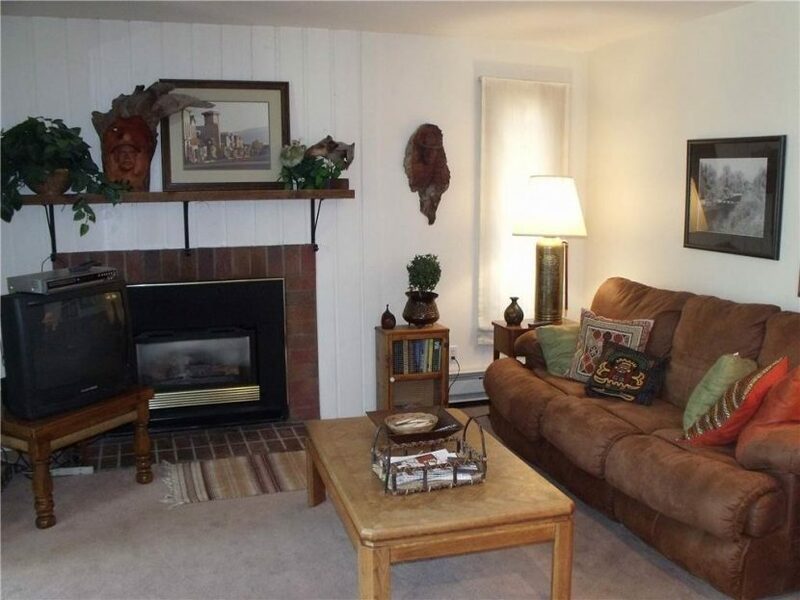 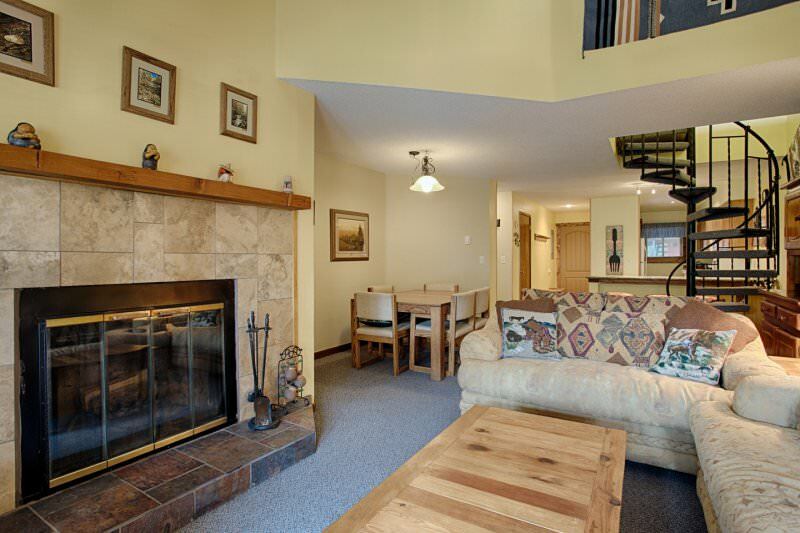 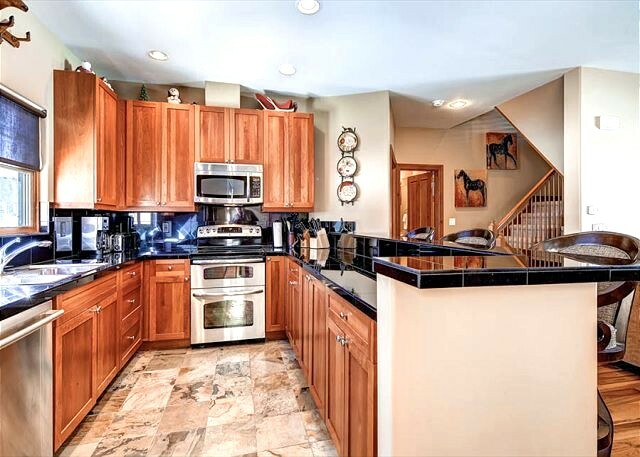 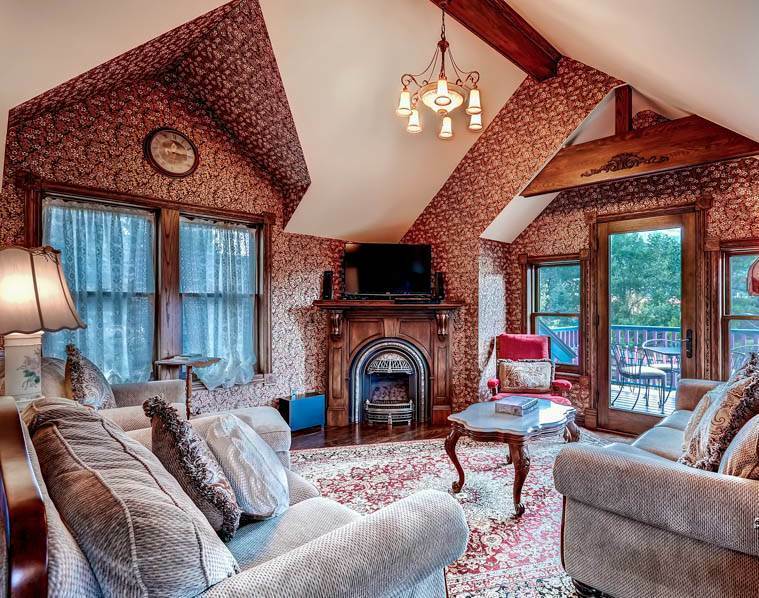 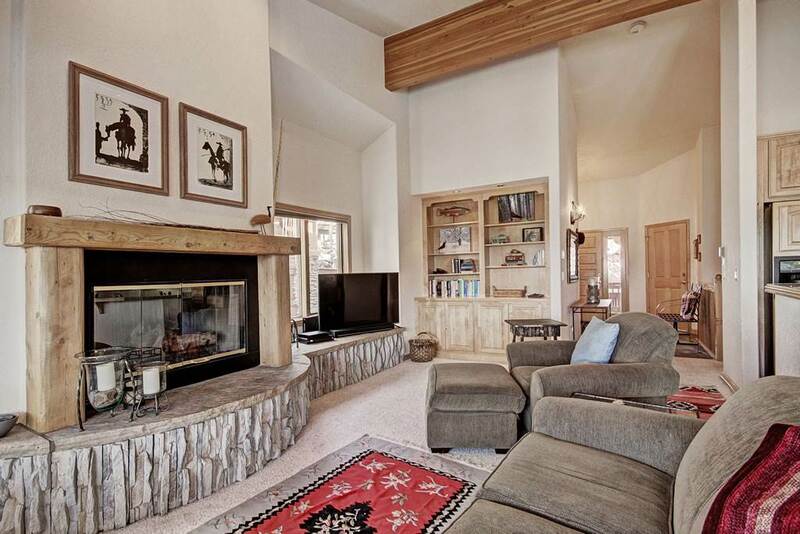 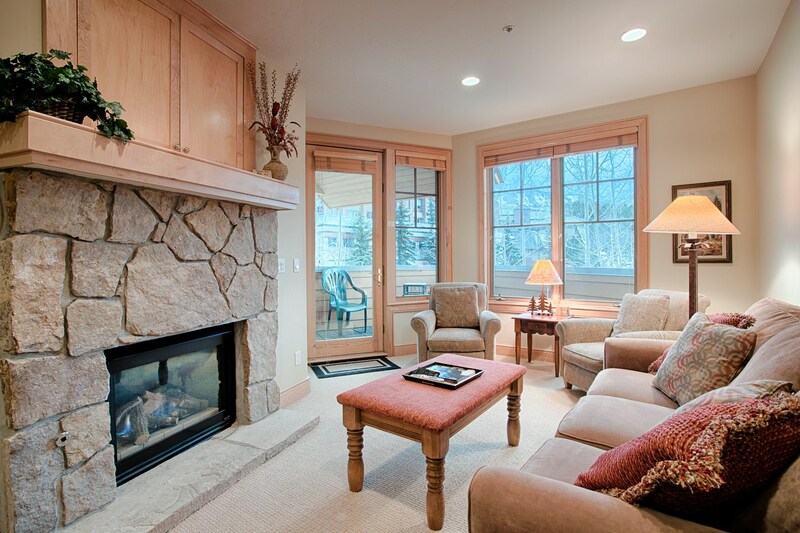 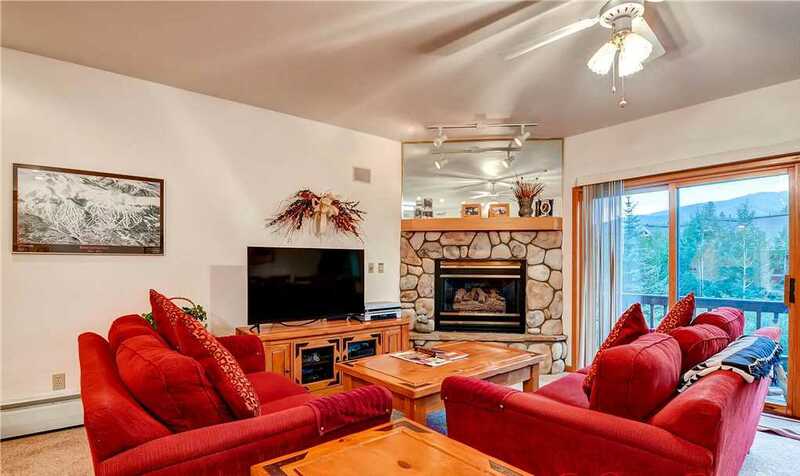 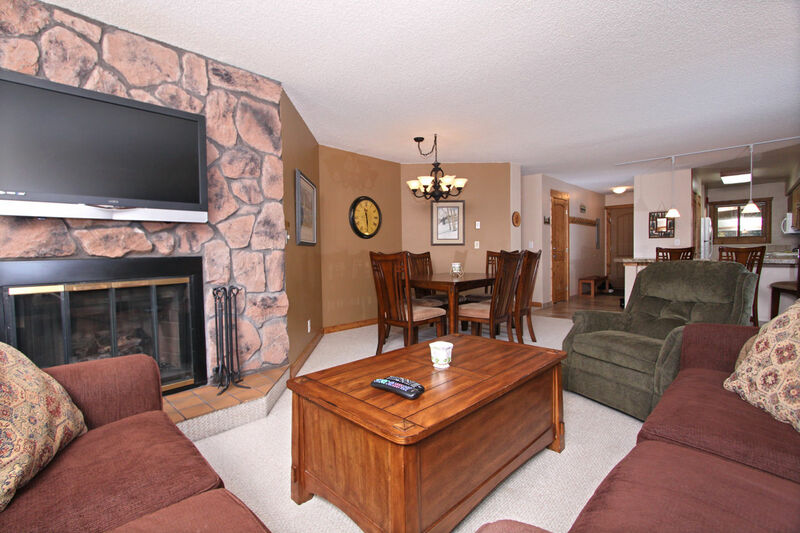 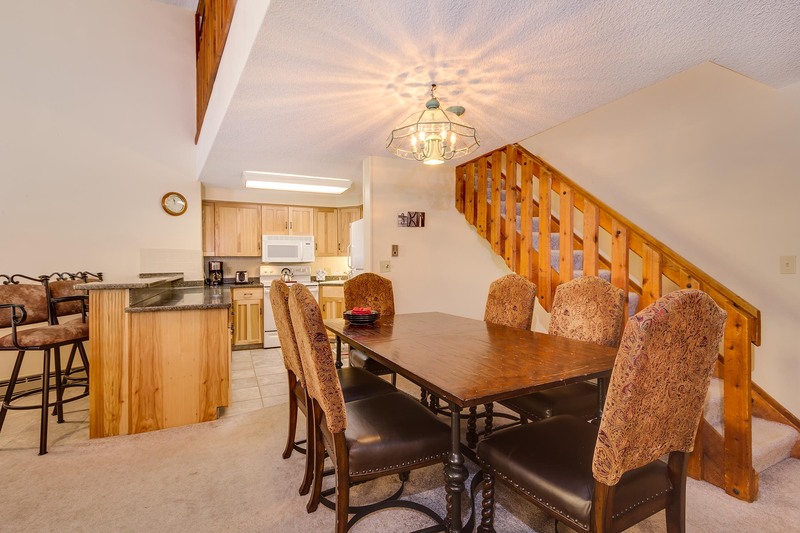 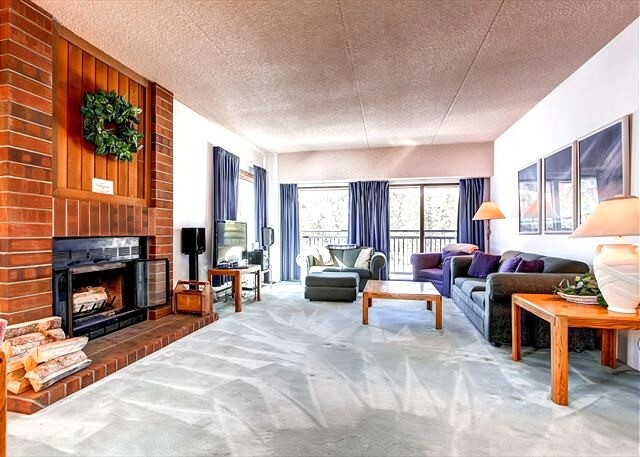 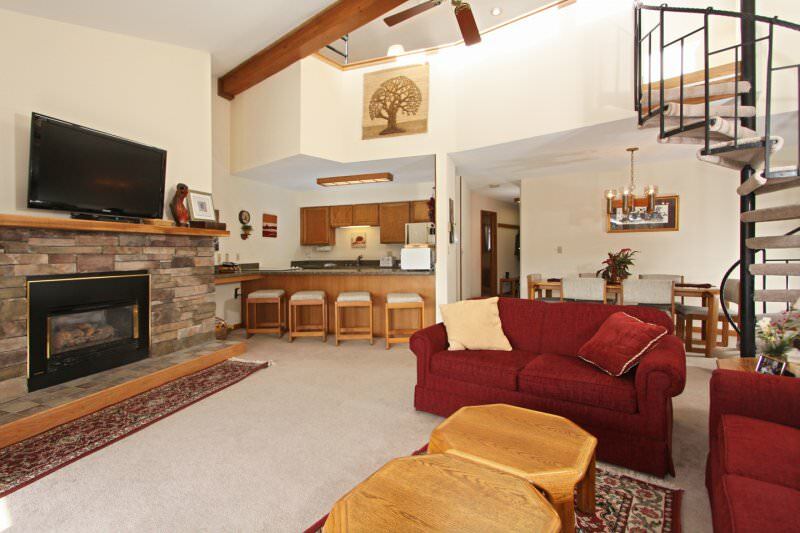 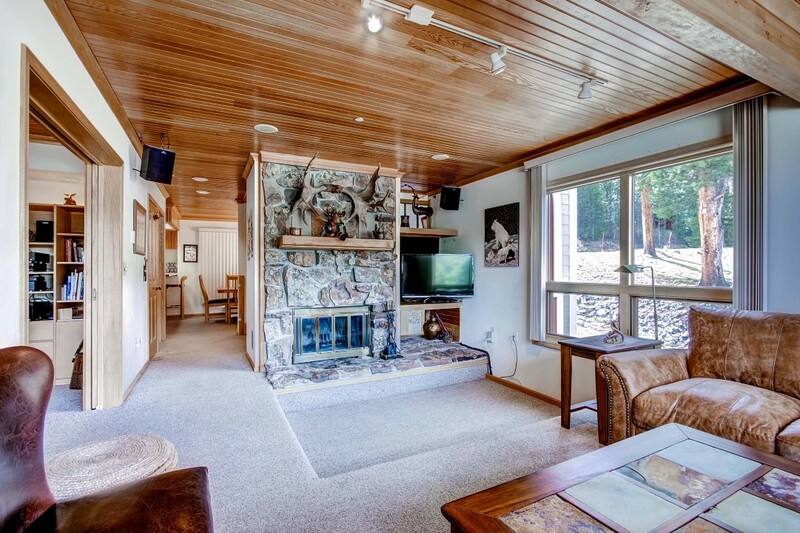 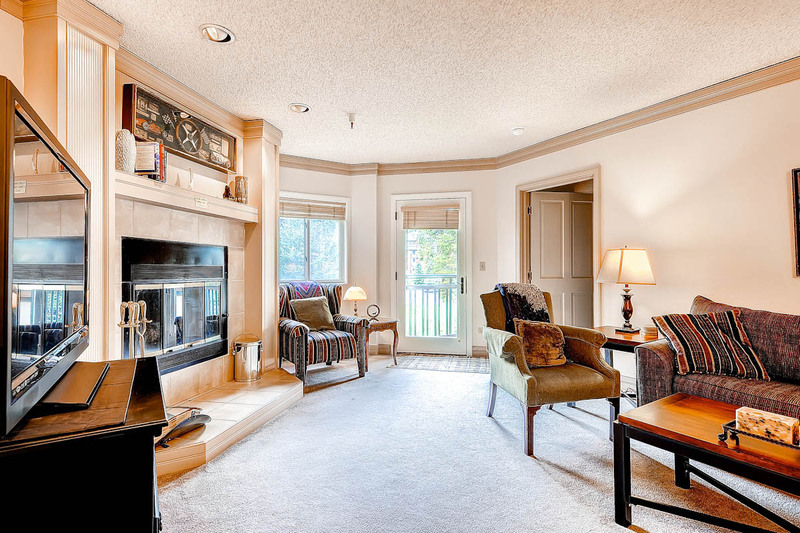 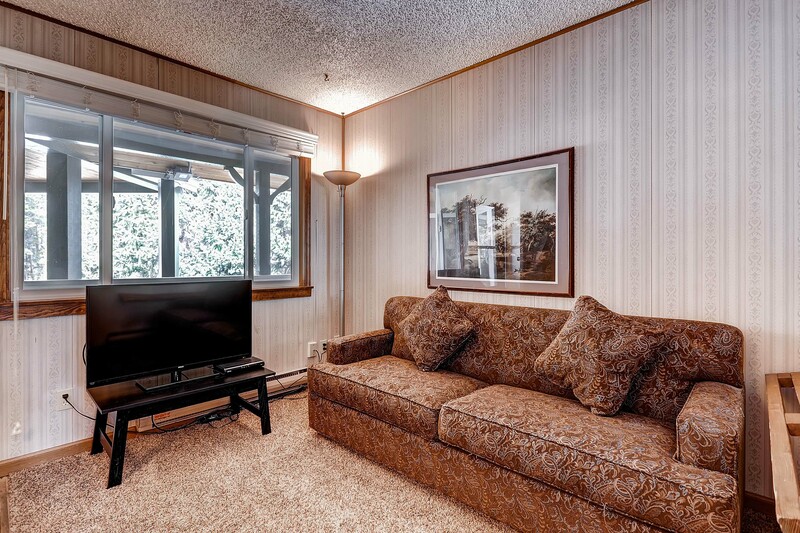 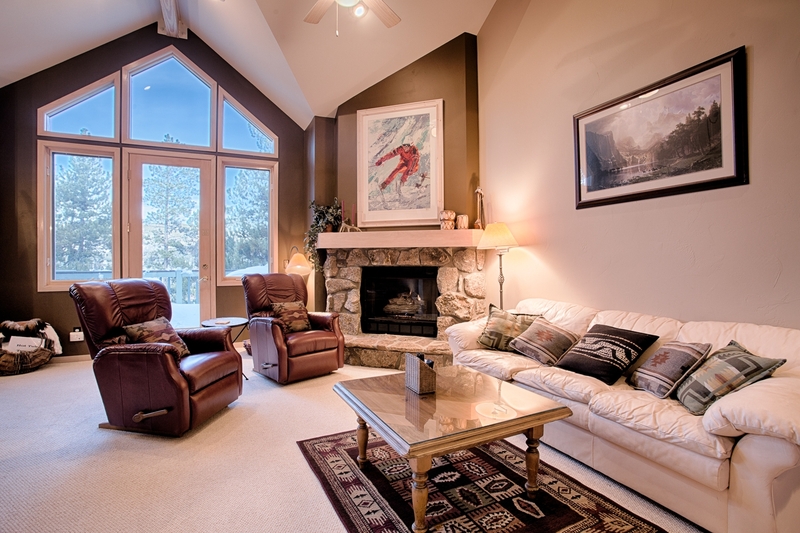 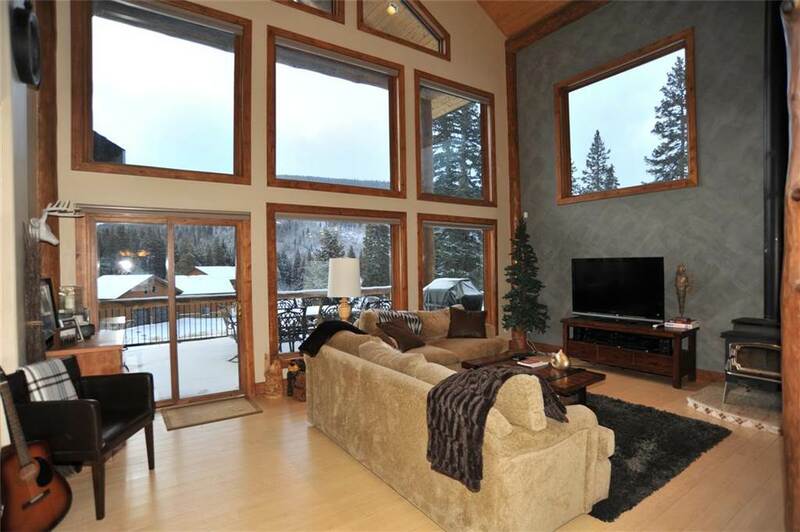 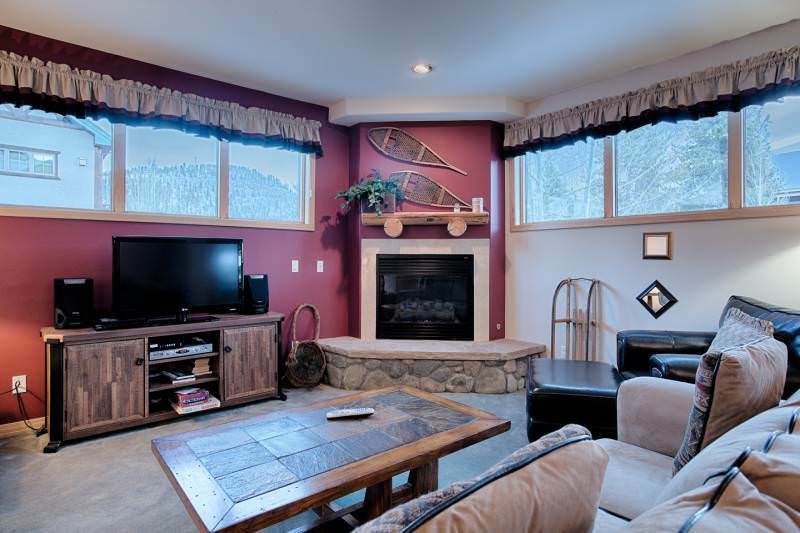 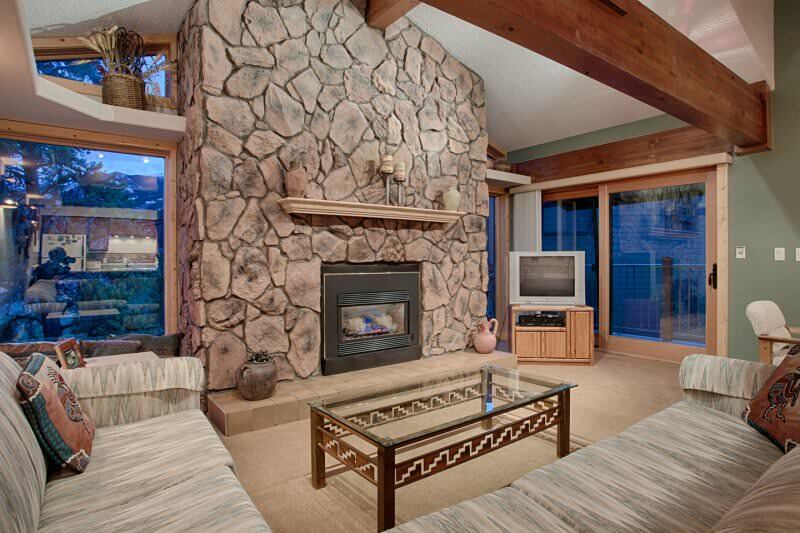 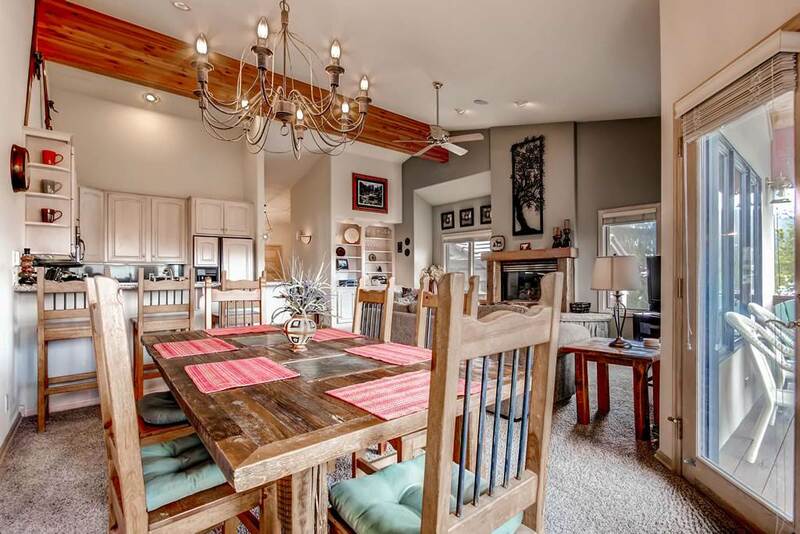 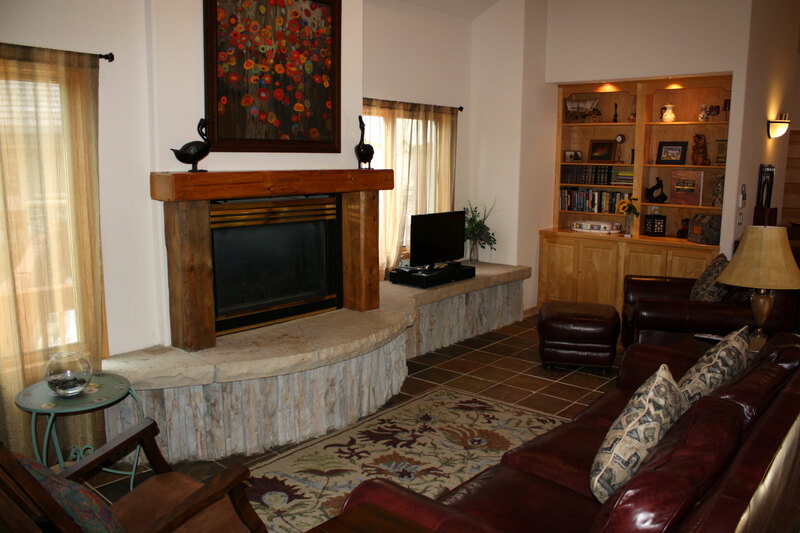 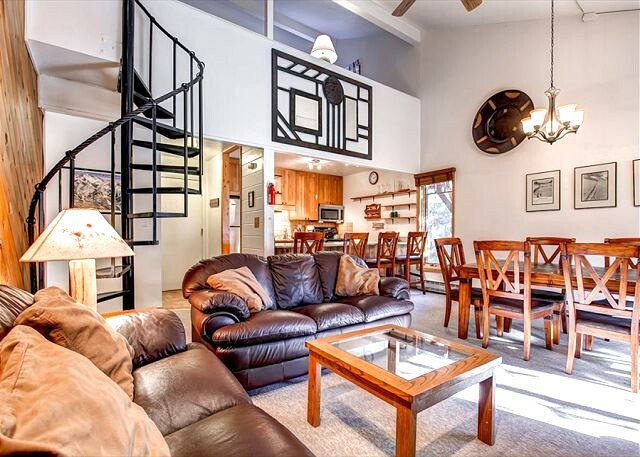 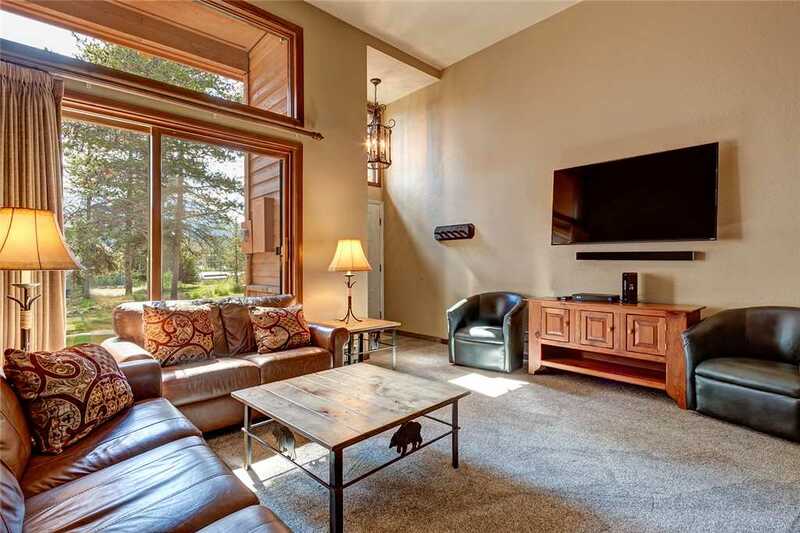 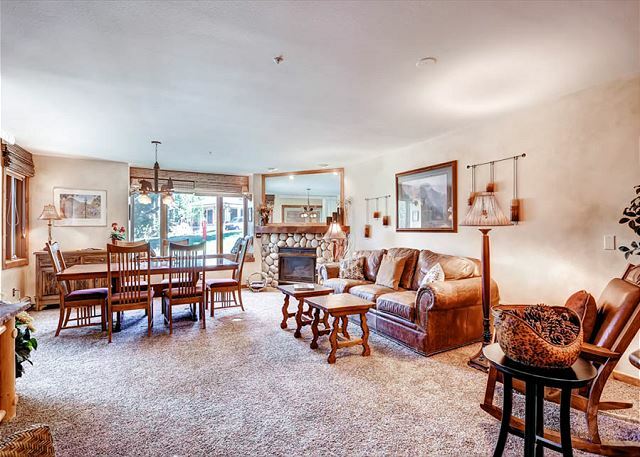 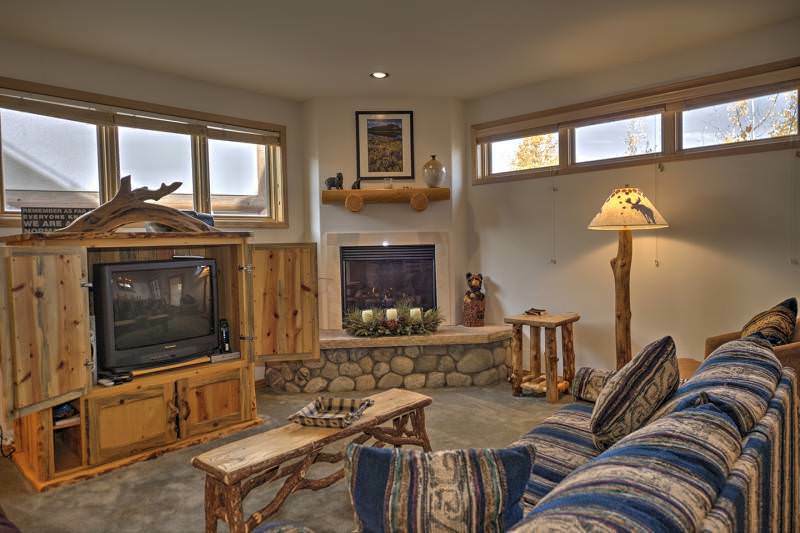 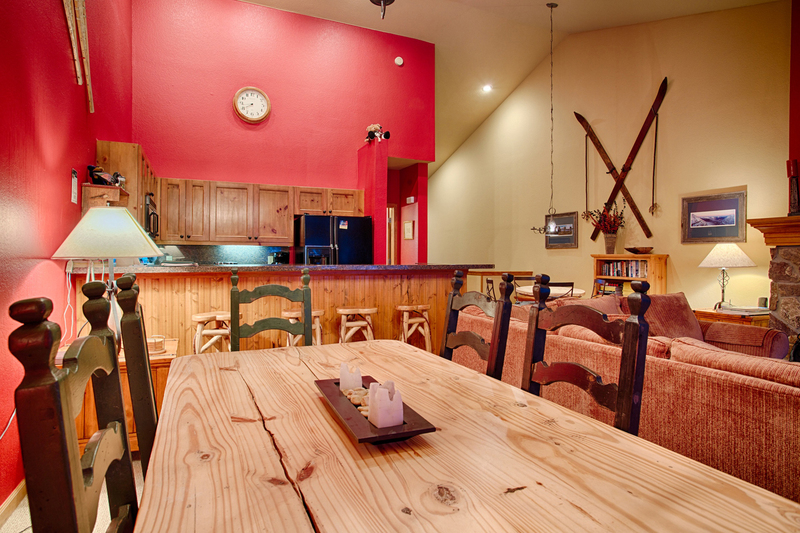 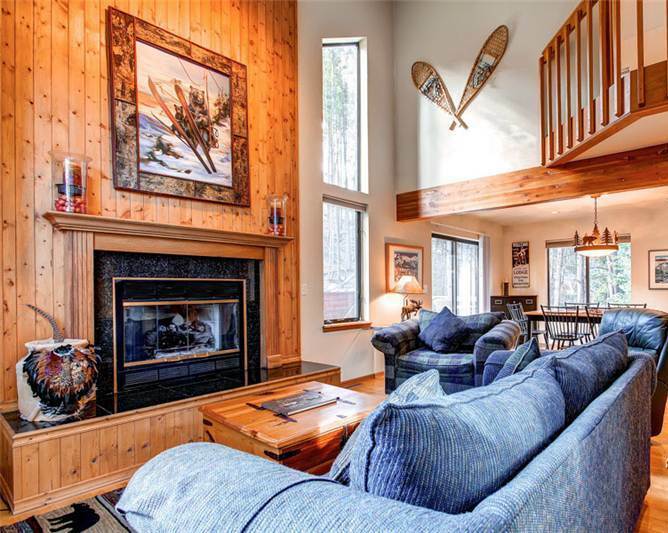 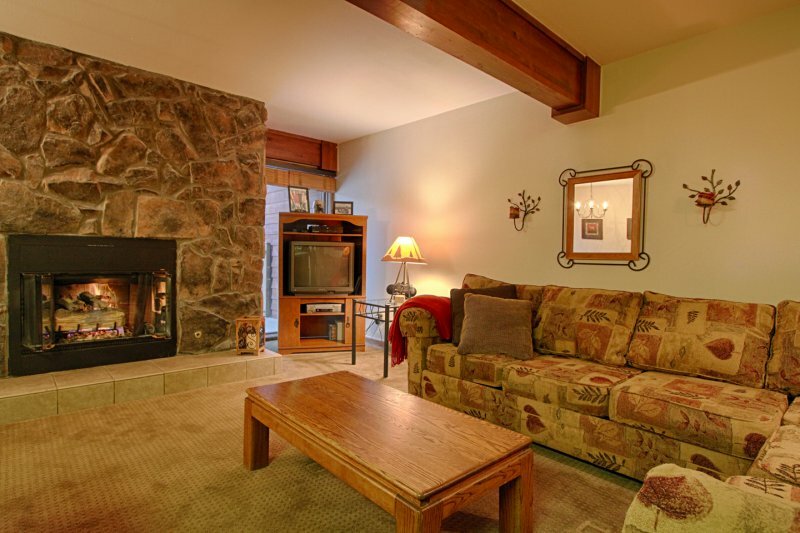 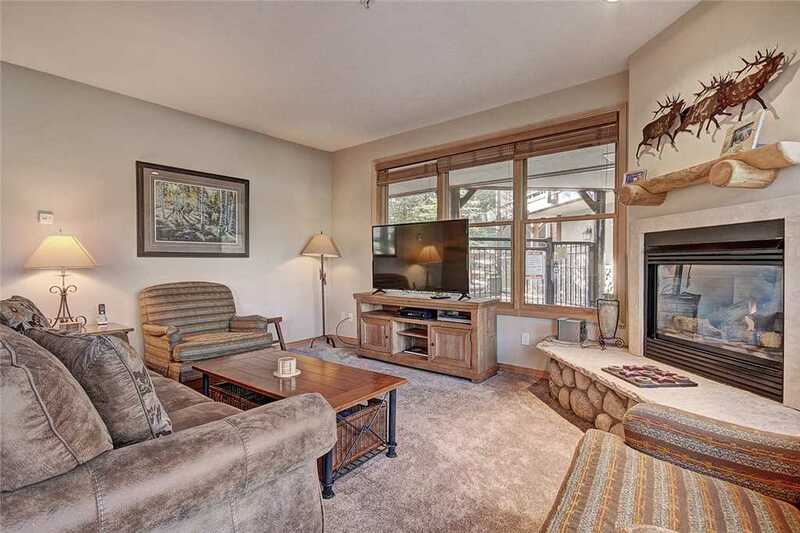 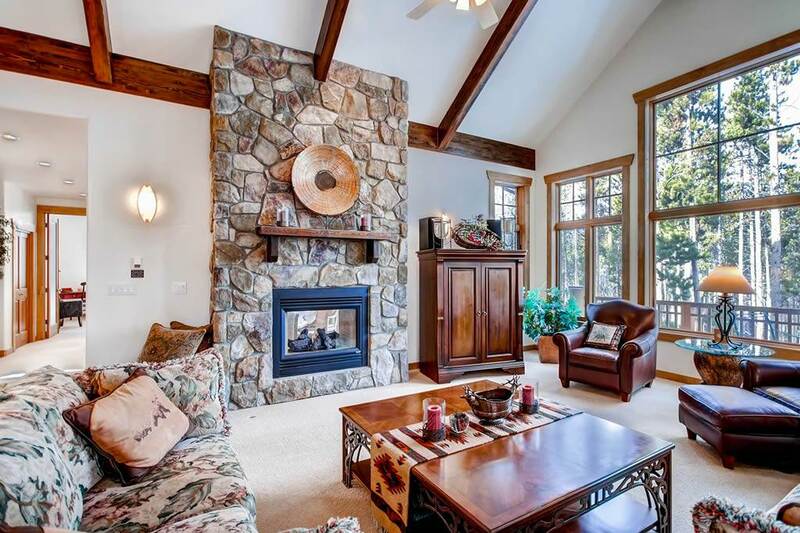 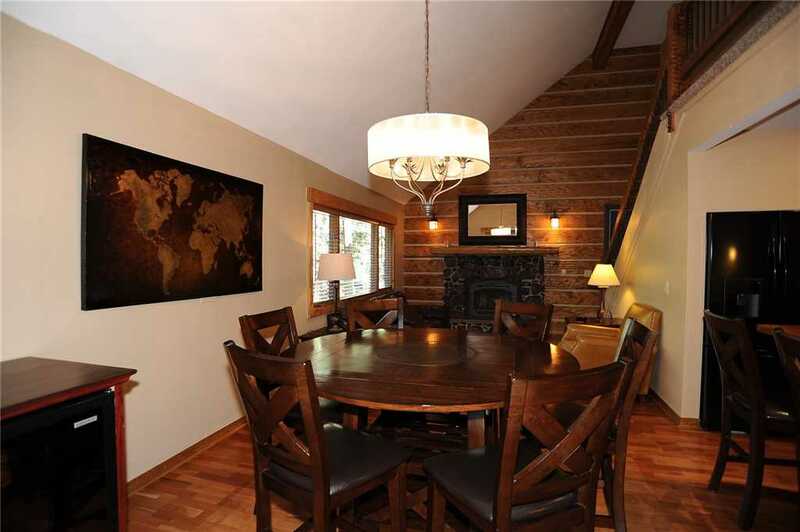 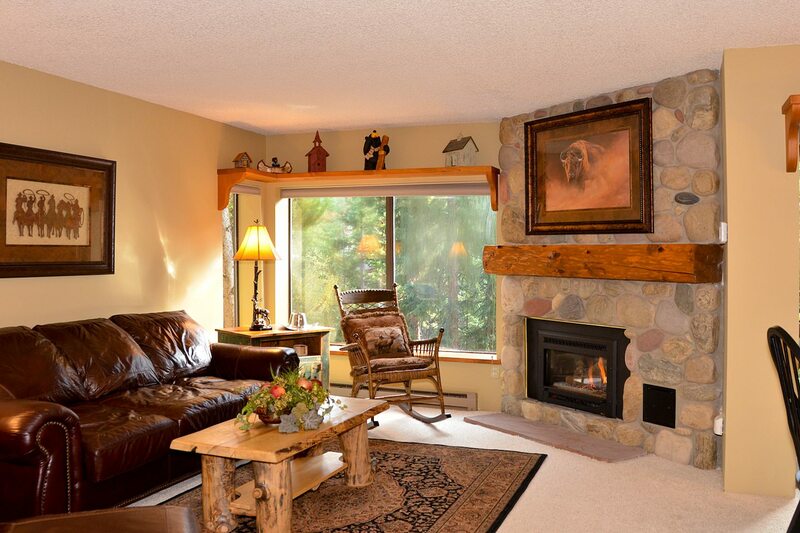 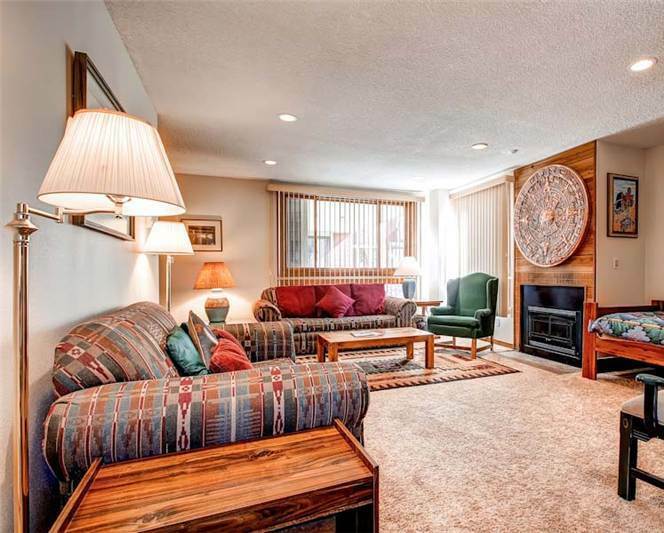 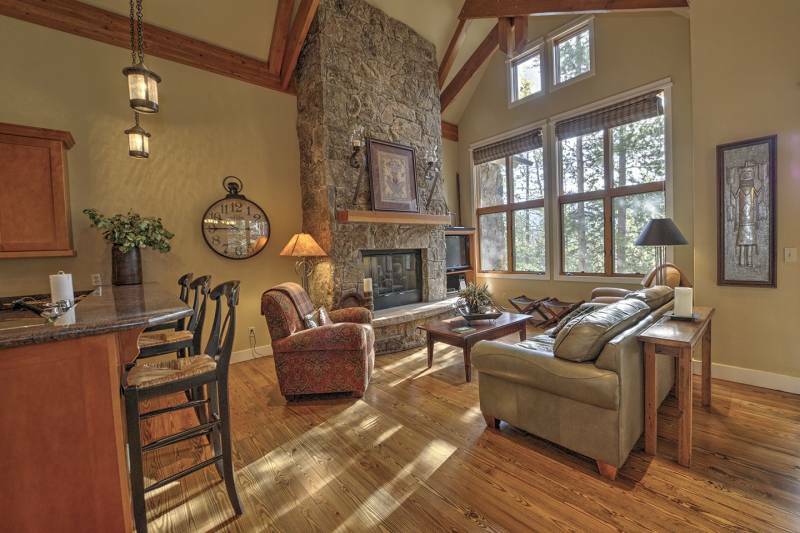 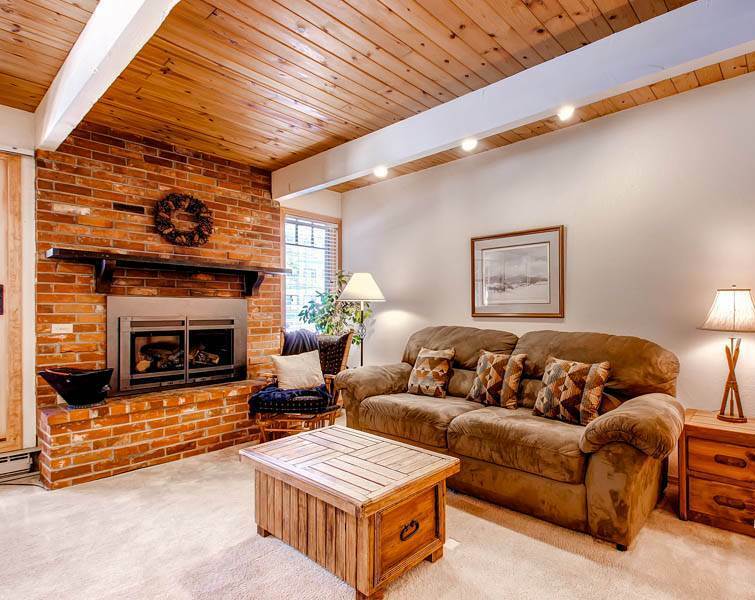 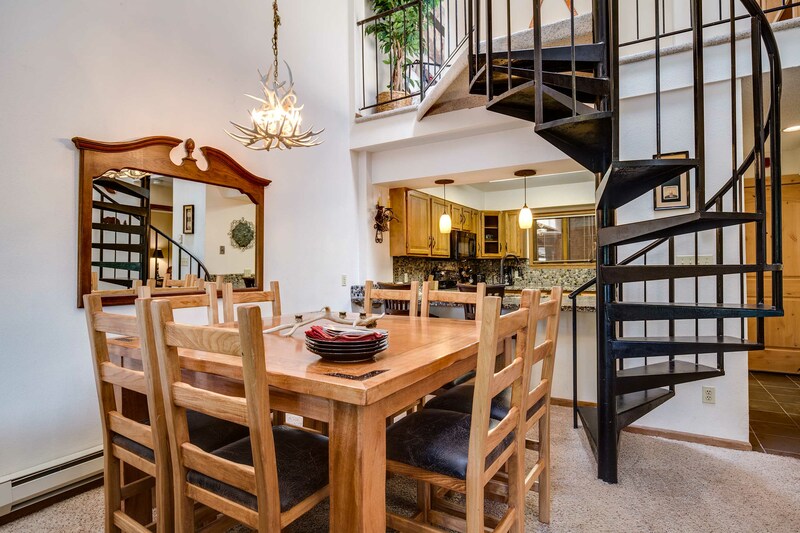 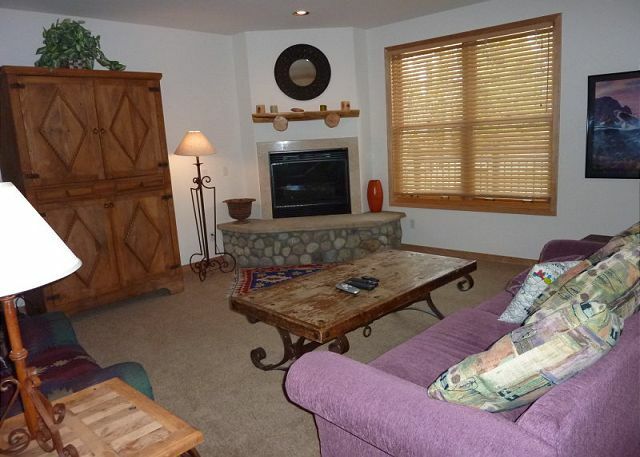 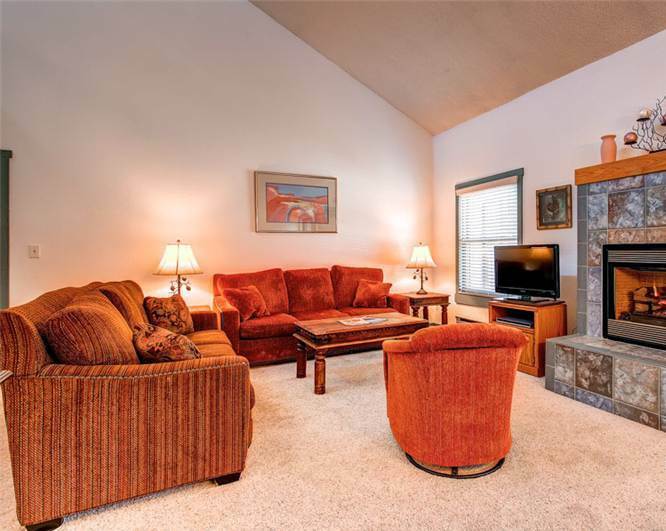 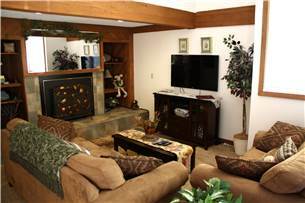 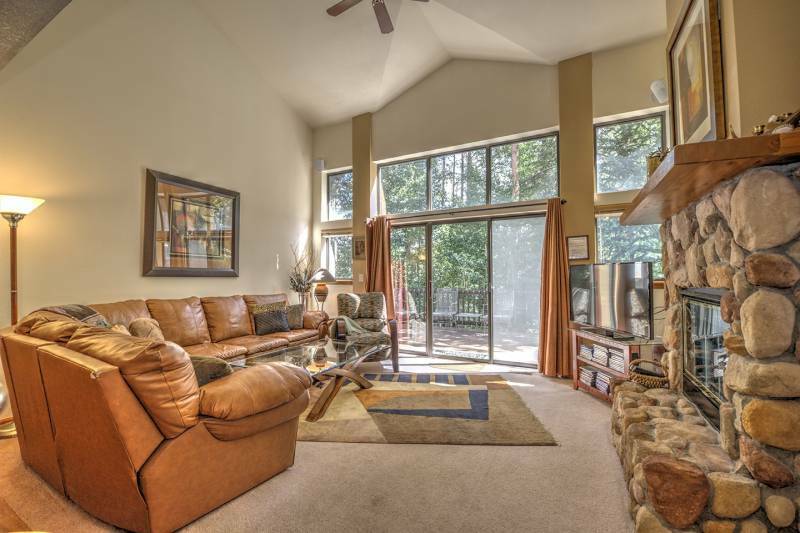 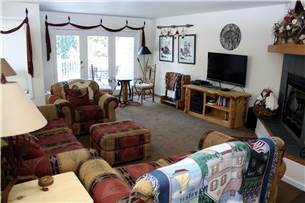 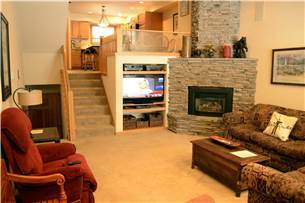 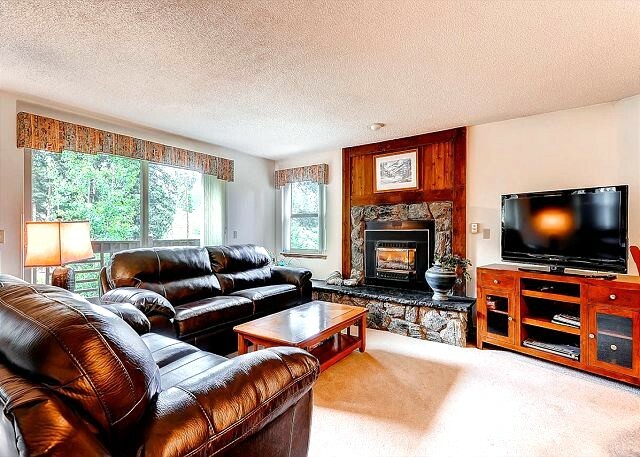 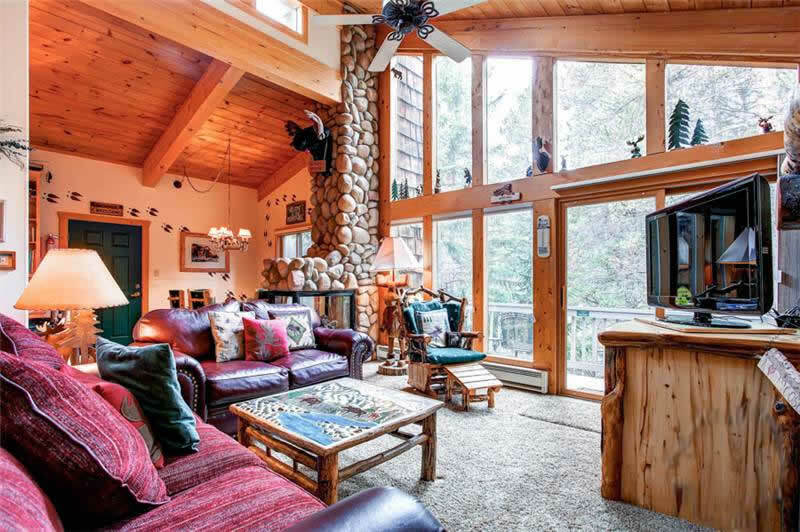 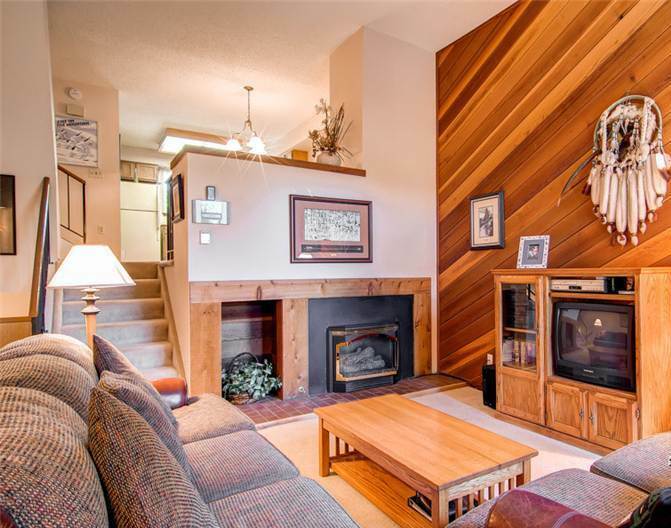 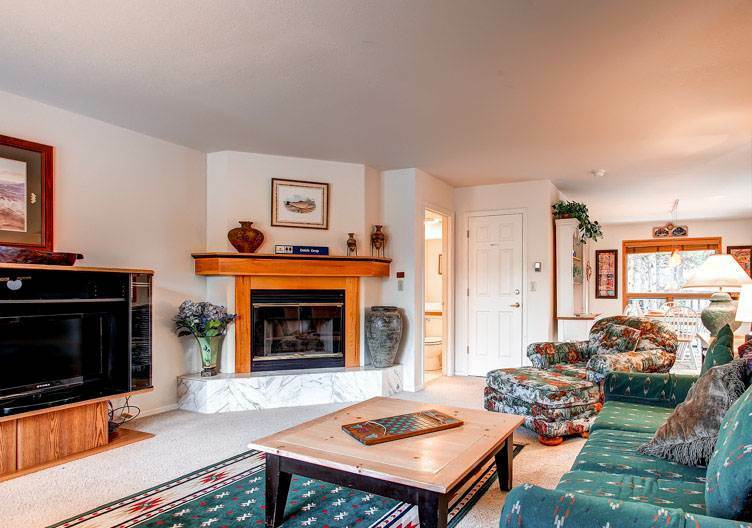 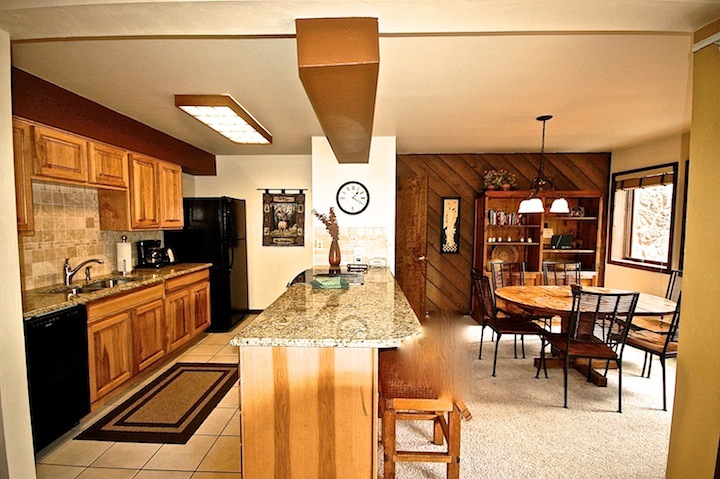 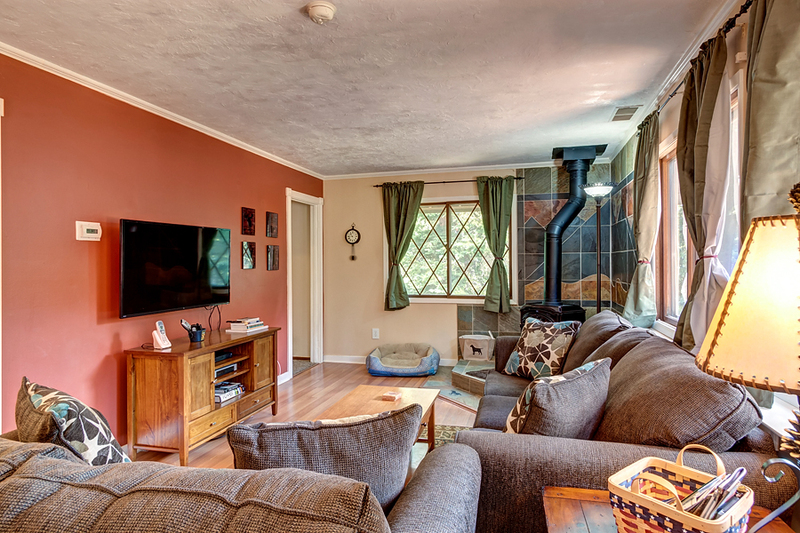 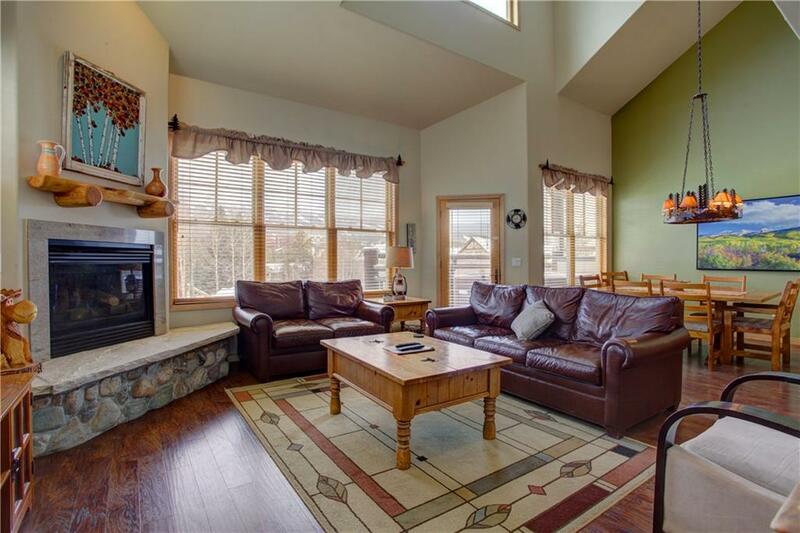 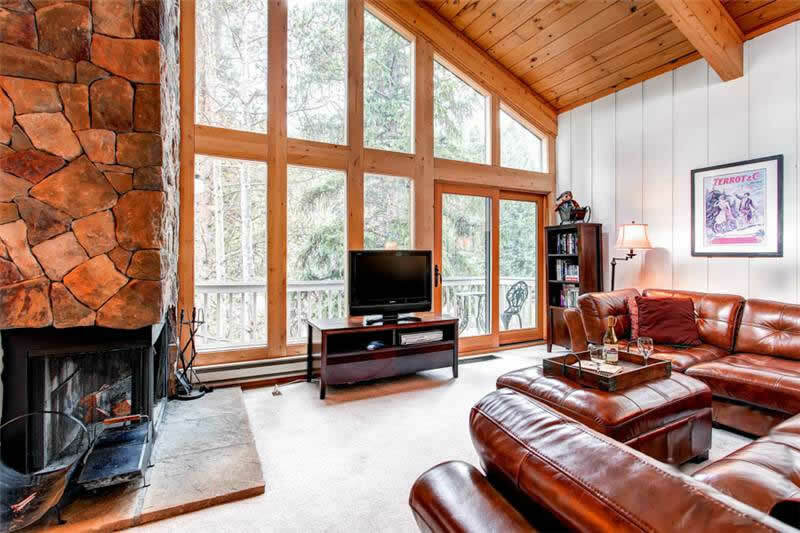 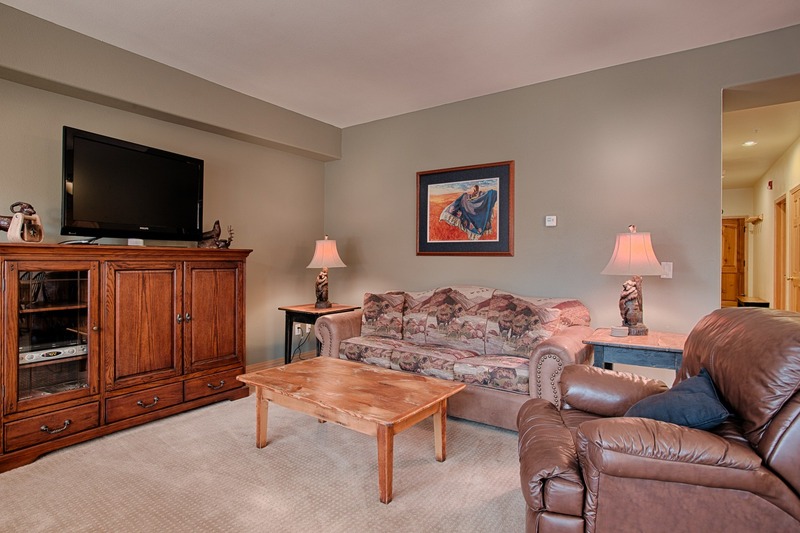 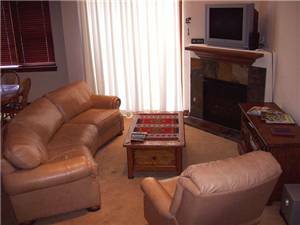 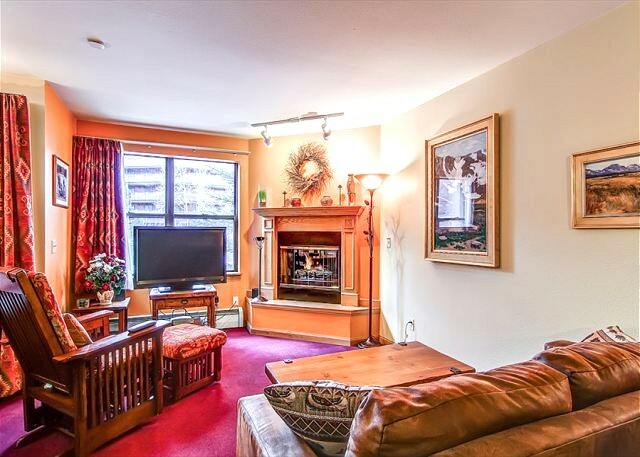 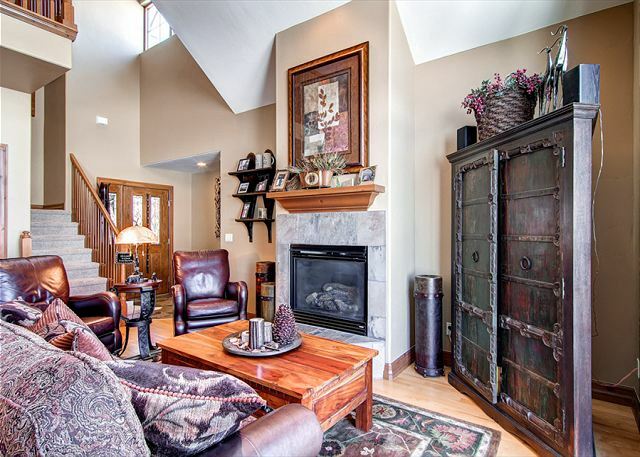 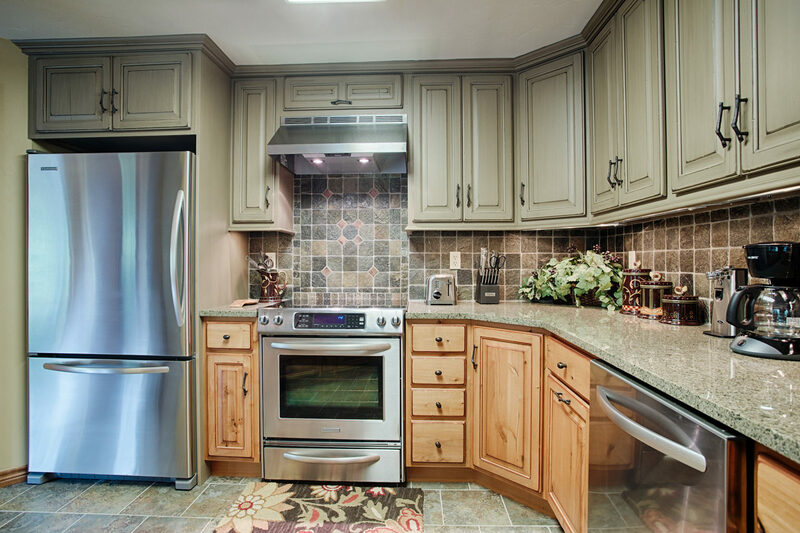 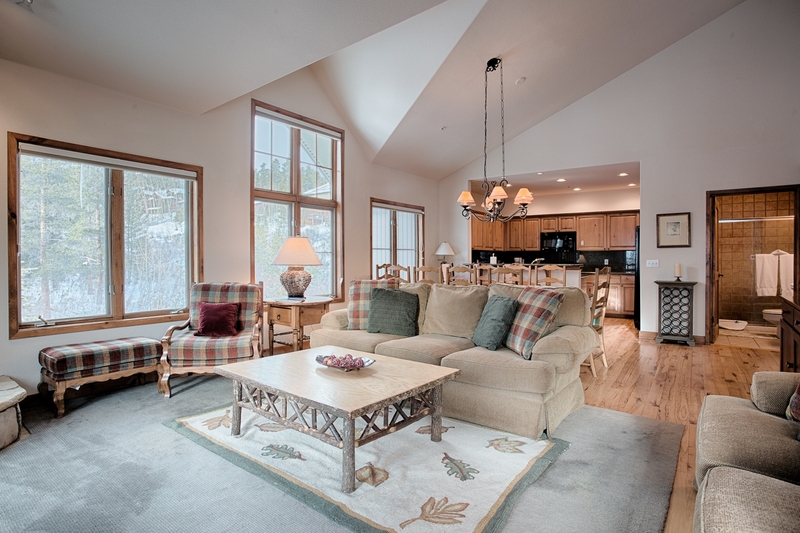 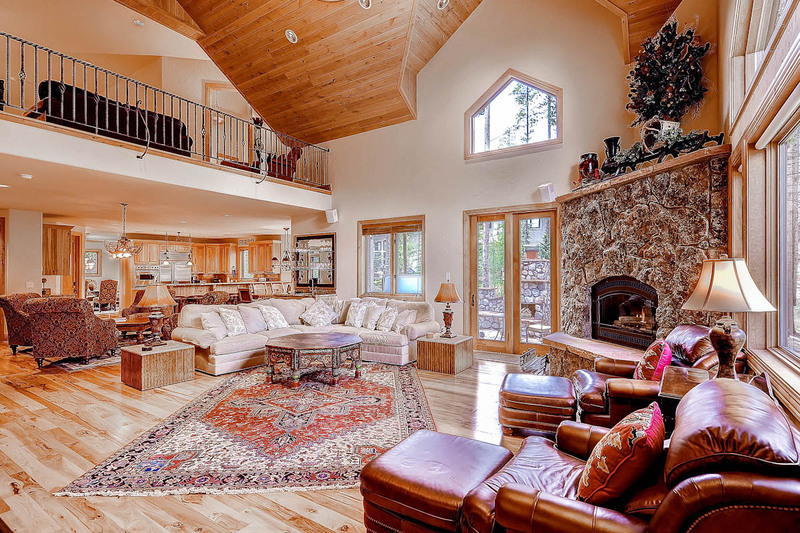 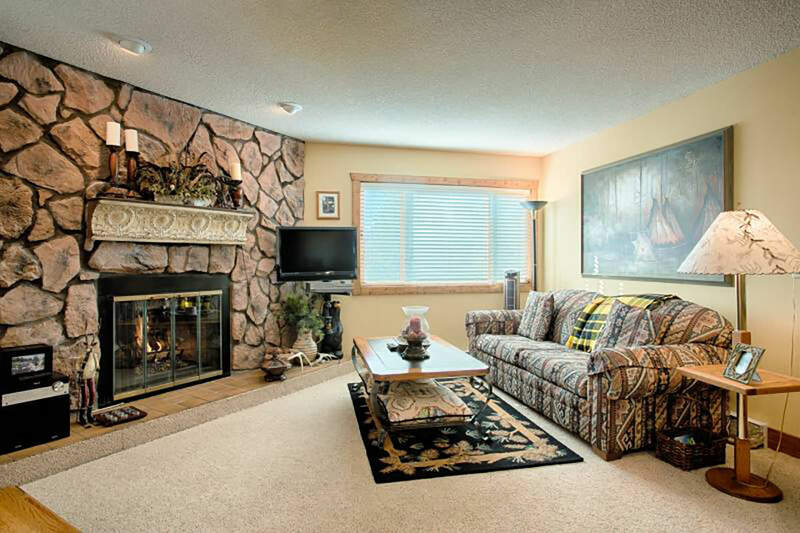 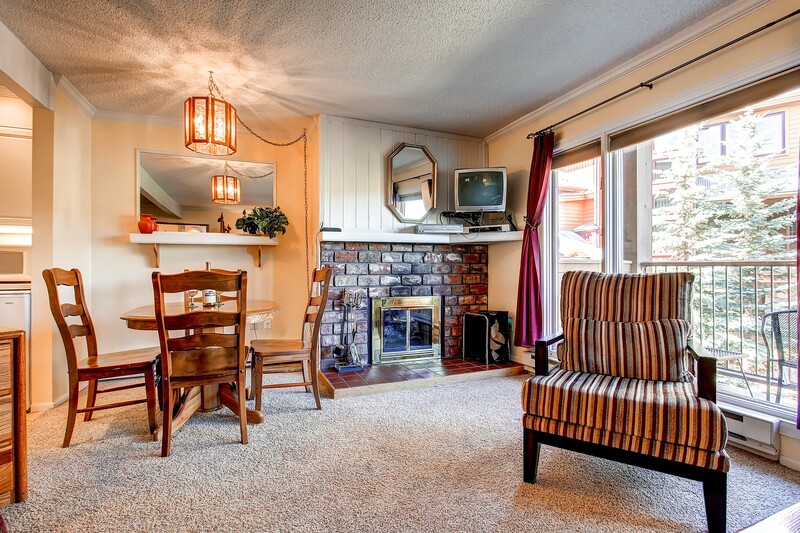 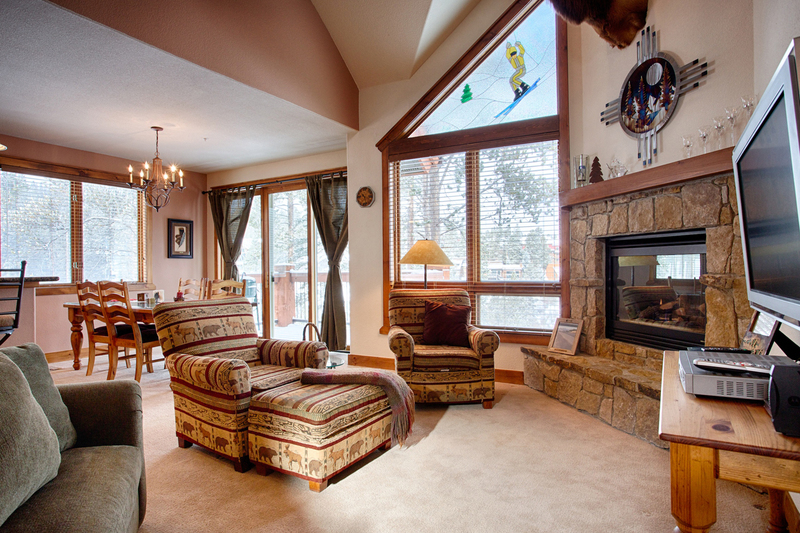 Upon entering you will find a large foyer with plenty of storage for de-gearing after a long day on the mountain. 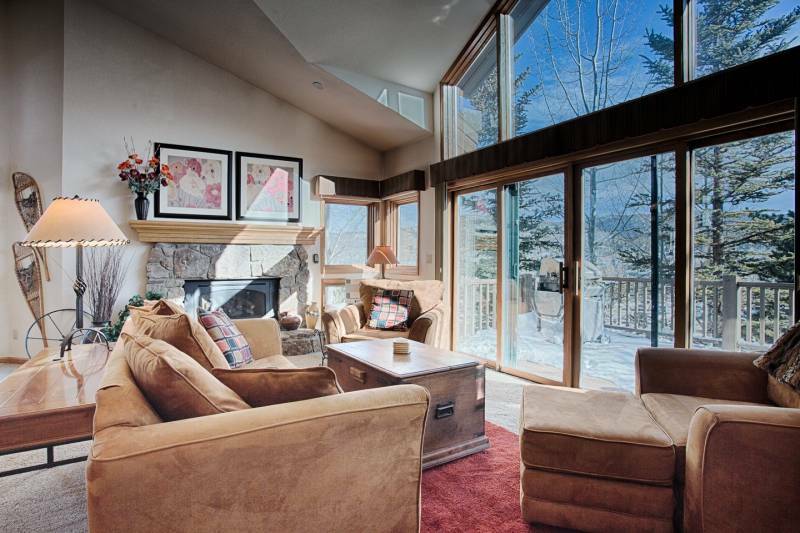 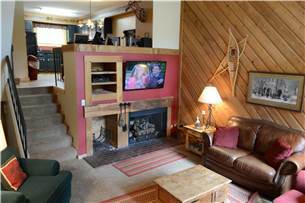 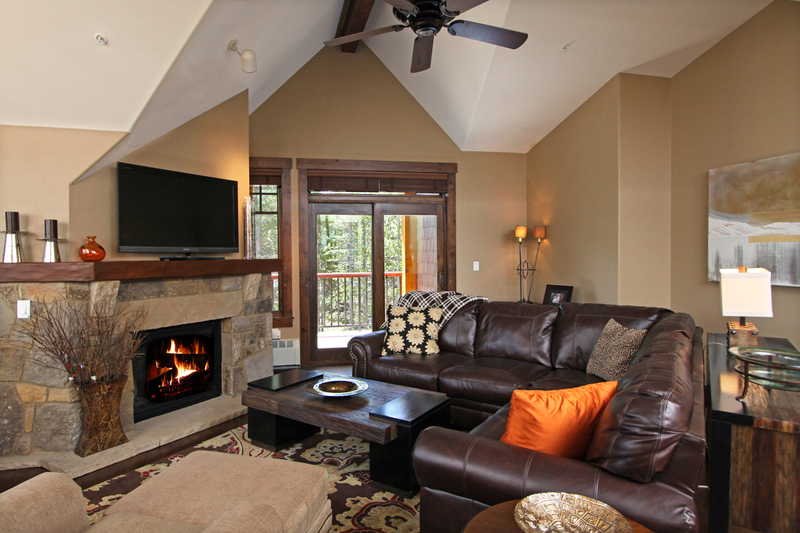 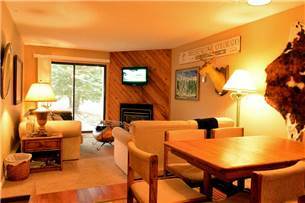 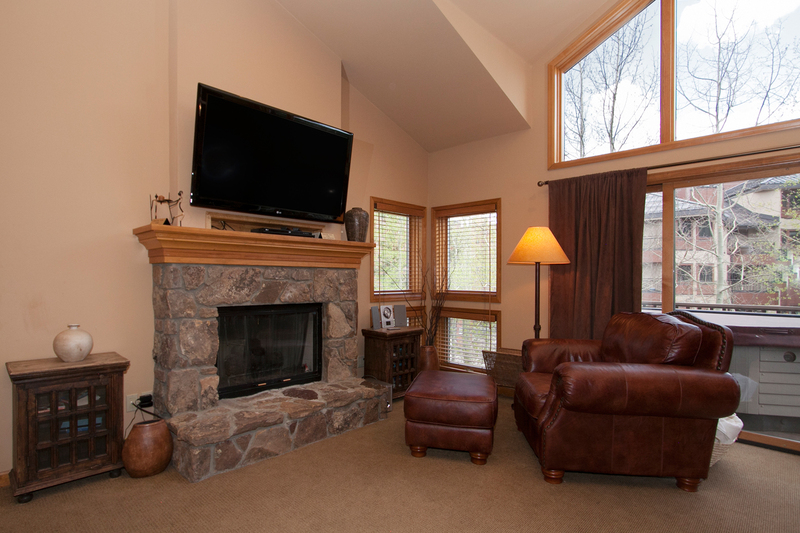 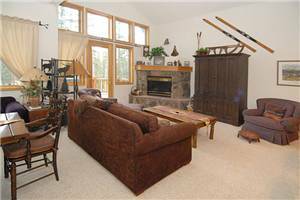 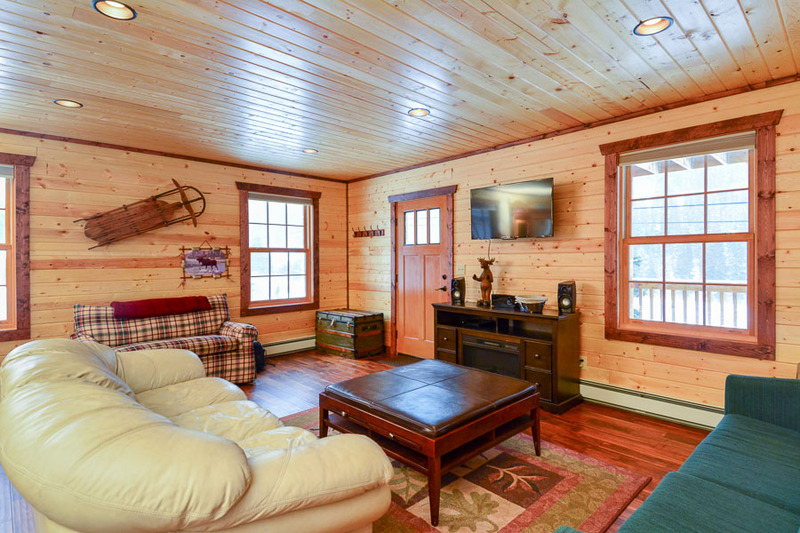 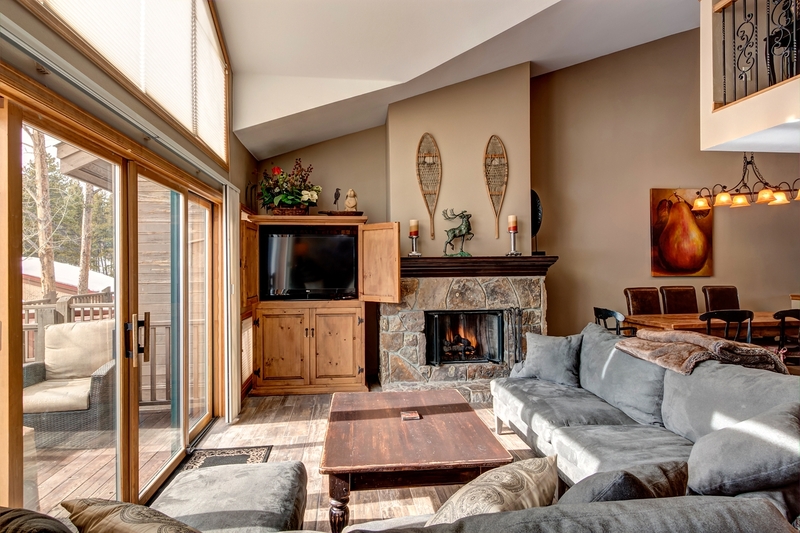 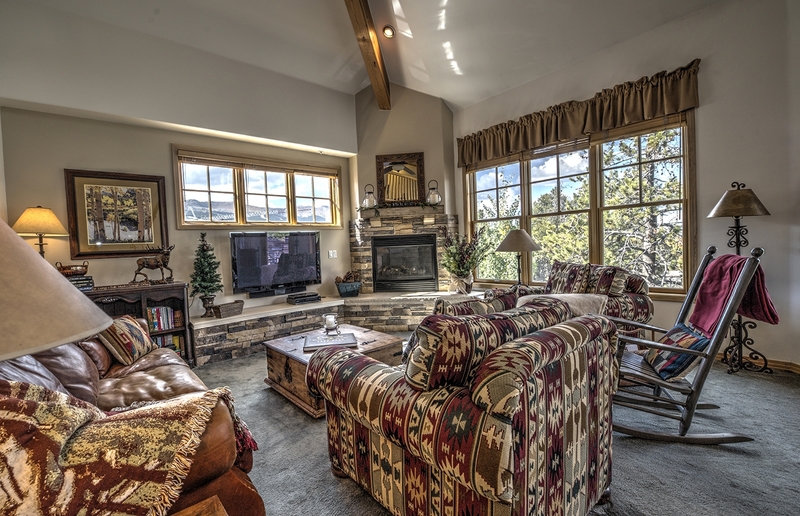 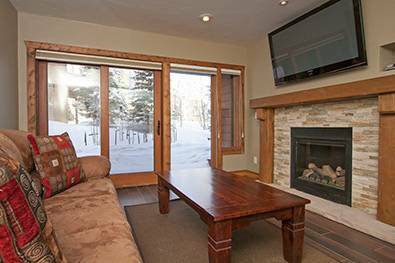 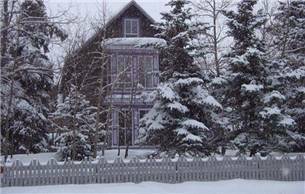 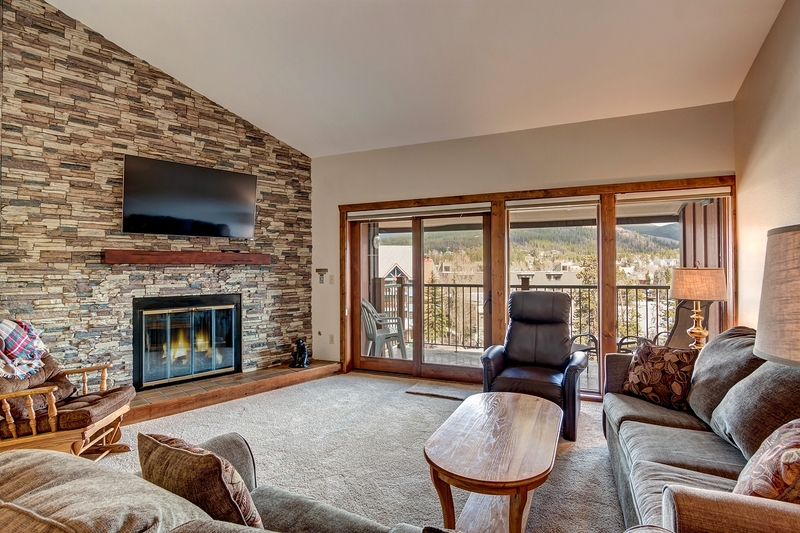 Upstairs you will be greeted with a large living room complete with a fireplace and private deck overlooking the ski area. 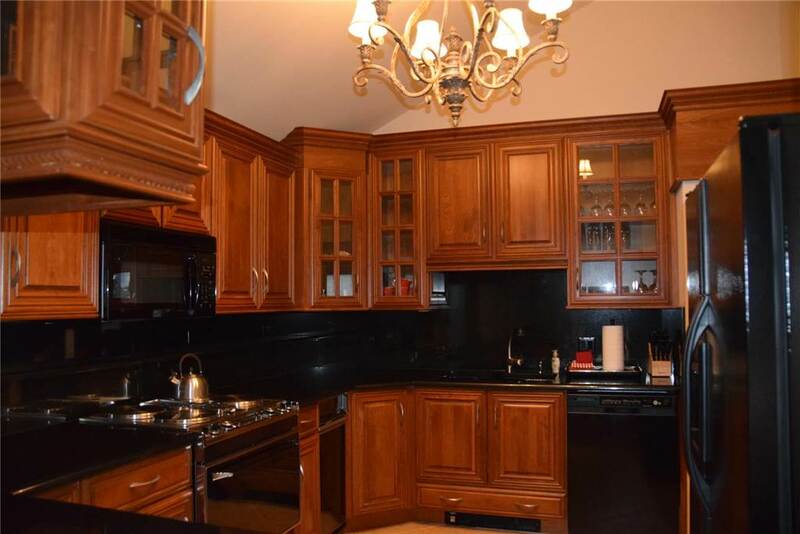 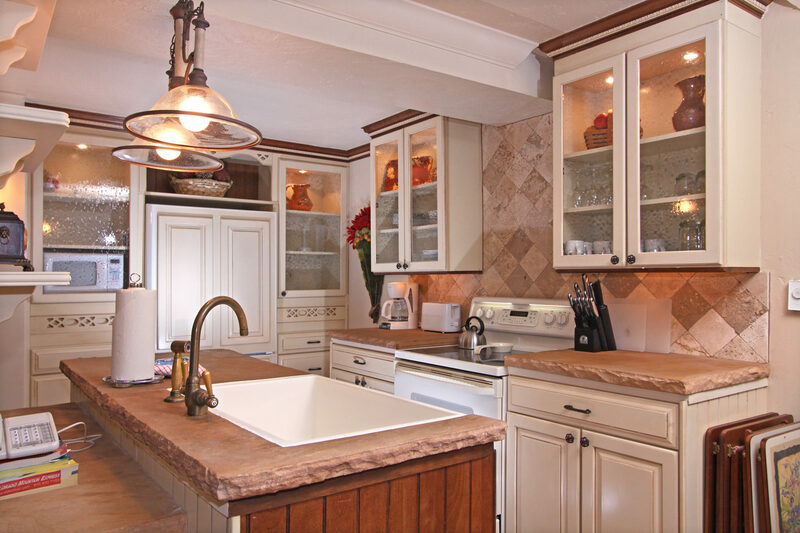 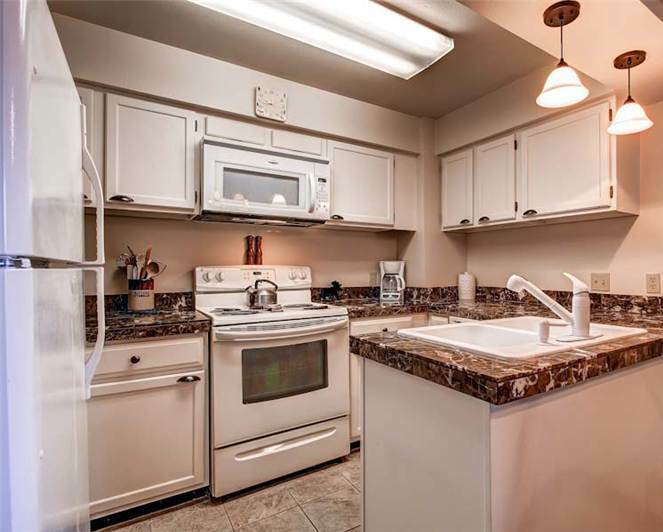 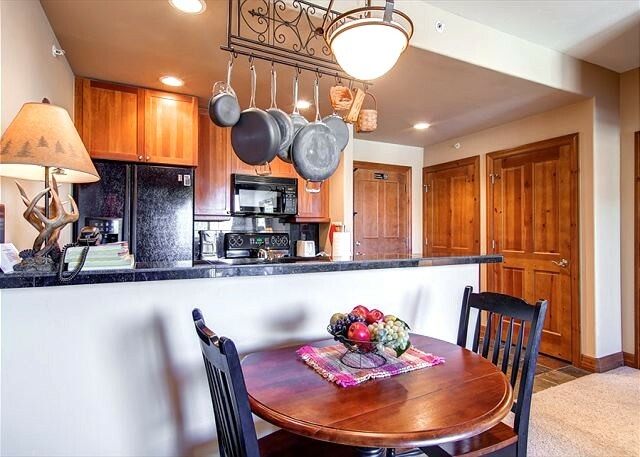 Just off the living room is the functional kitchen which is fully-stocked with all you will need to prepare dinner for the family. 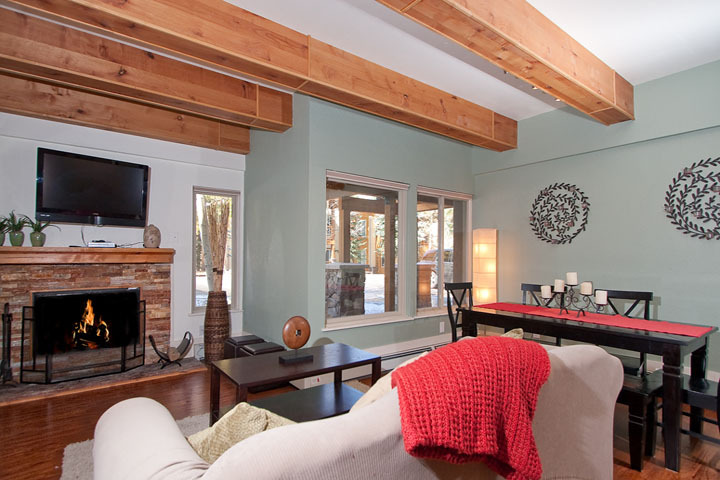 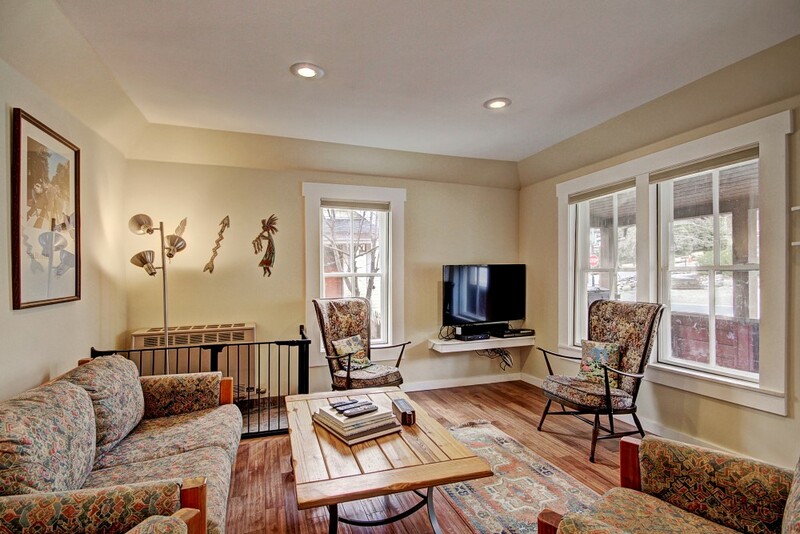 Above the living room is a cozy loft with sleeping room for 6 people (children would be ideal). 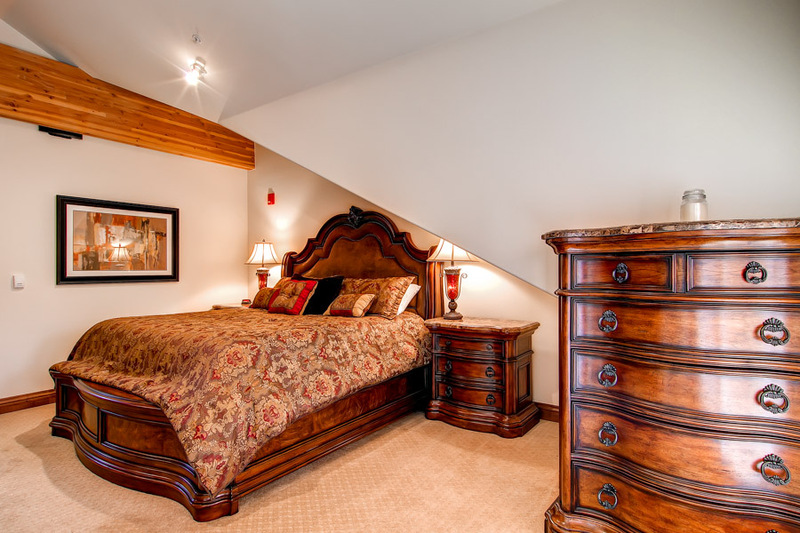 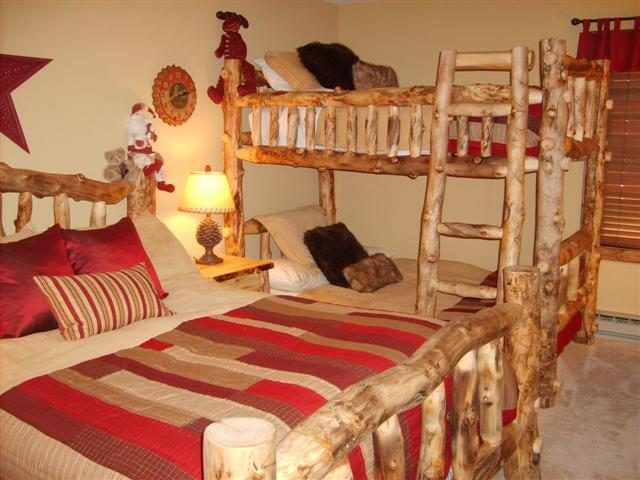 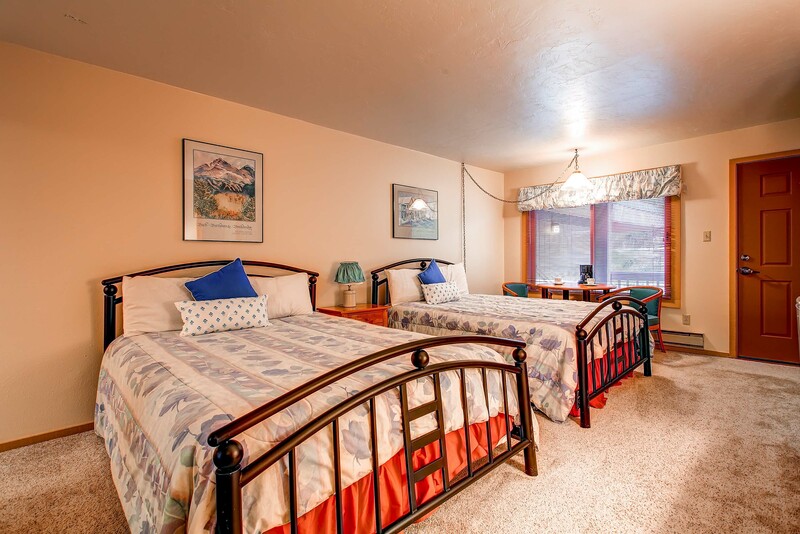 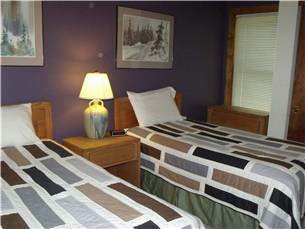 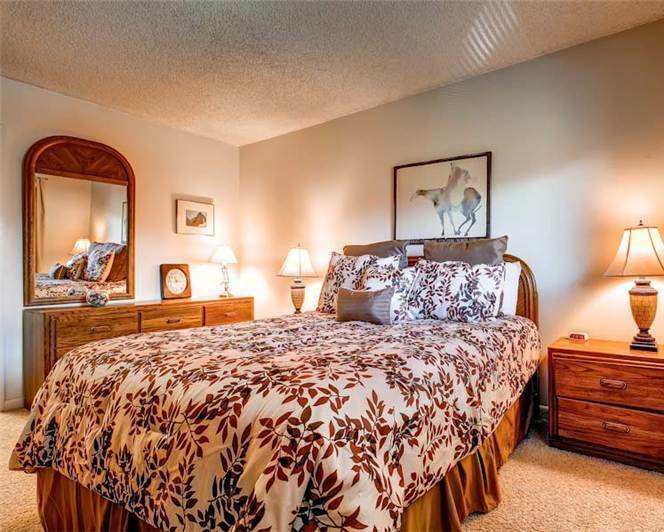 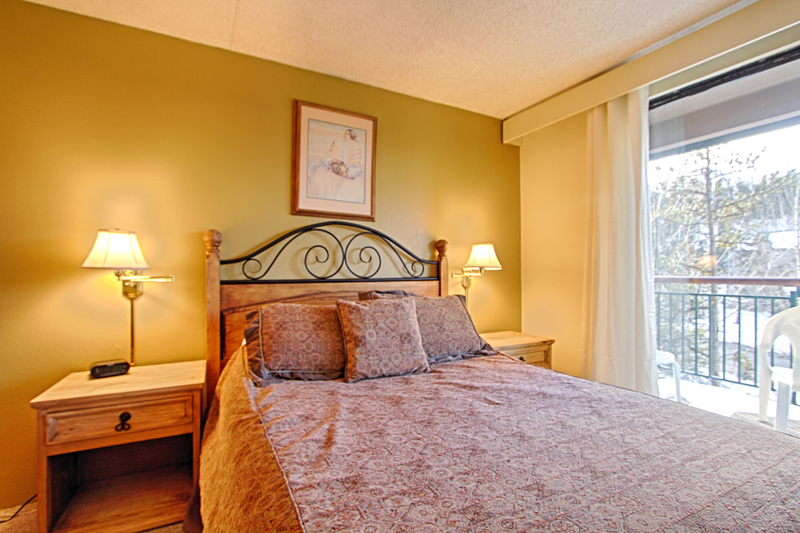 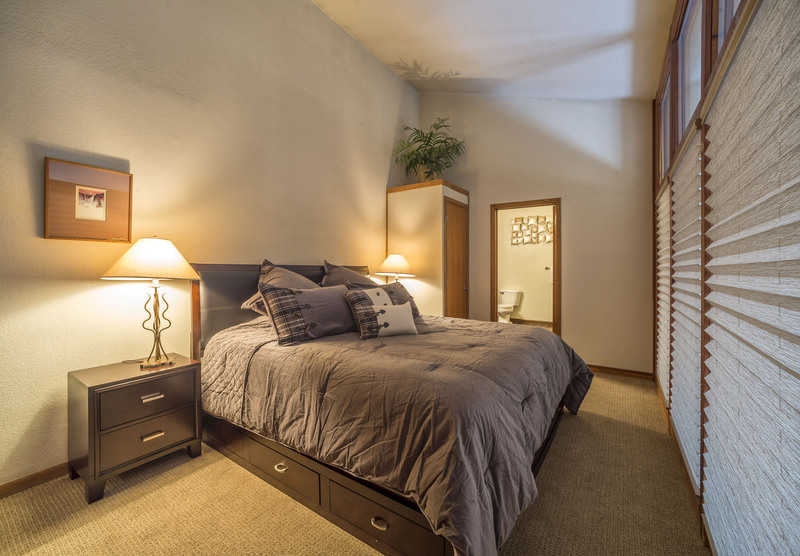 Downstairs are 2 large bedrooms with queen beds. 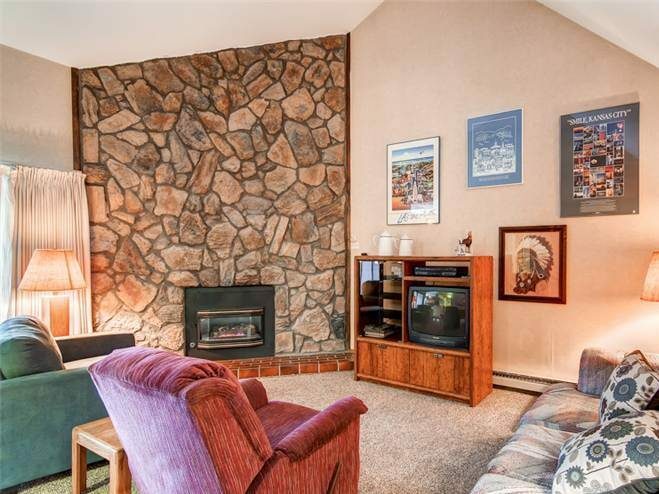 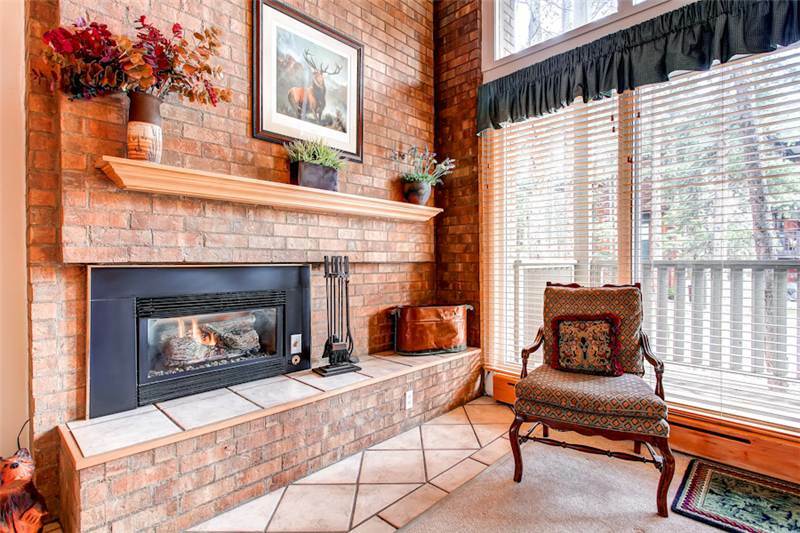 The master has its own fireplace. 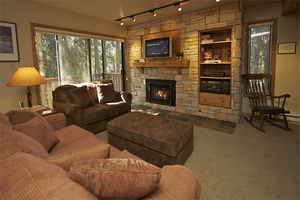 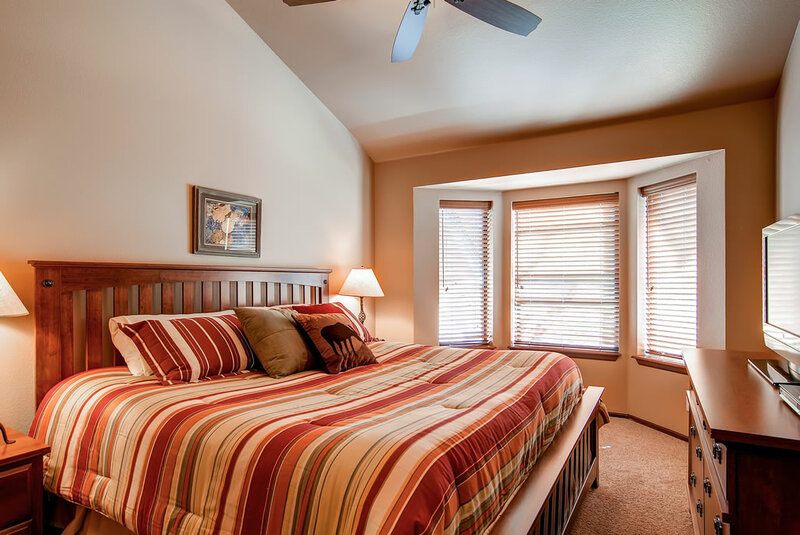 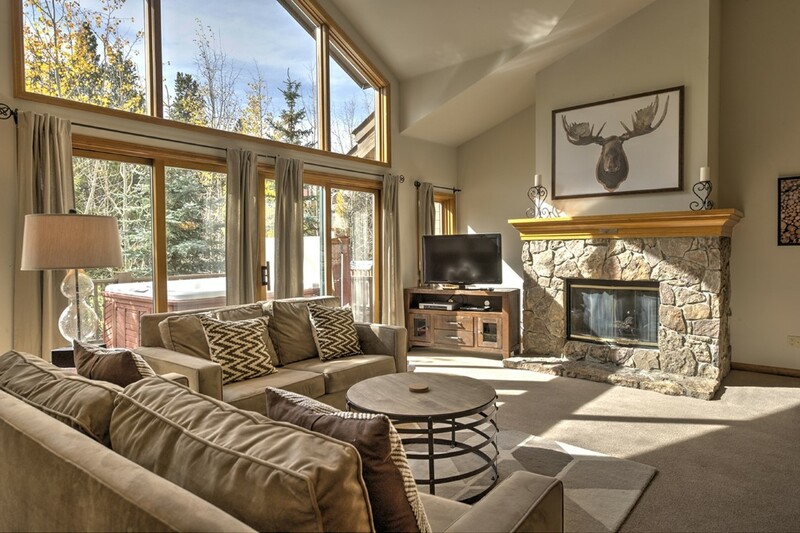 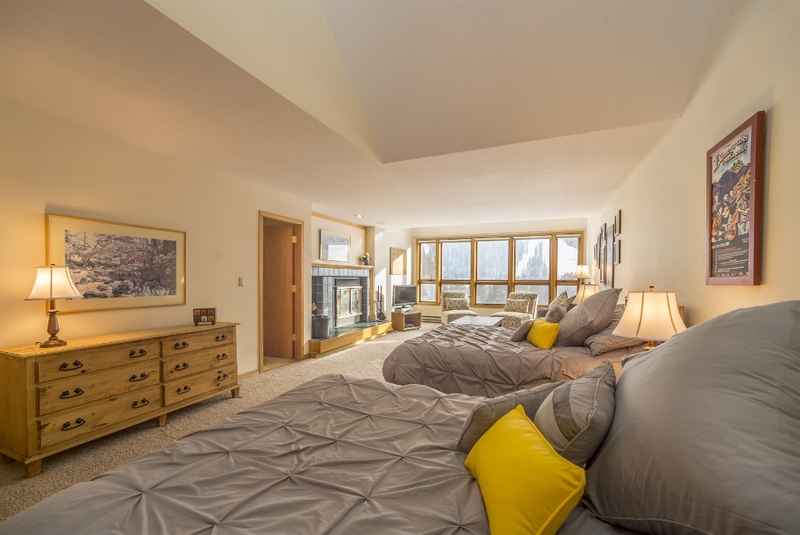 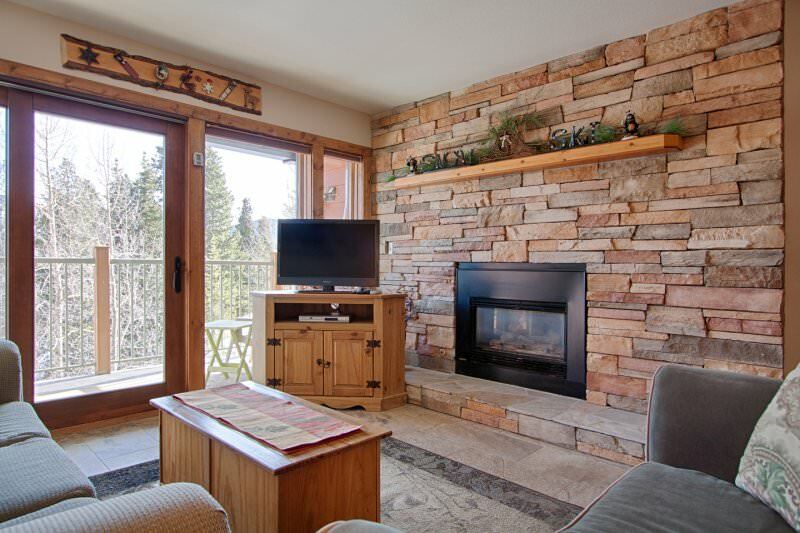 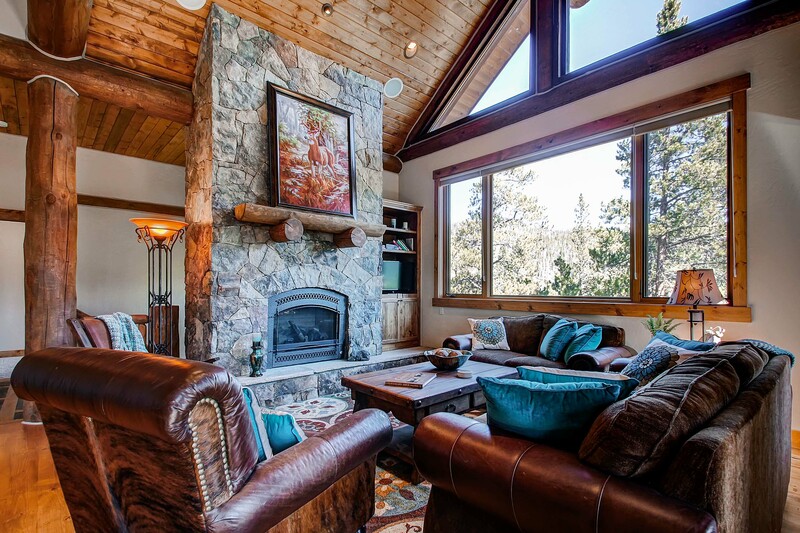 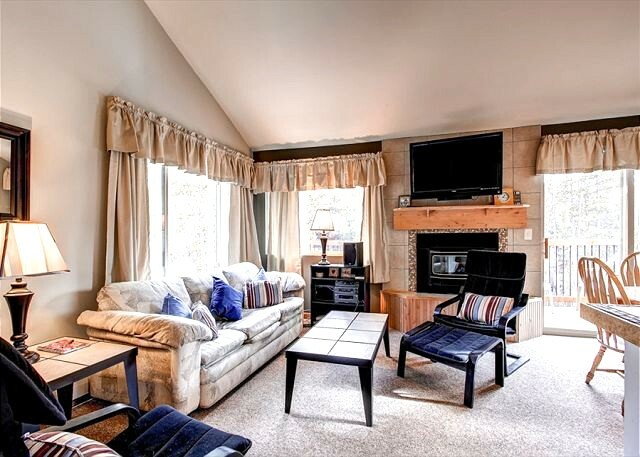 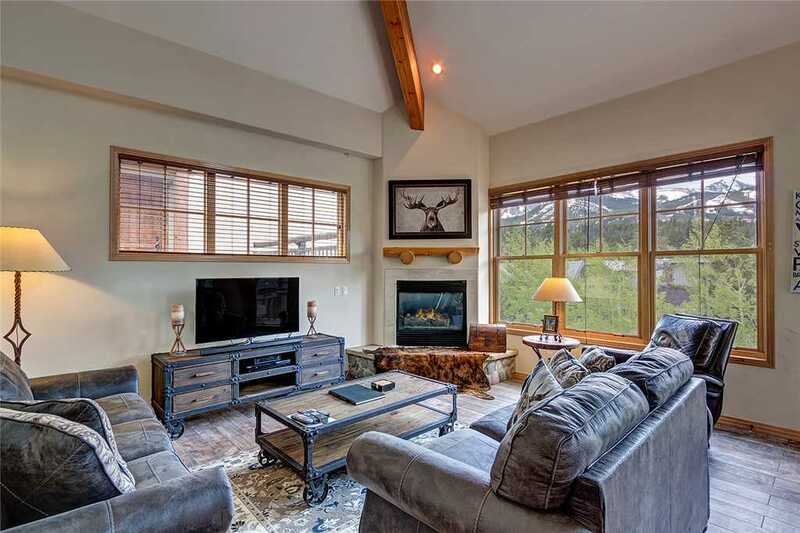 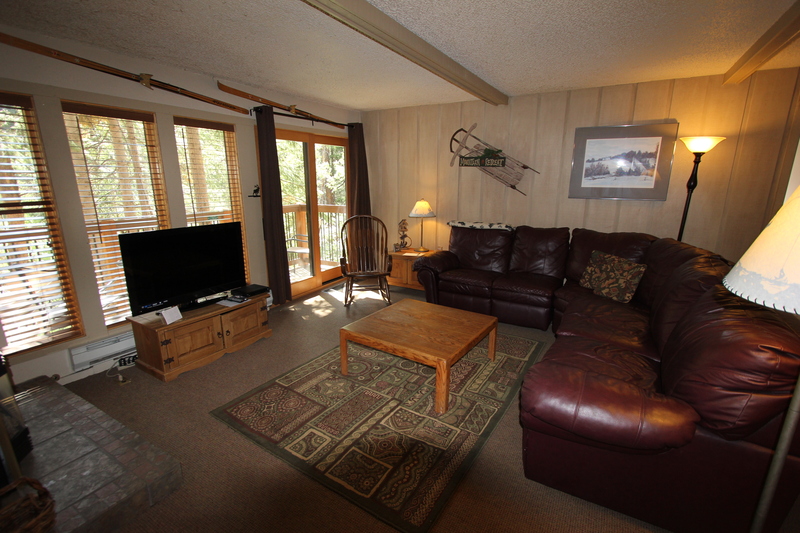 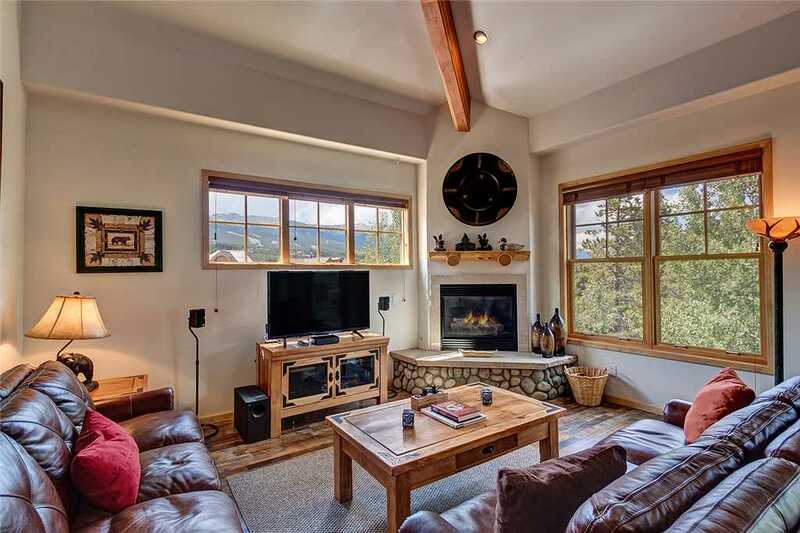 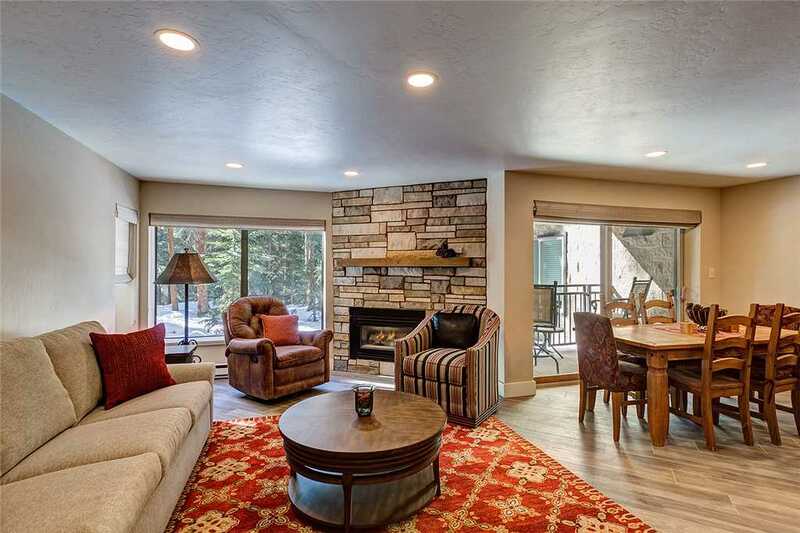 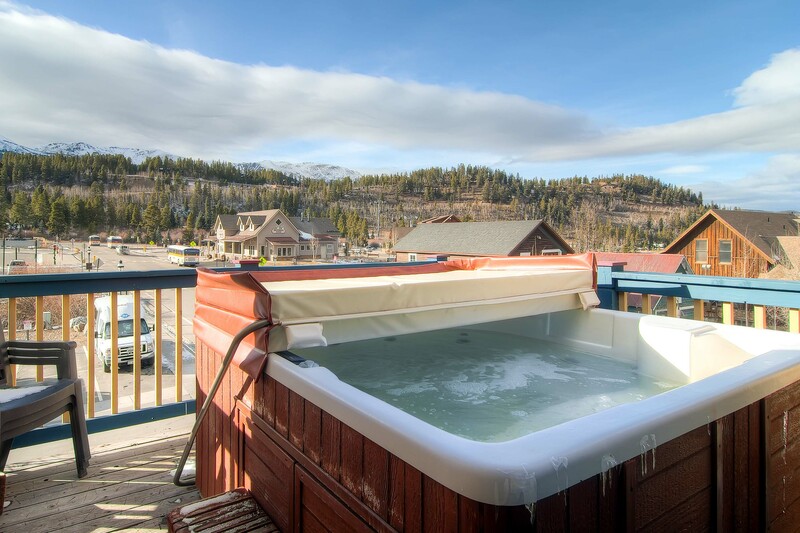 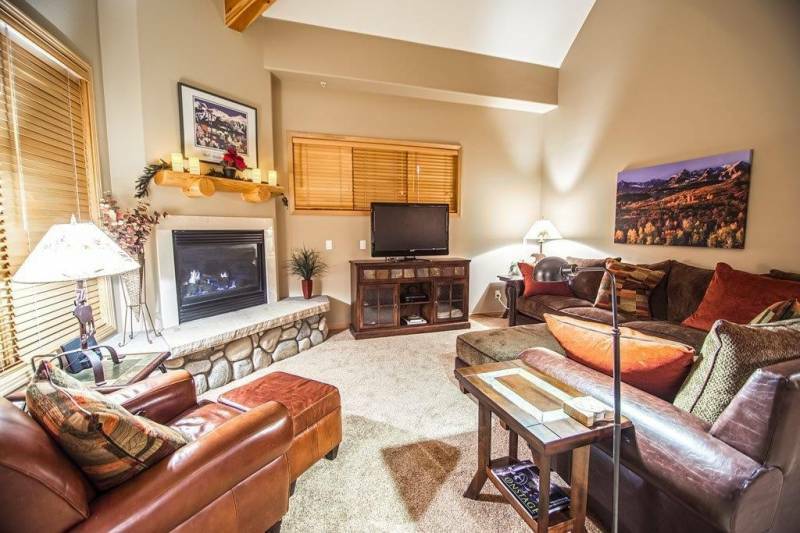 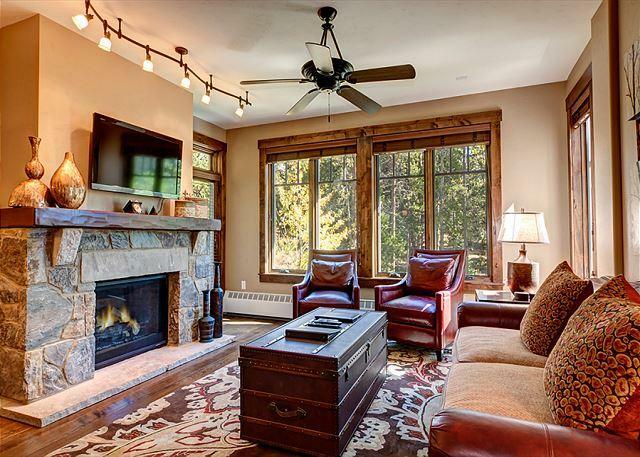 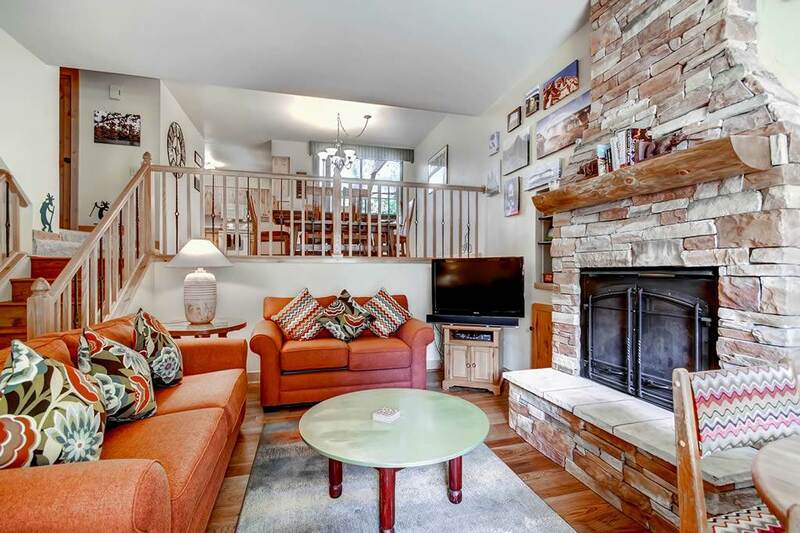 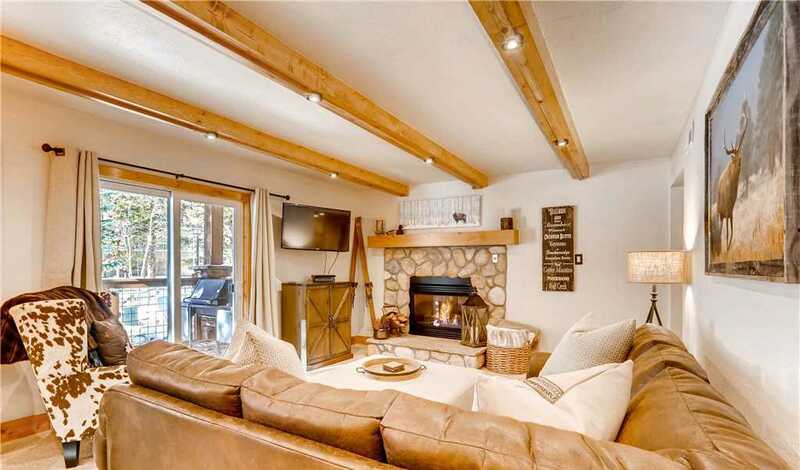 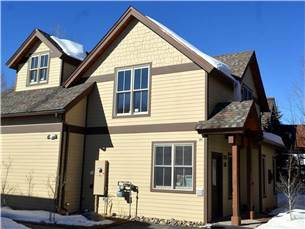 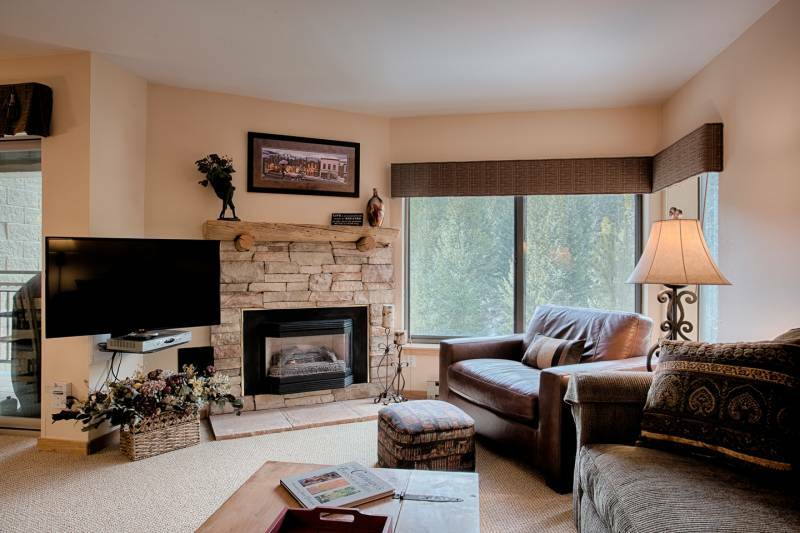 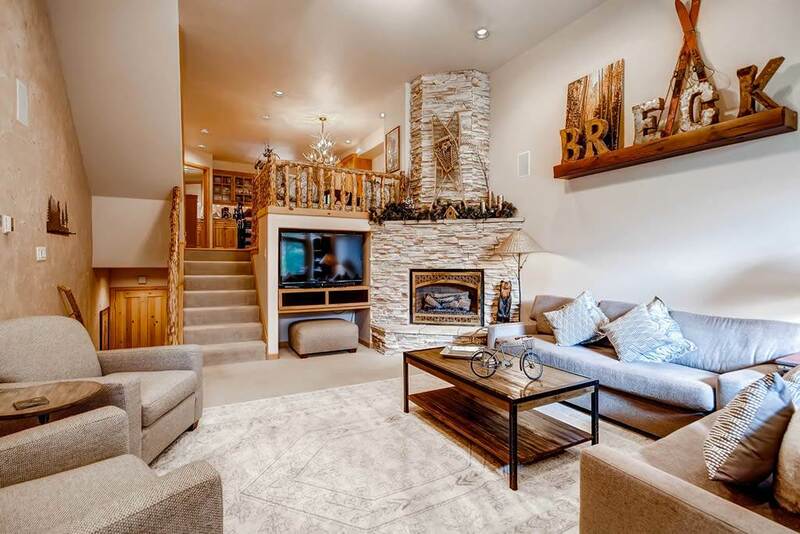 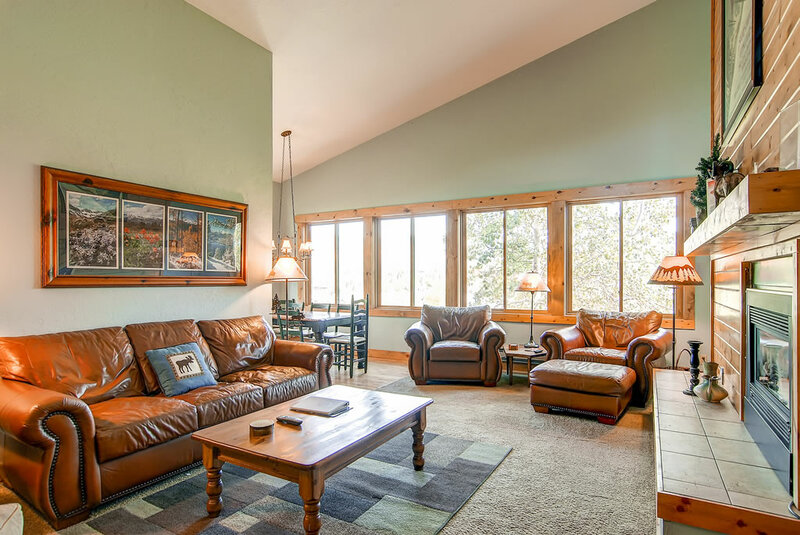 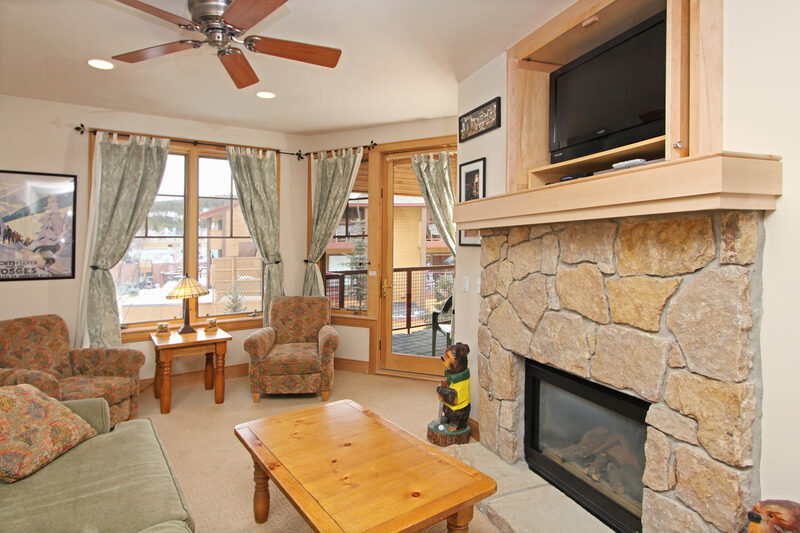 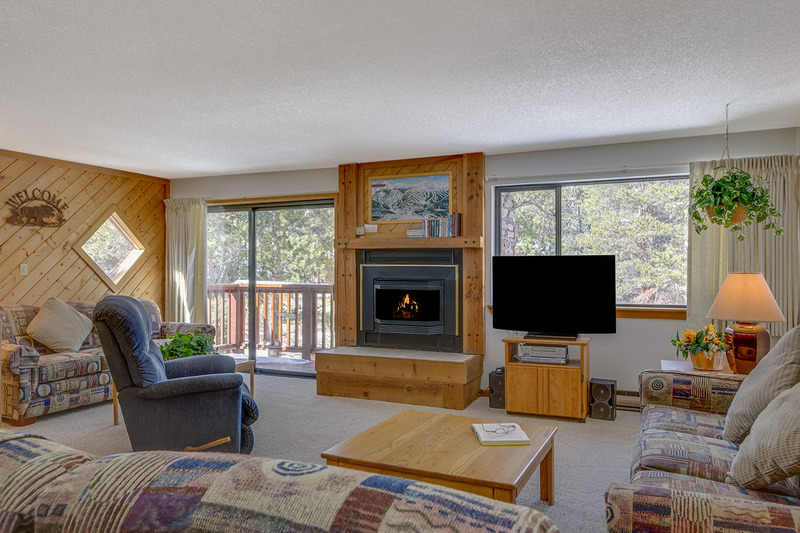 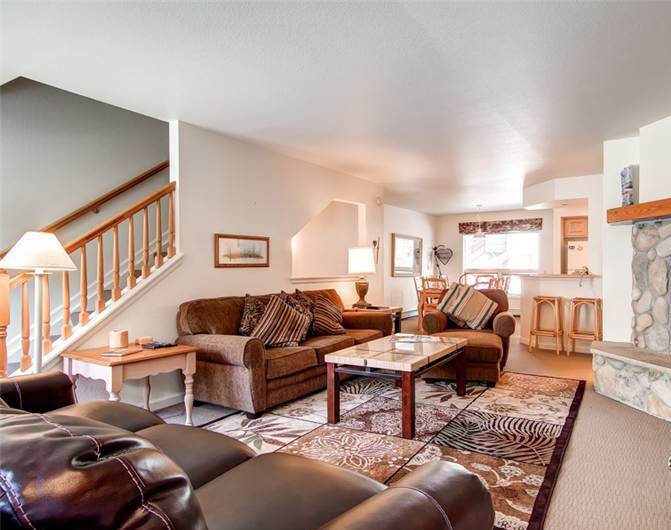 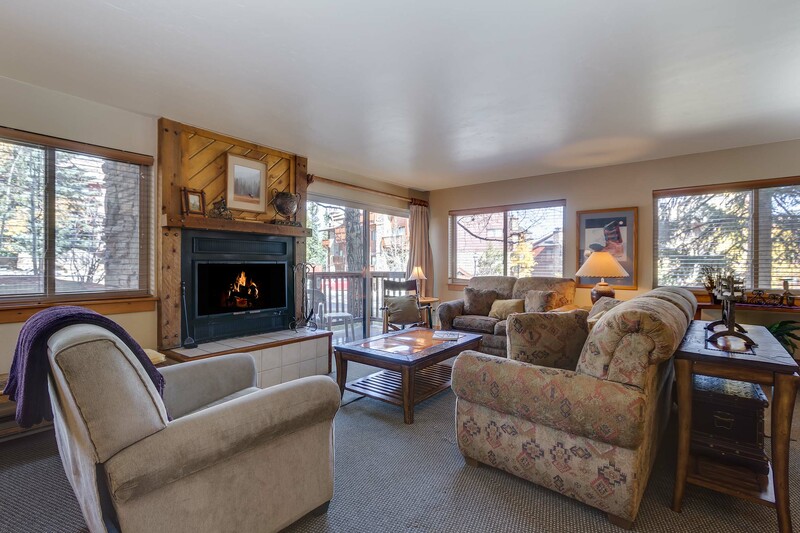 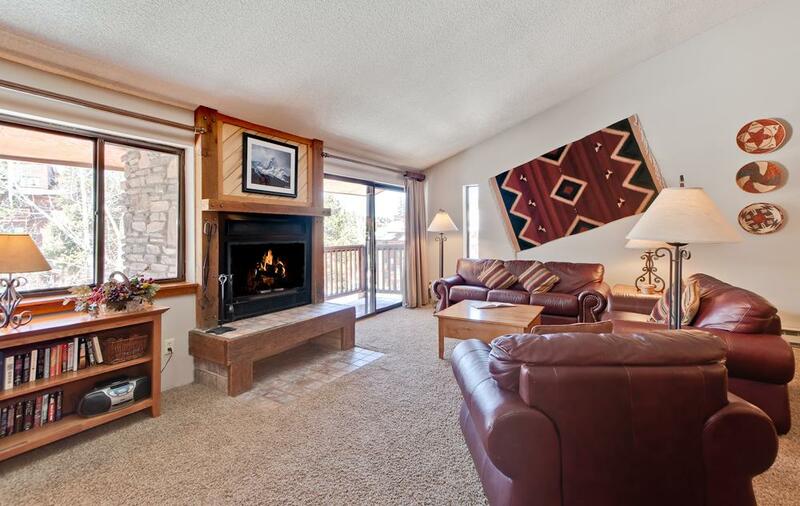 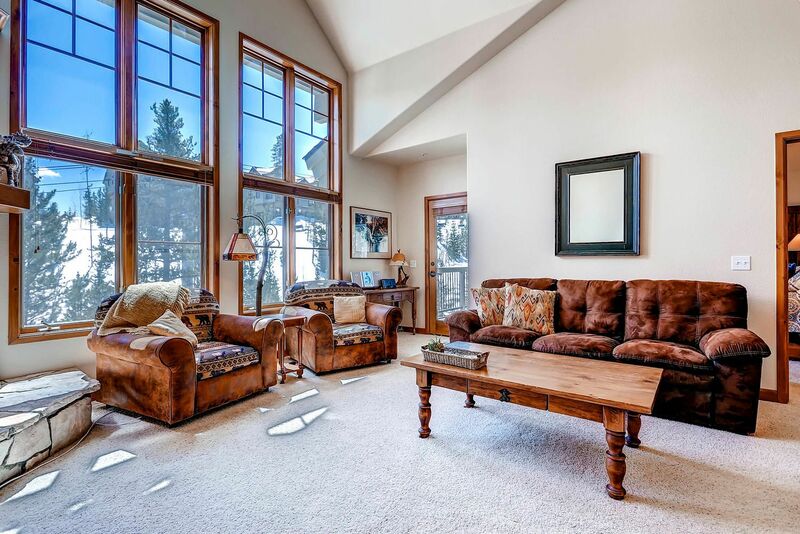 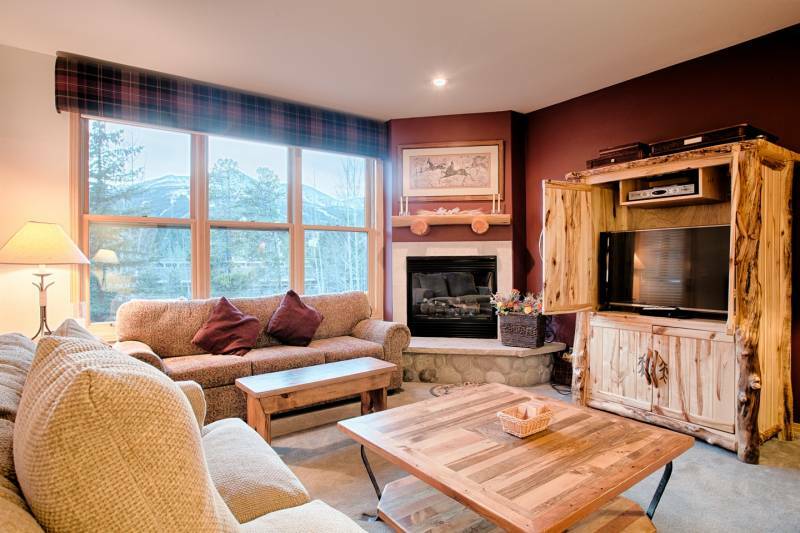 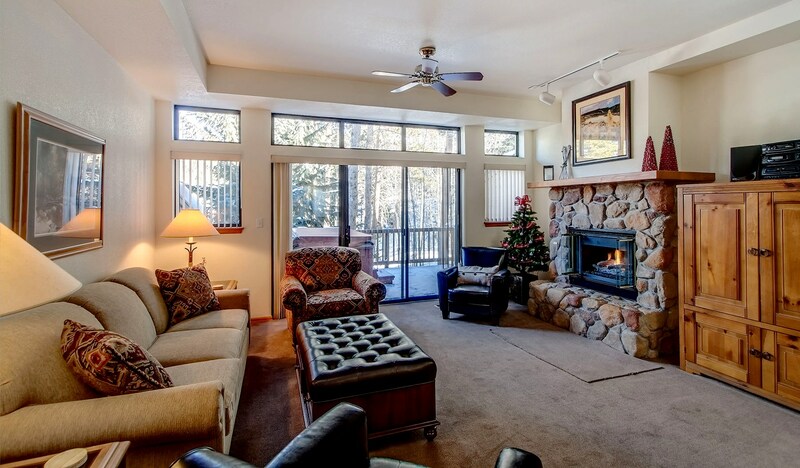 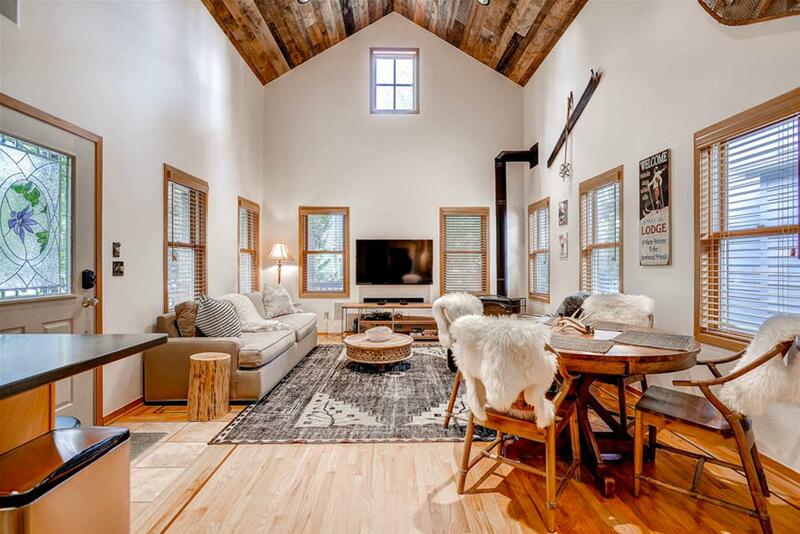 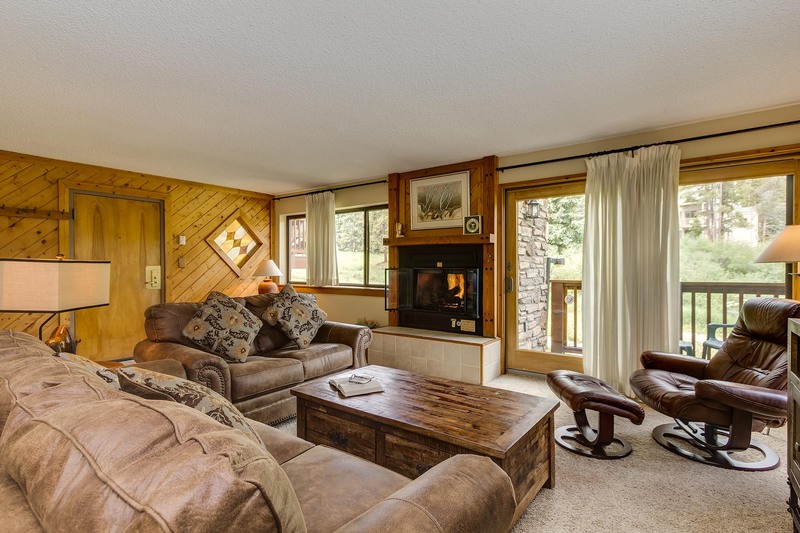 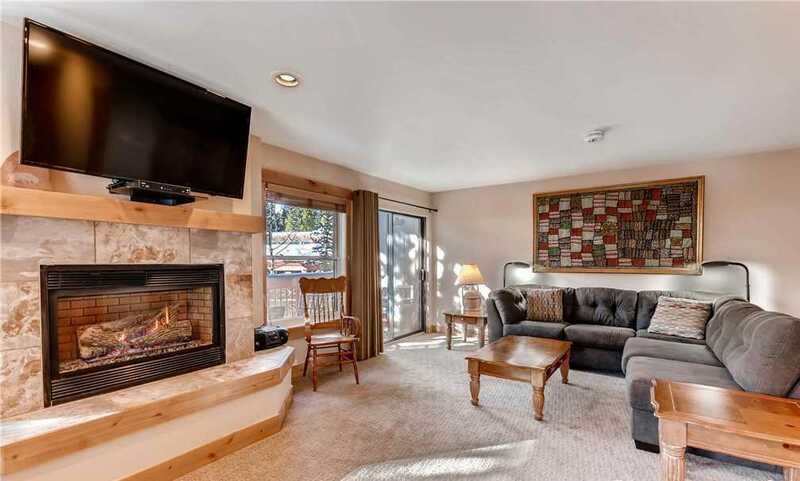 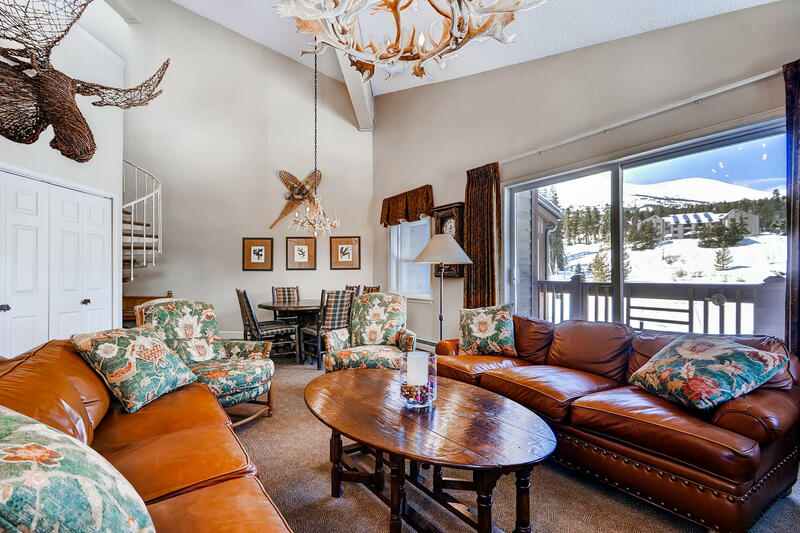 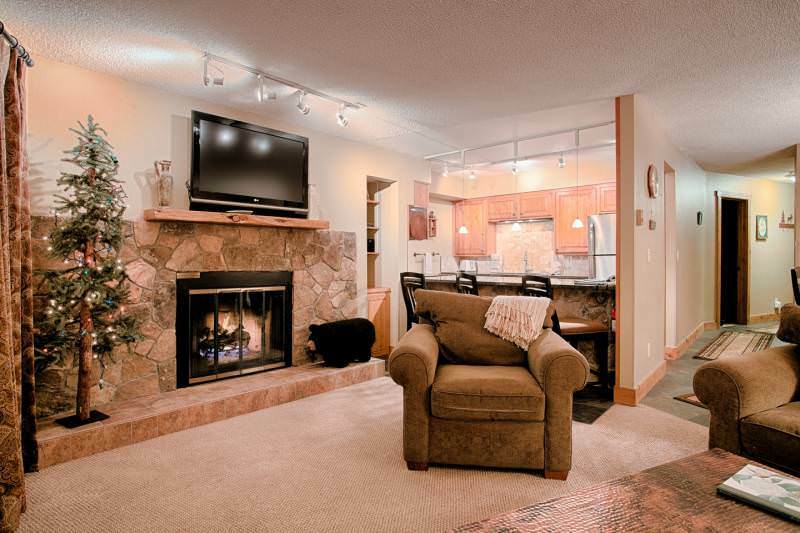 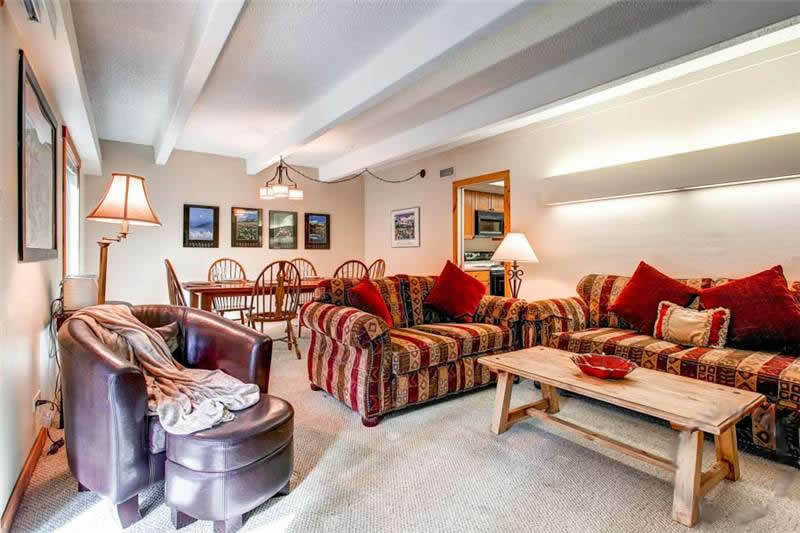 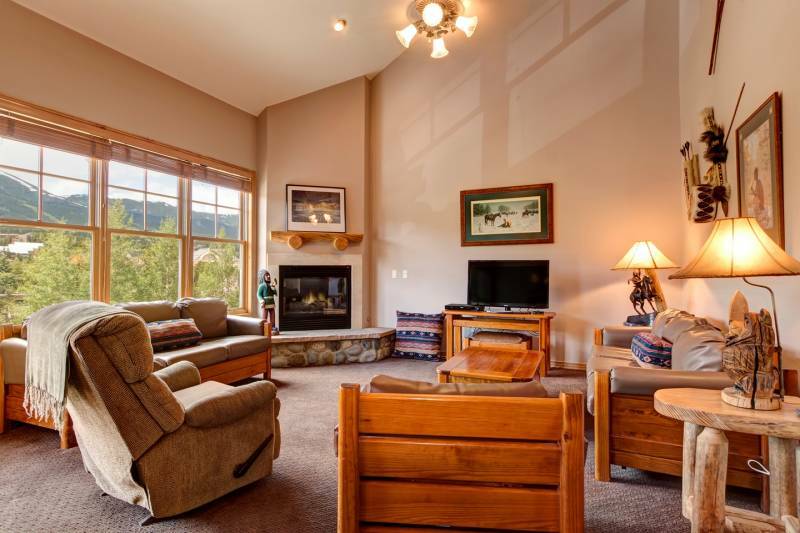 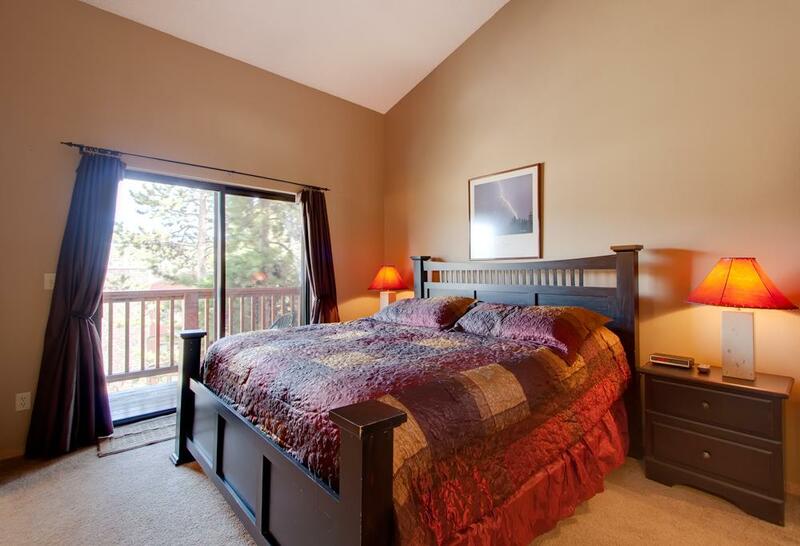 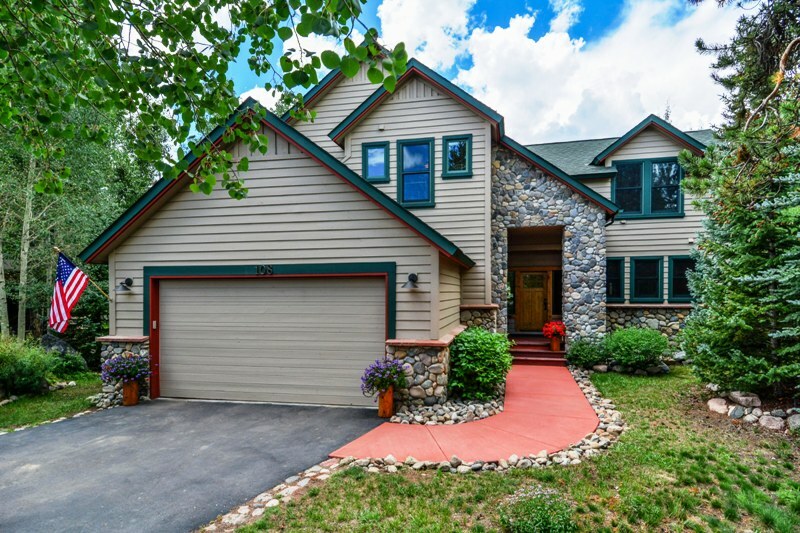 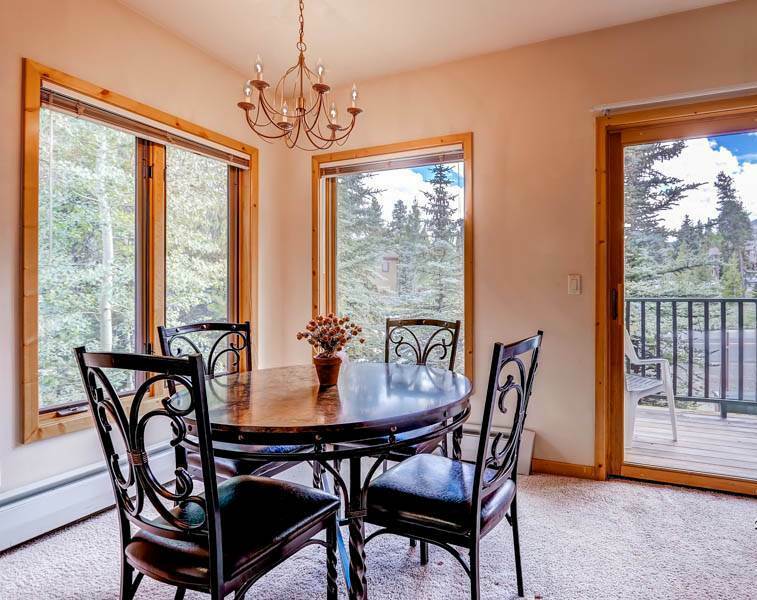 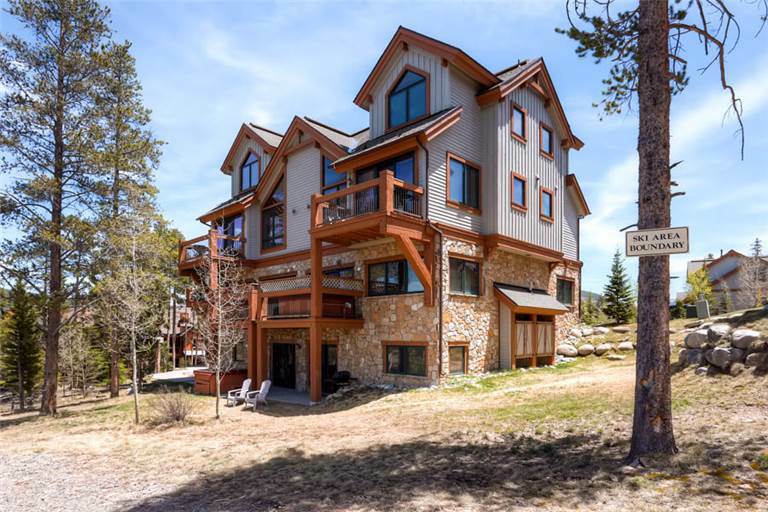 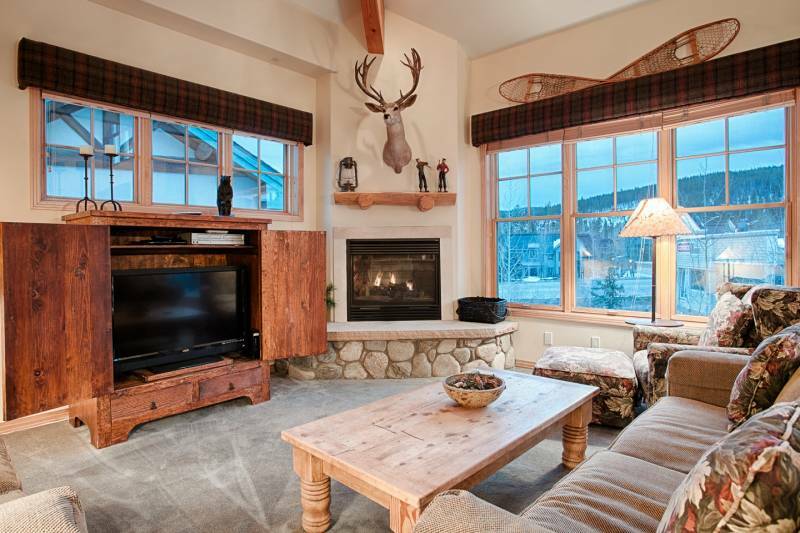 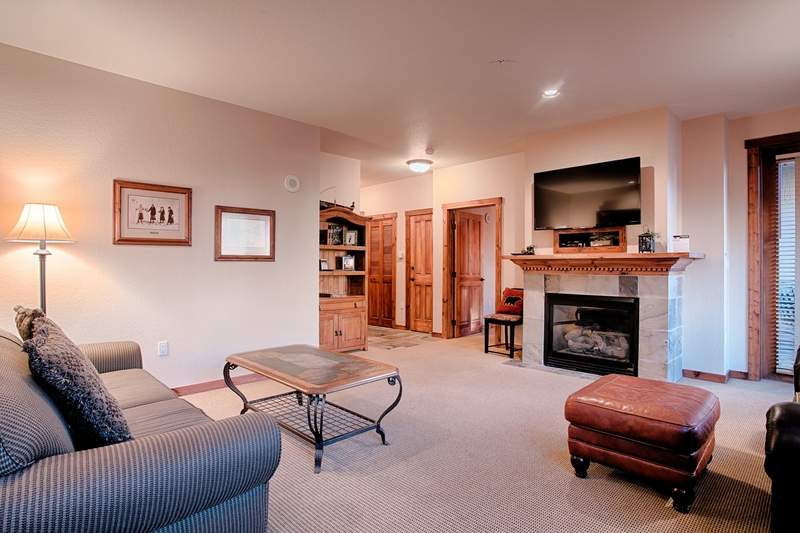 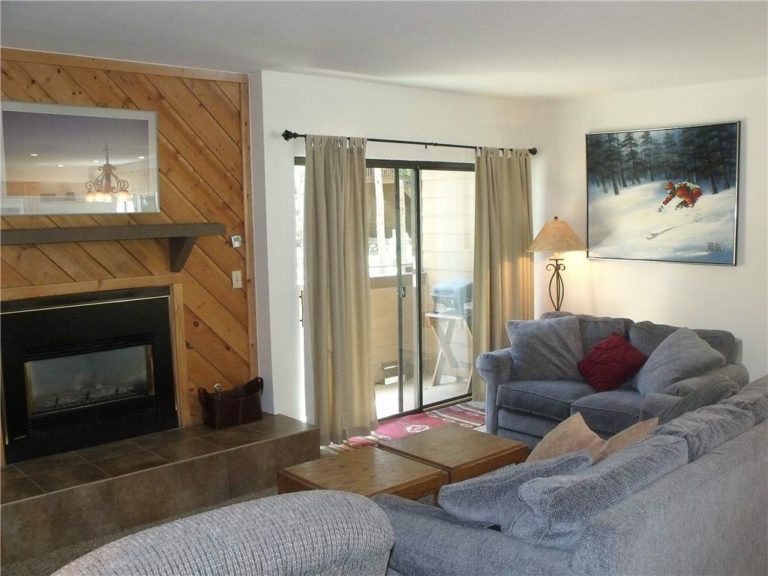 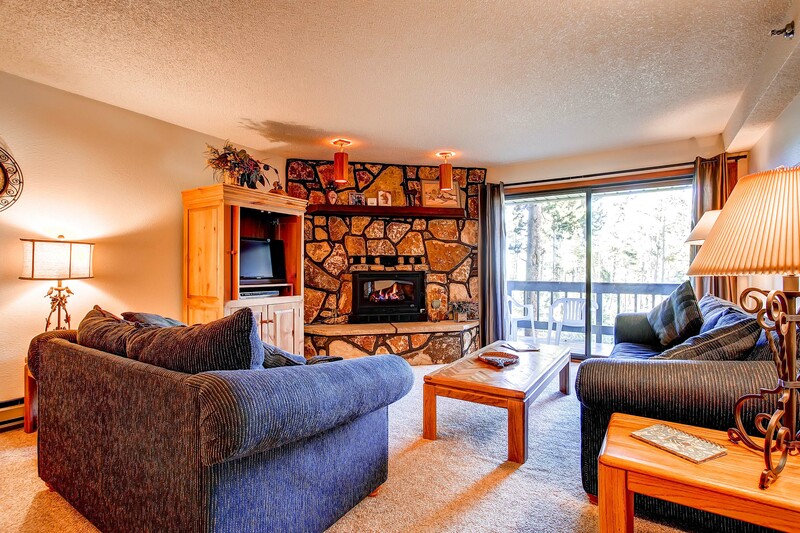 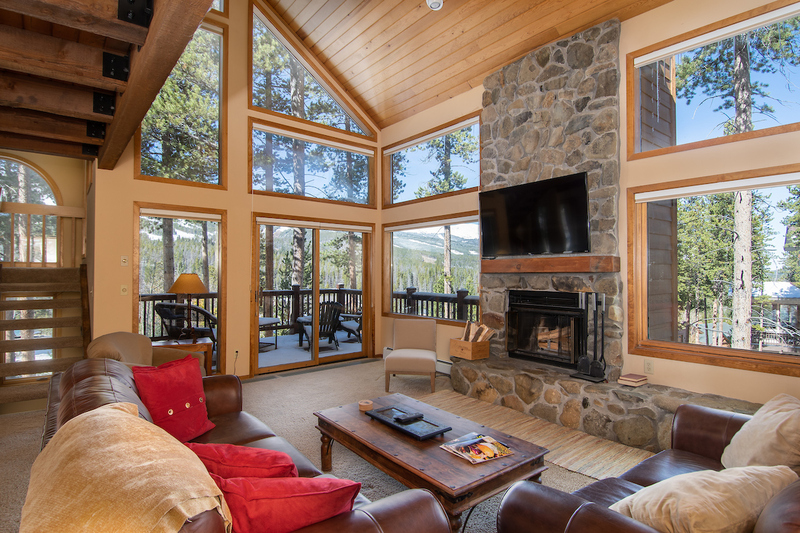 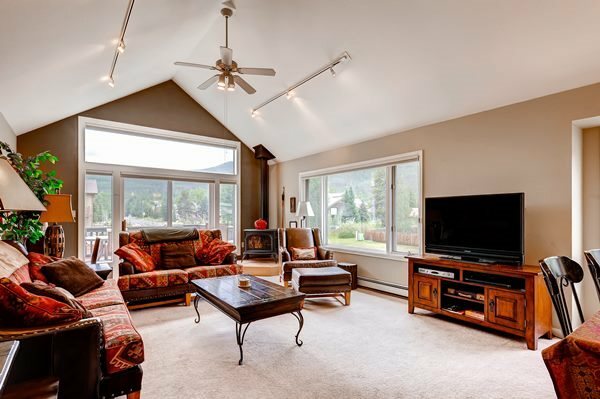 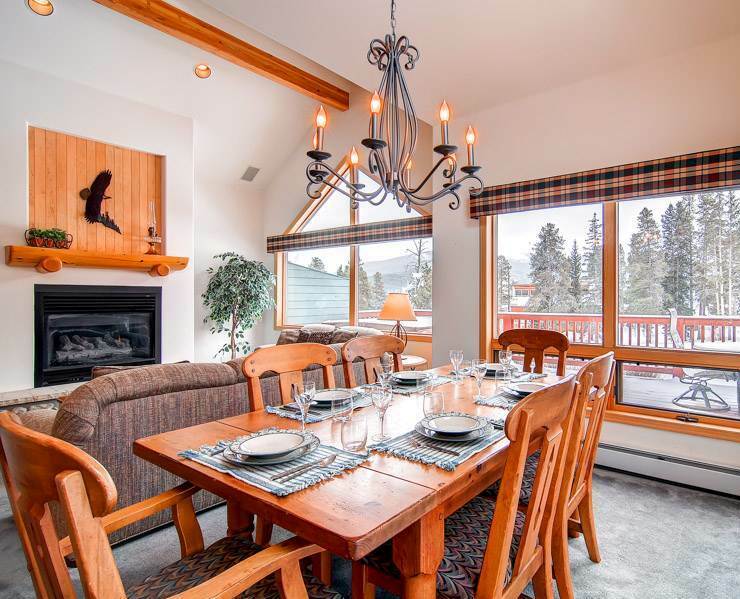 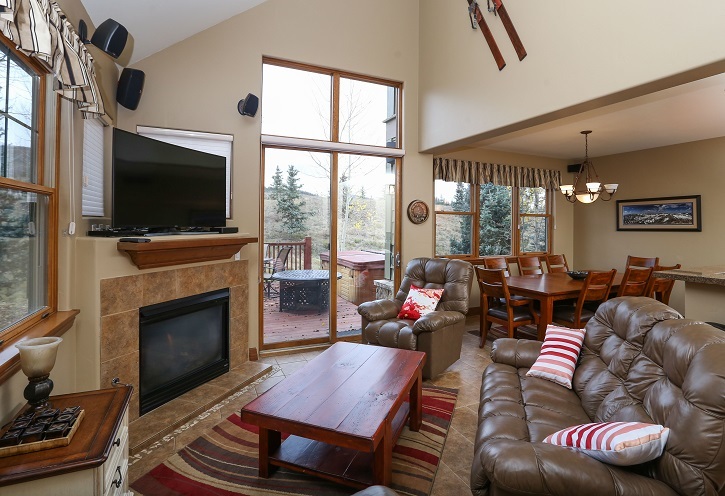 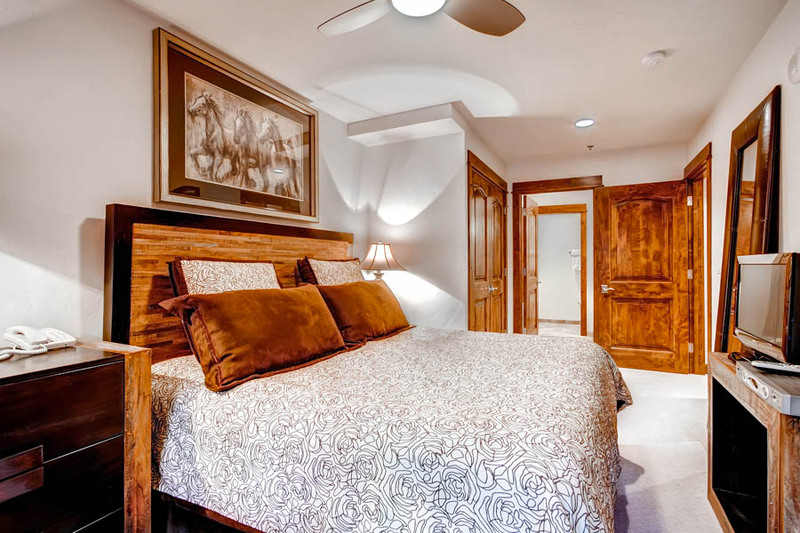 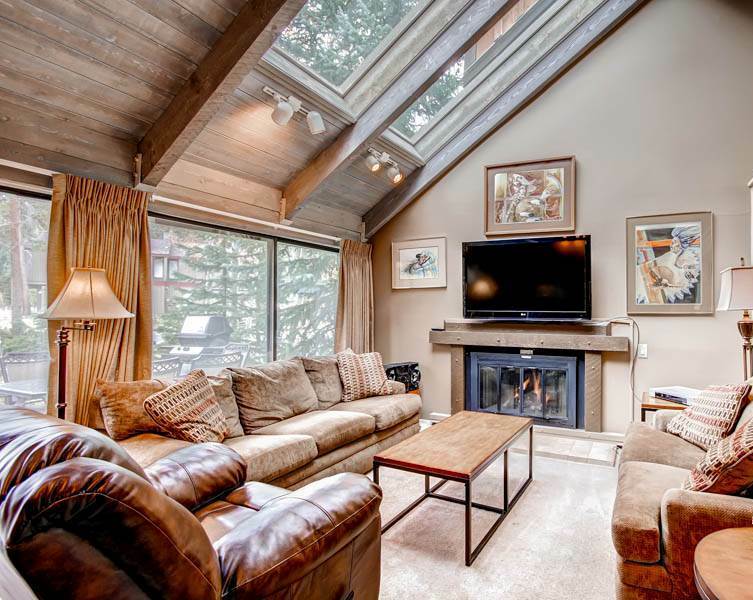 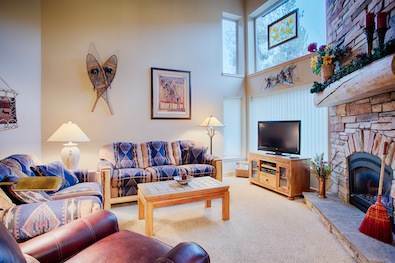 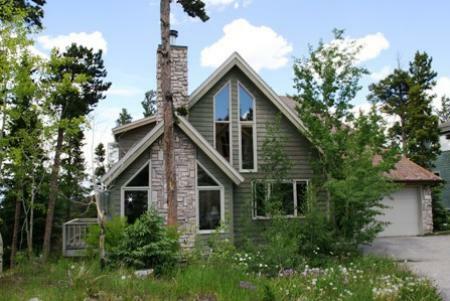 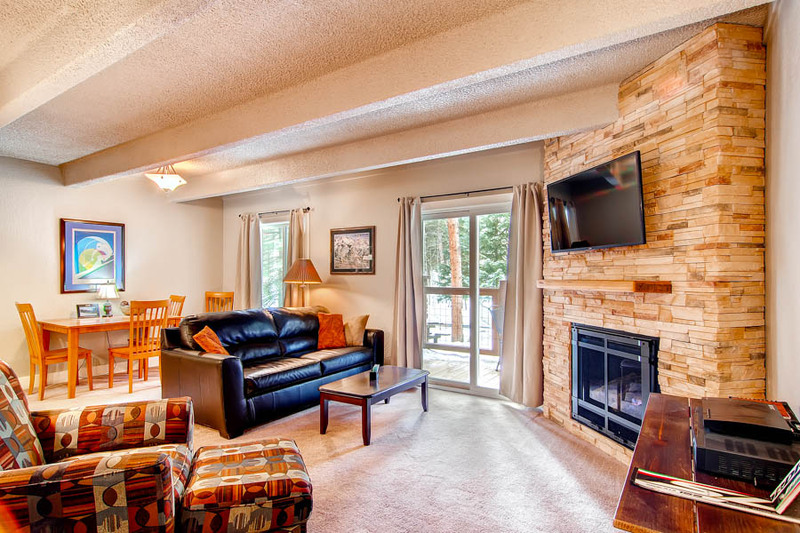 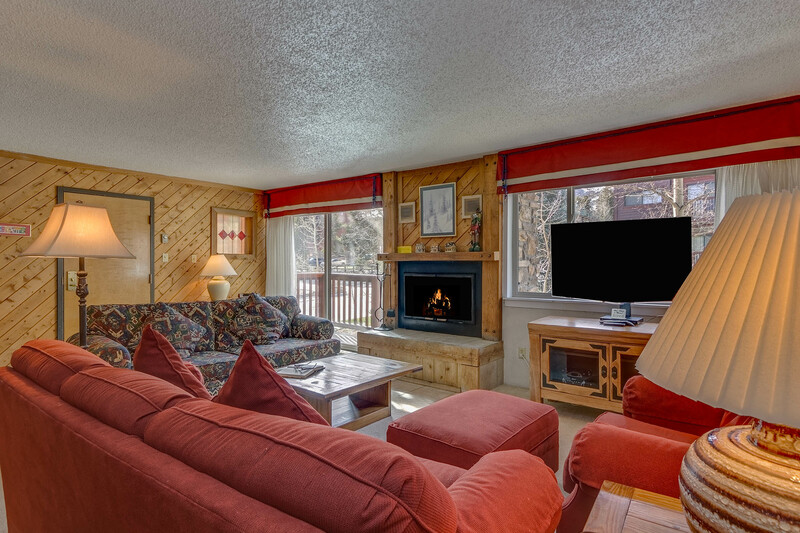 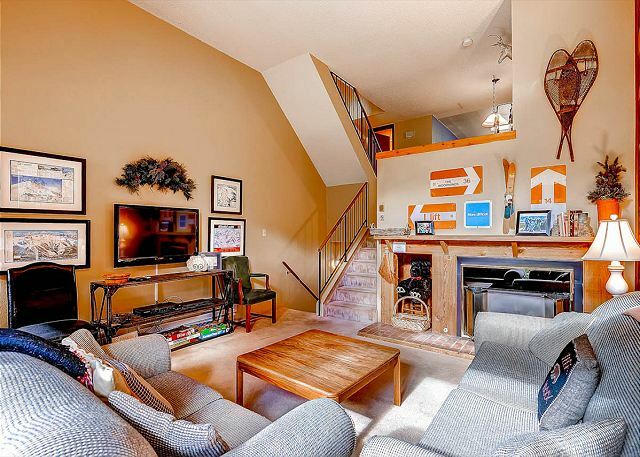 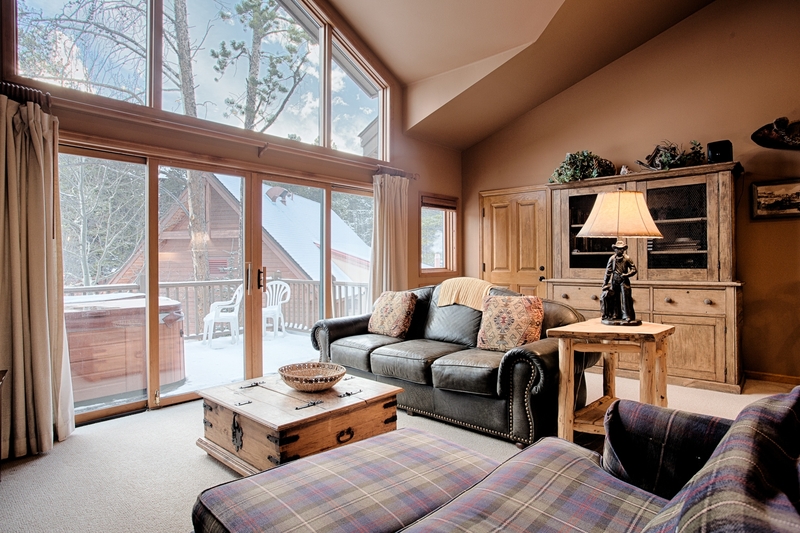 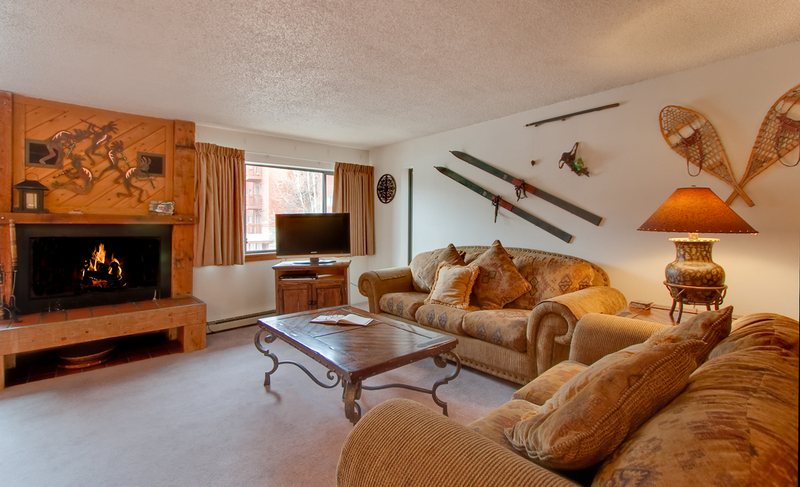 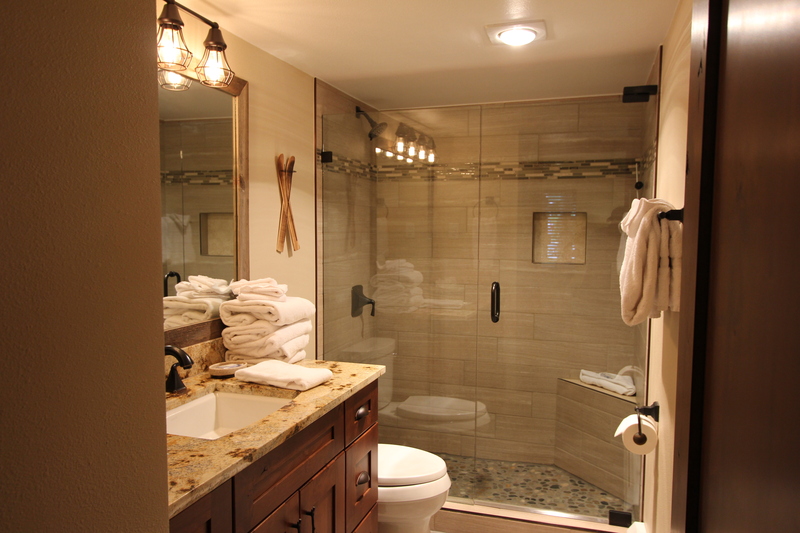 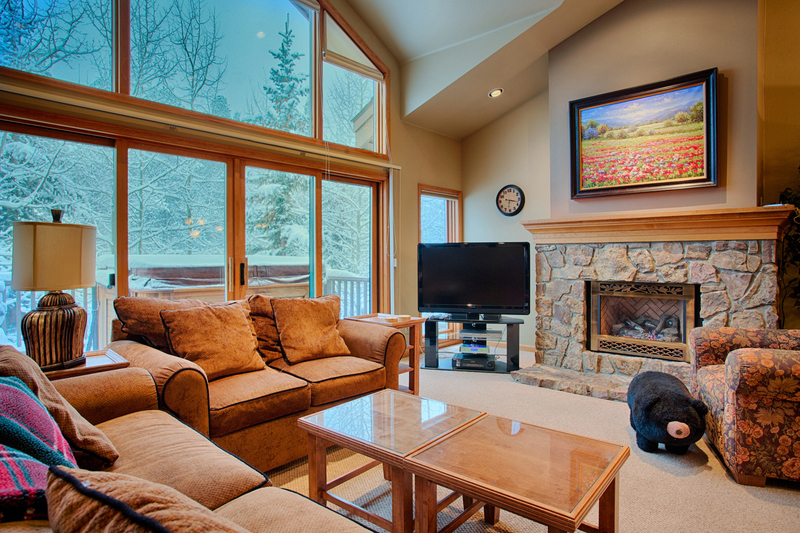 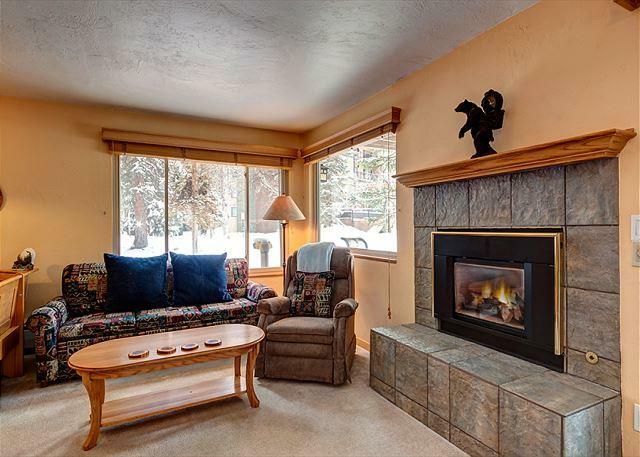 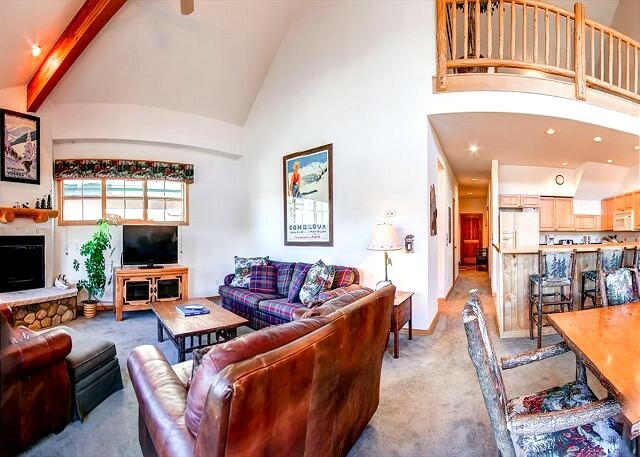 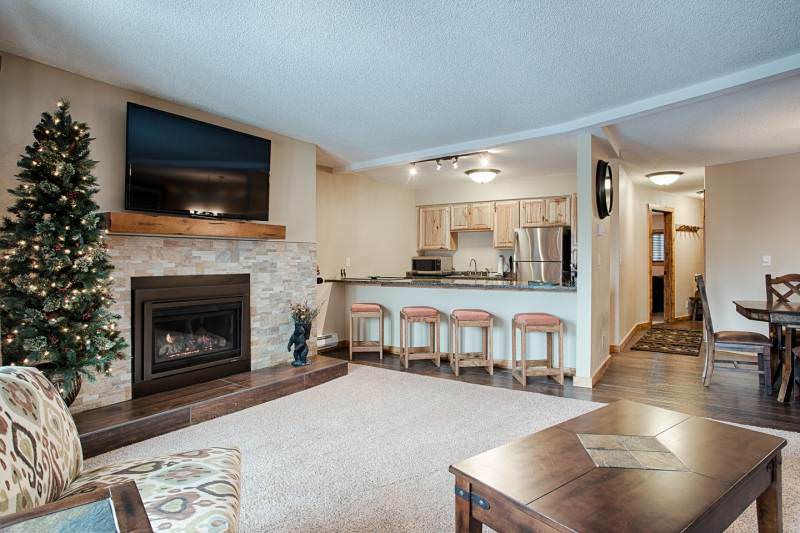 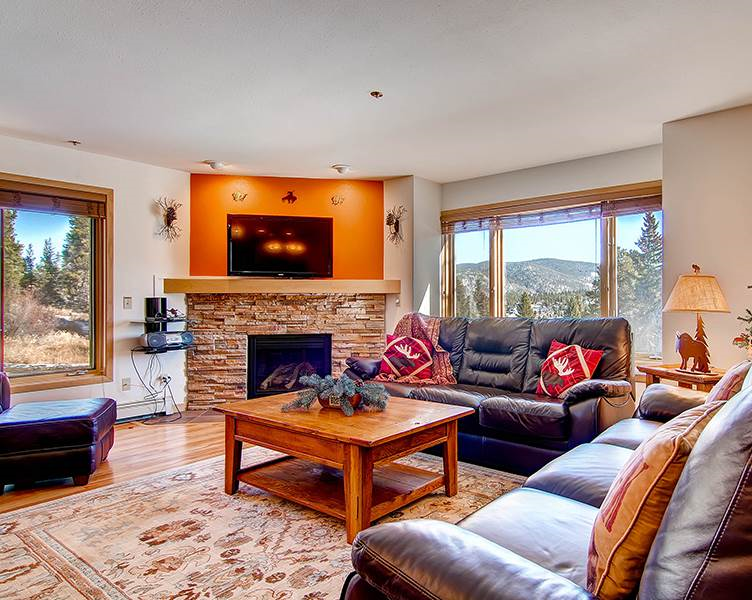 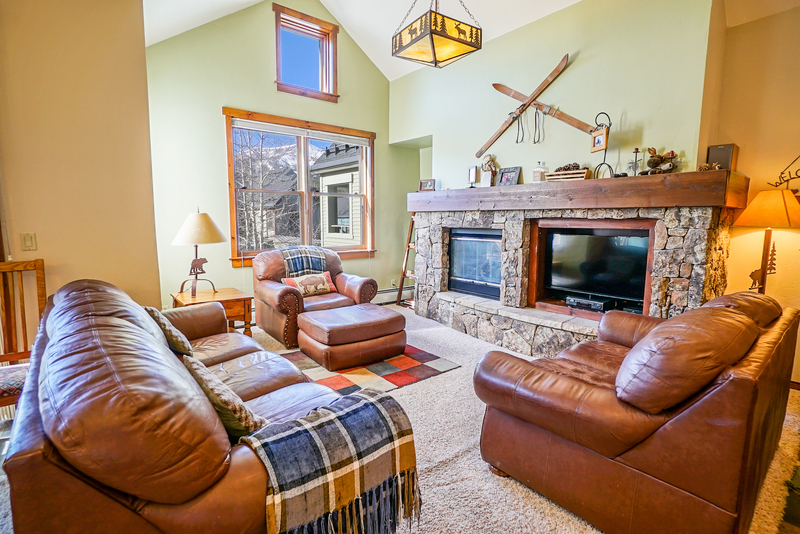 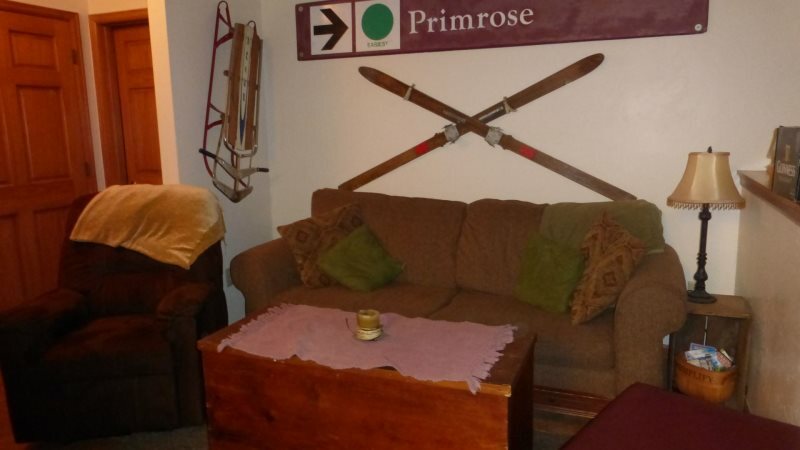 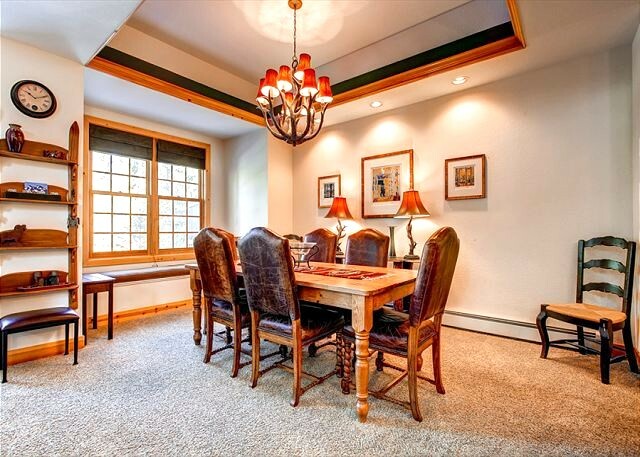 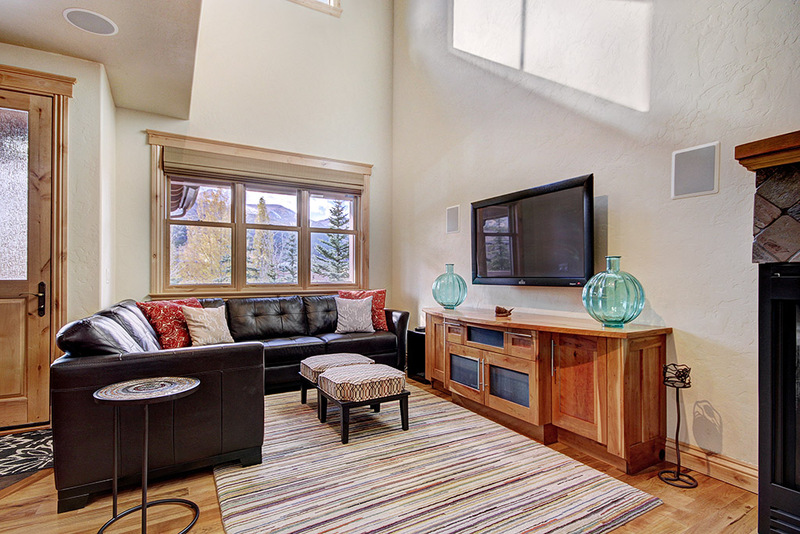 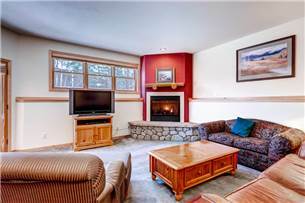 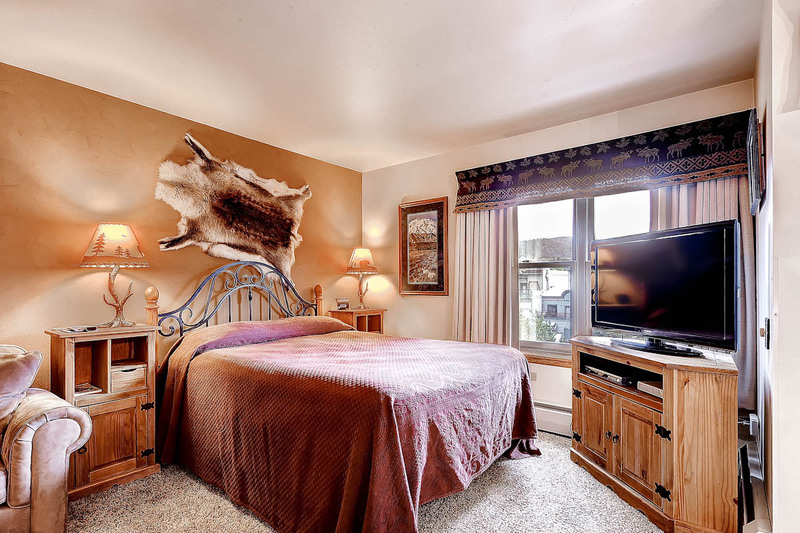 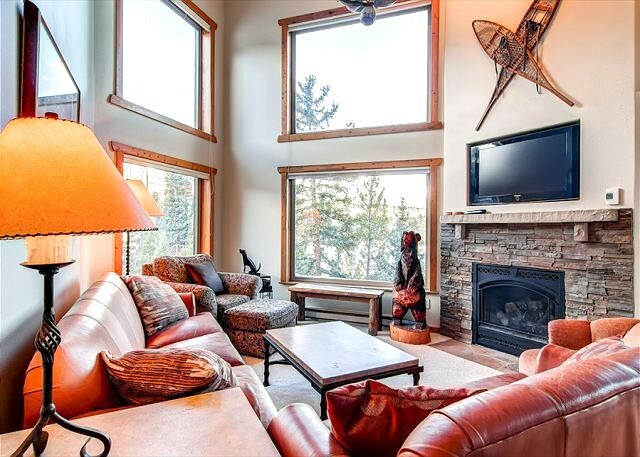 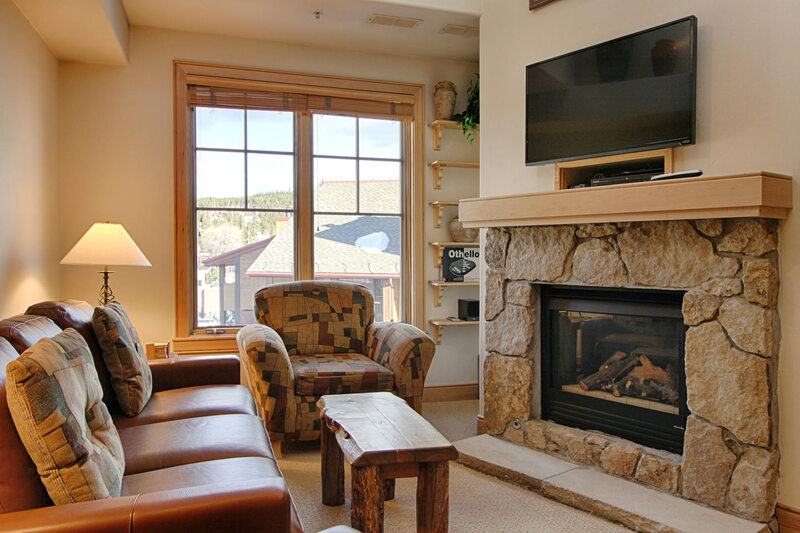 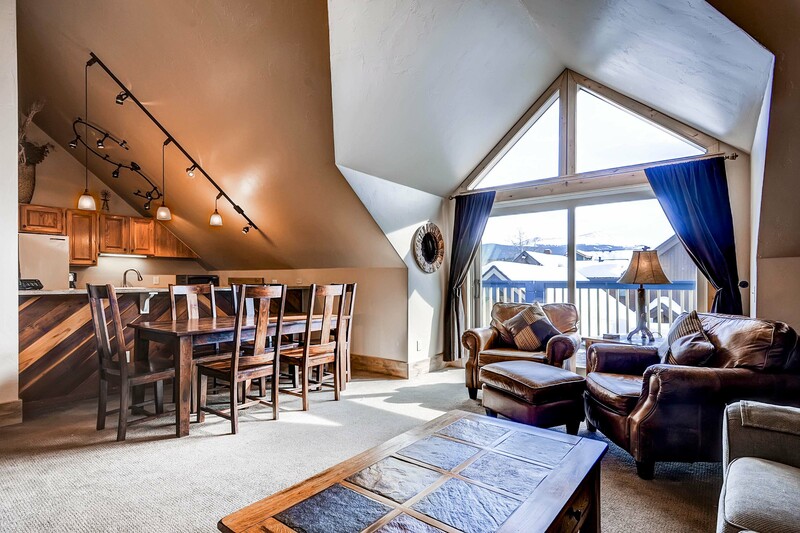 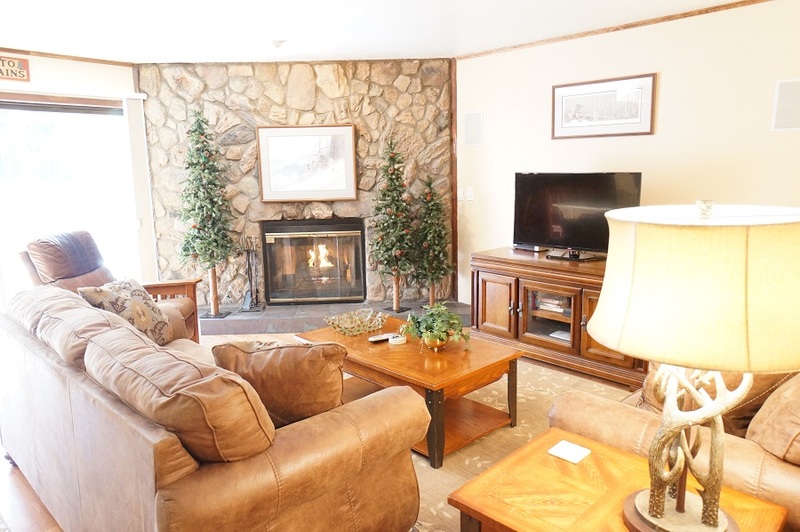 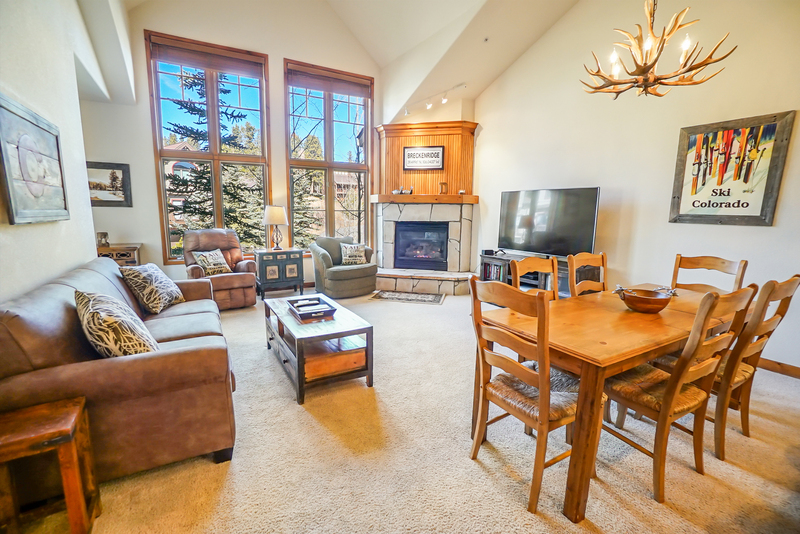 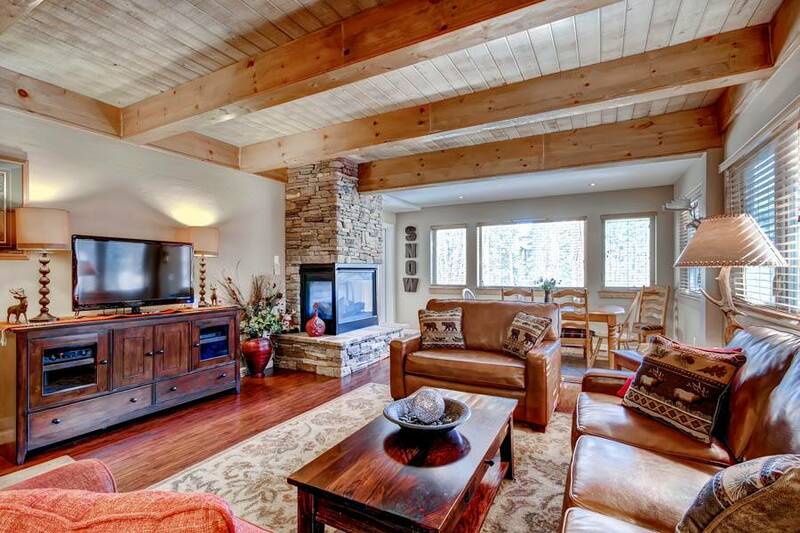 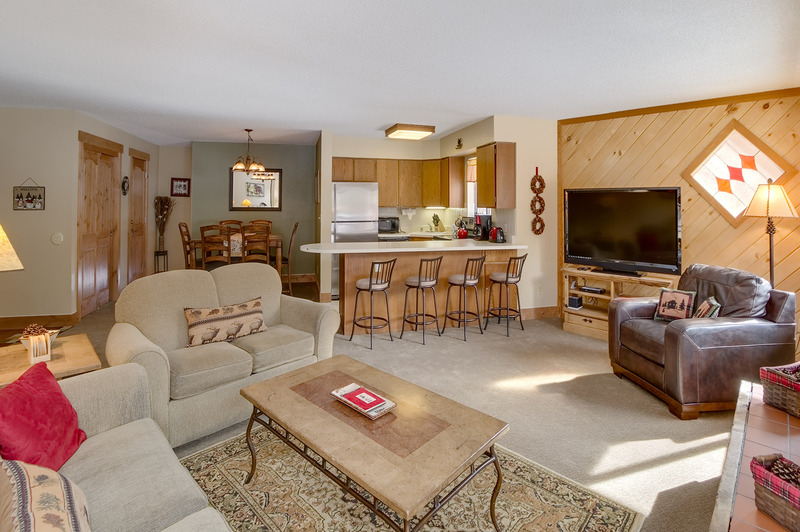 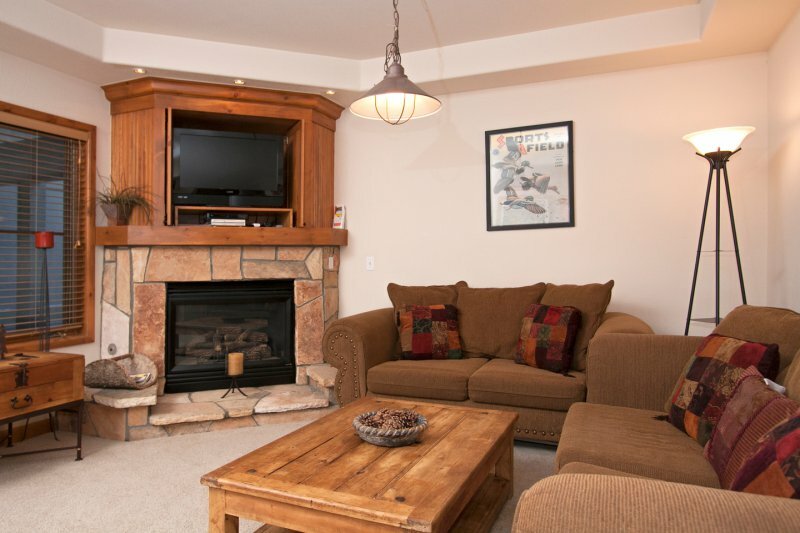 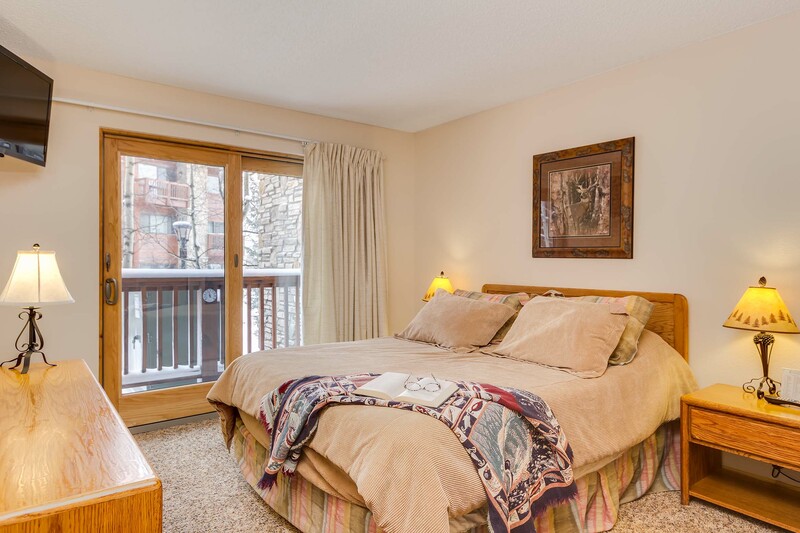 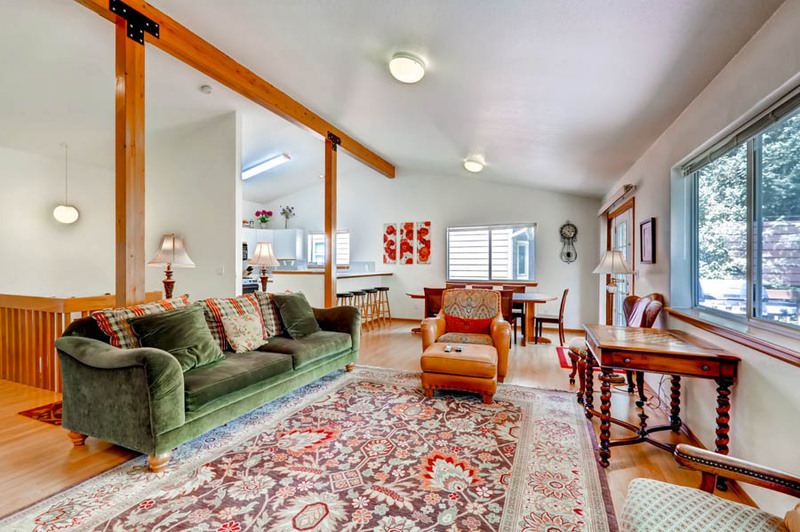 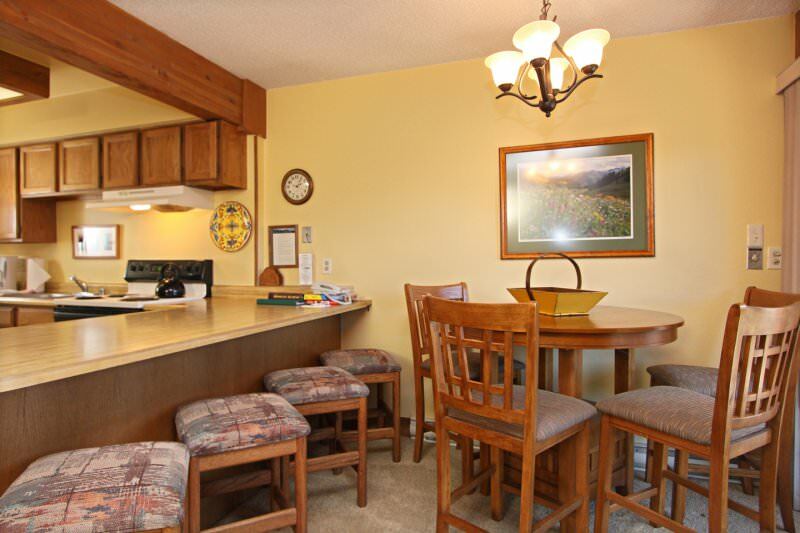 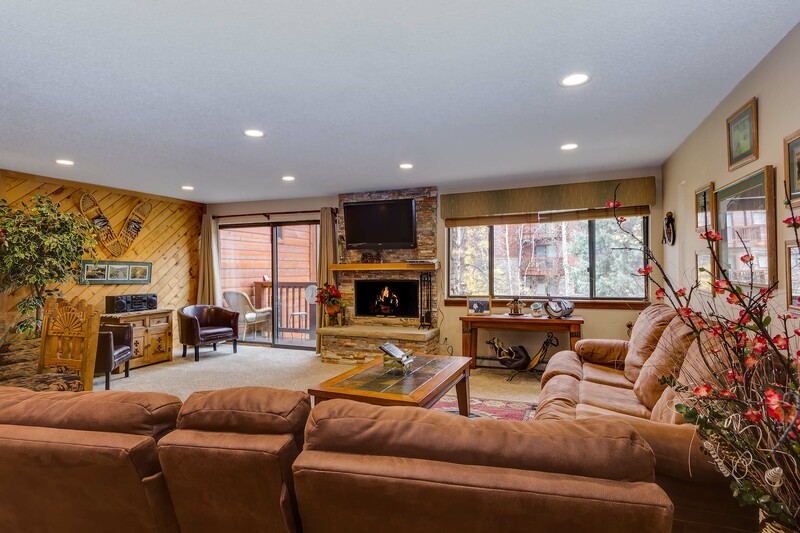 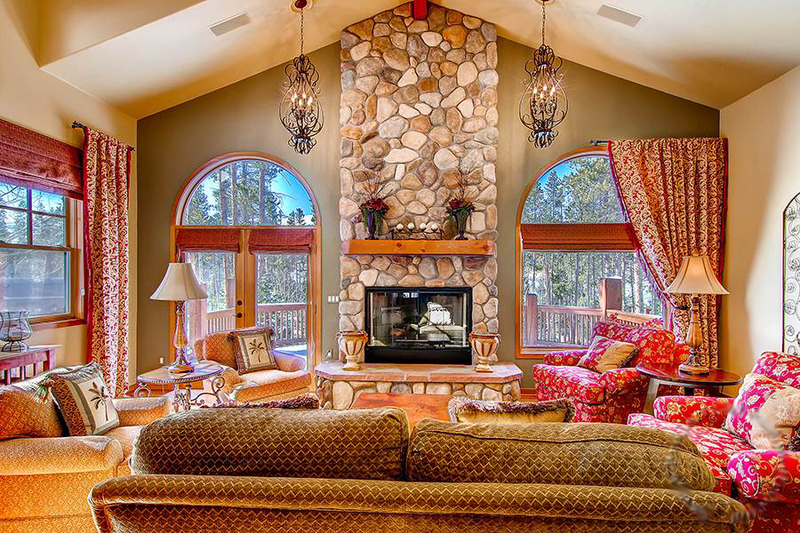 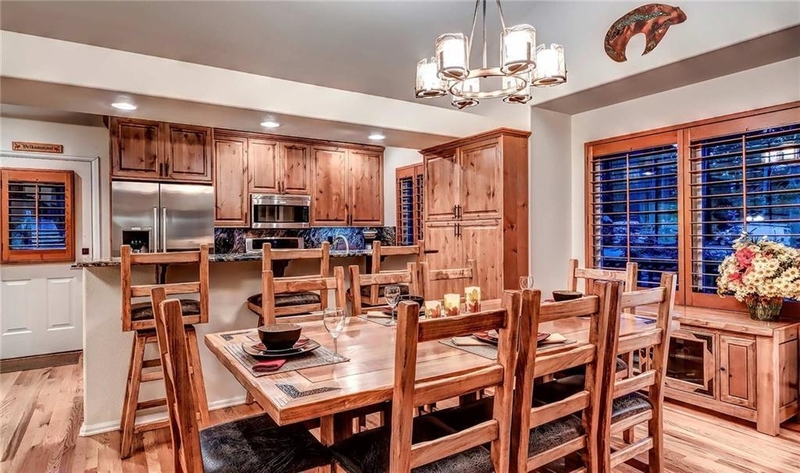 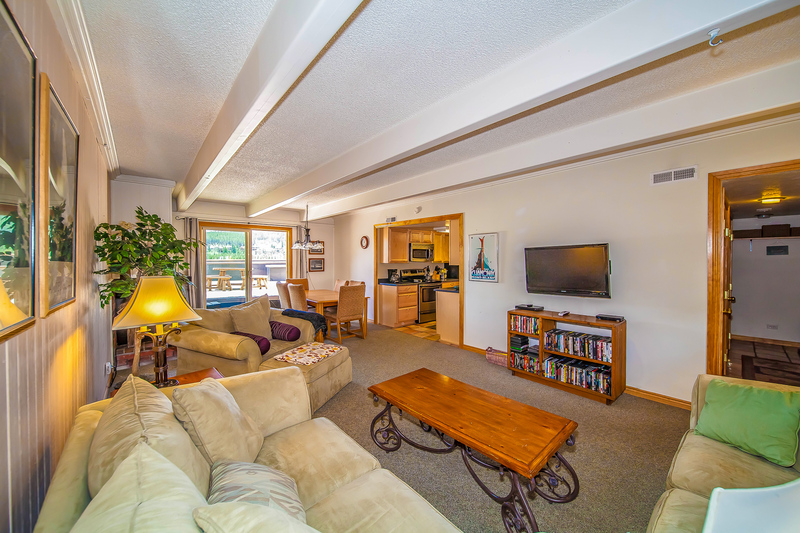 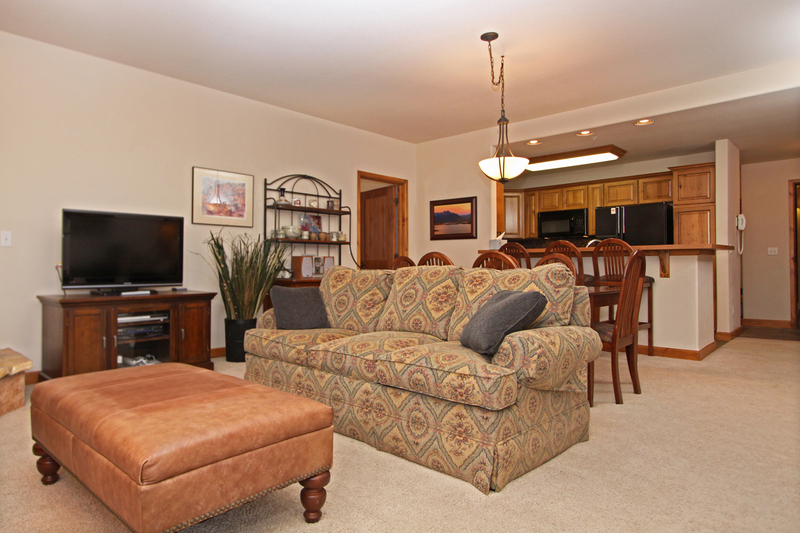 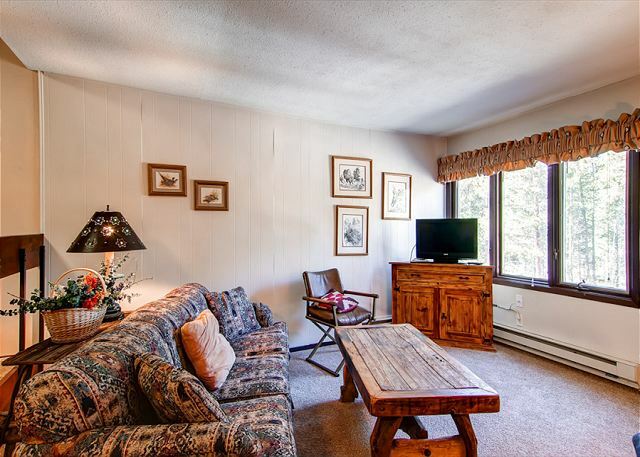 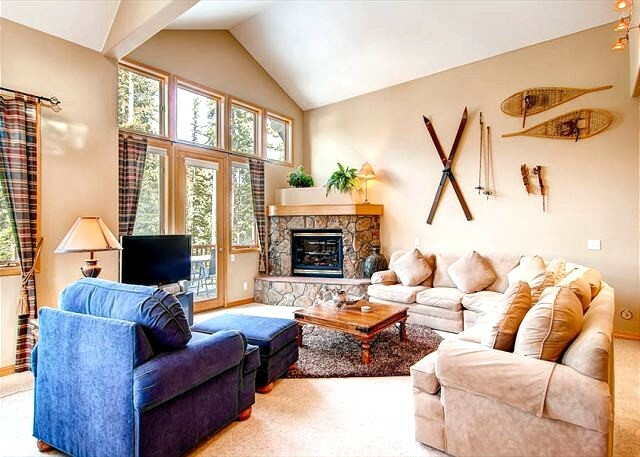 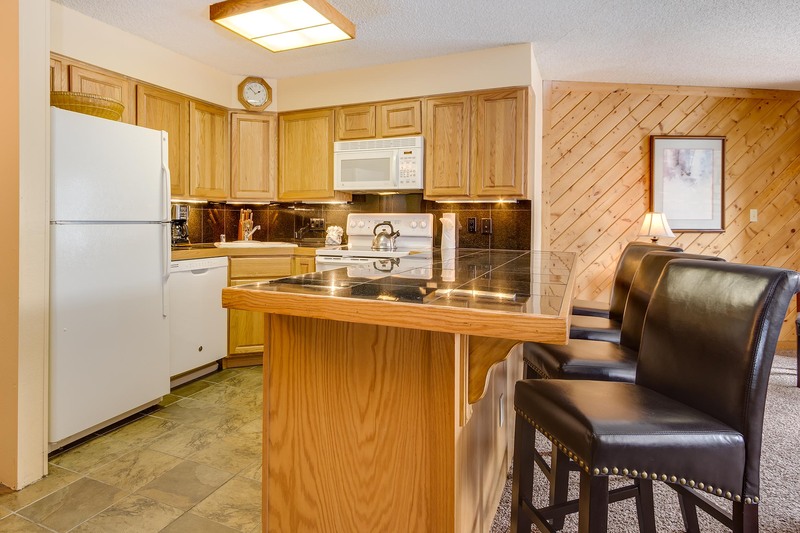 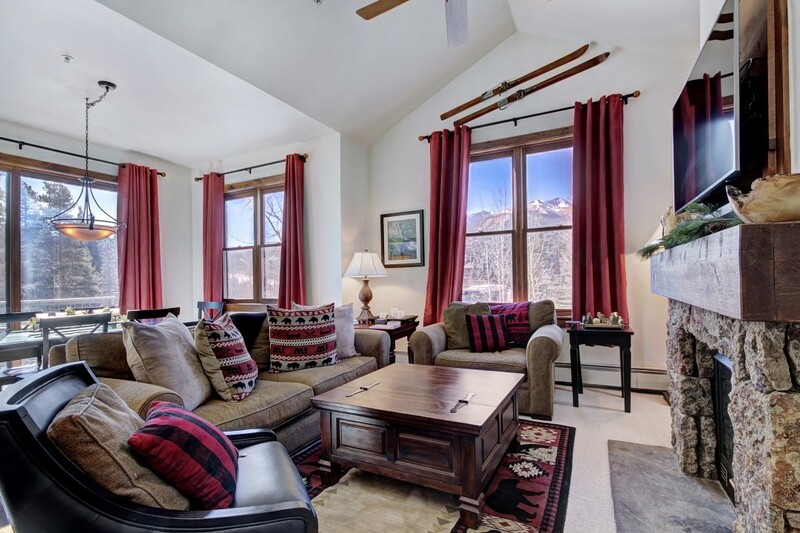 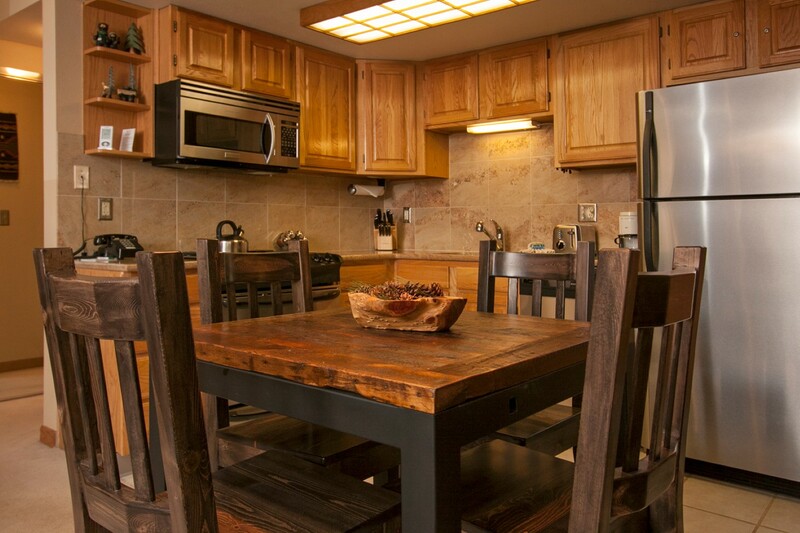 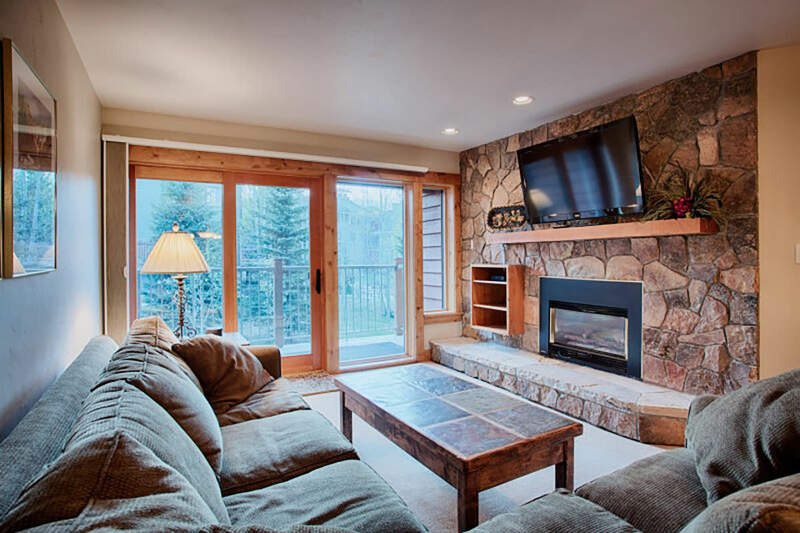 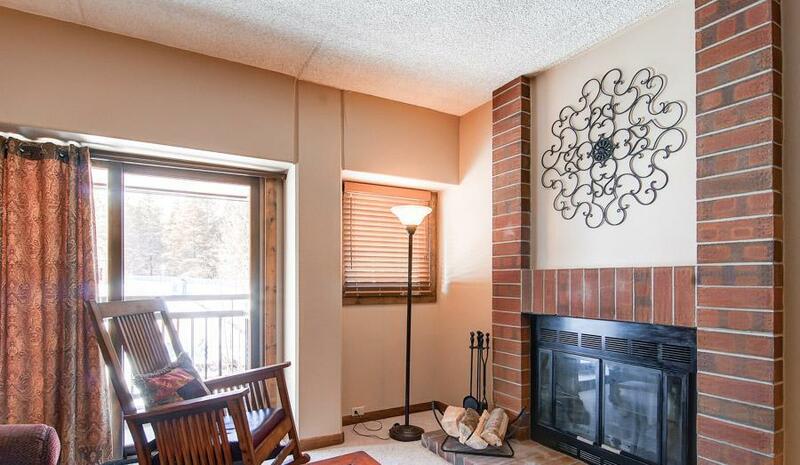 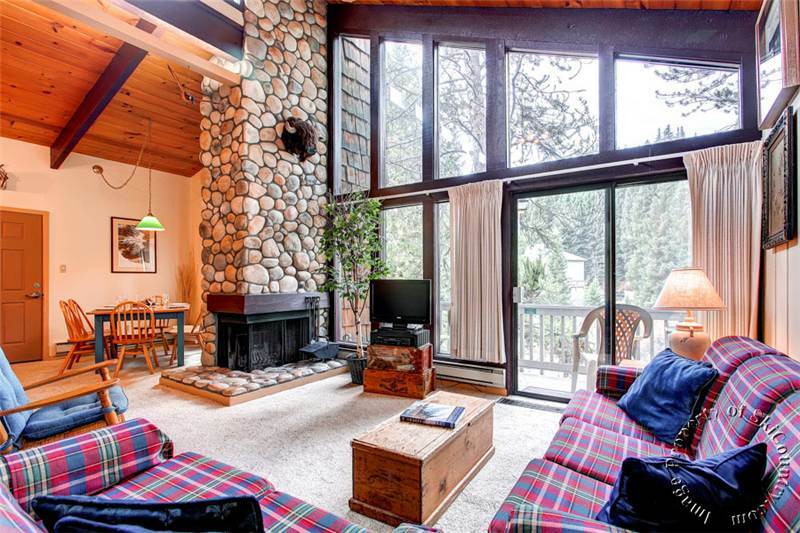 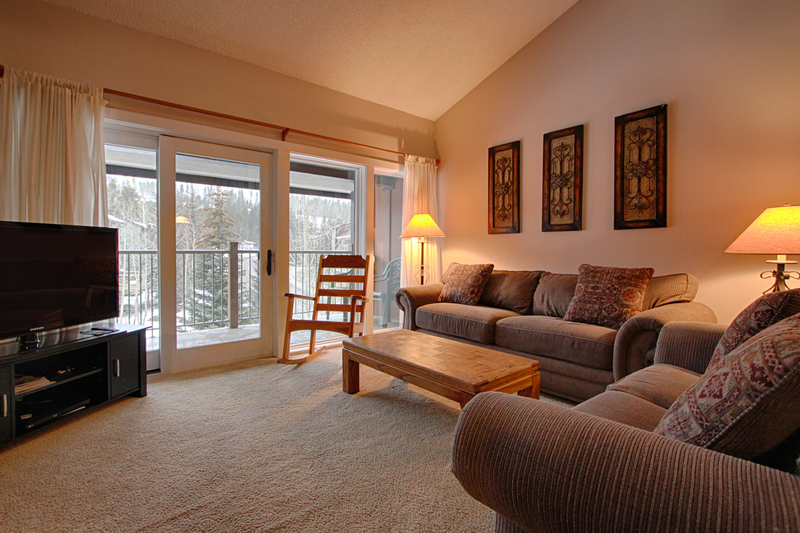 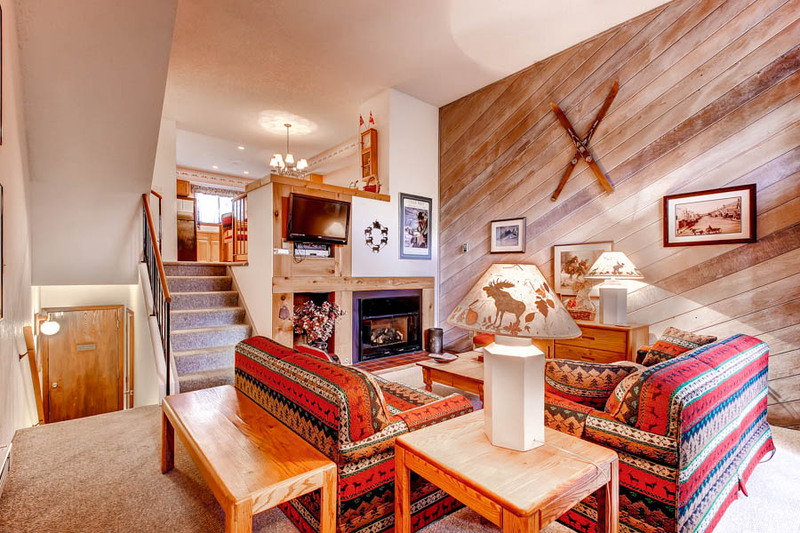 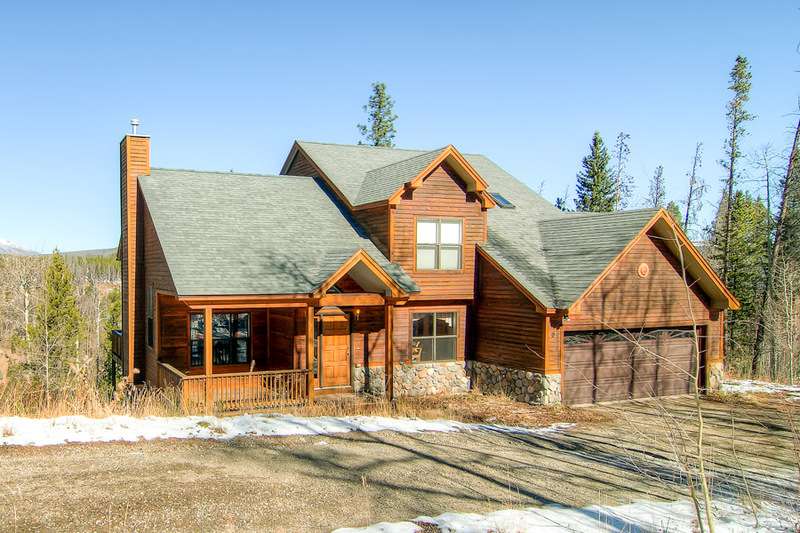 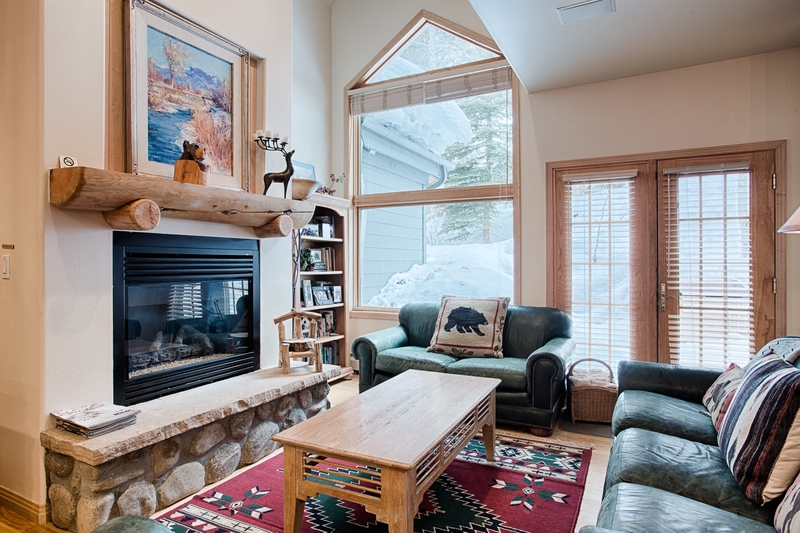 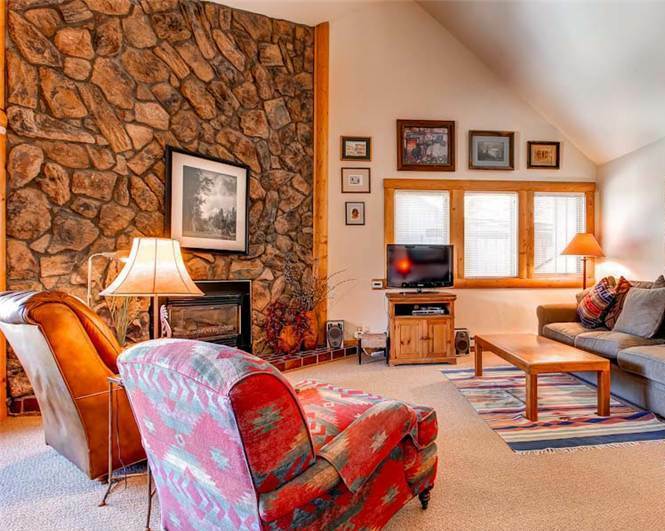 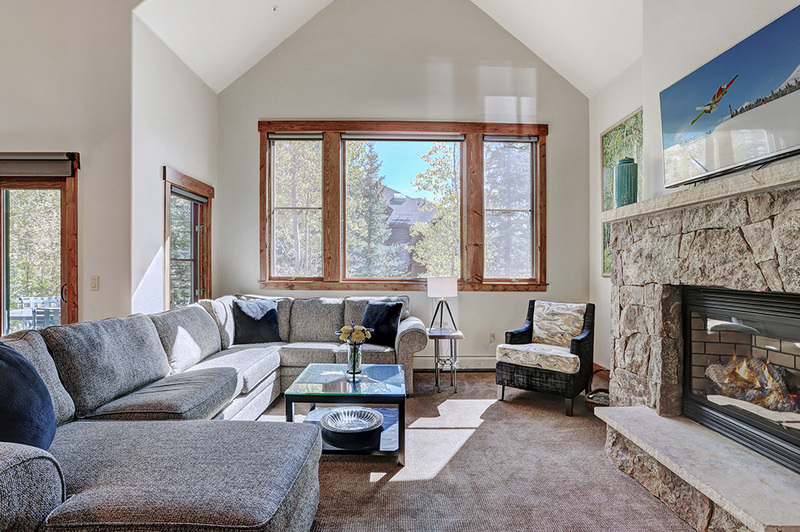 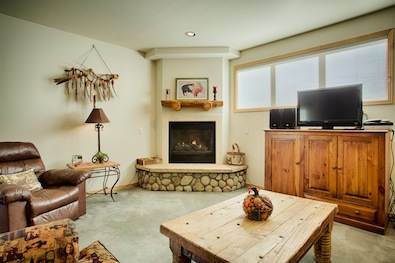 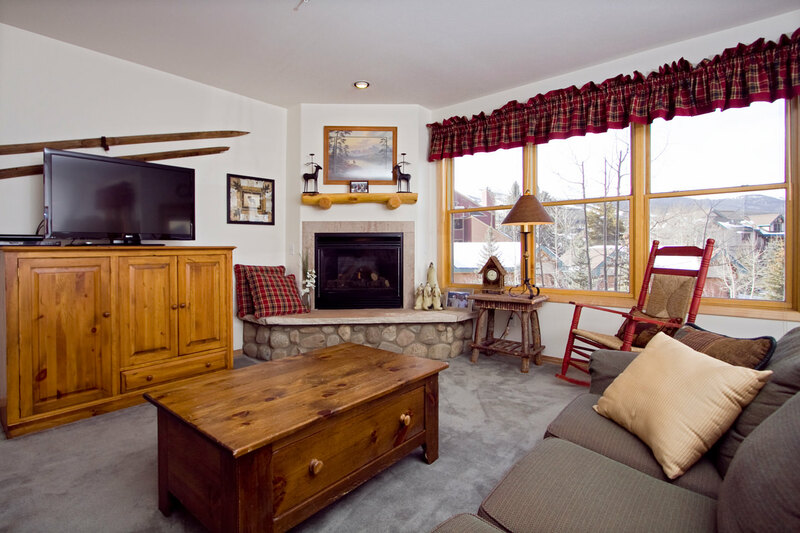 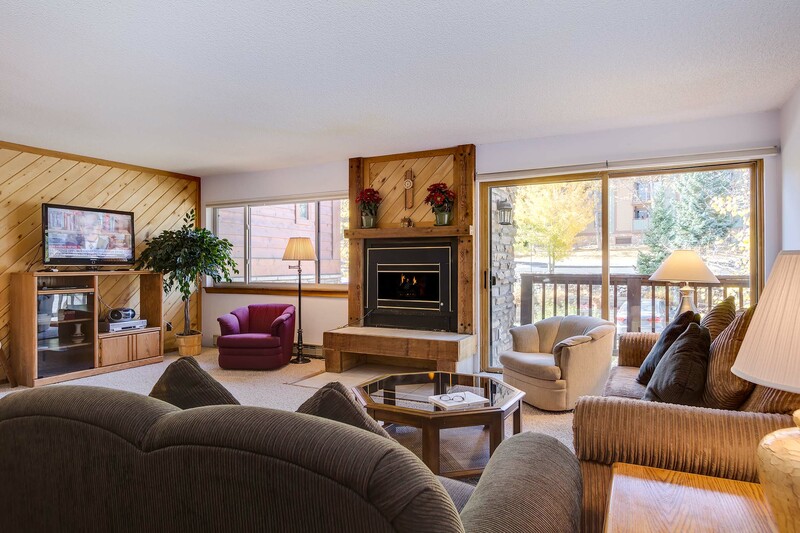 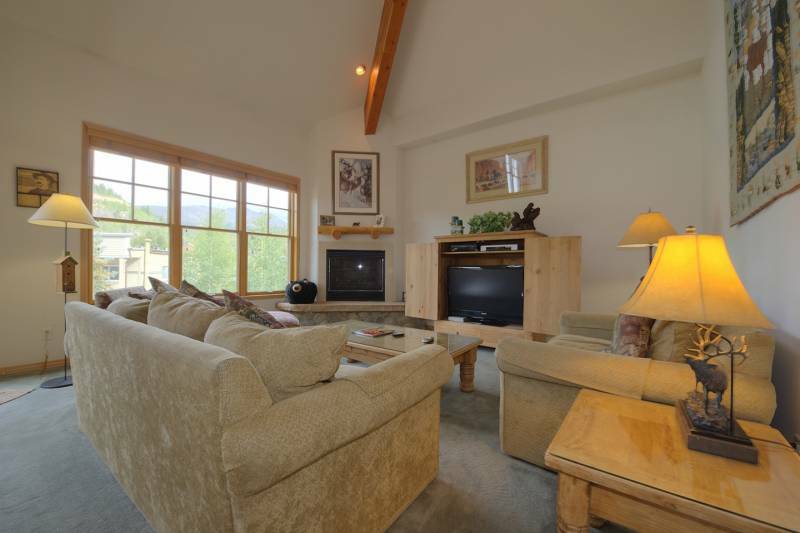 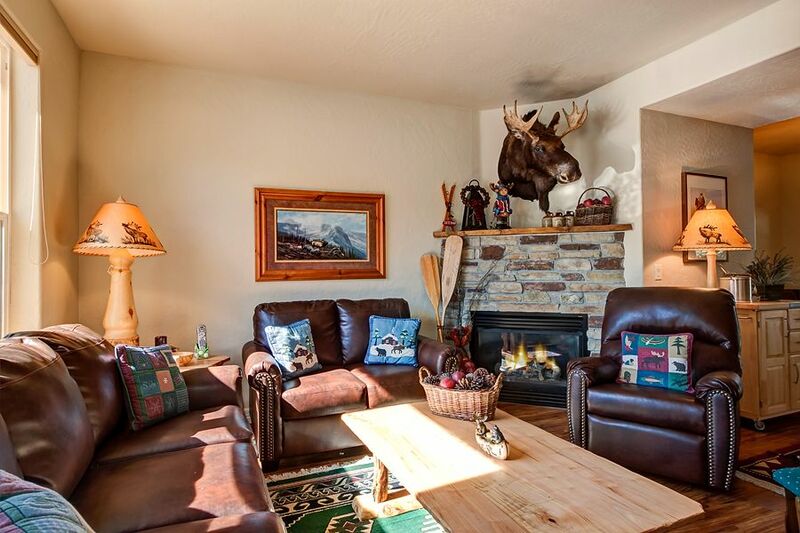 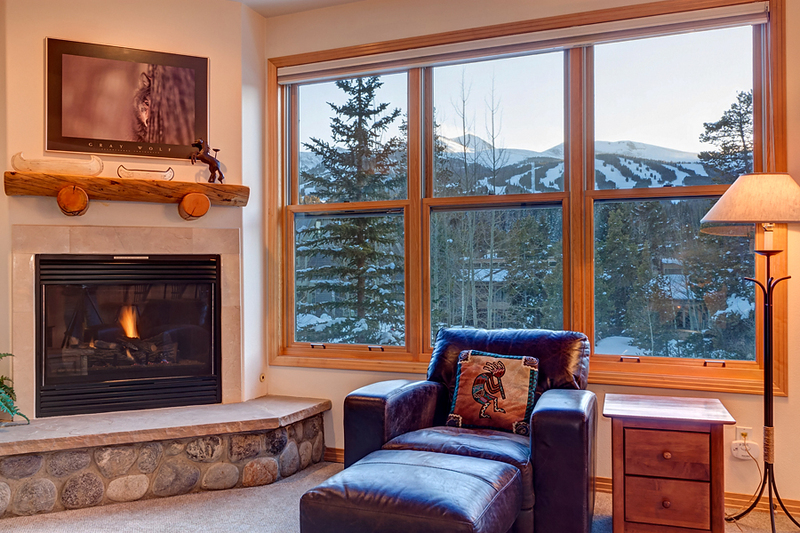 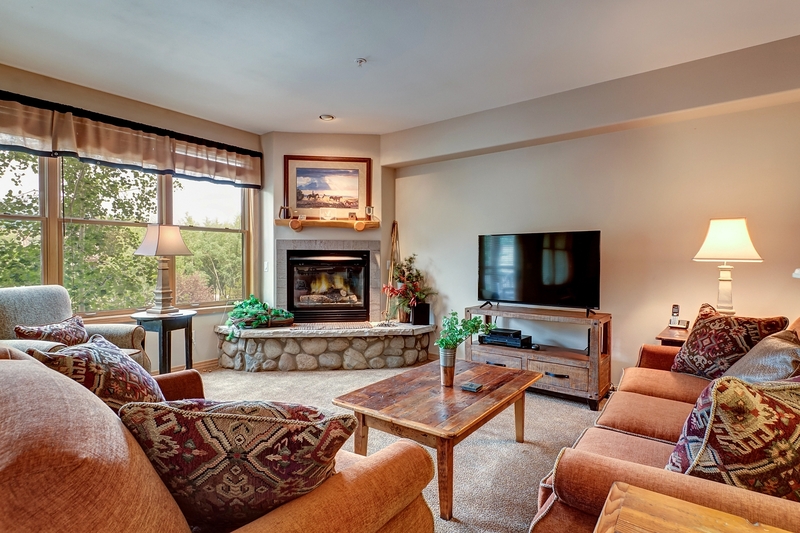 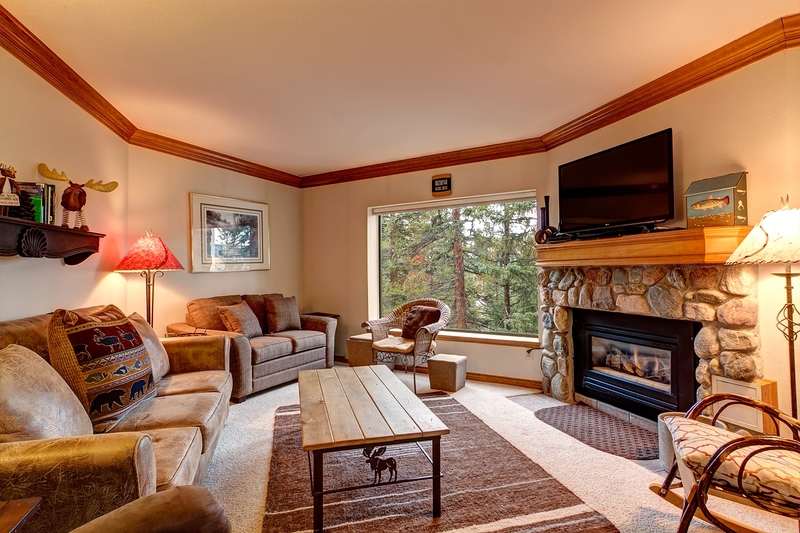 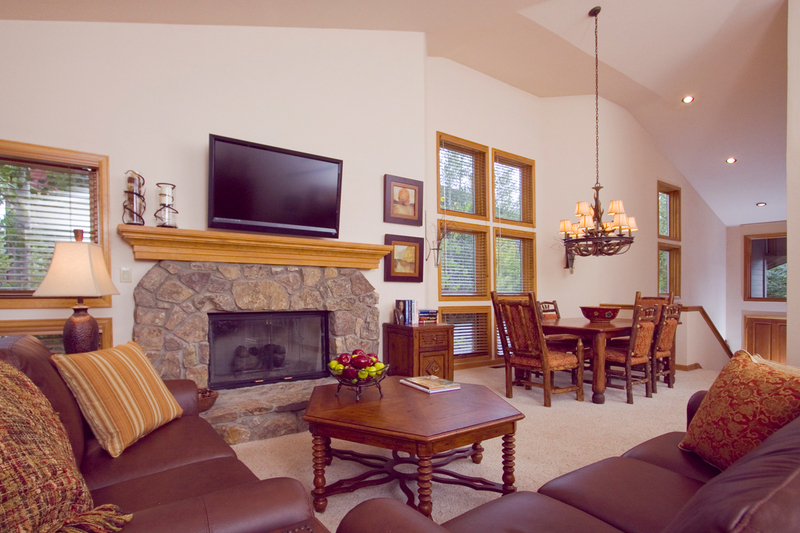 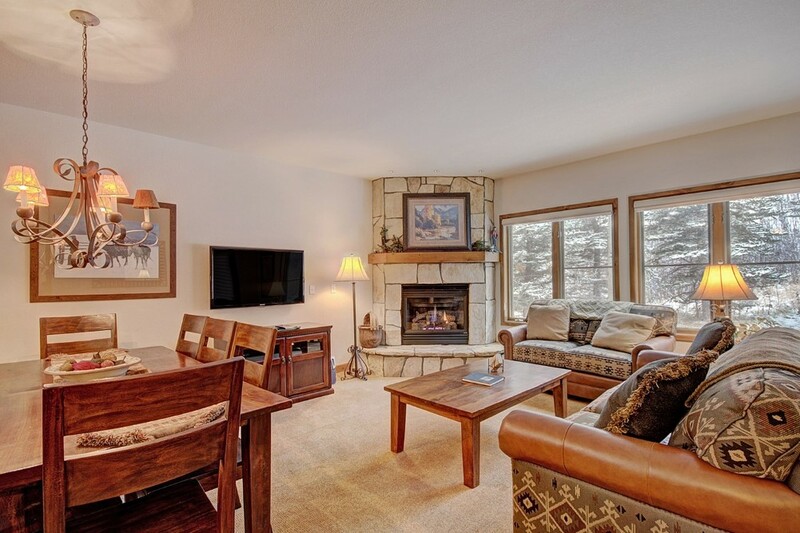 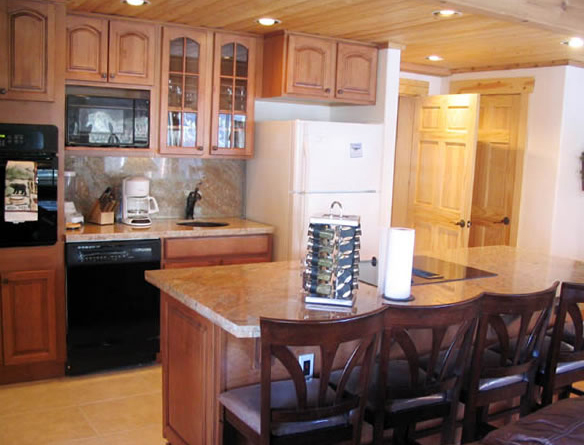 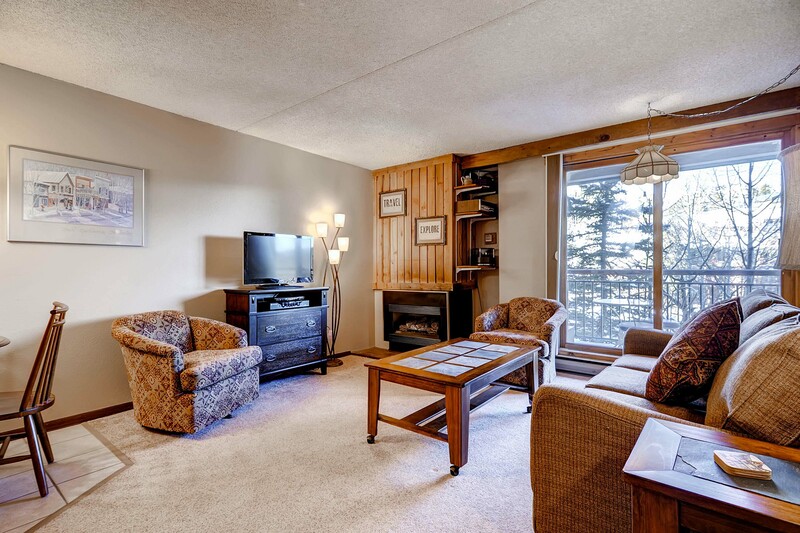 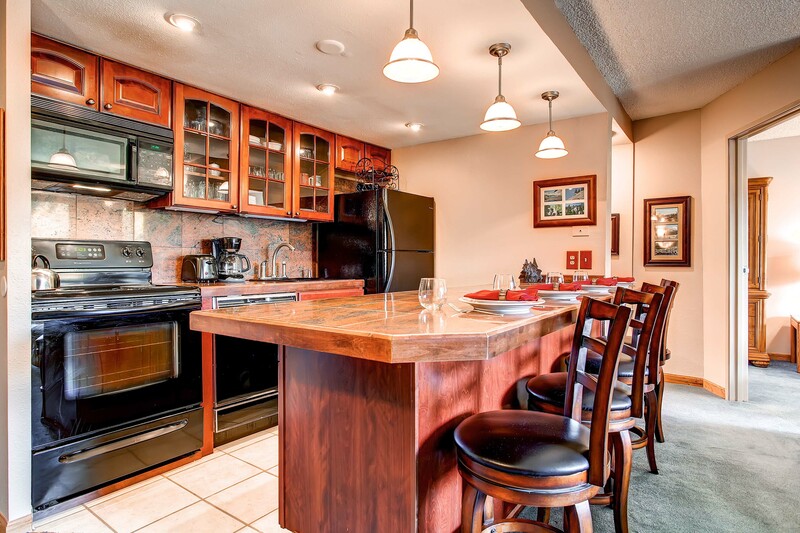 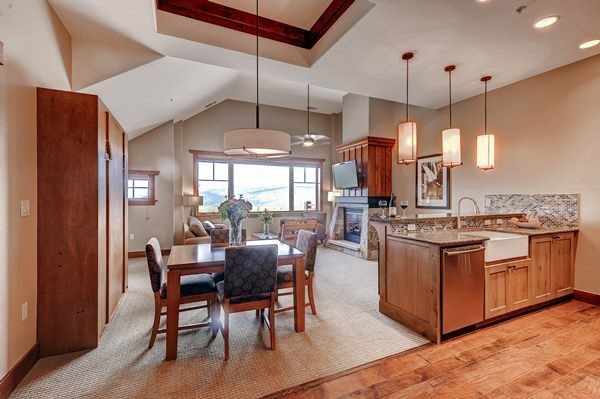 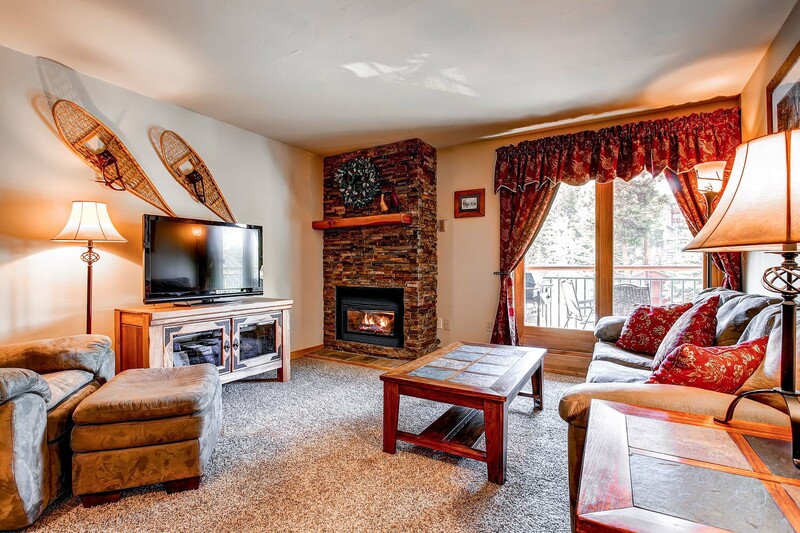 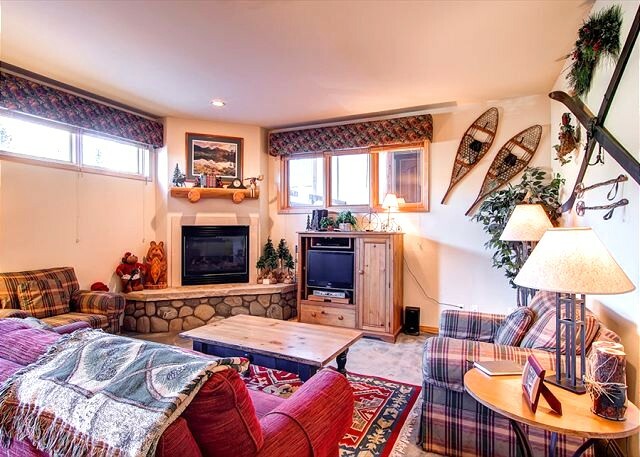 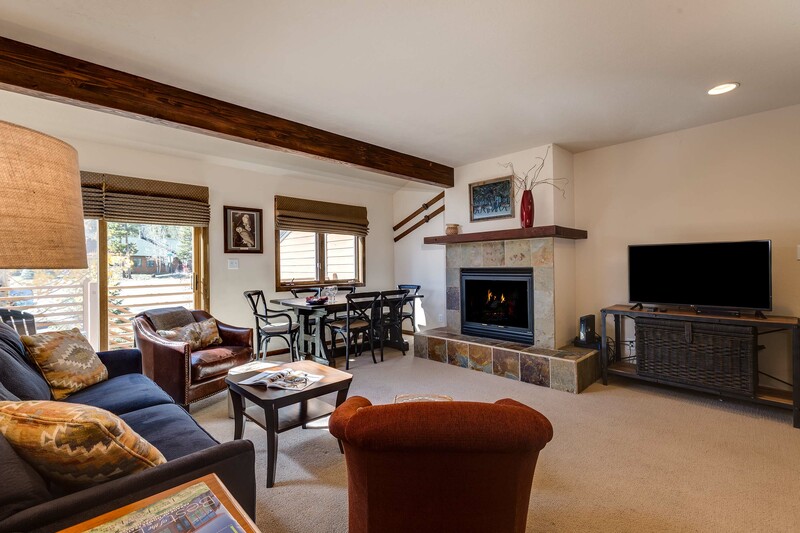 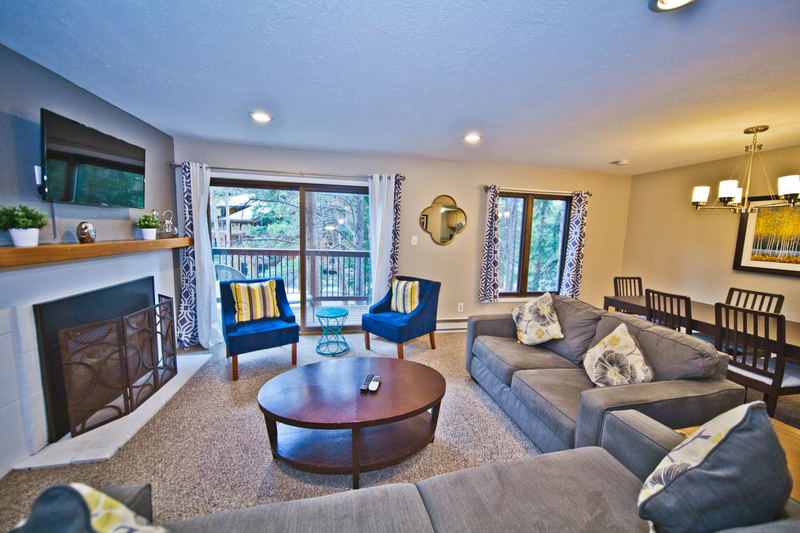 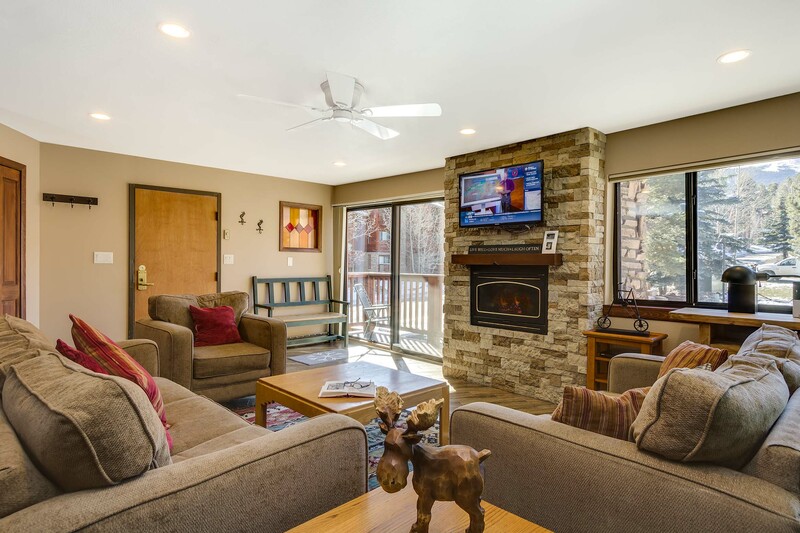 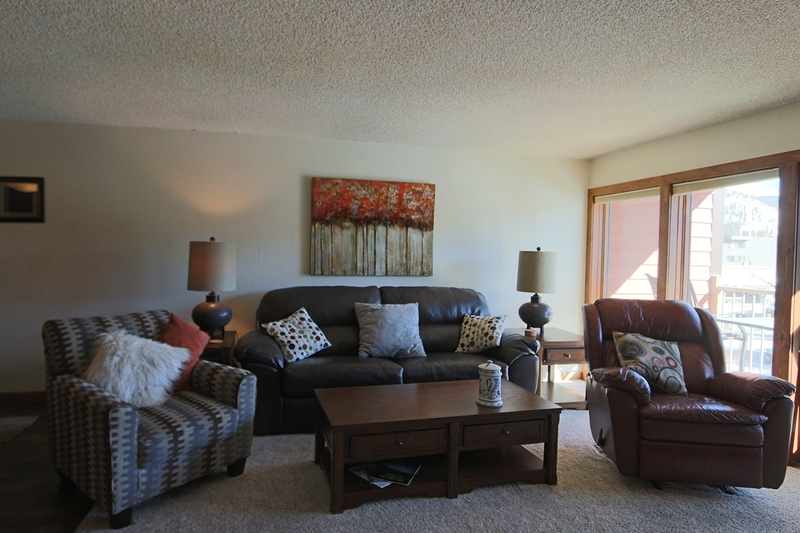 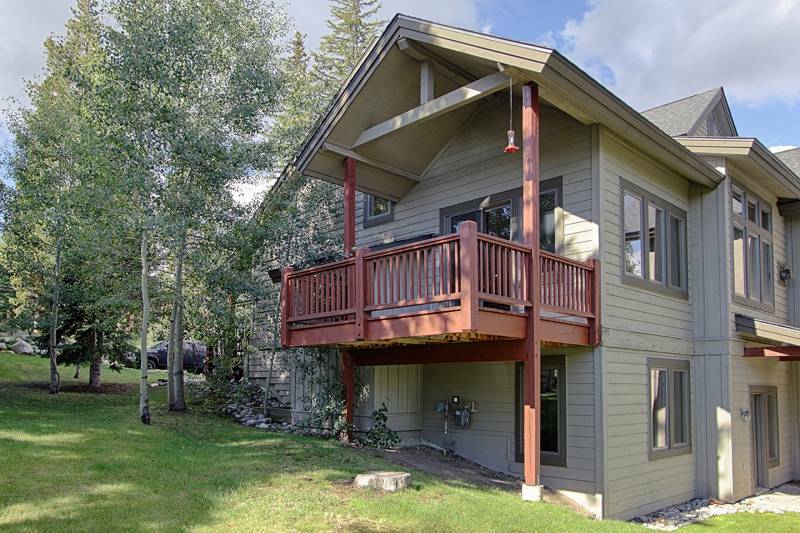 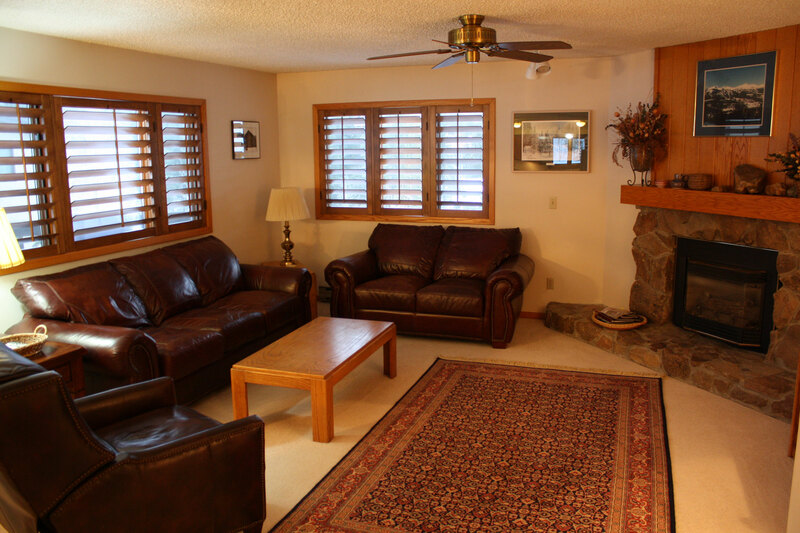 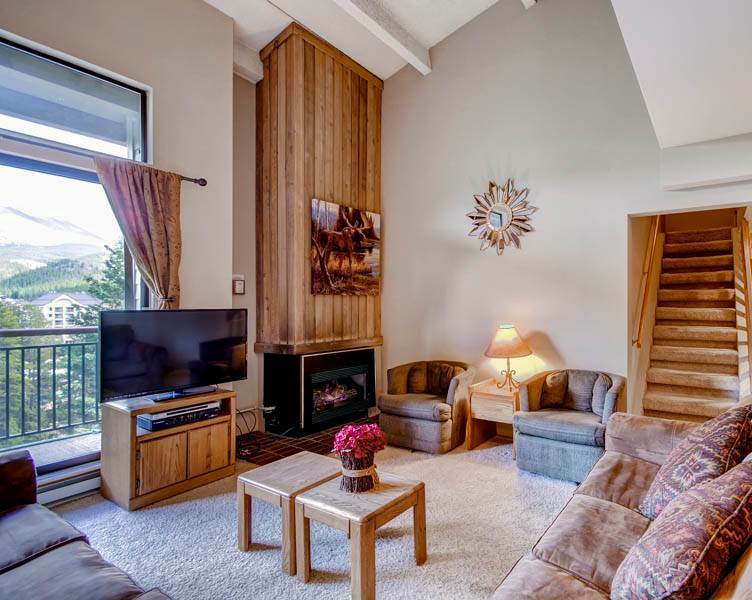 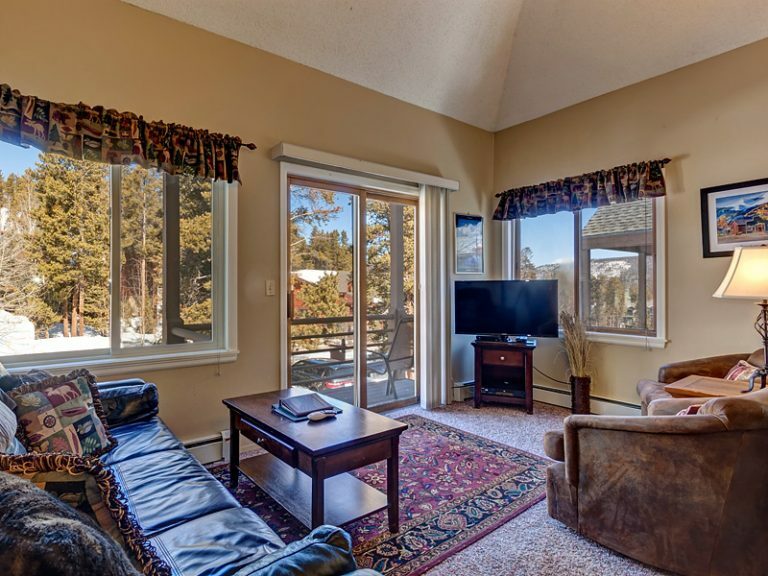 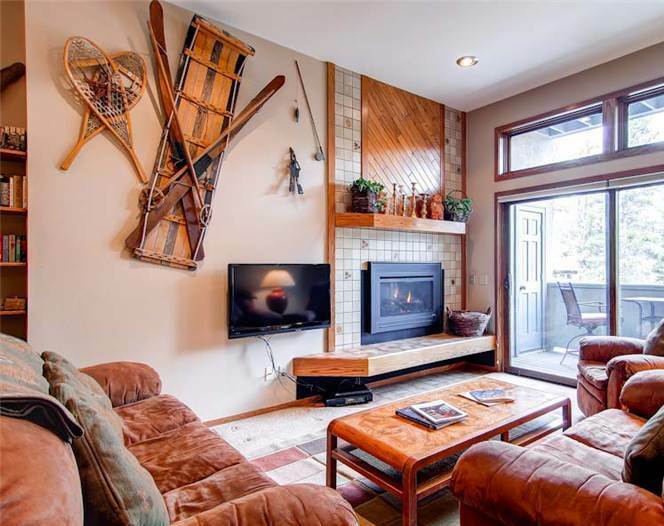 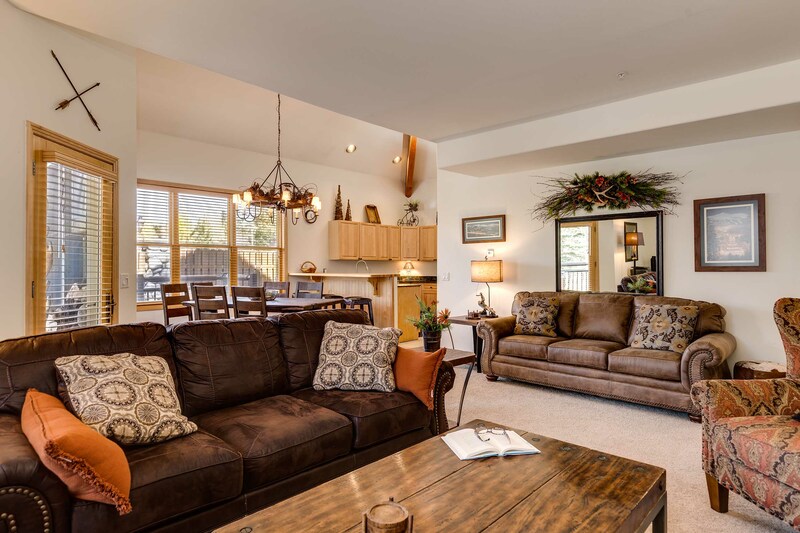 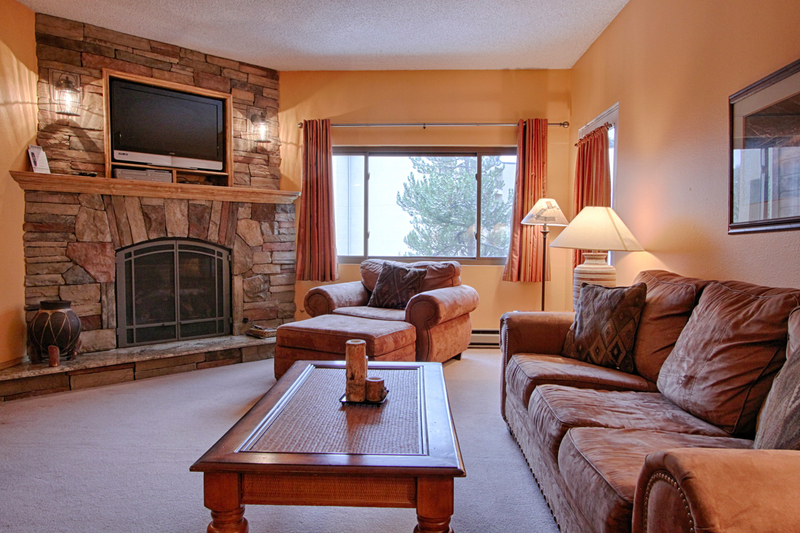 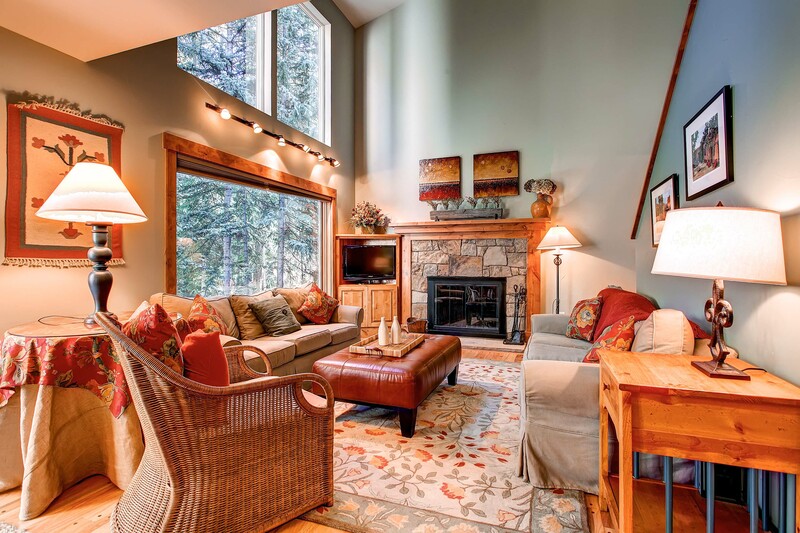 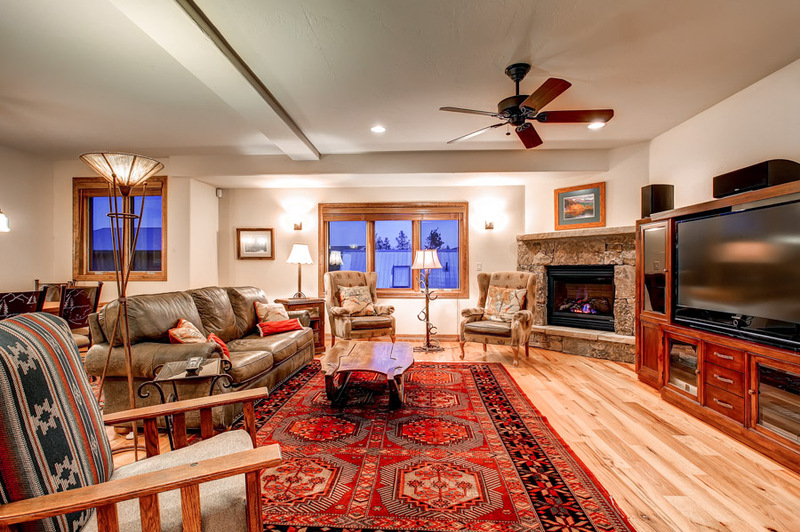 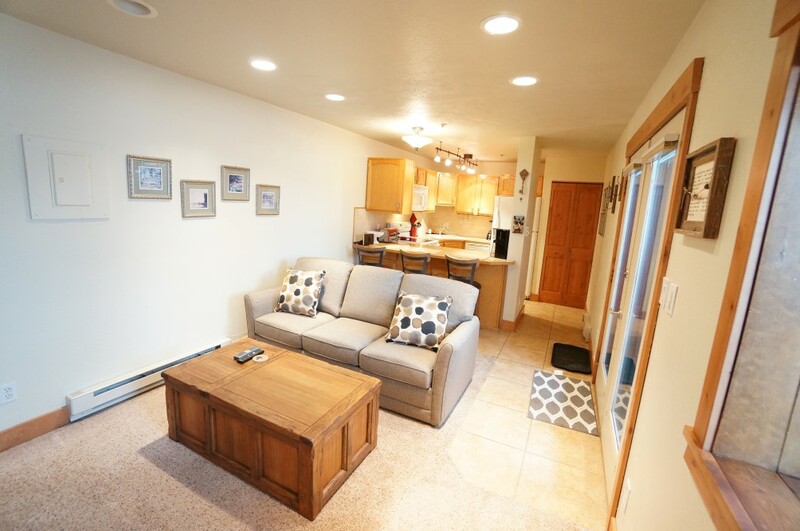 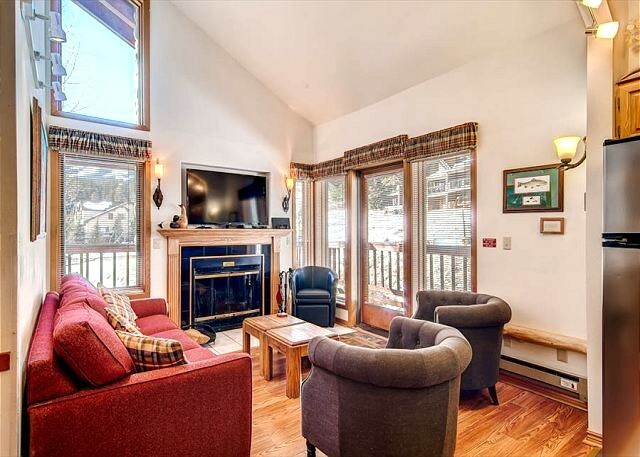 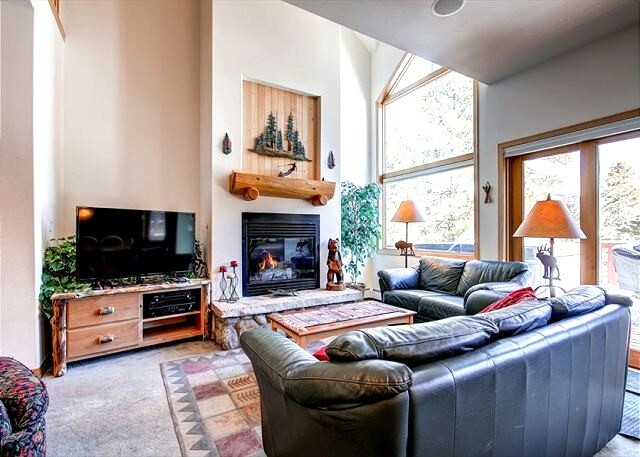 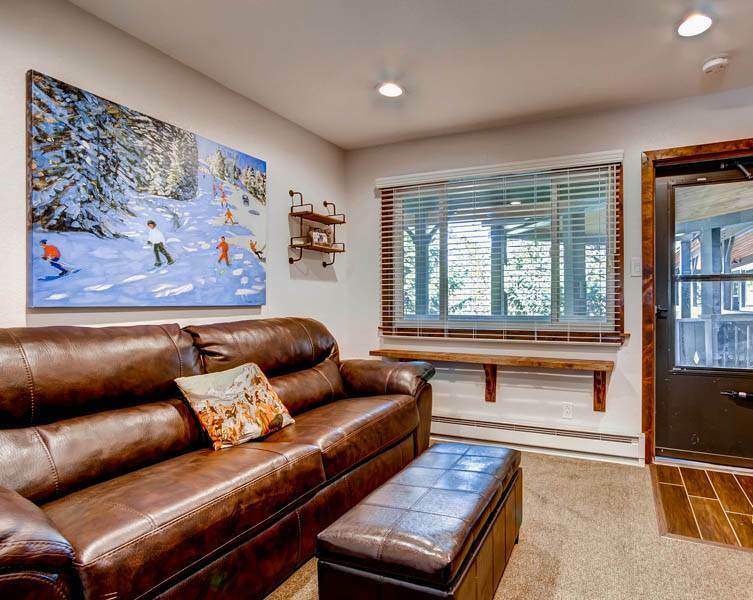 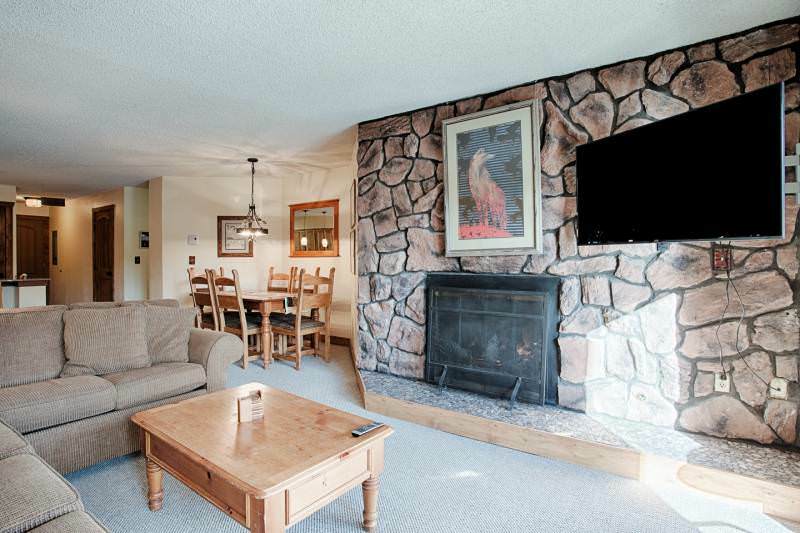 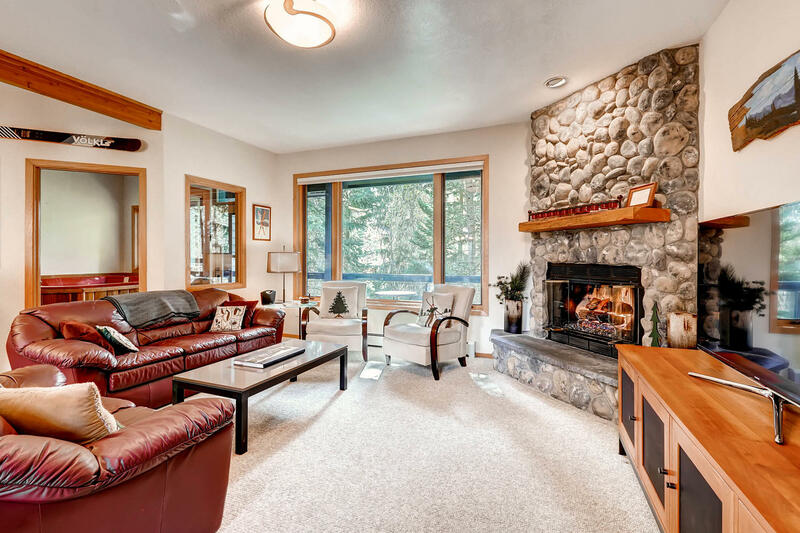 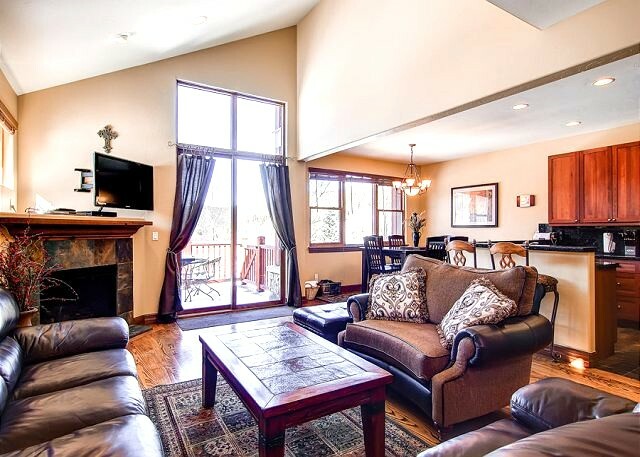 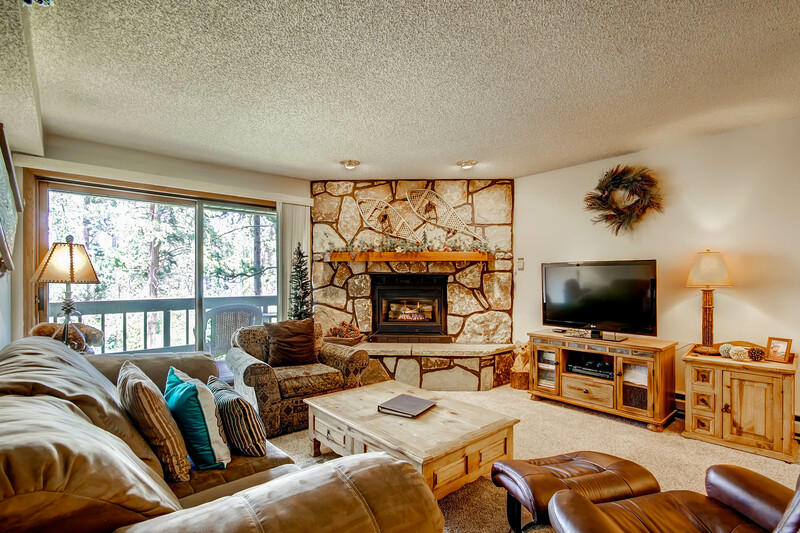 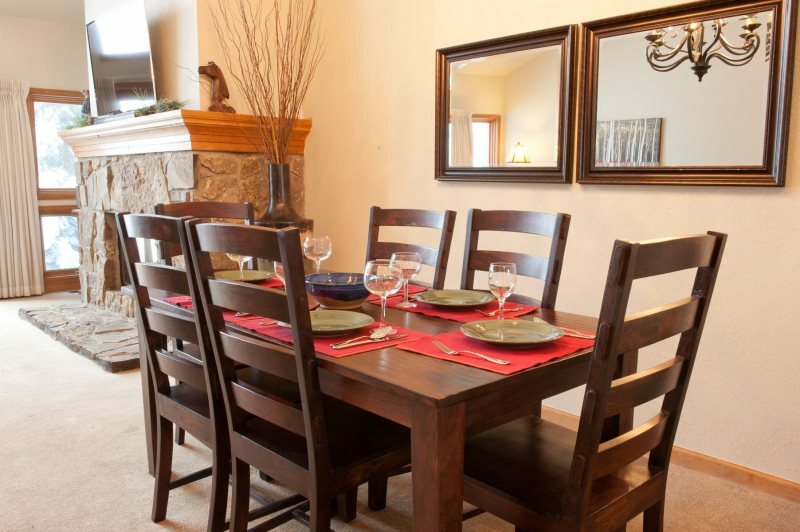 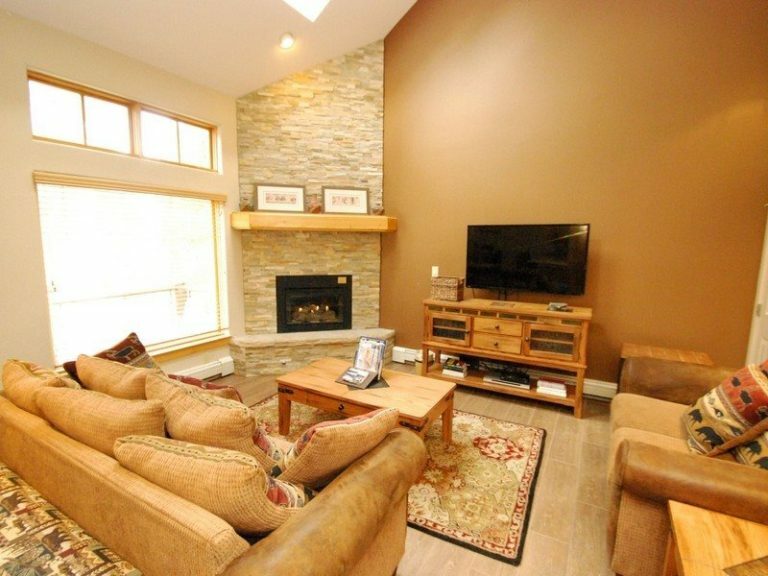 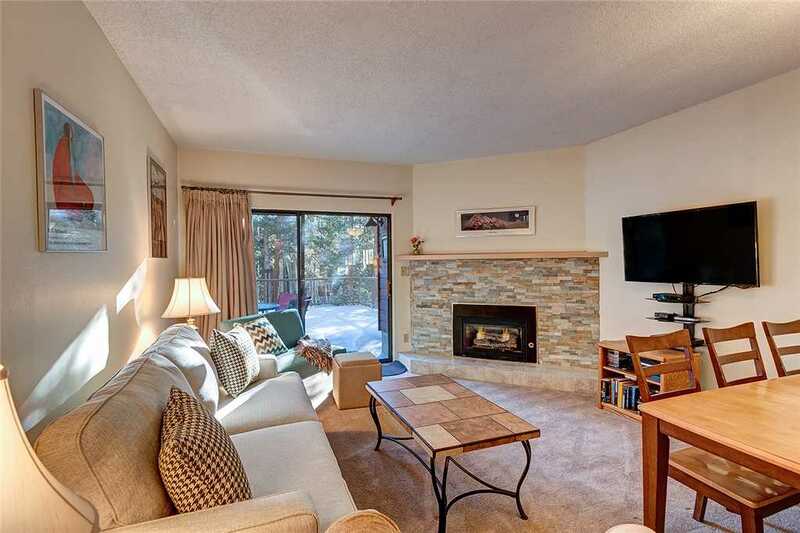 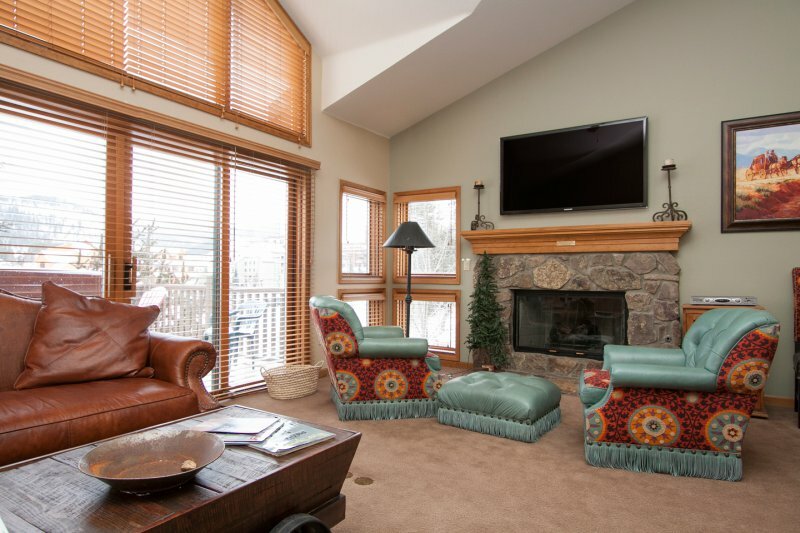 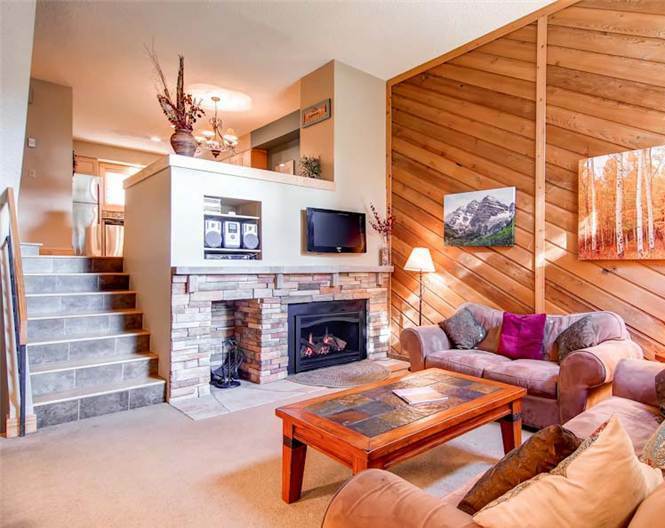 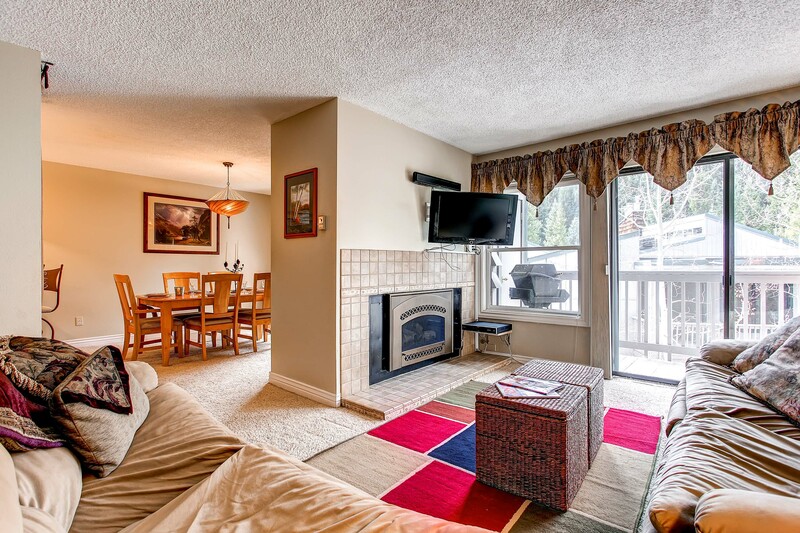 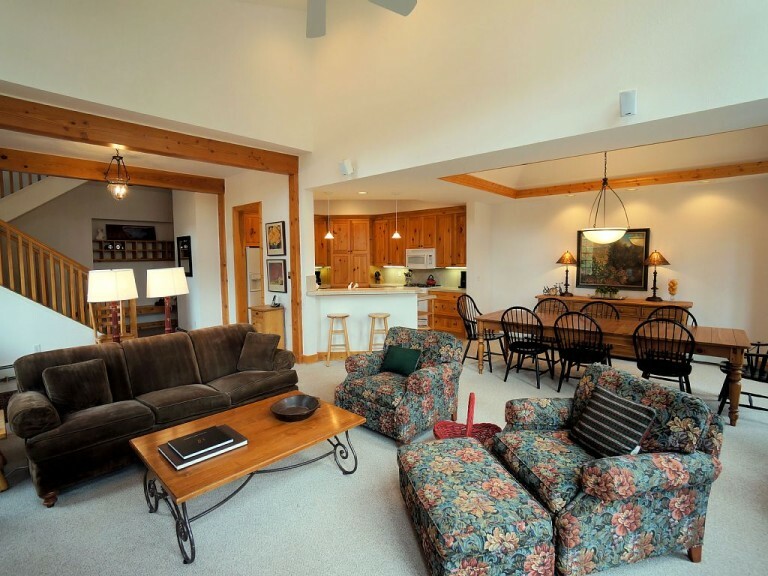 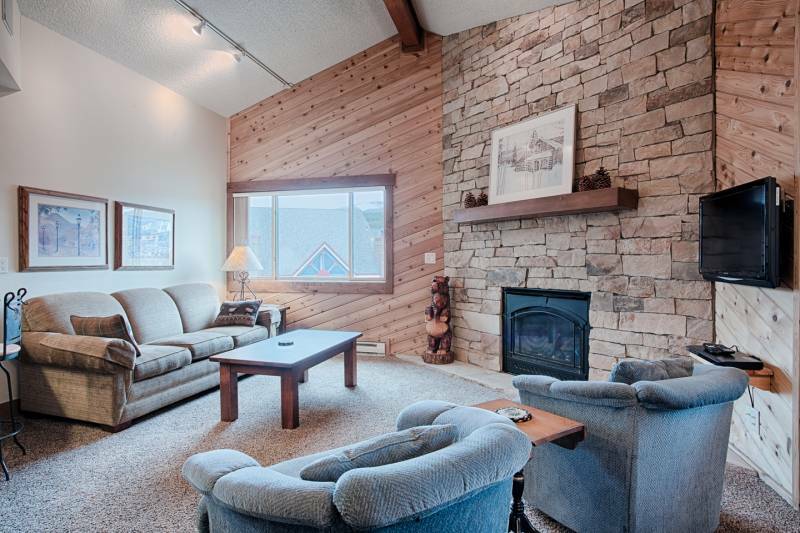 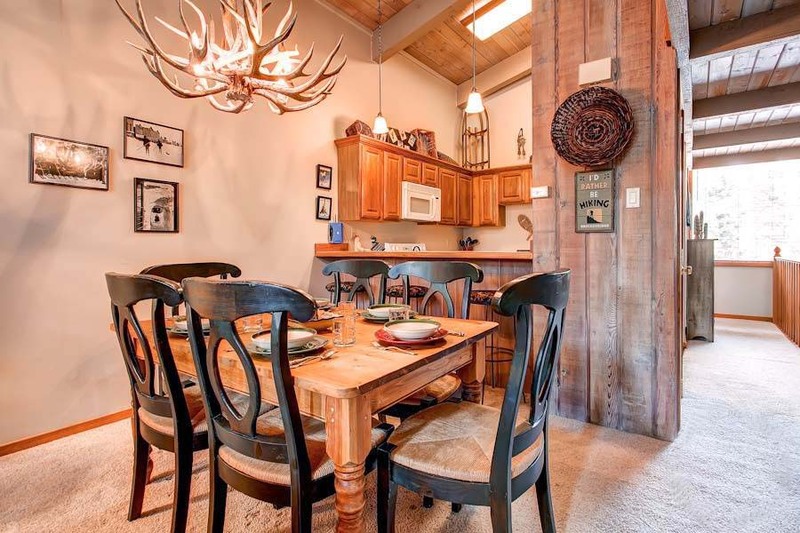 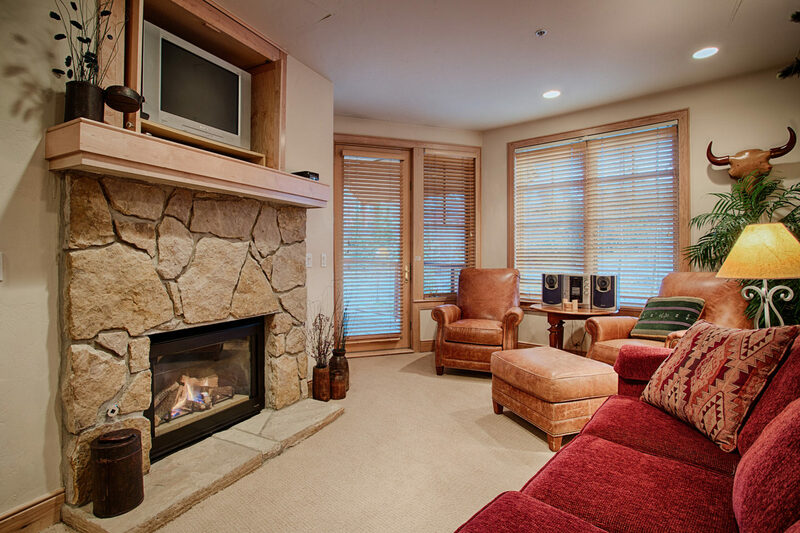 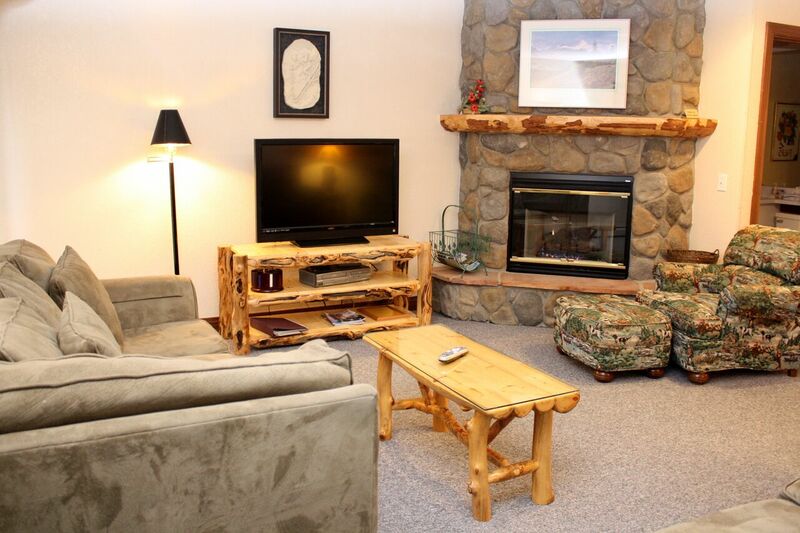 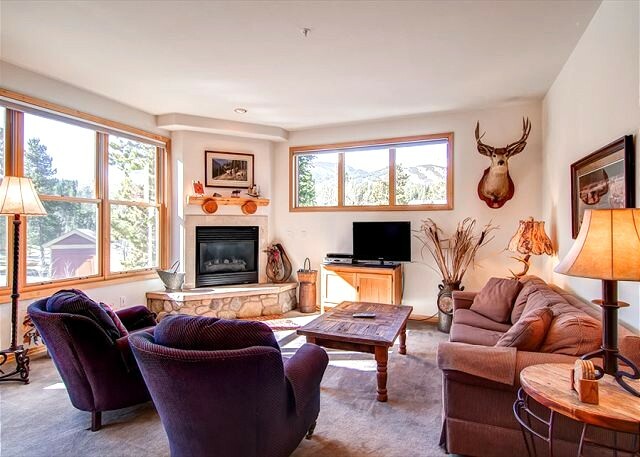 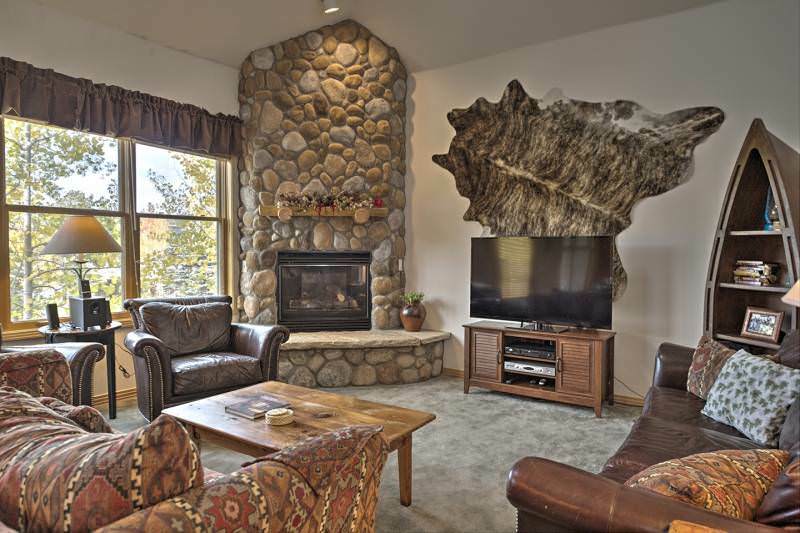 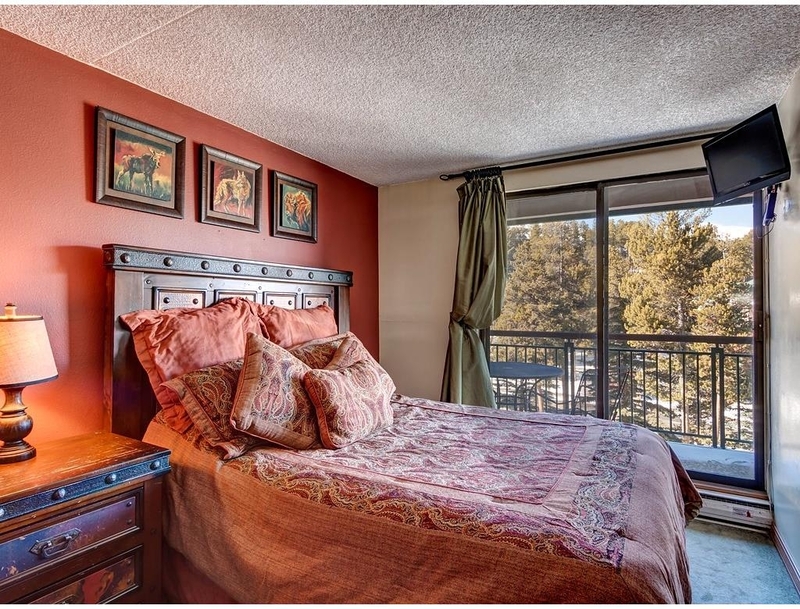 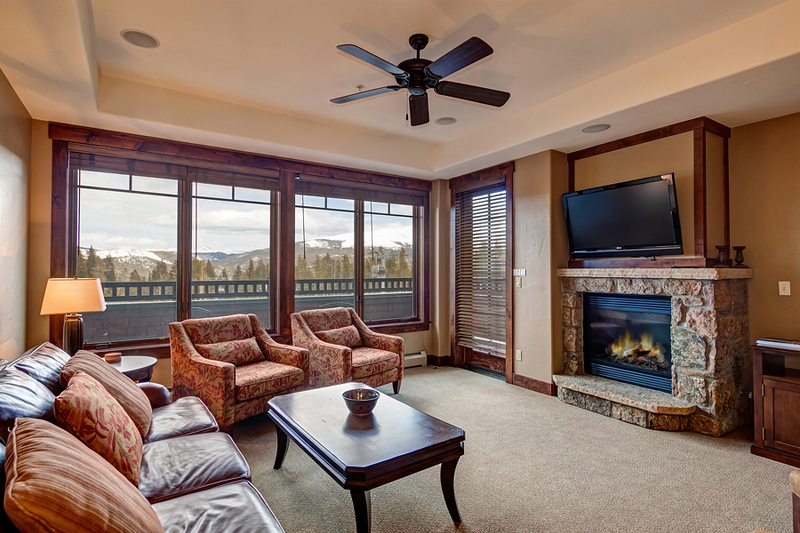 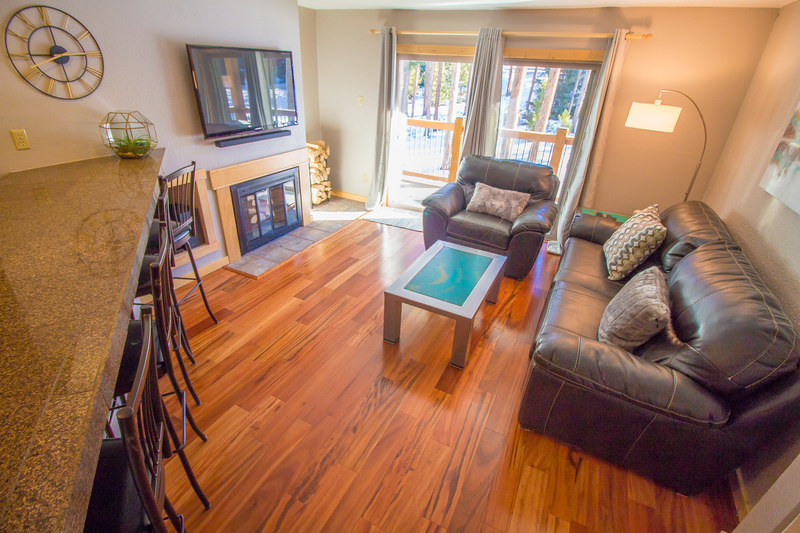 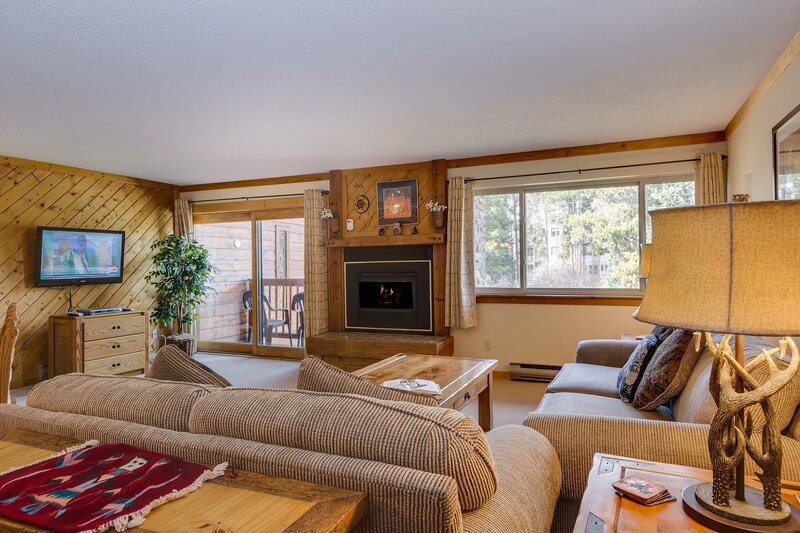 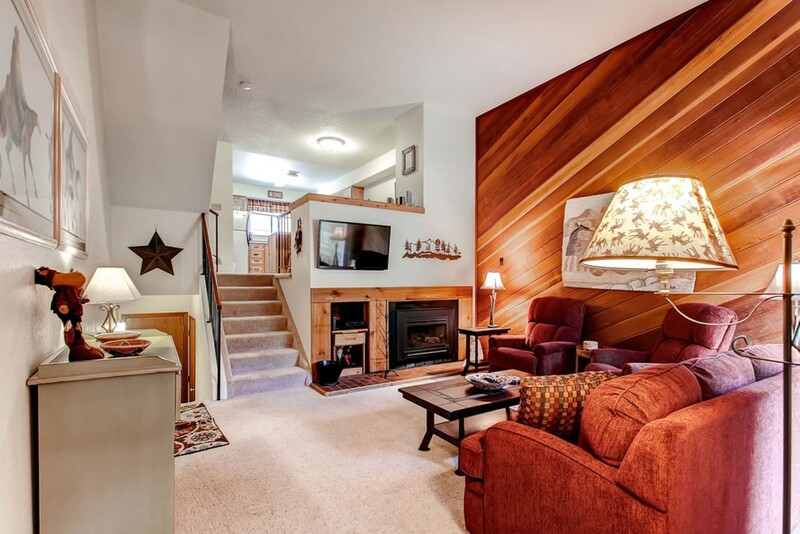 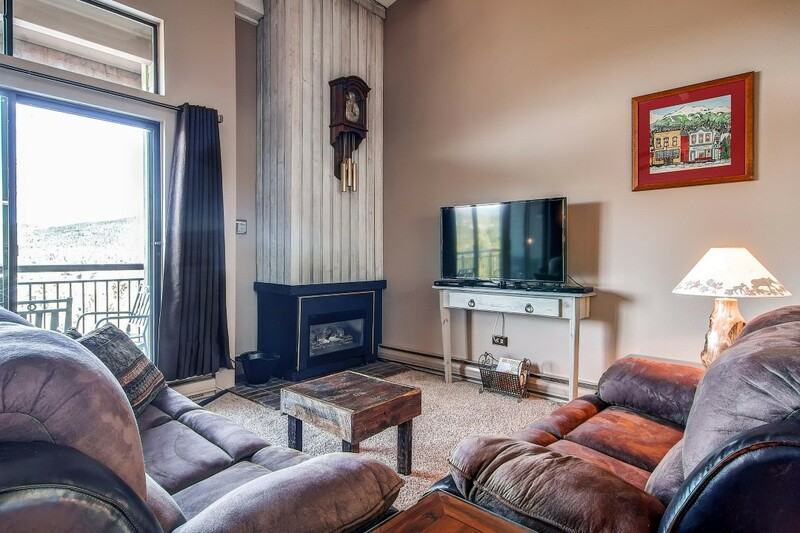 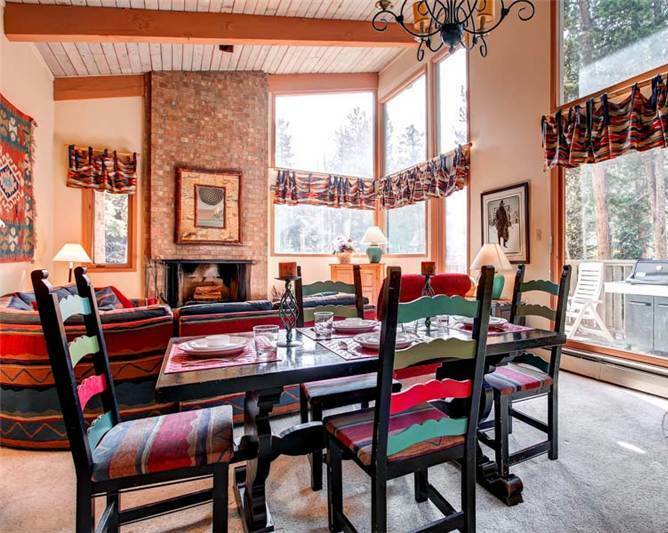 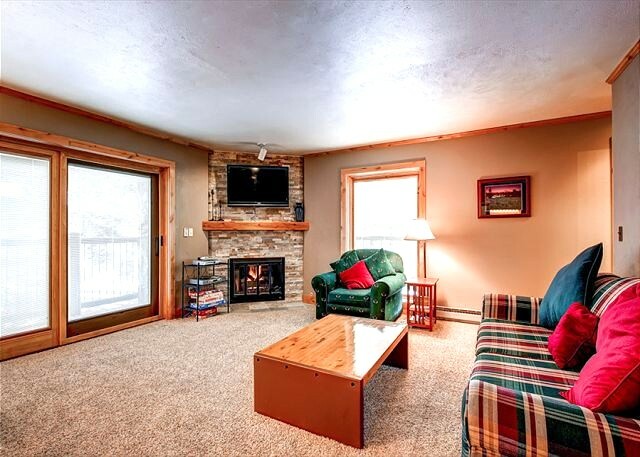 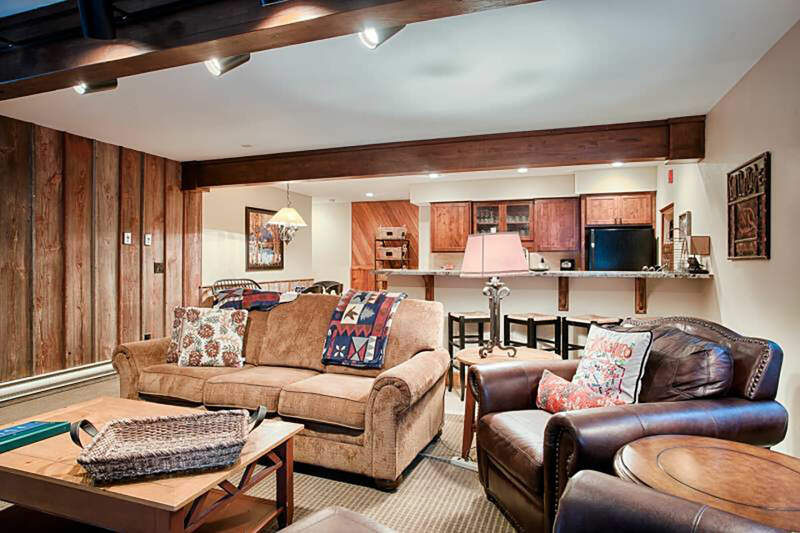 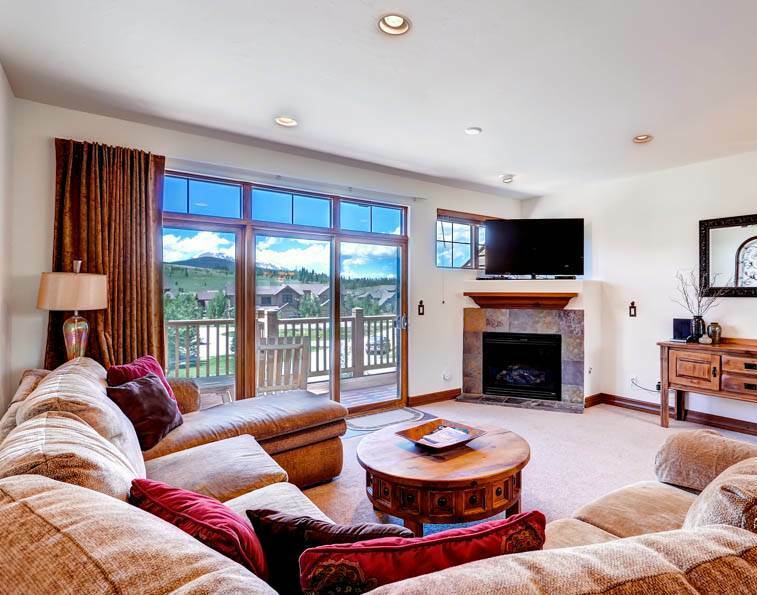 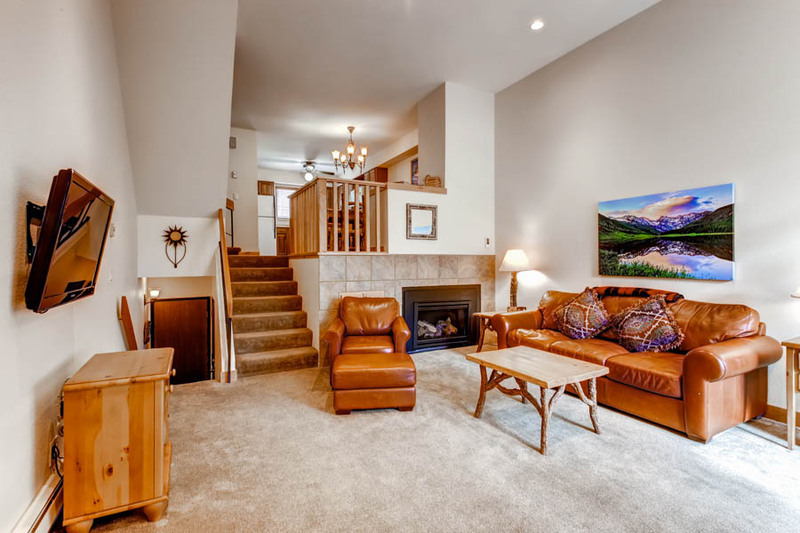 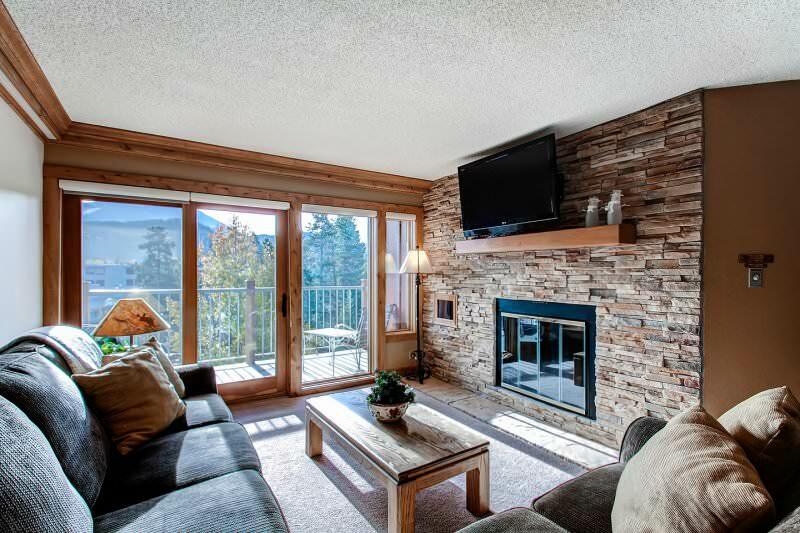 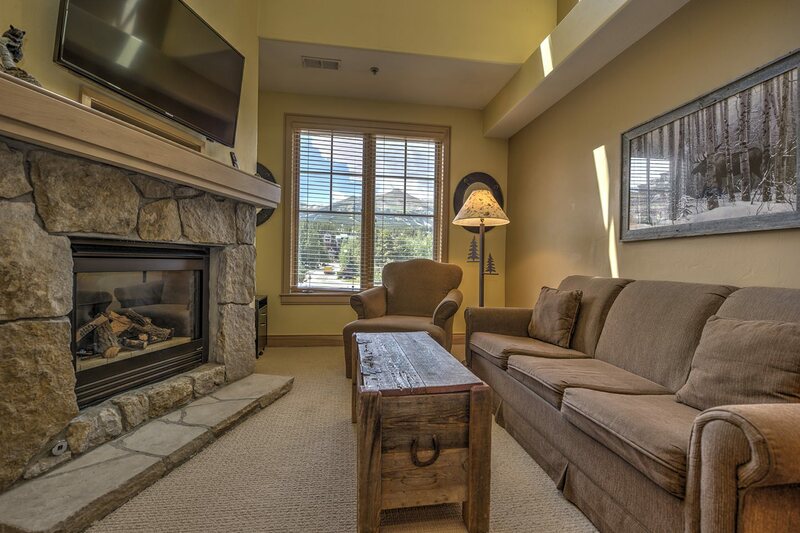 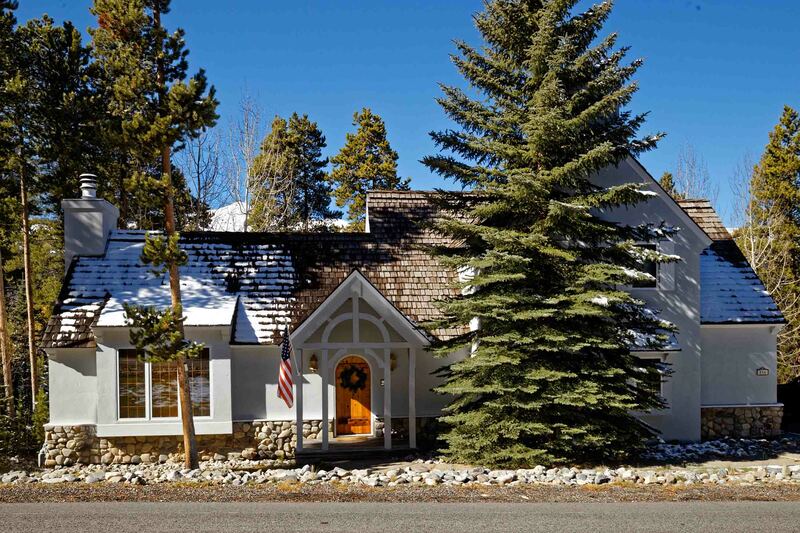 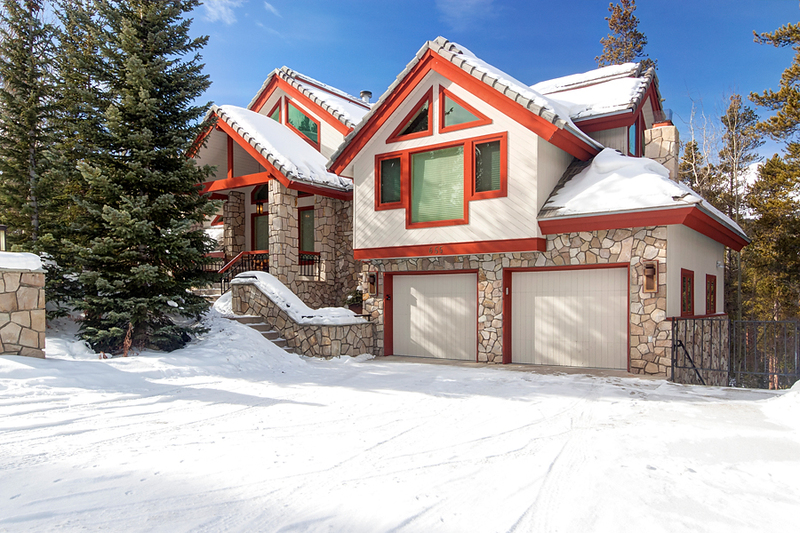 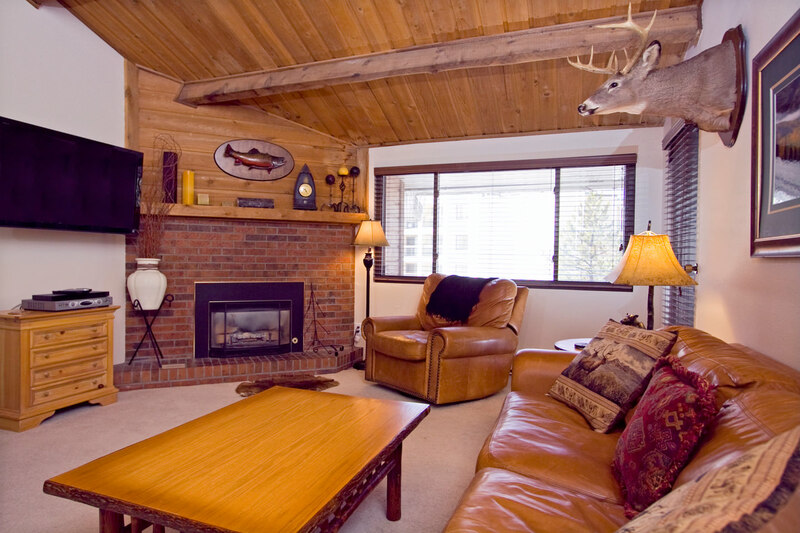 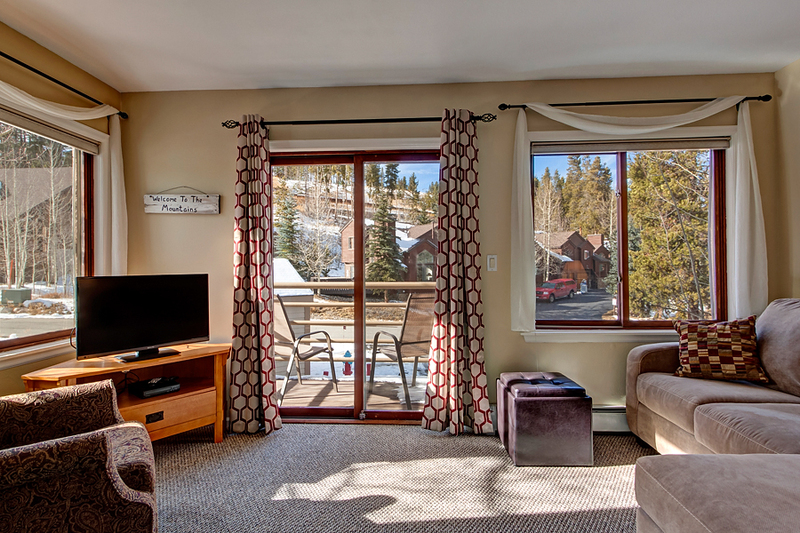 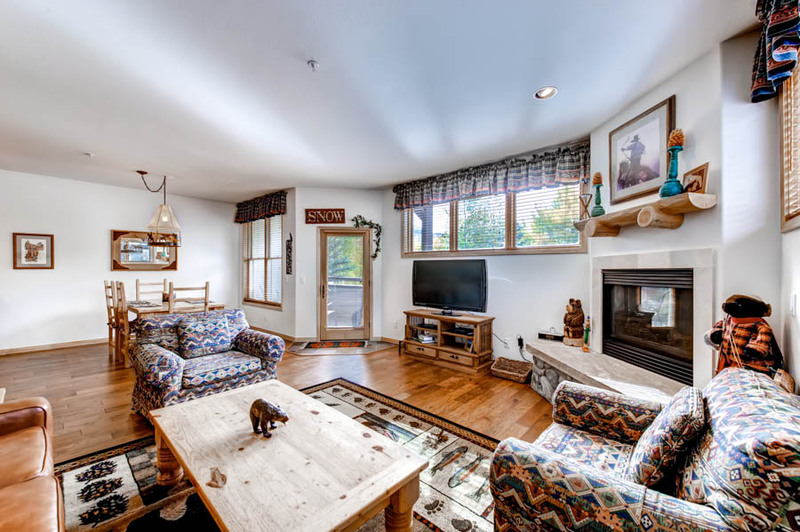 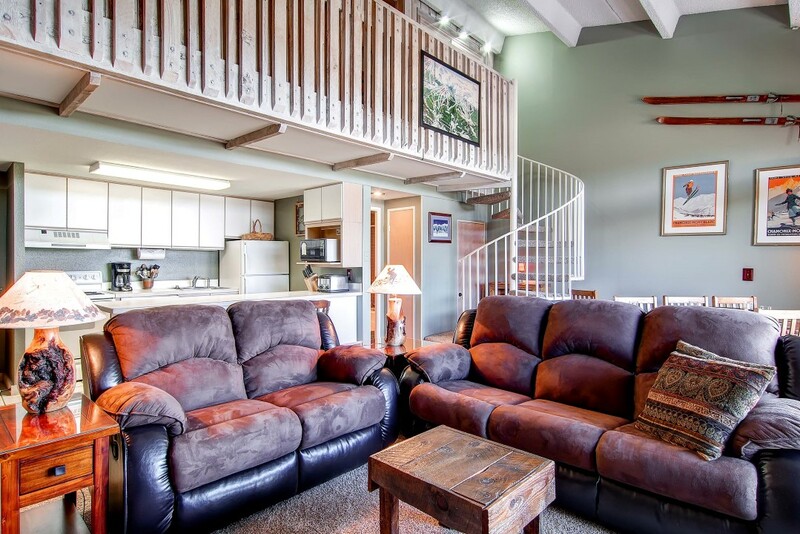 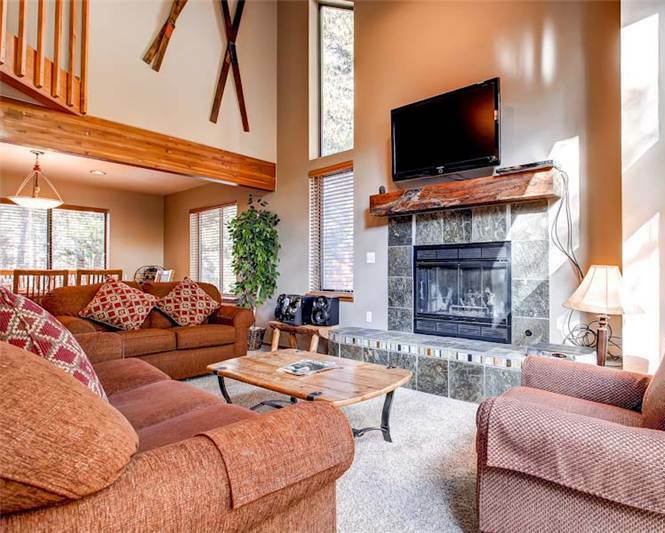 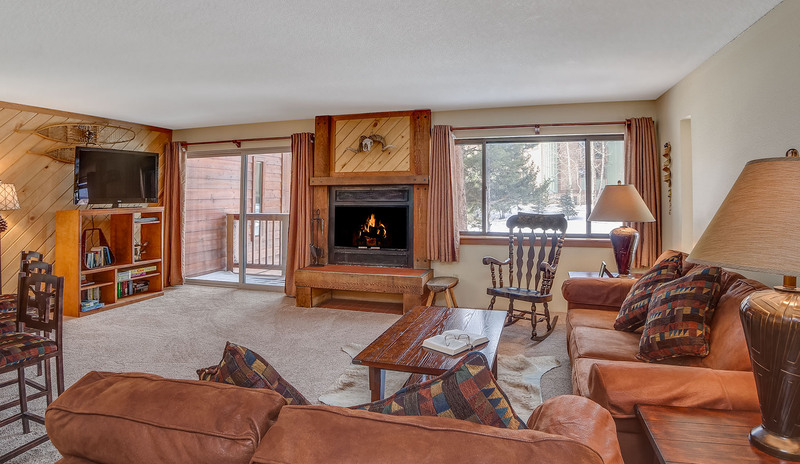 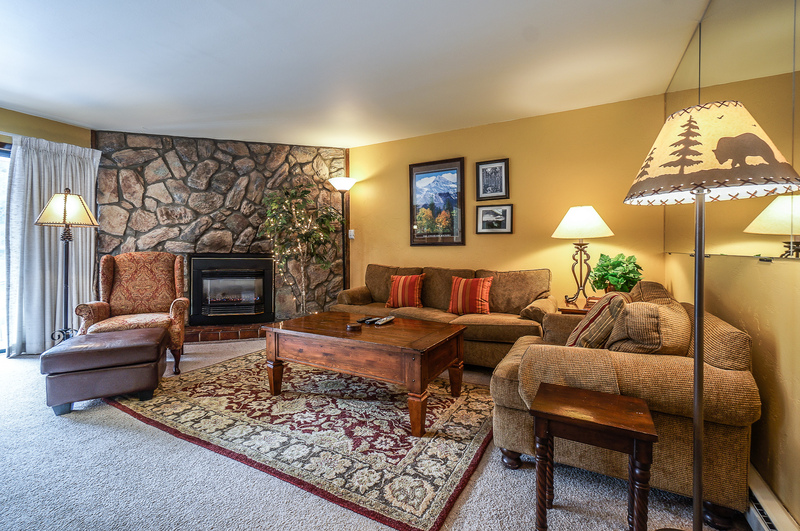 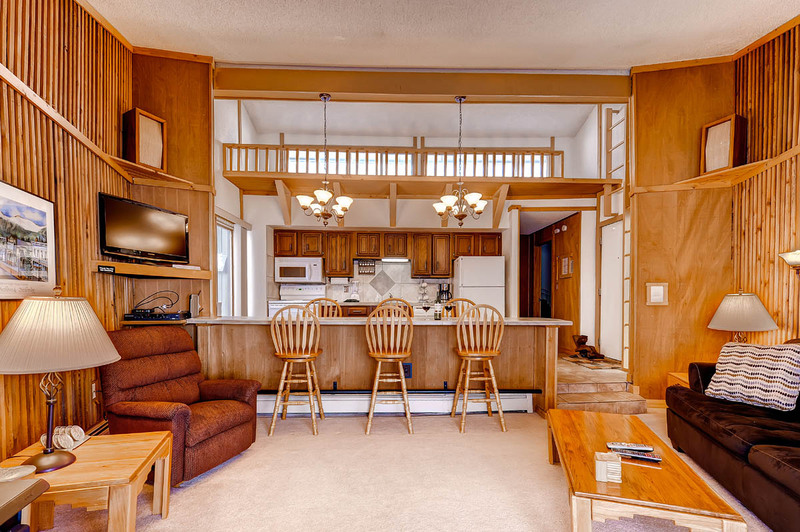 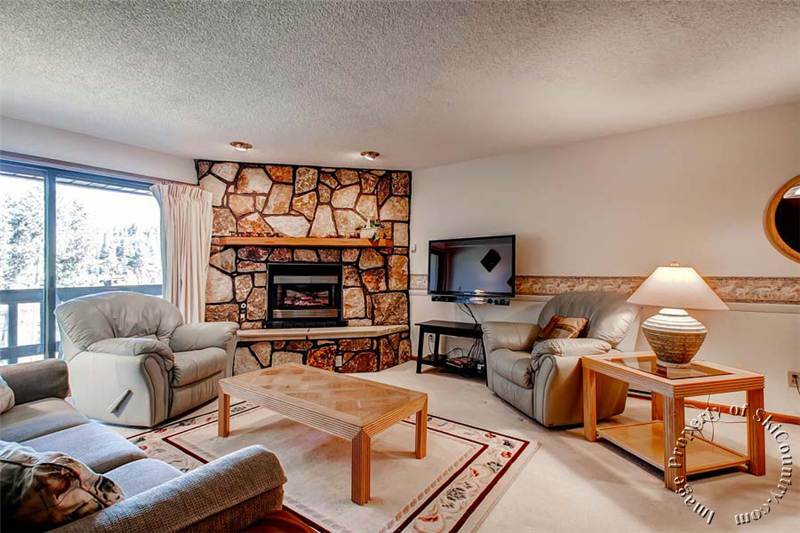 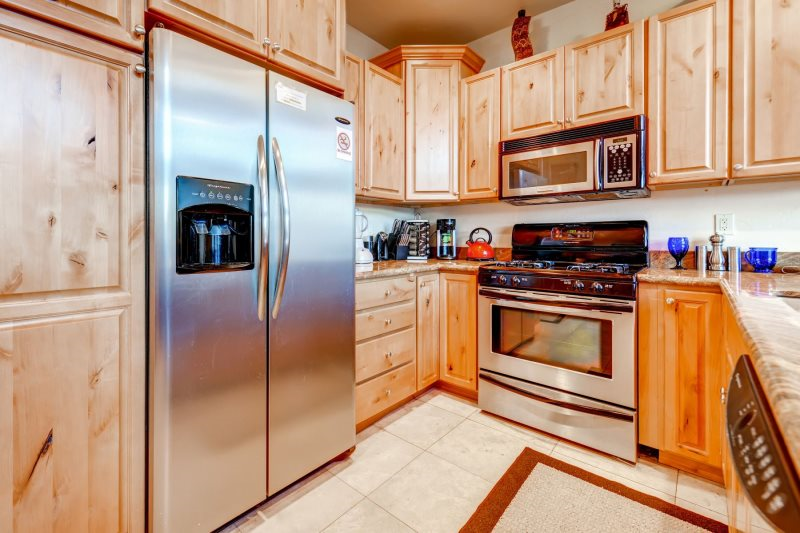 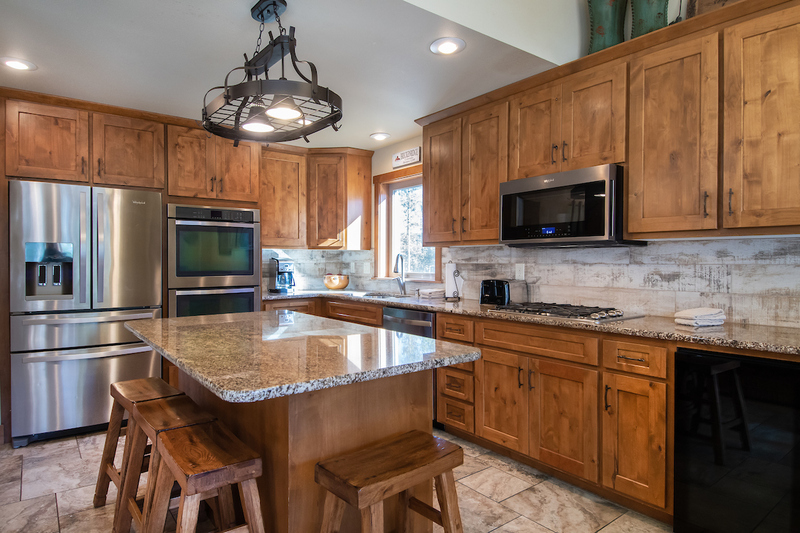 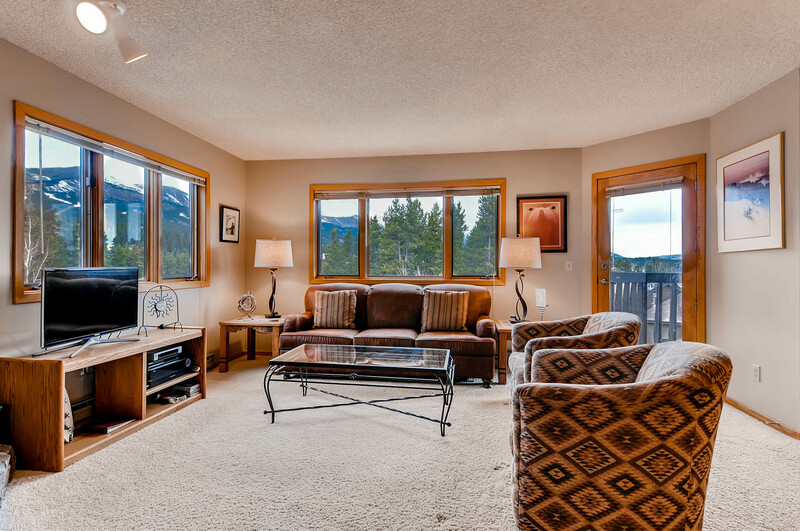 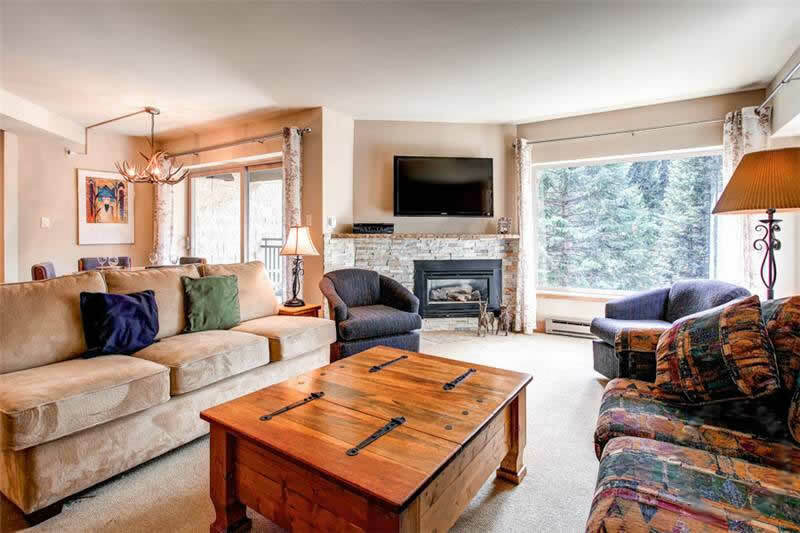 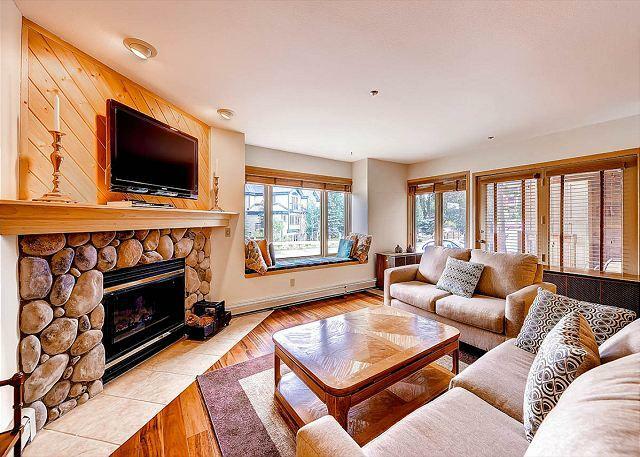 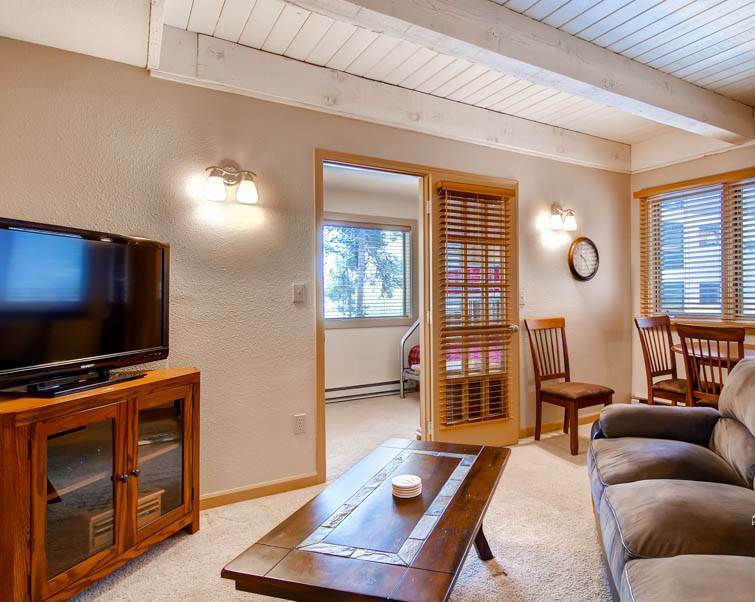 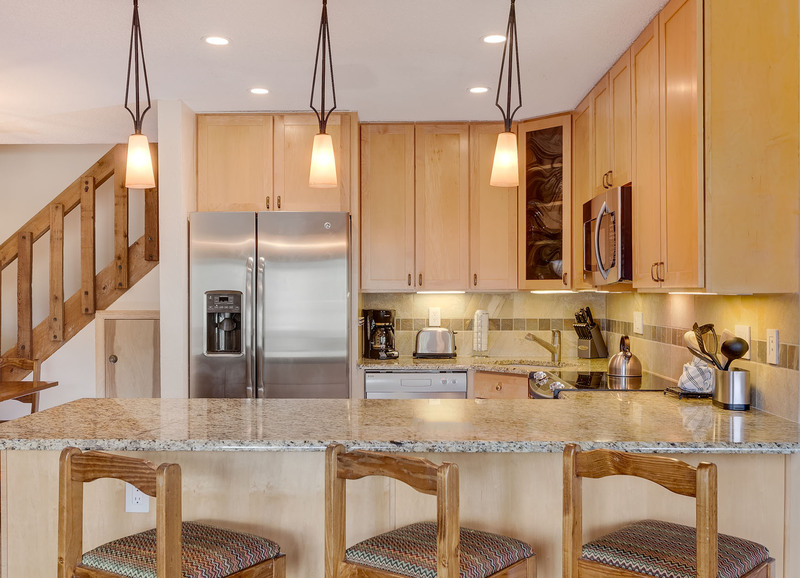 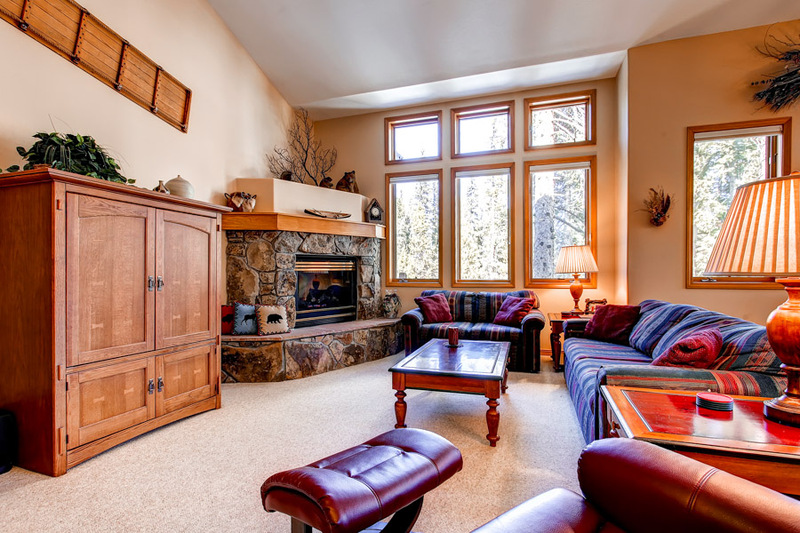 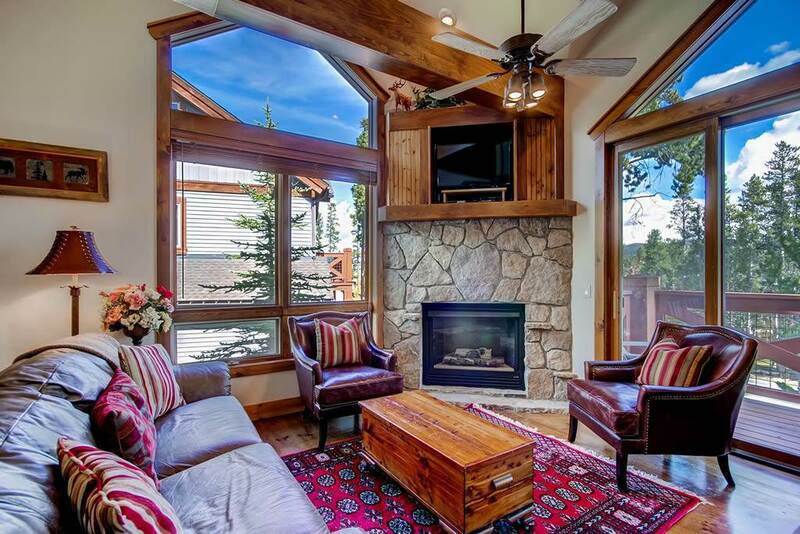 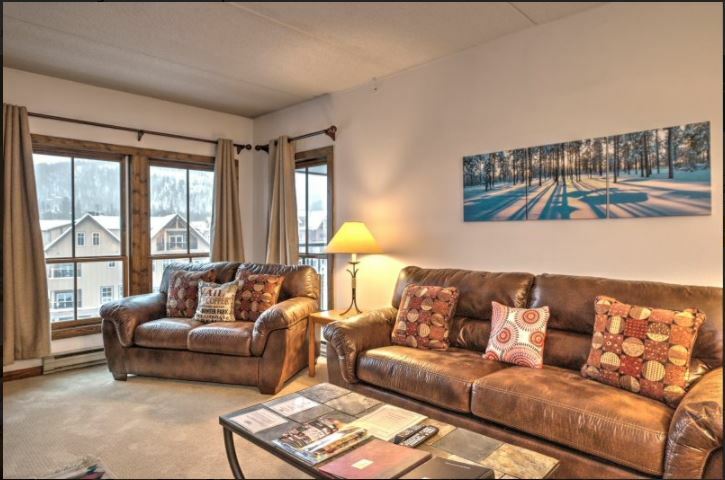 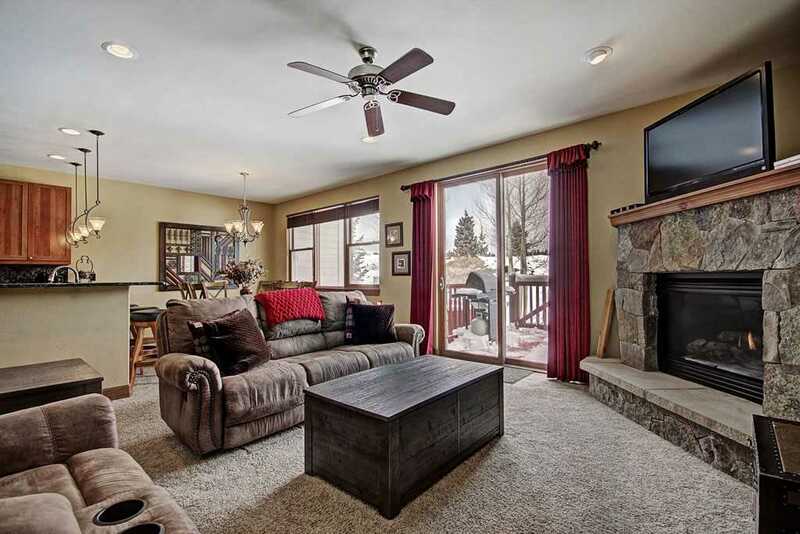 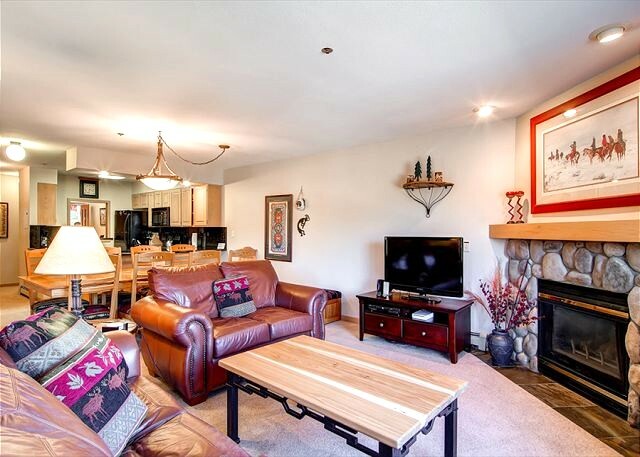 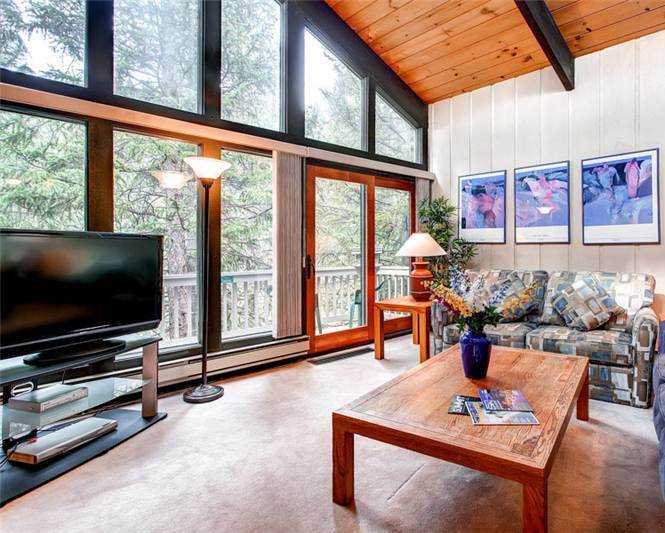 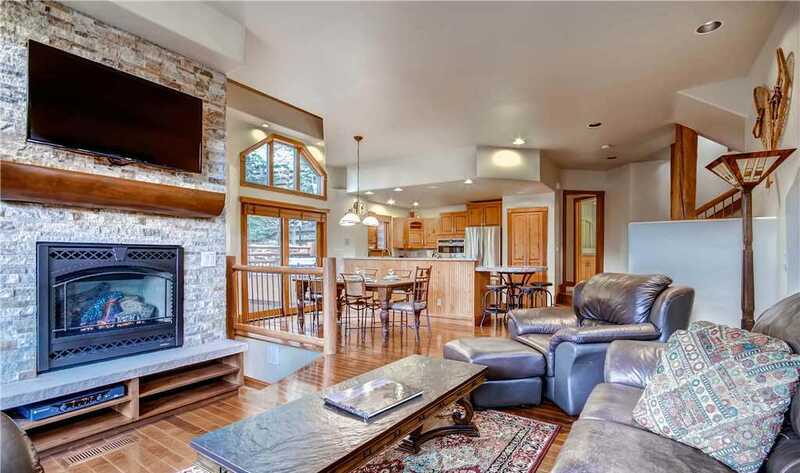 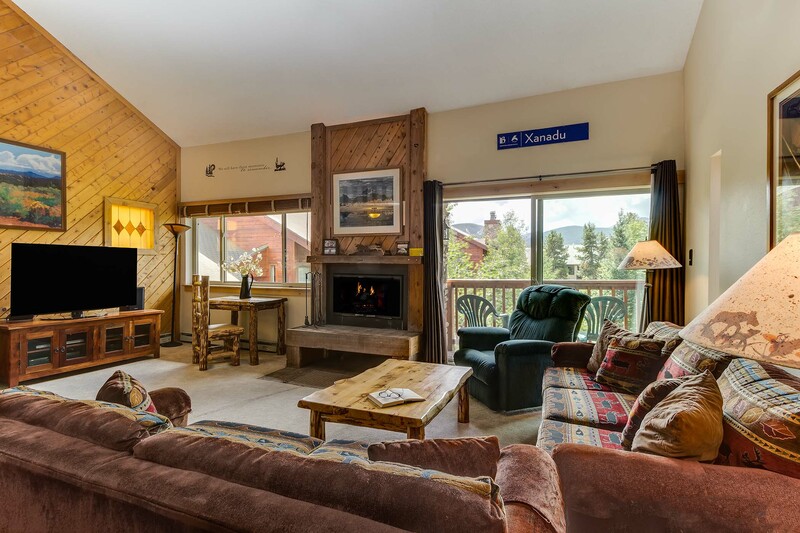 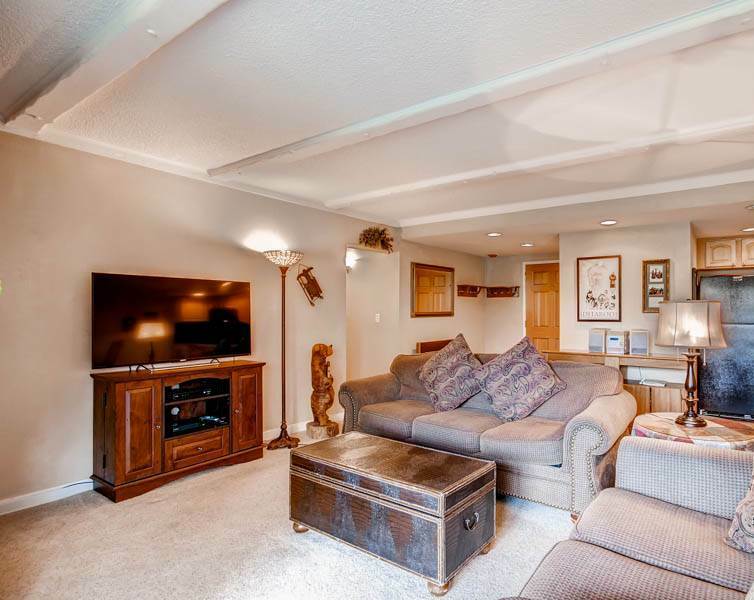 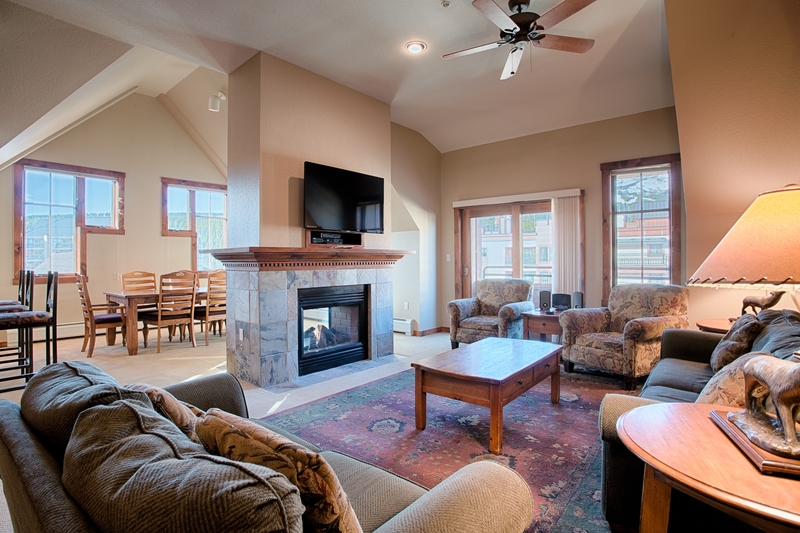 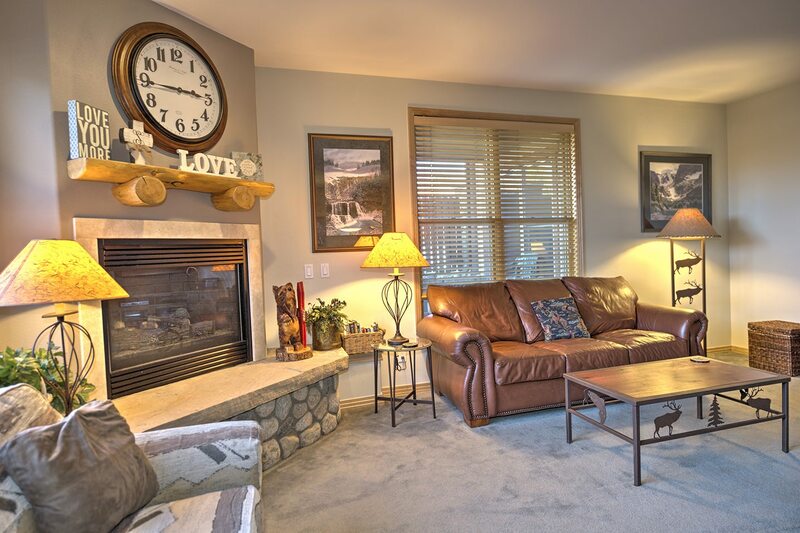 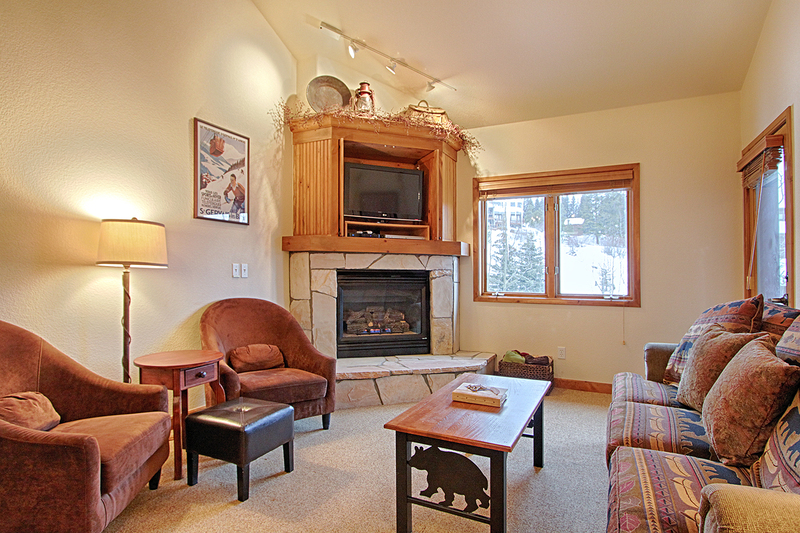 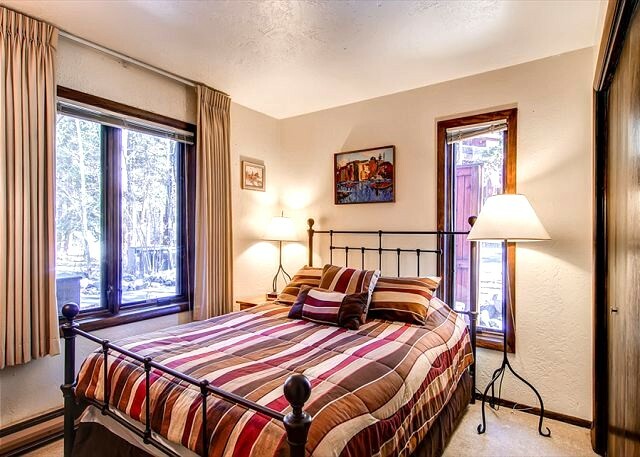 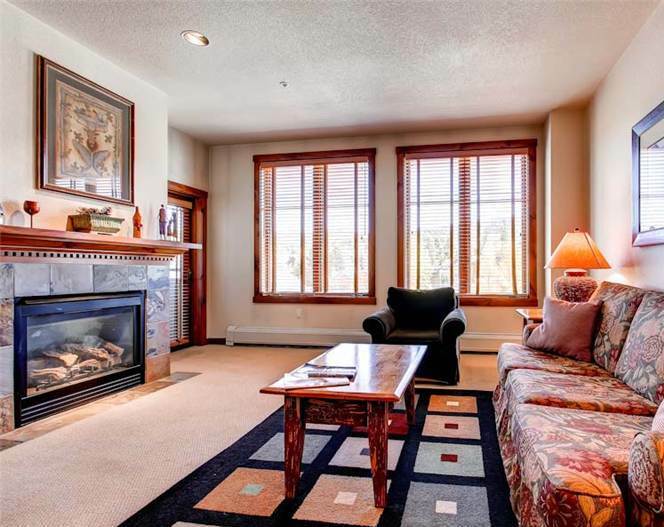 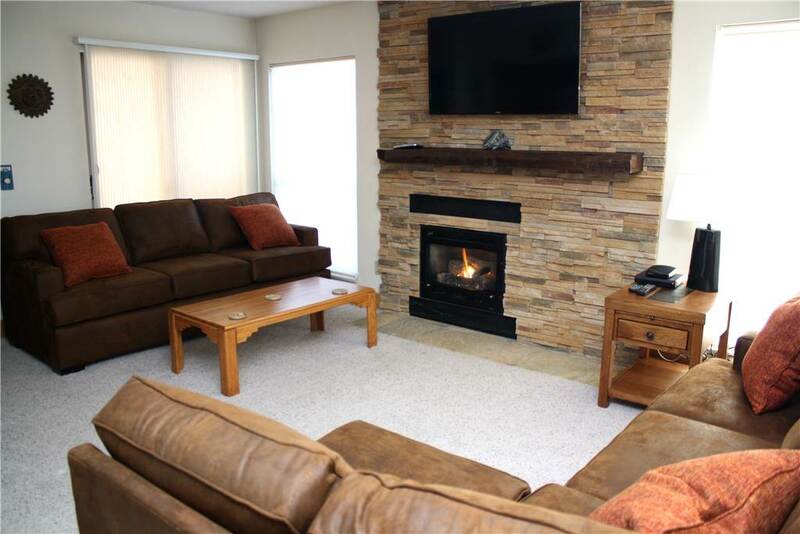 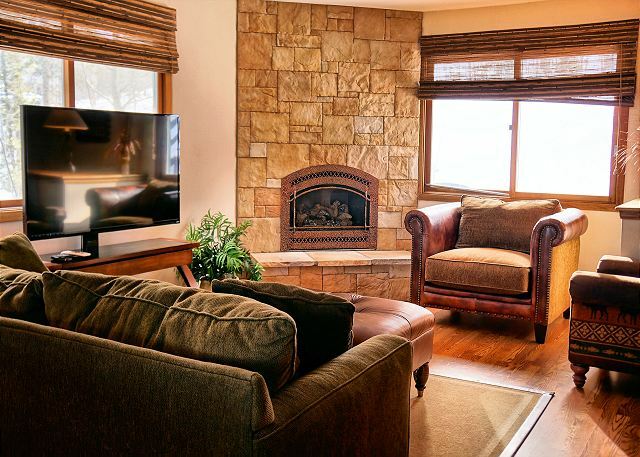 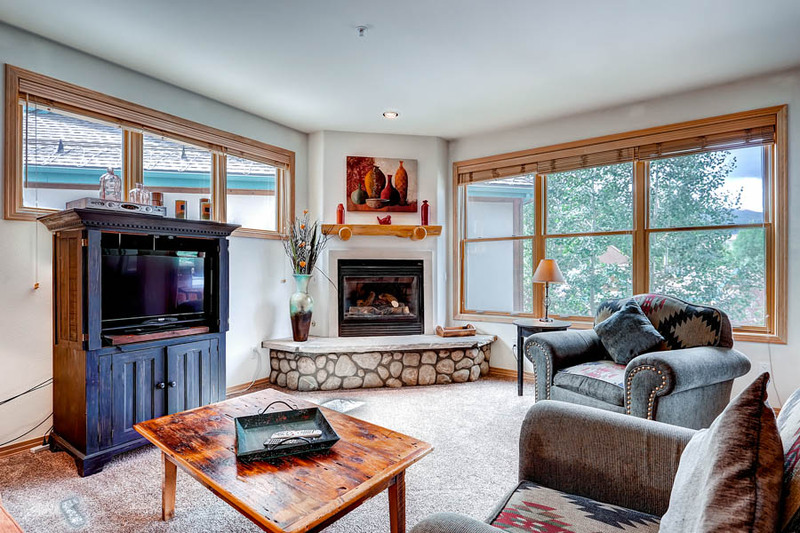 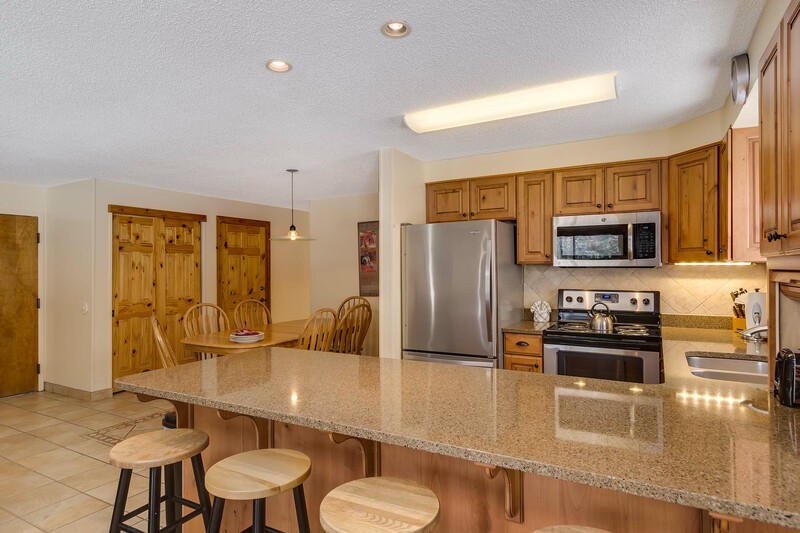 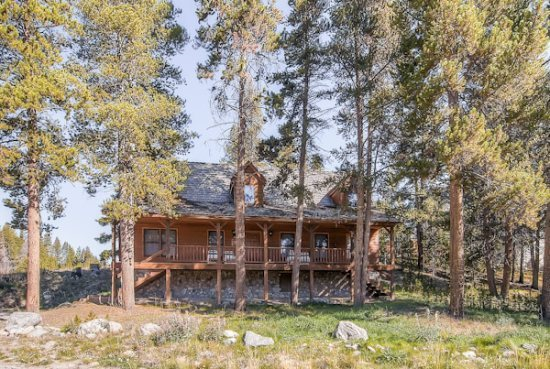 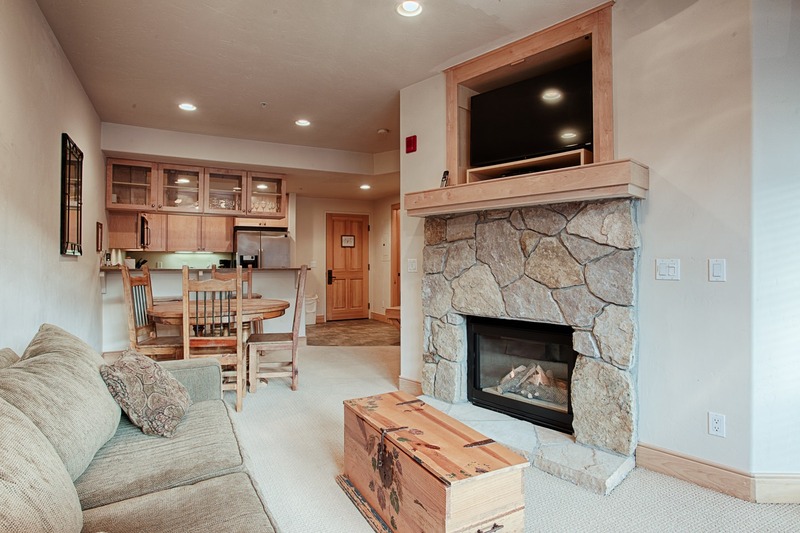 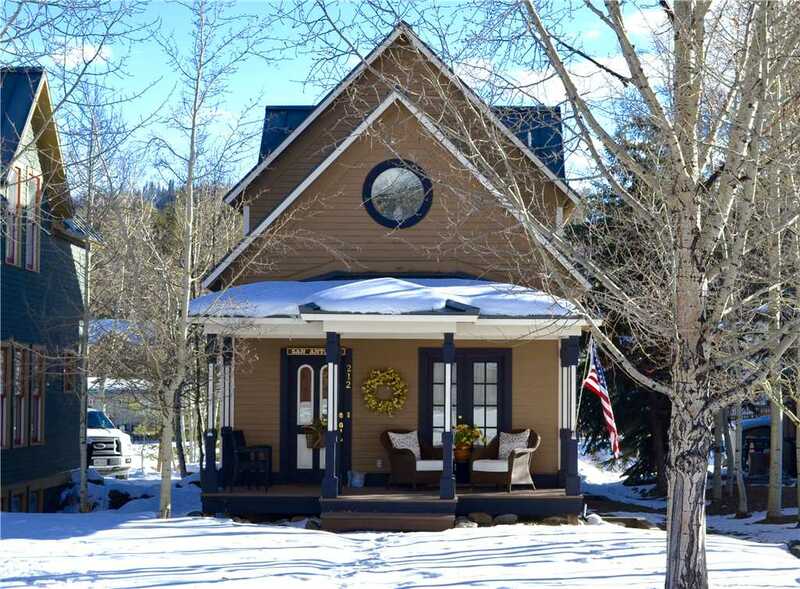 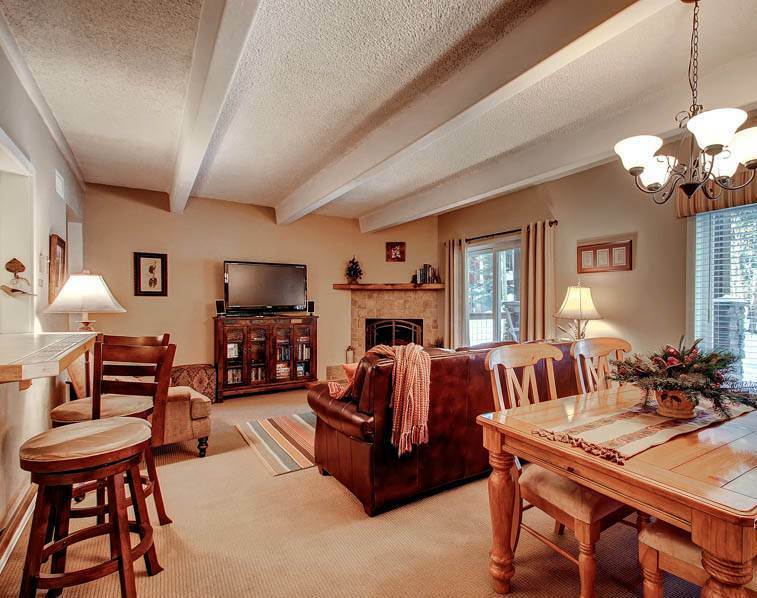 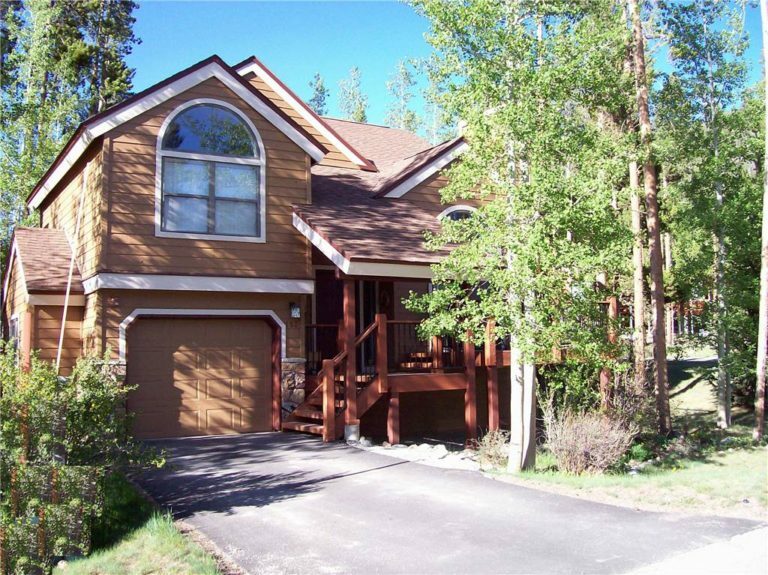 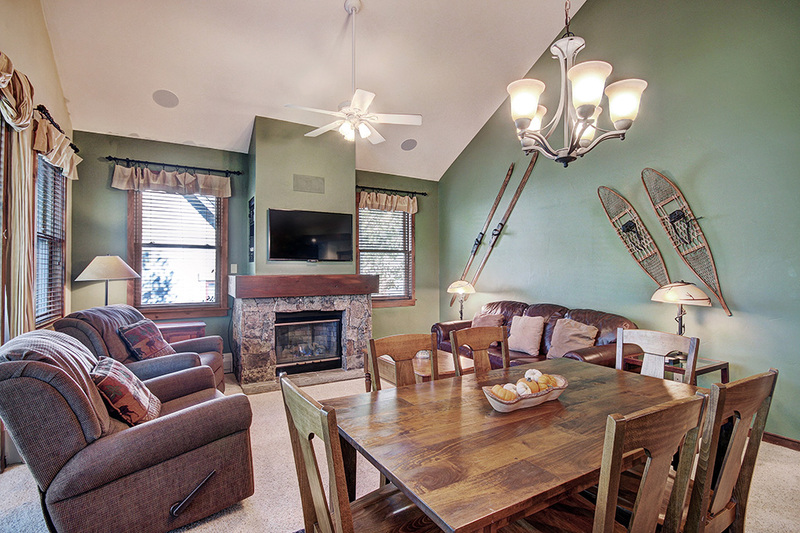 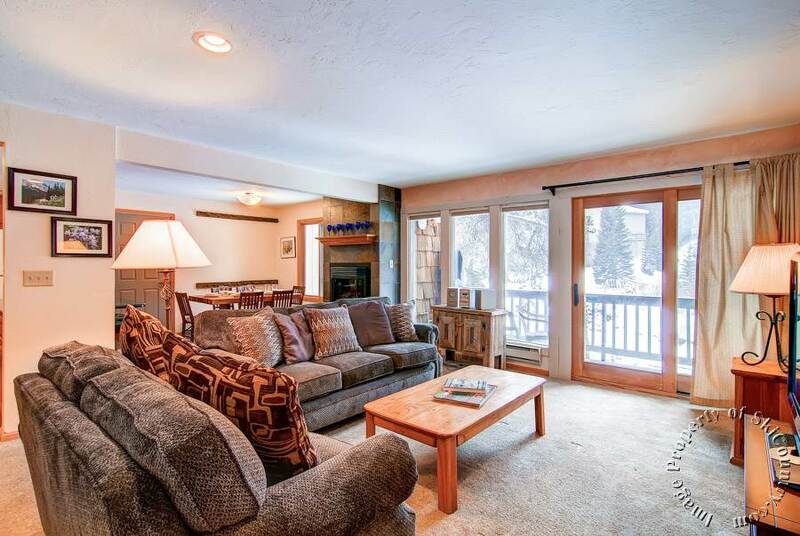 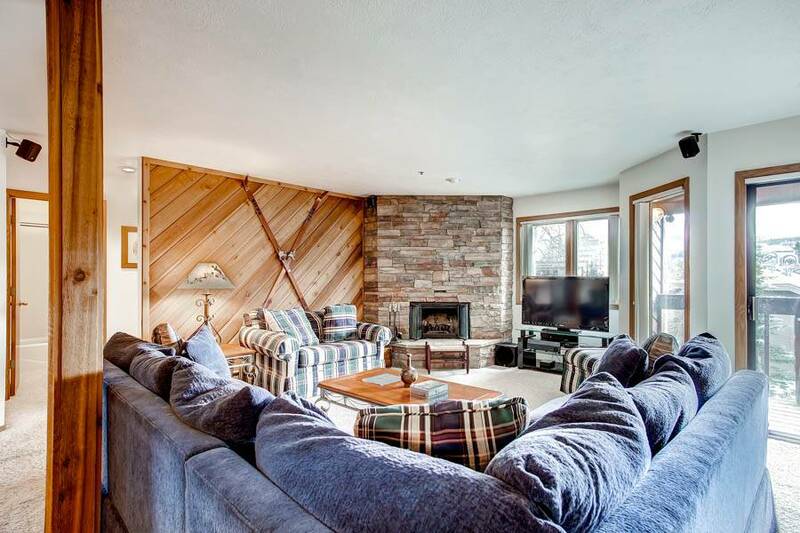 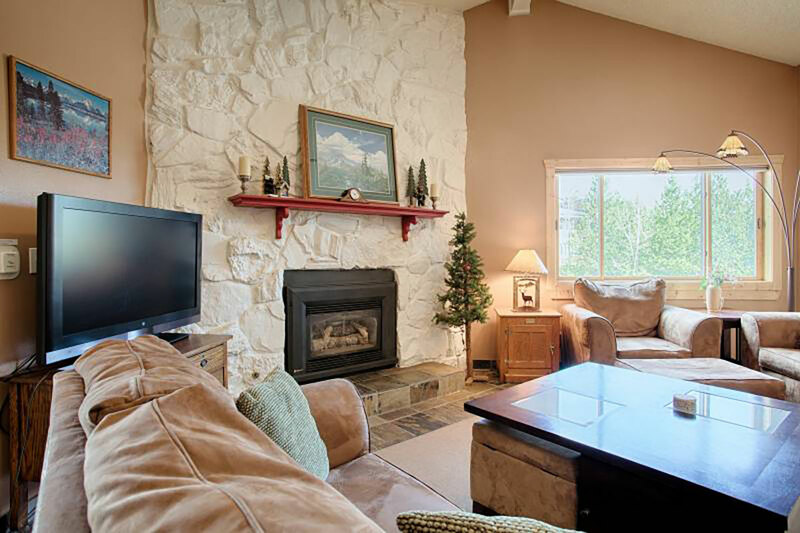 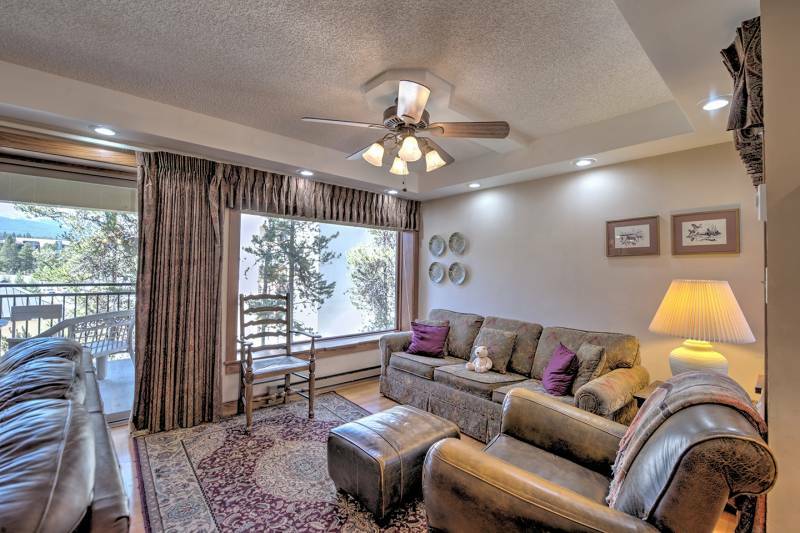 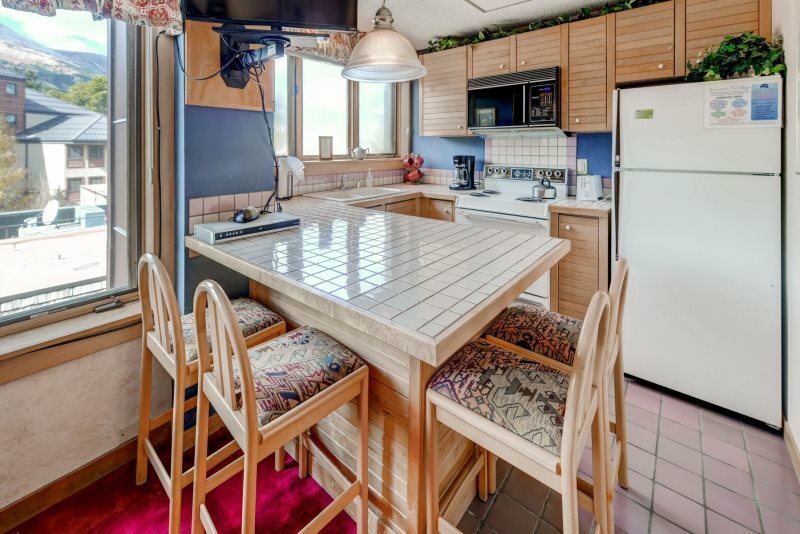 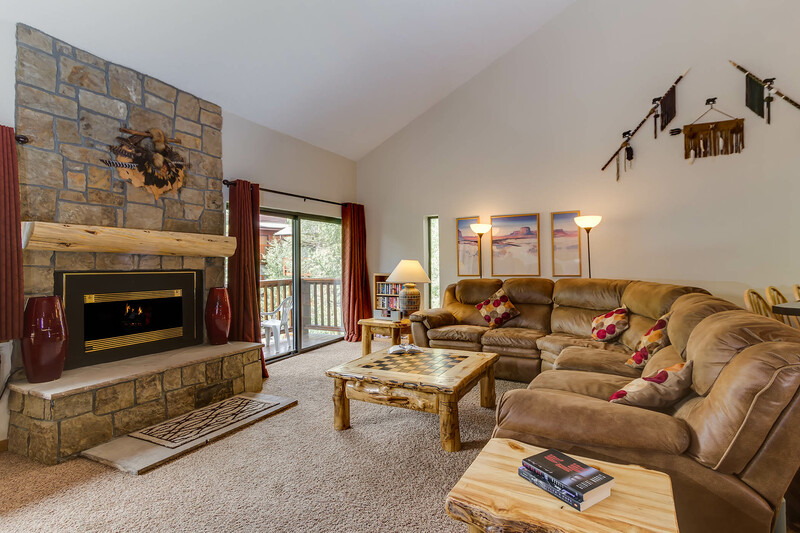 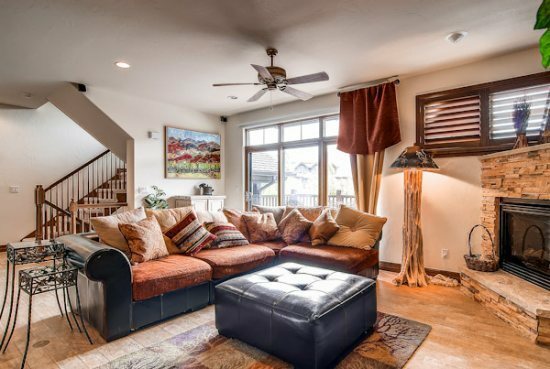 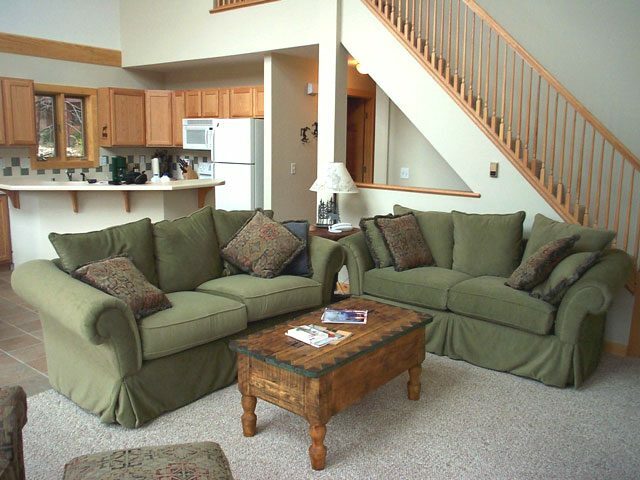 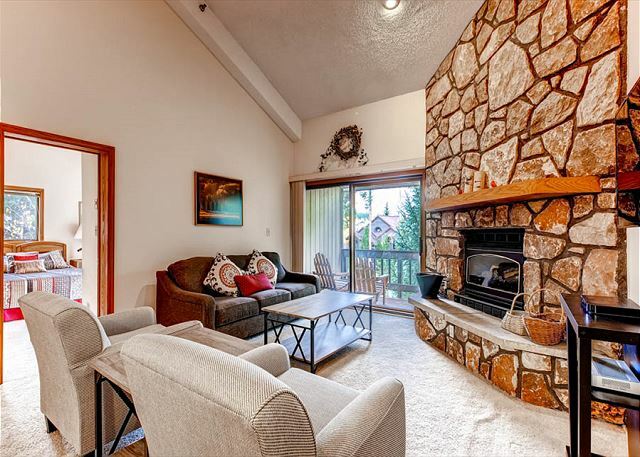 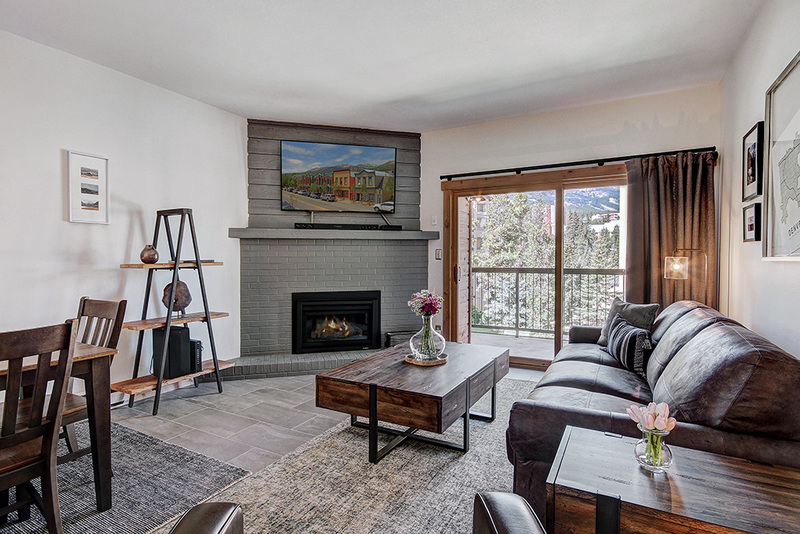 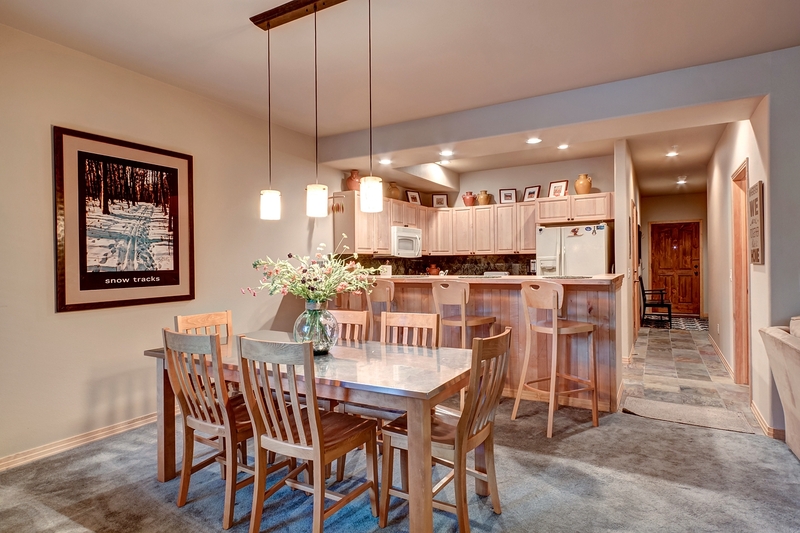 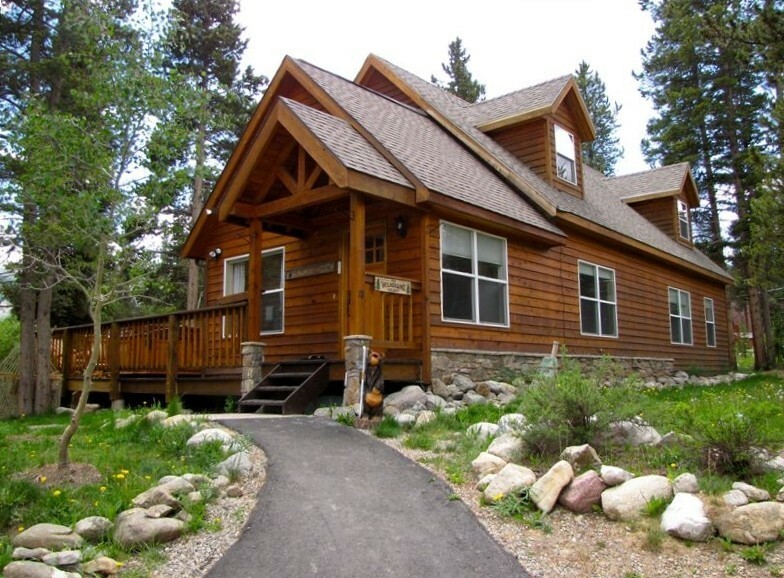 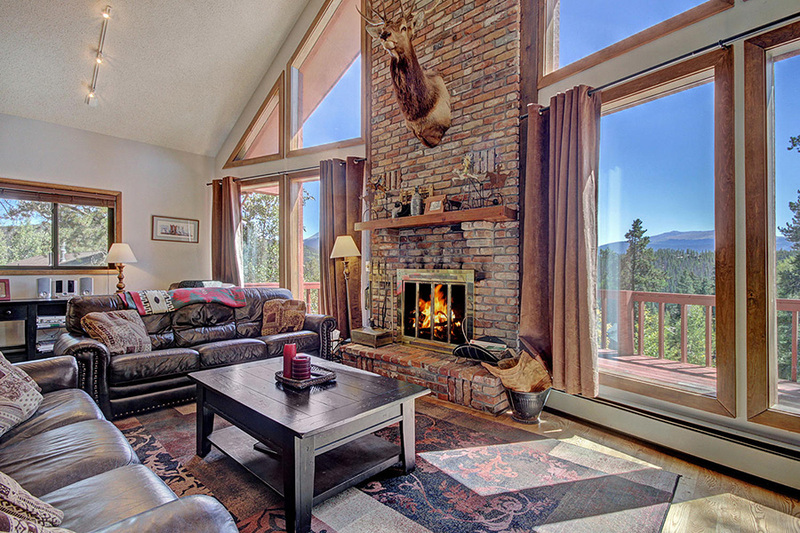 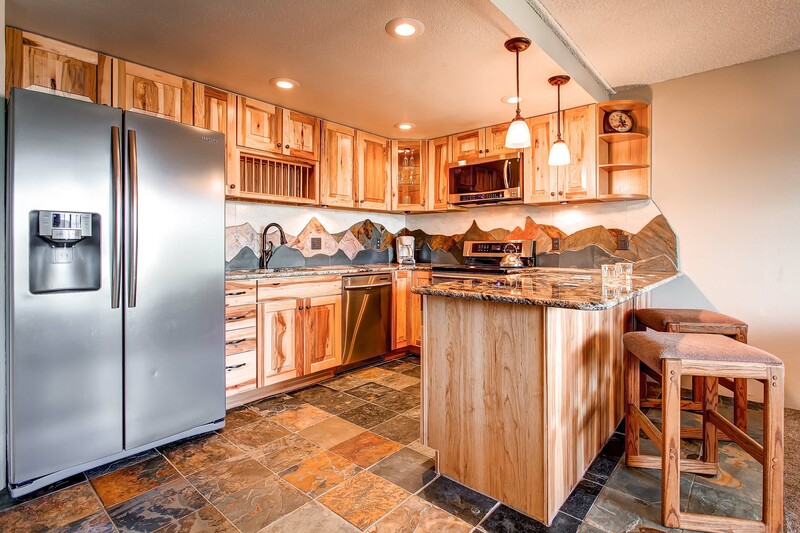 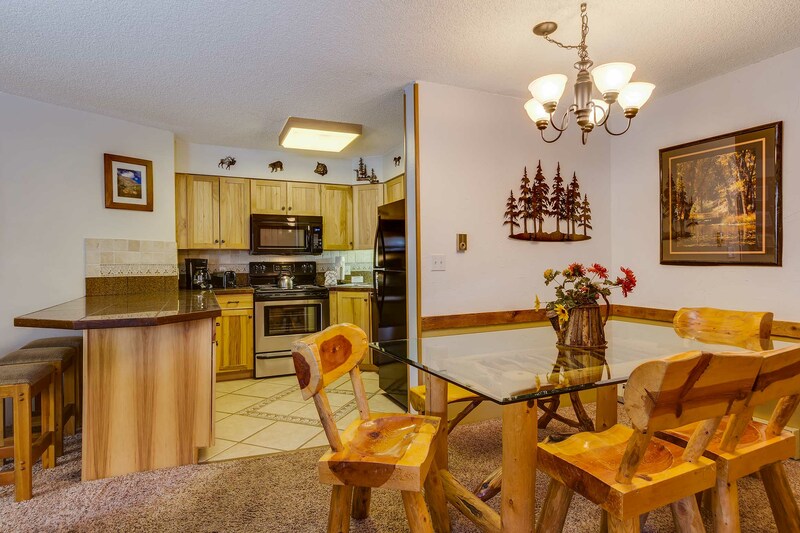 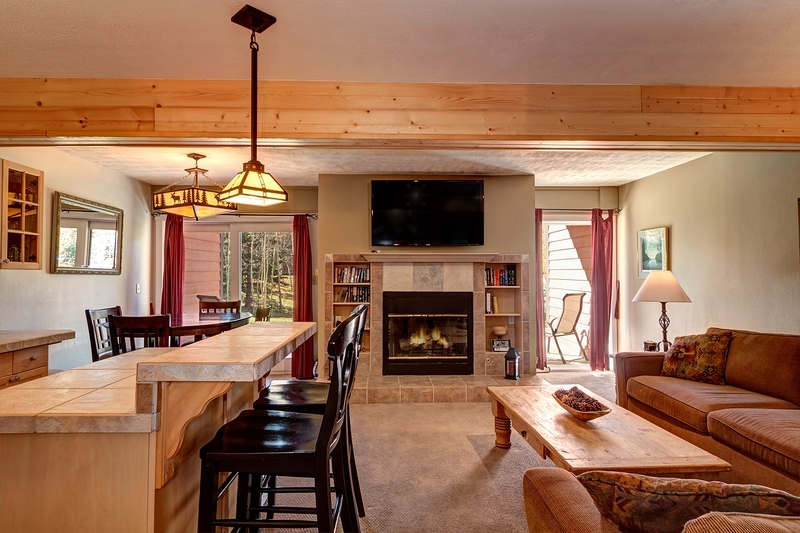 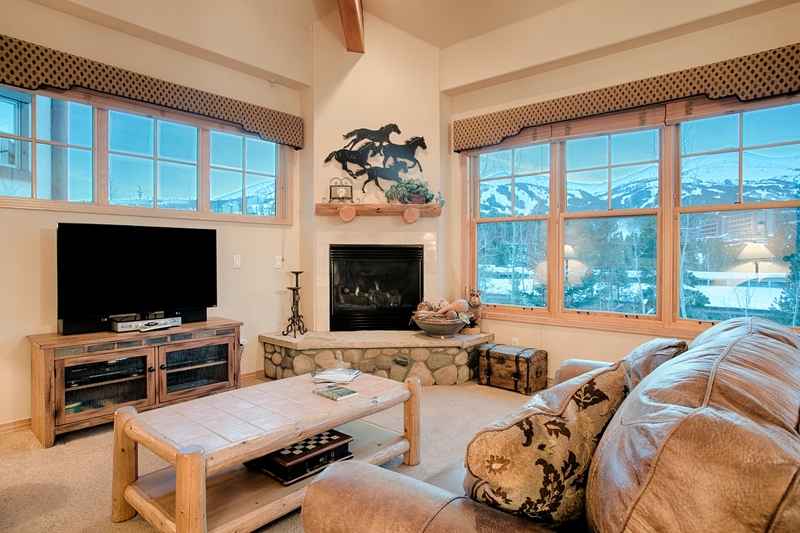 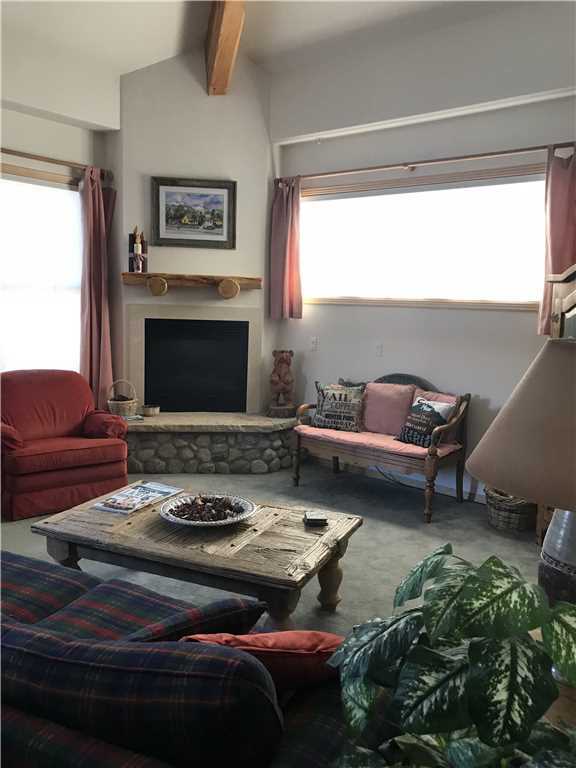 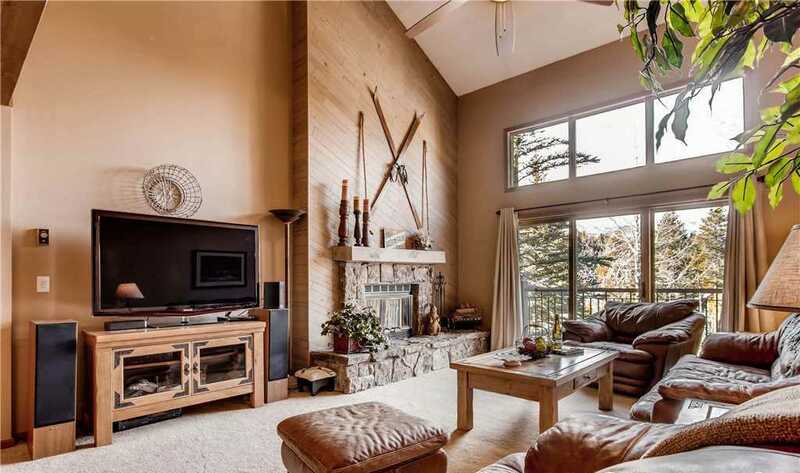 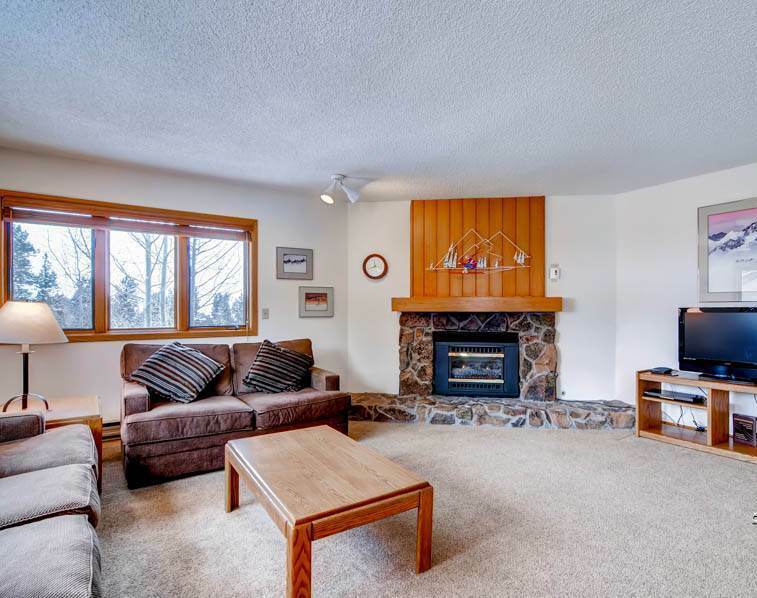 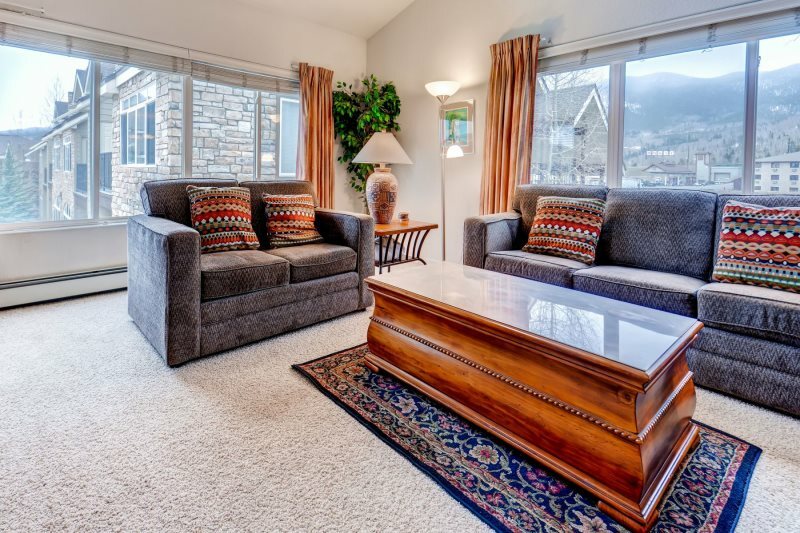 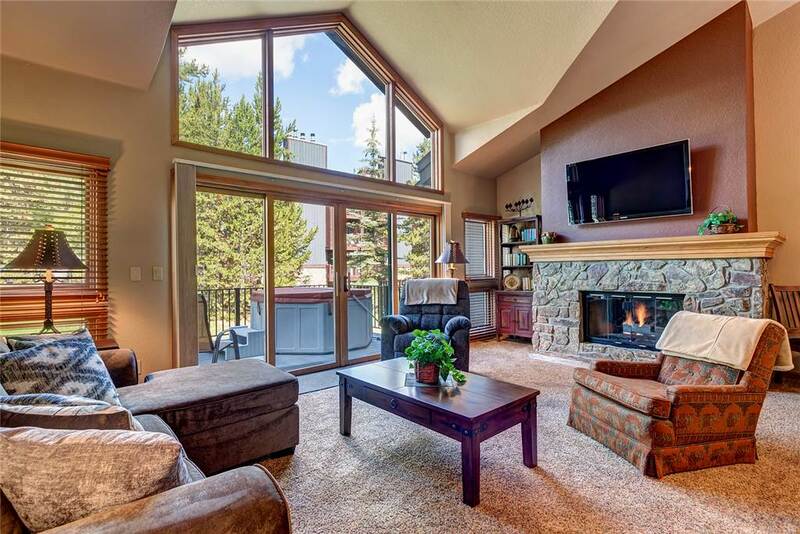 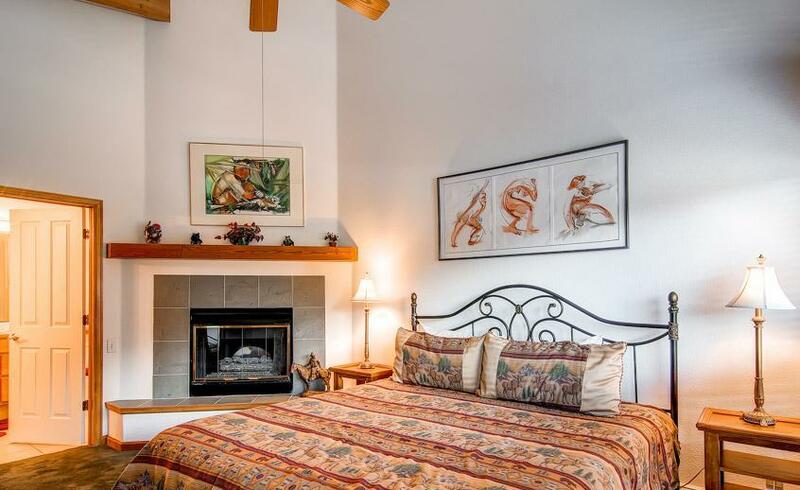 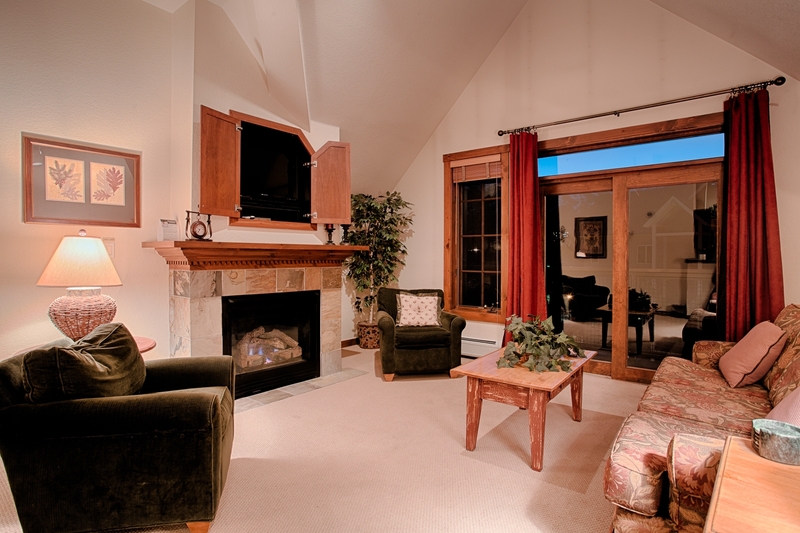 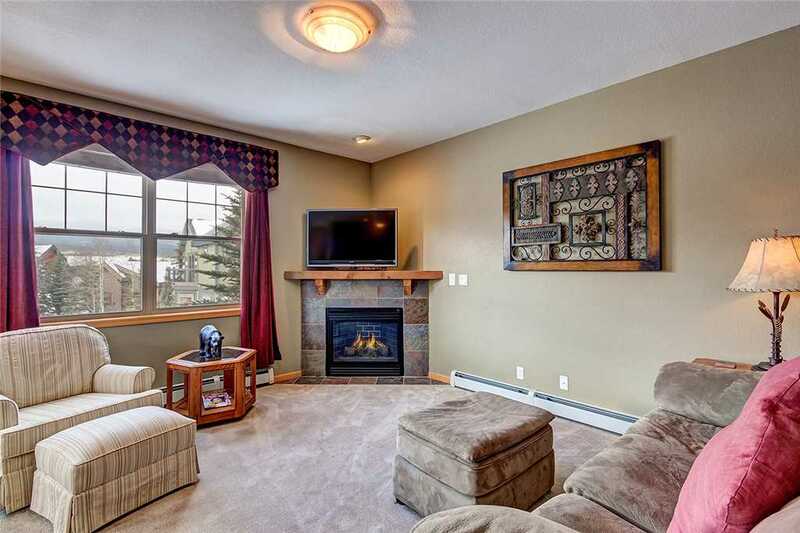 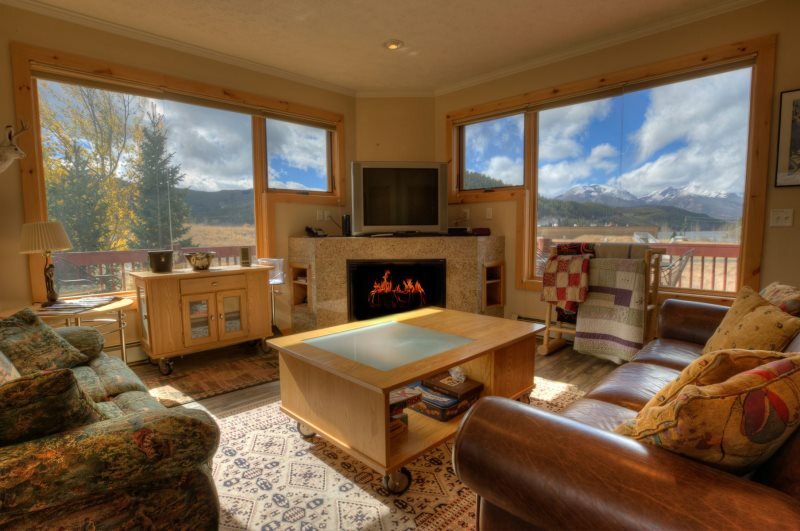 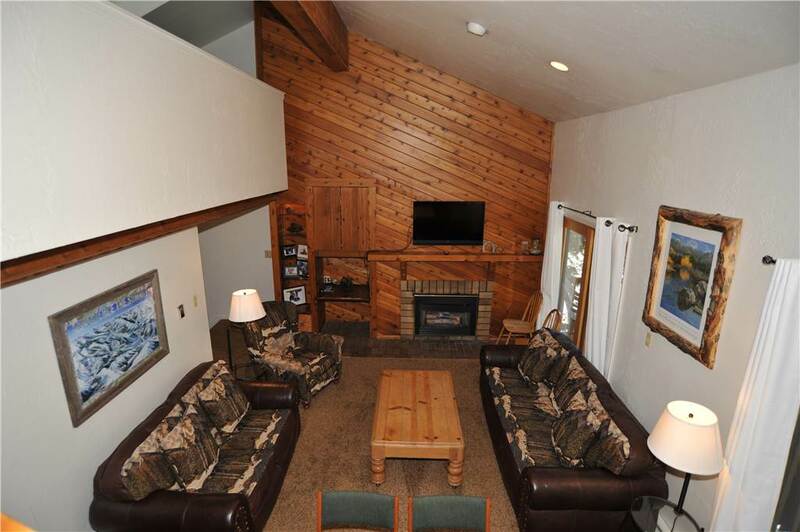 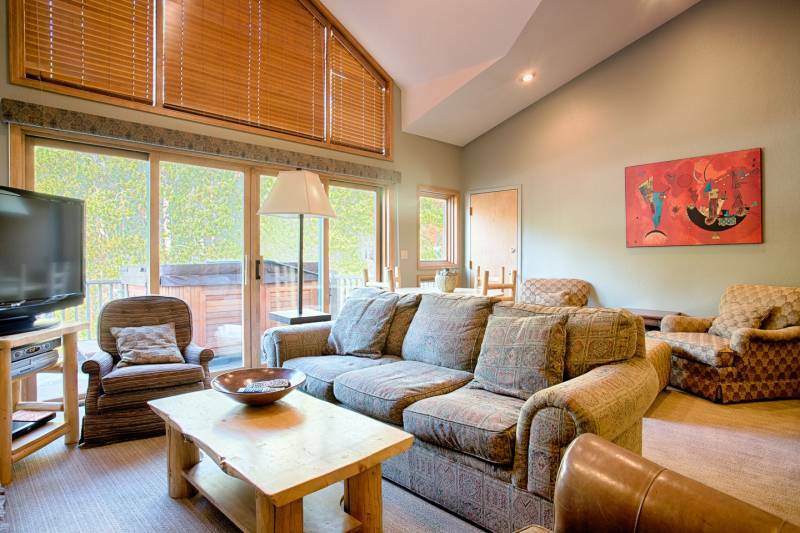 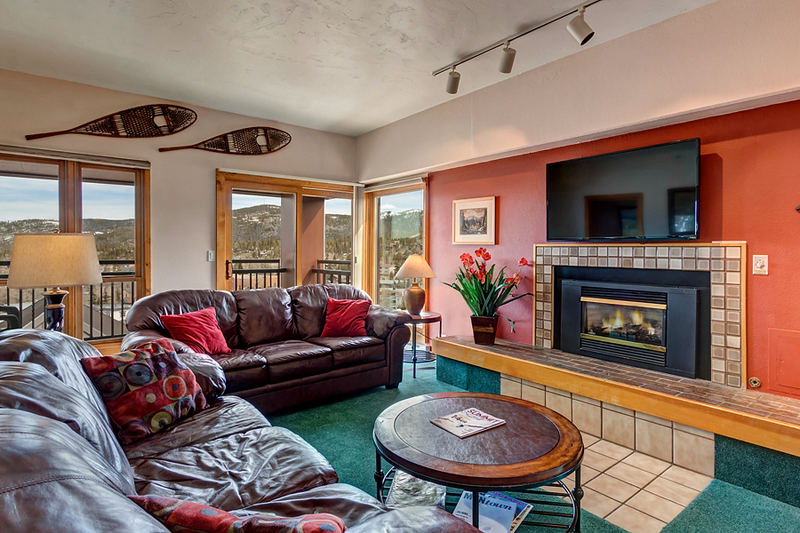 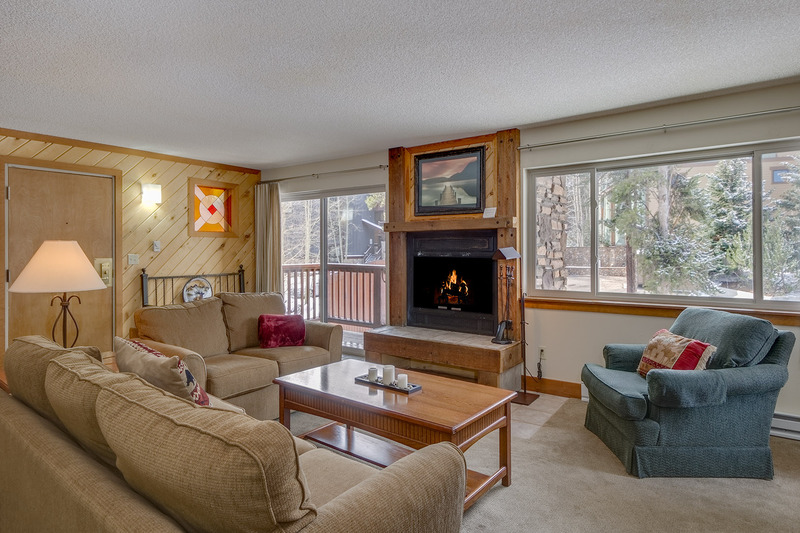 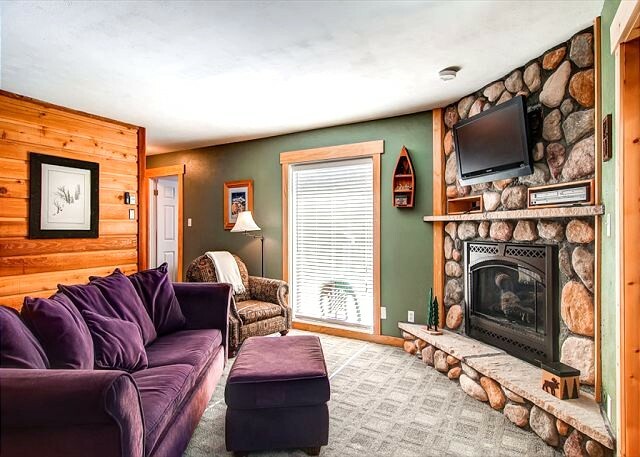 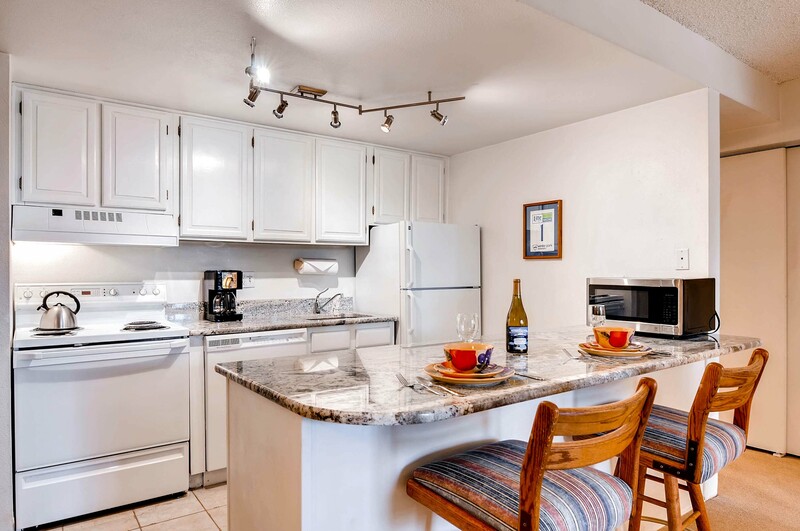 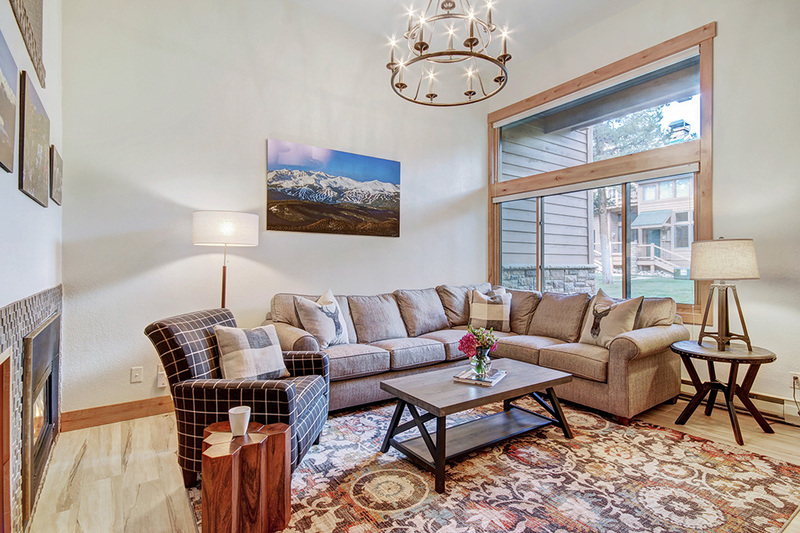 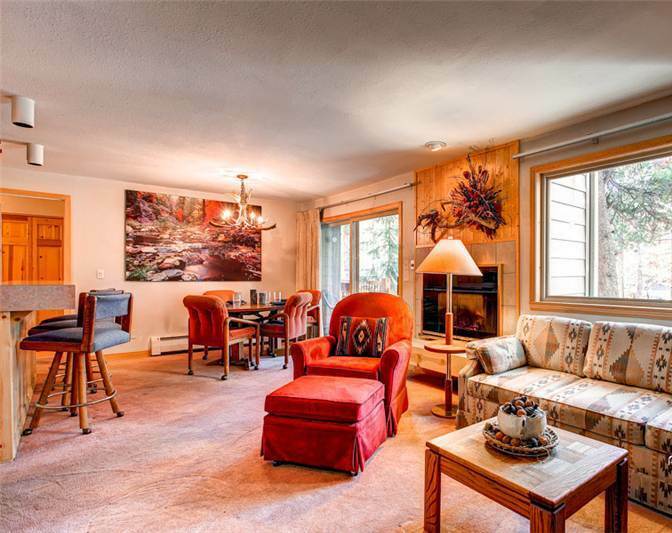 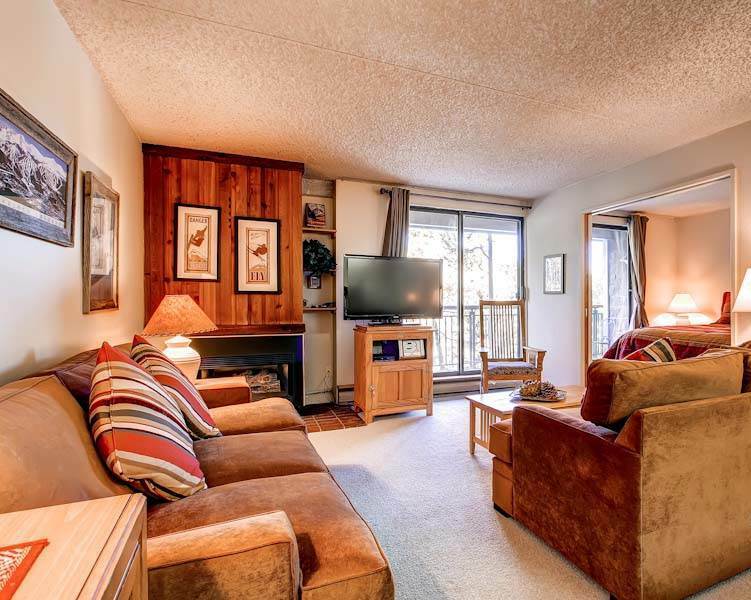 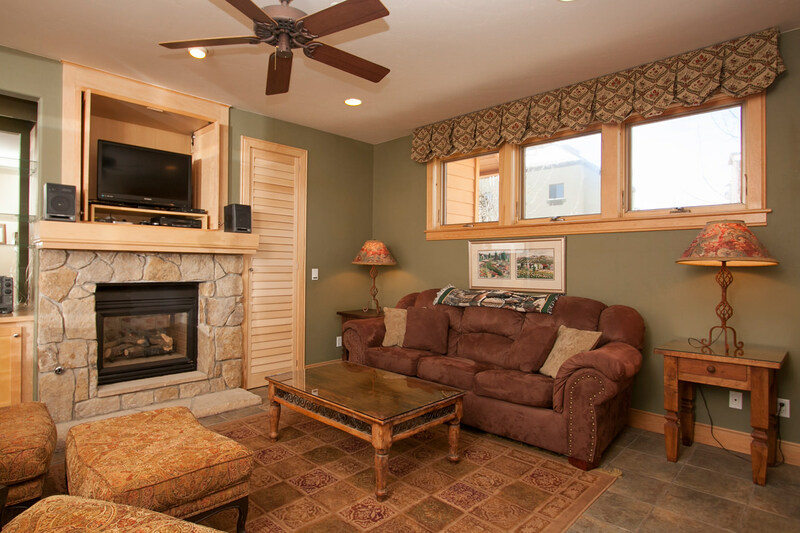 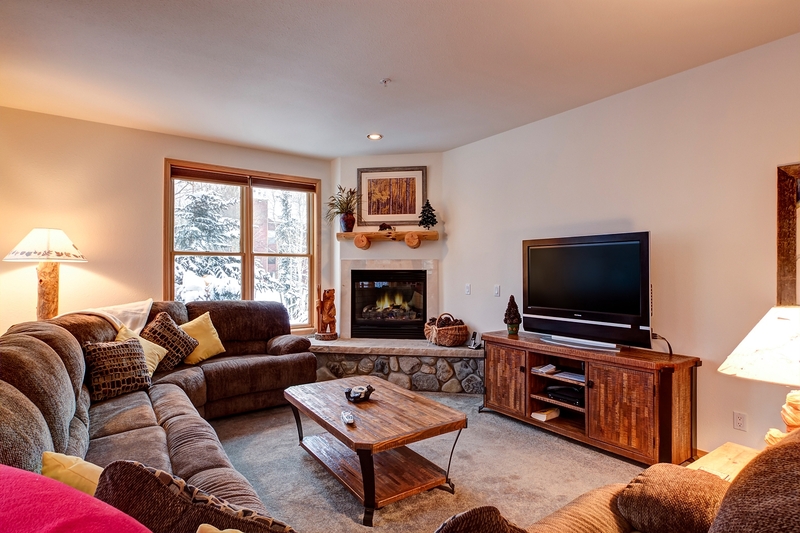 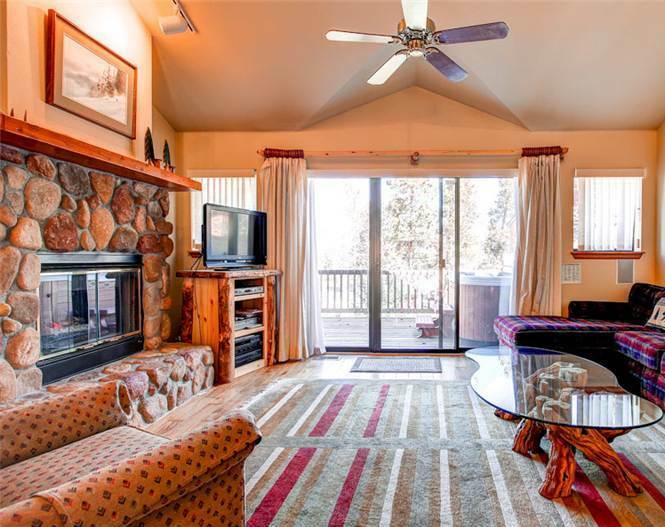 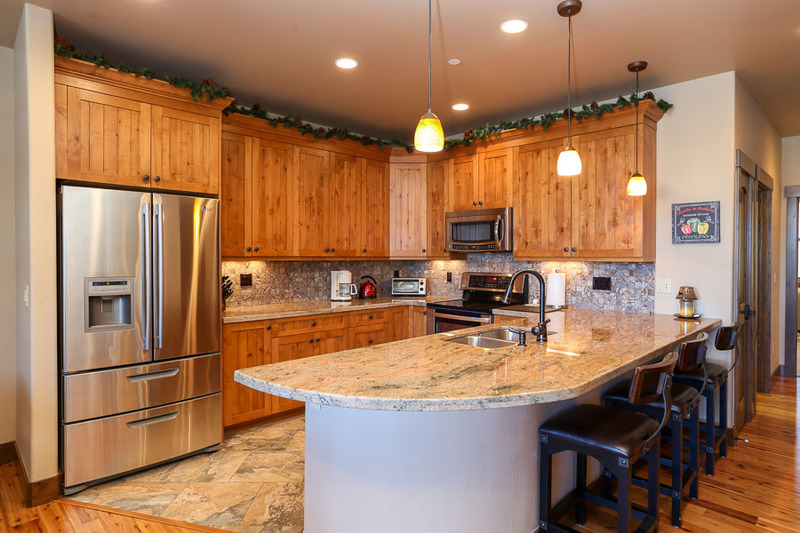 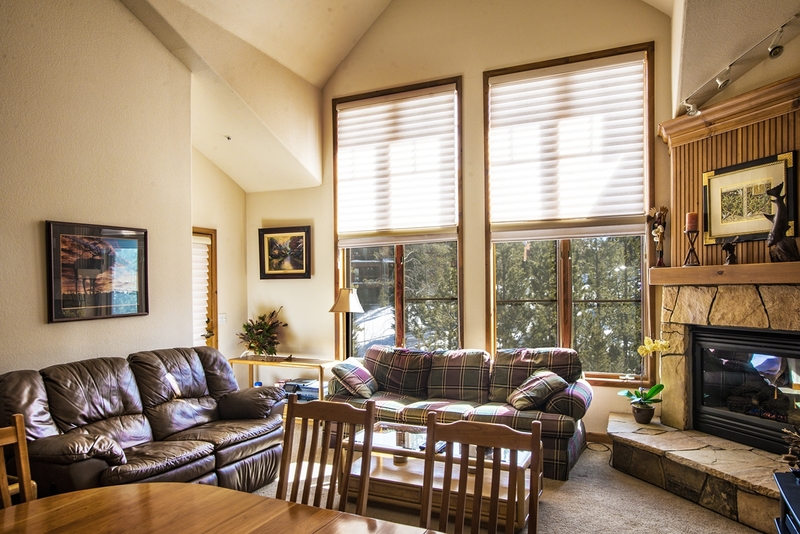 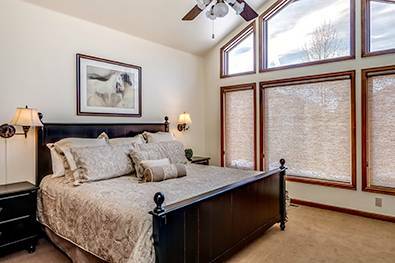 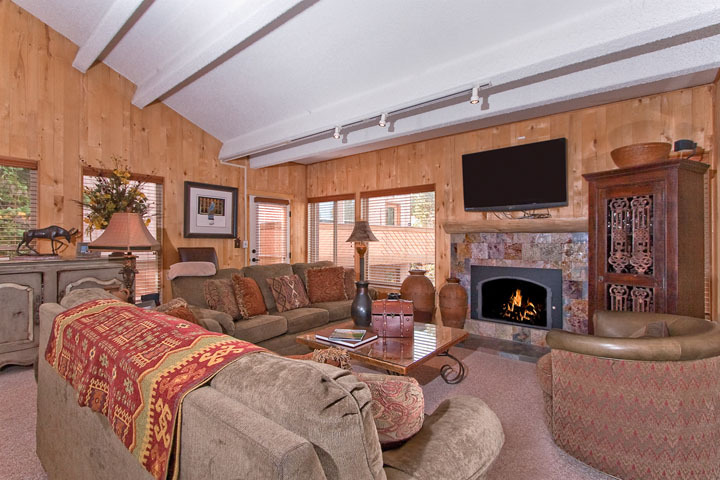 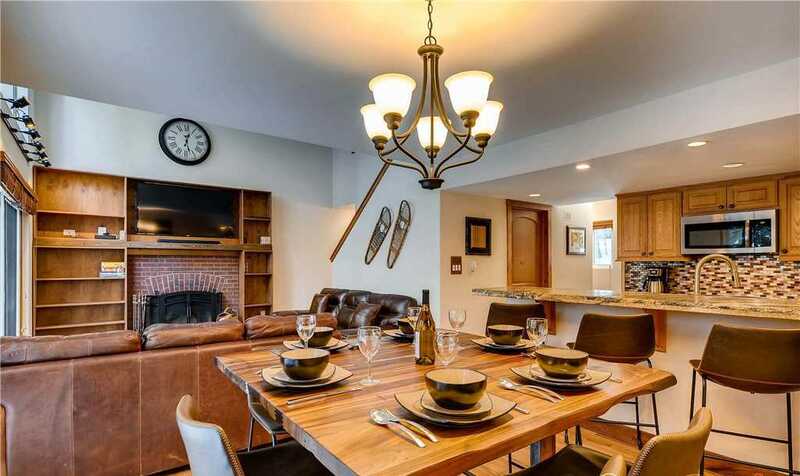 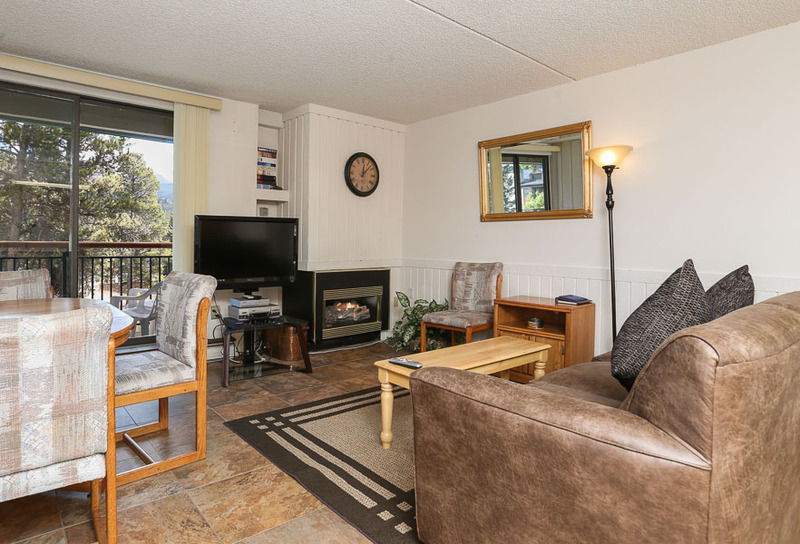 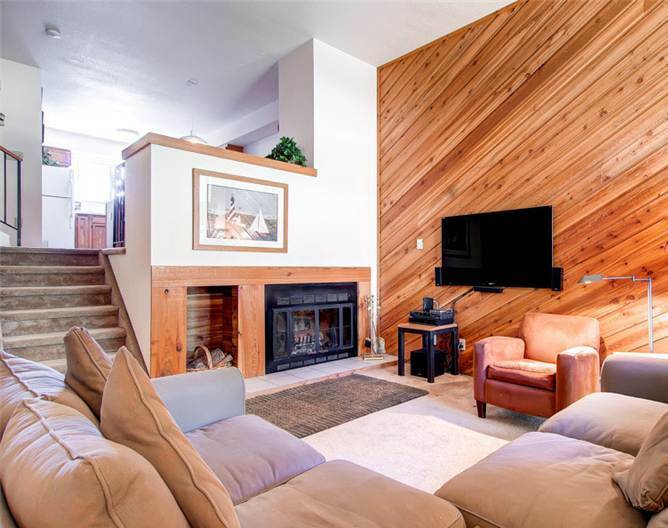 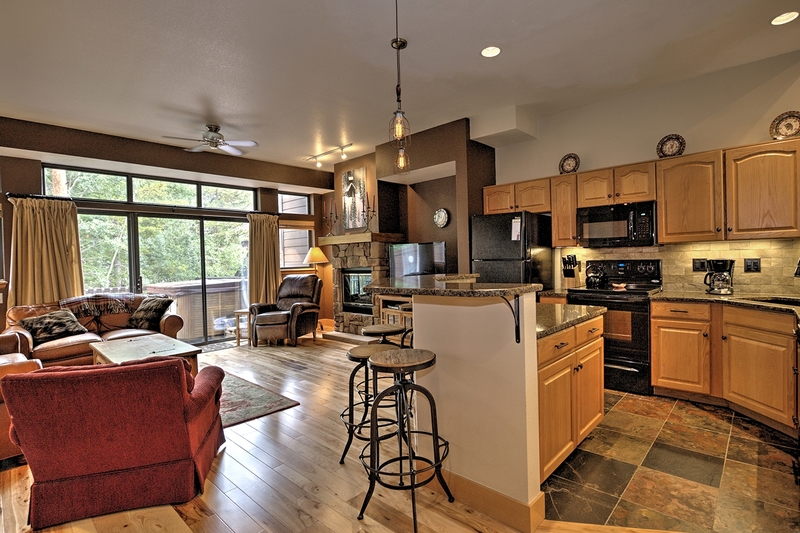 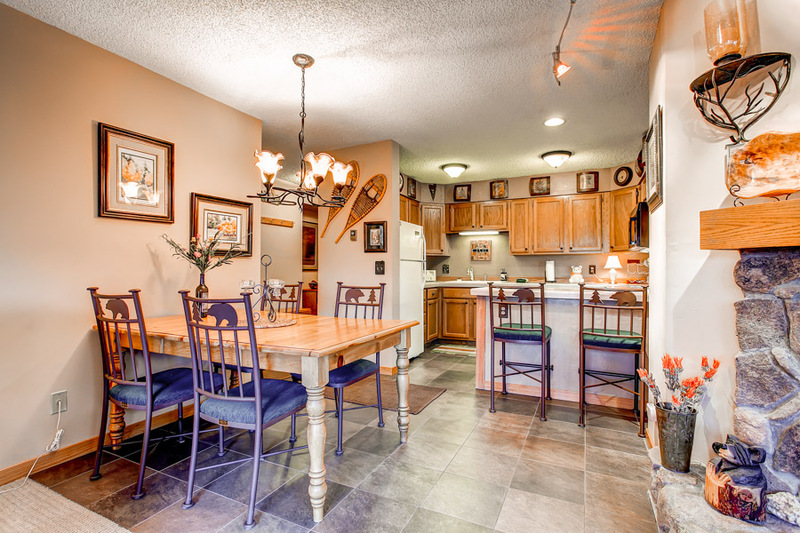 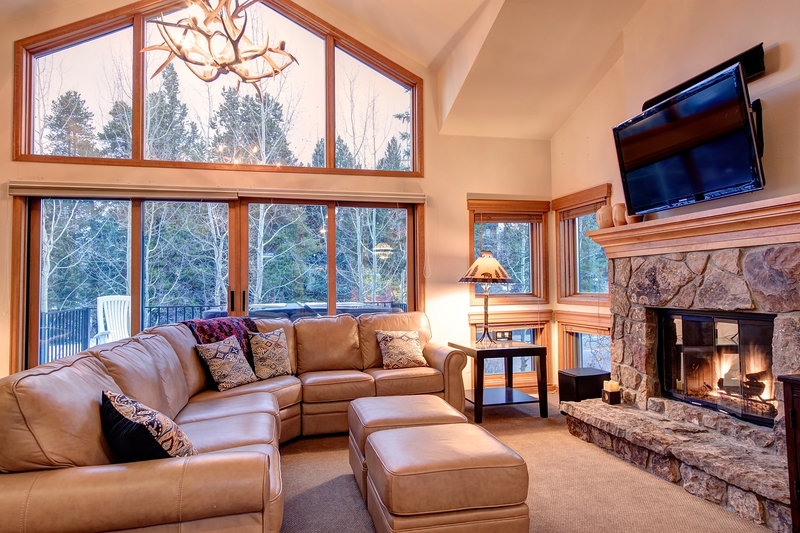 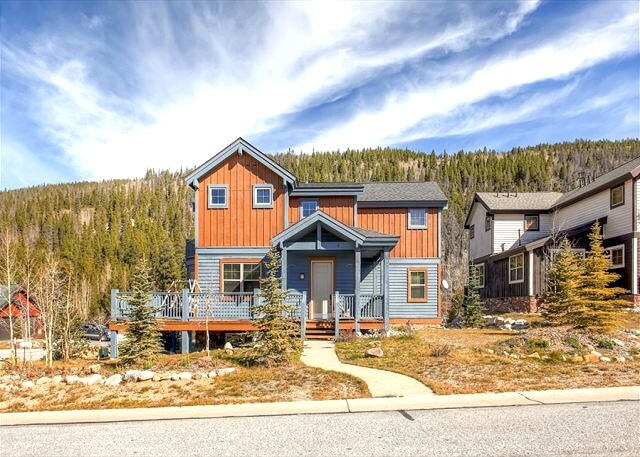 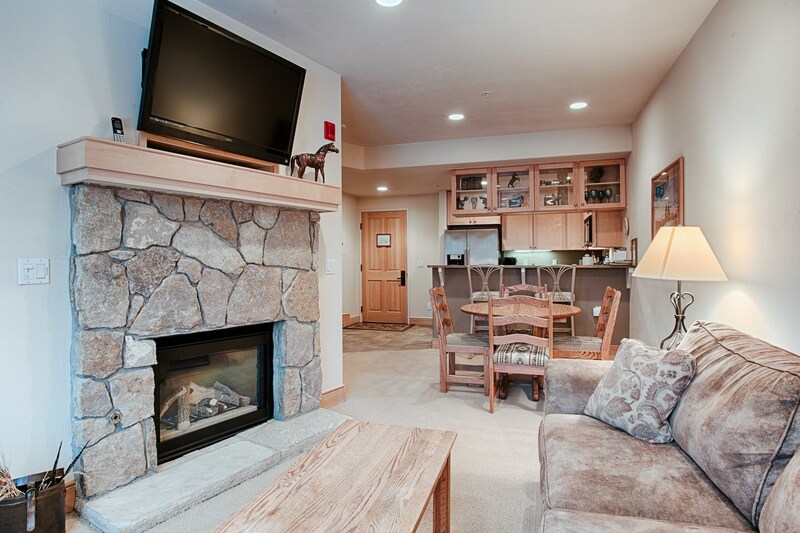 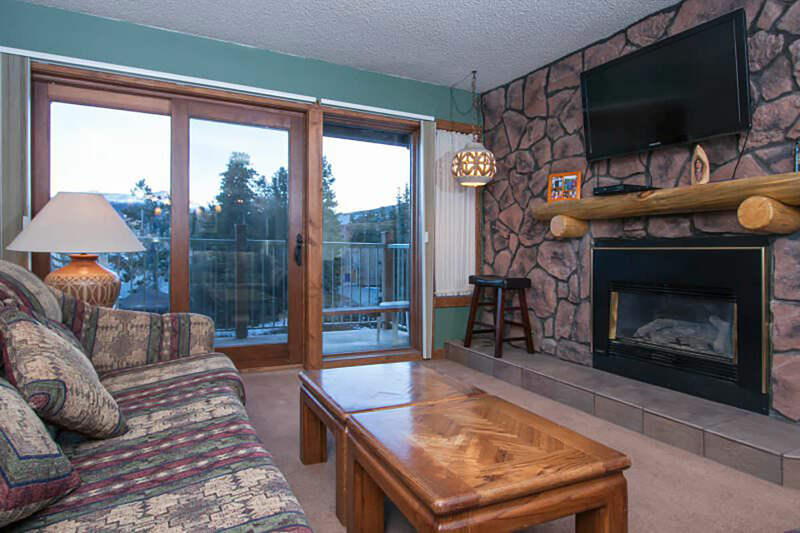 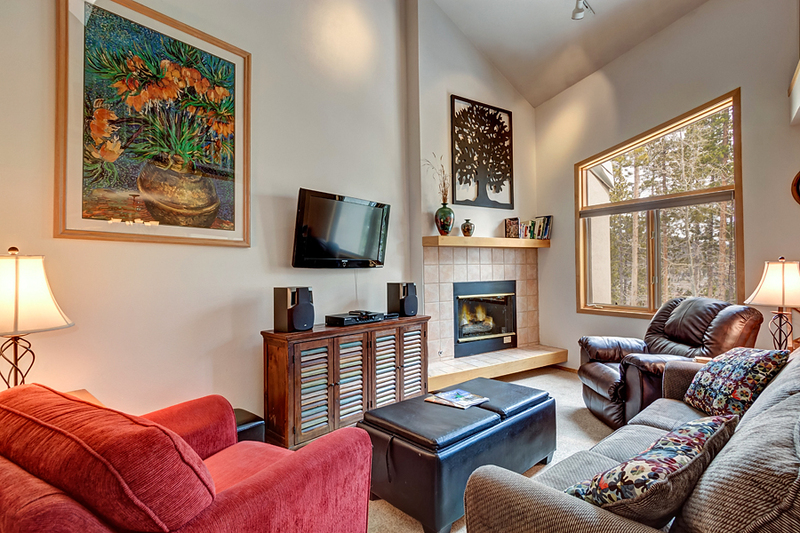 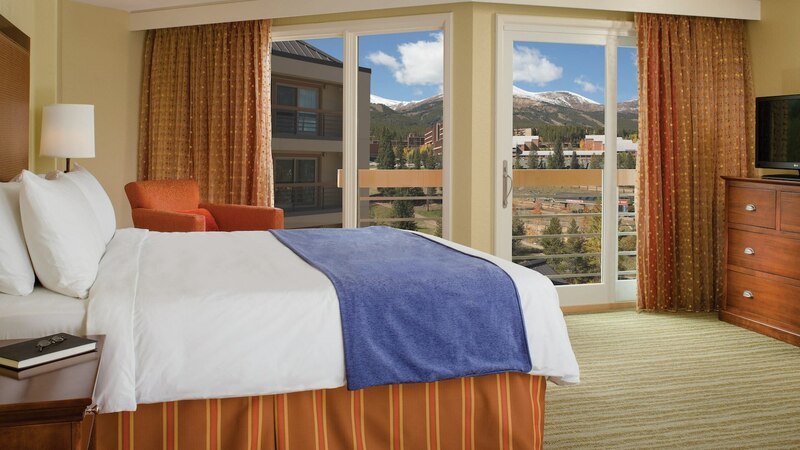 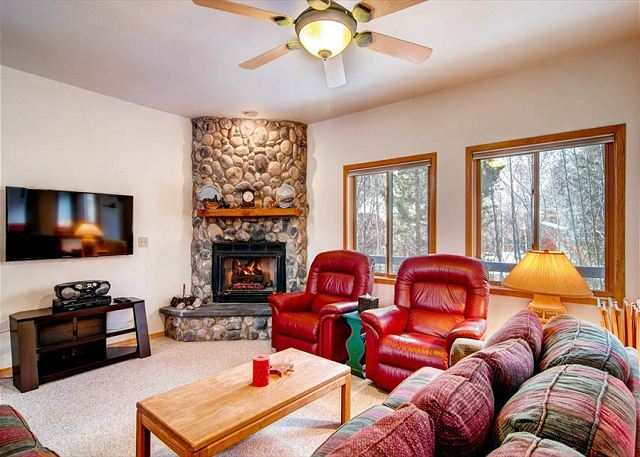 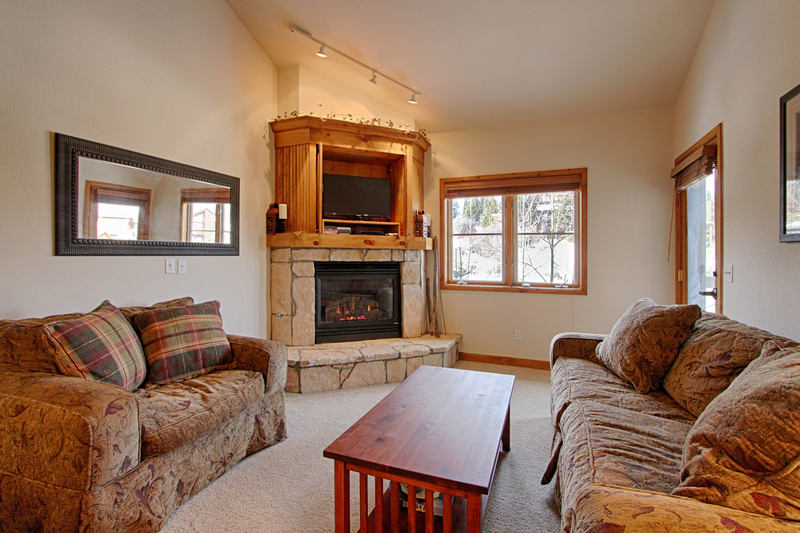 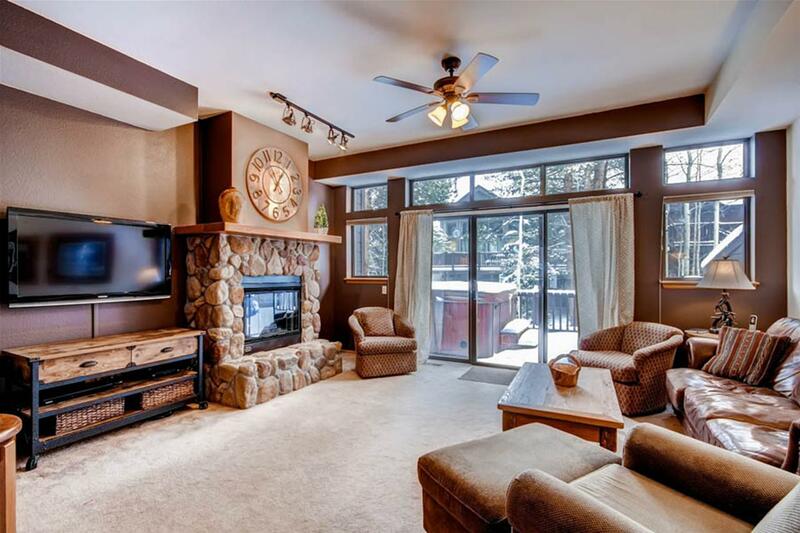 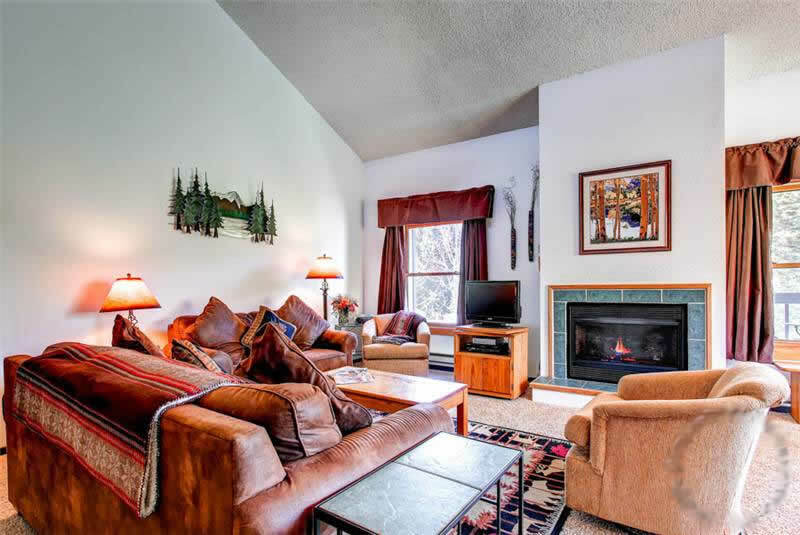 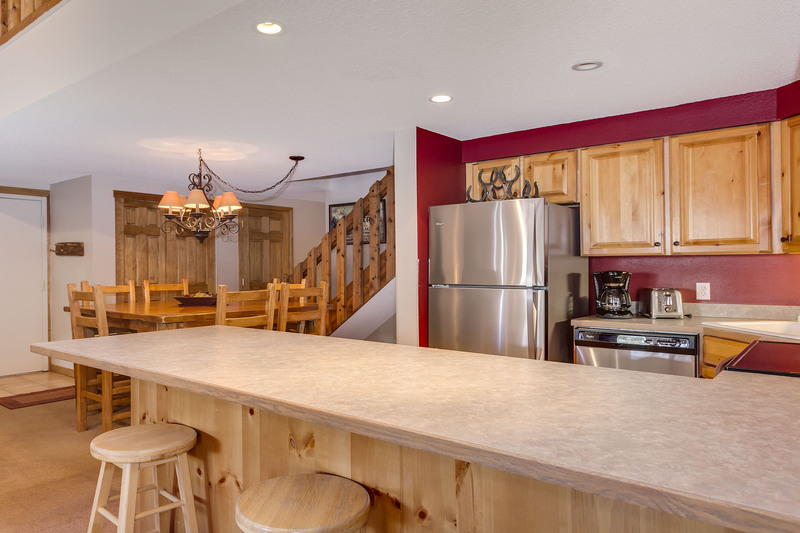 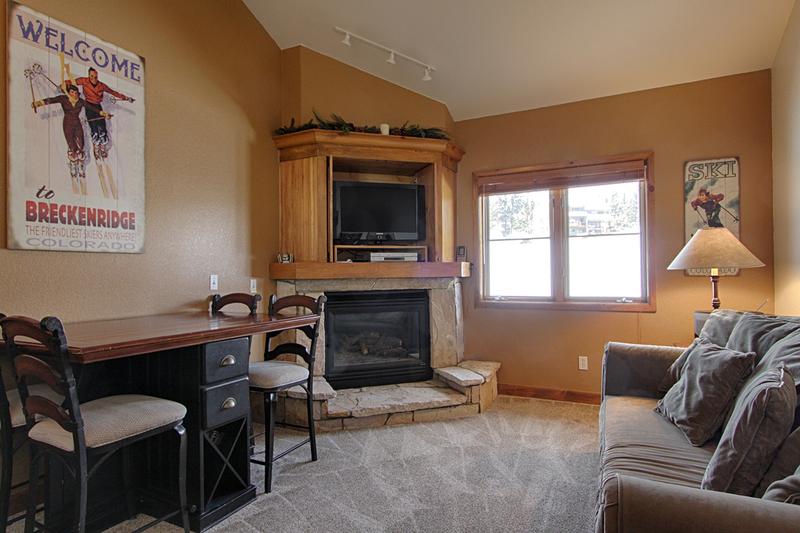 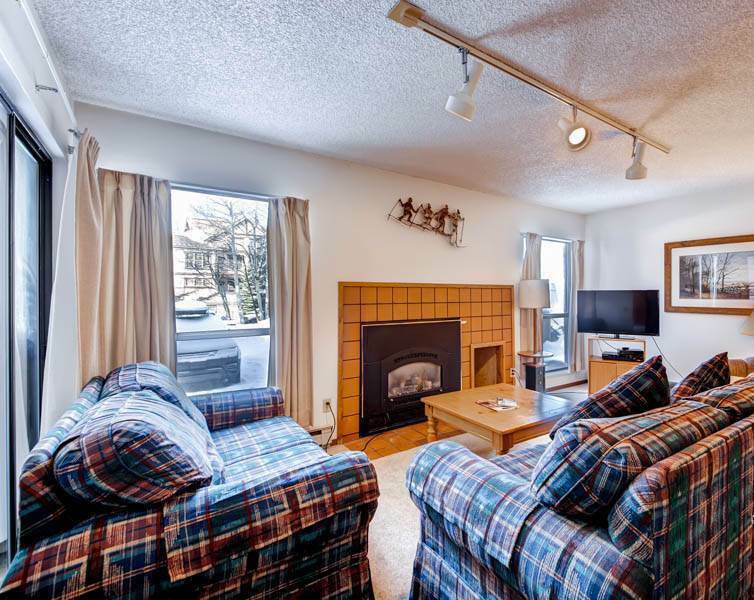 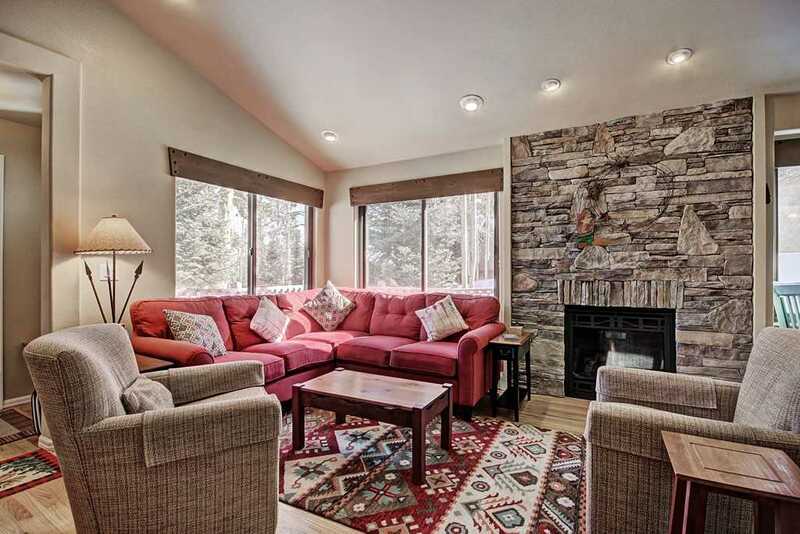 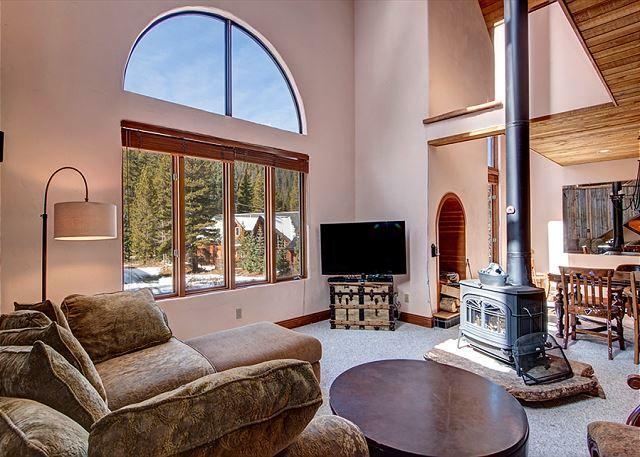 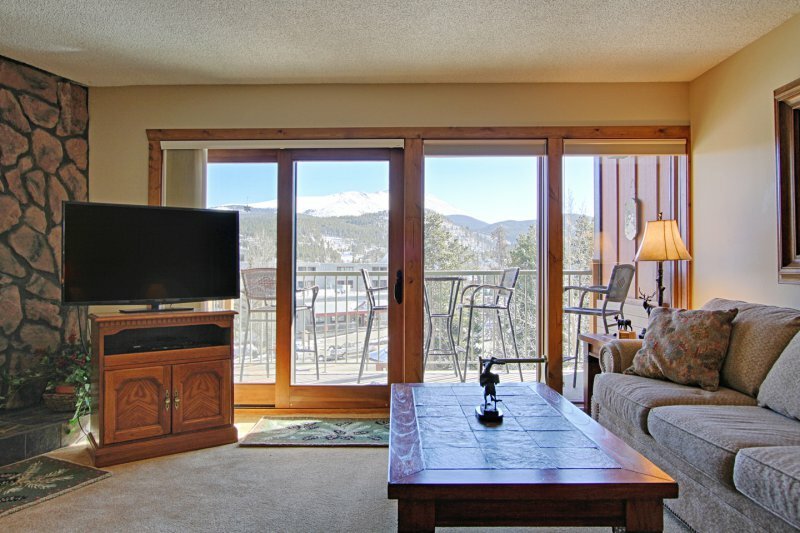 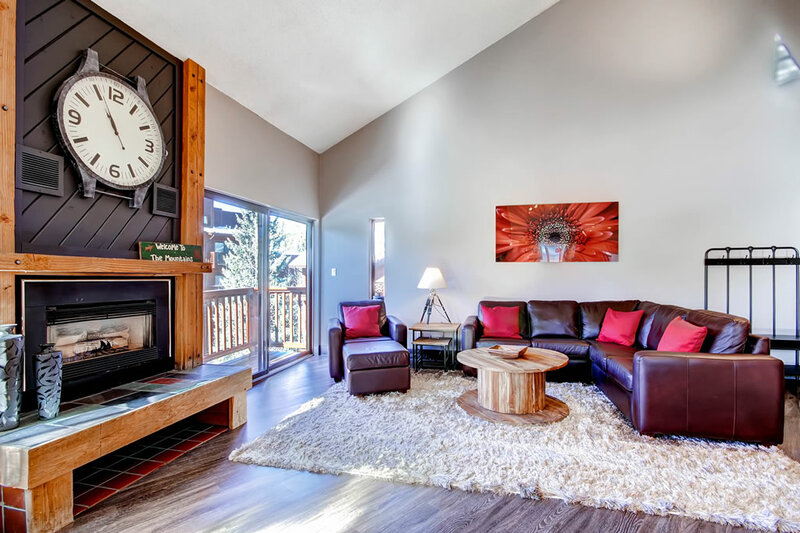 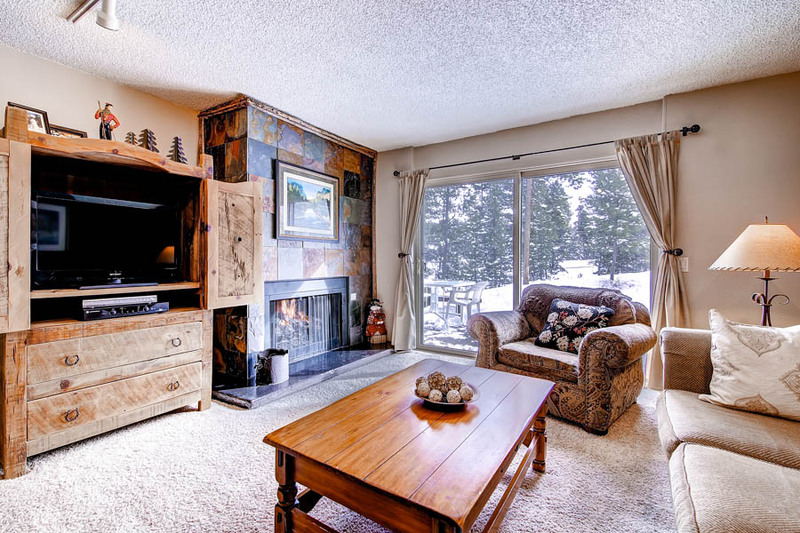 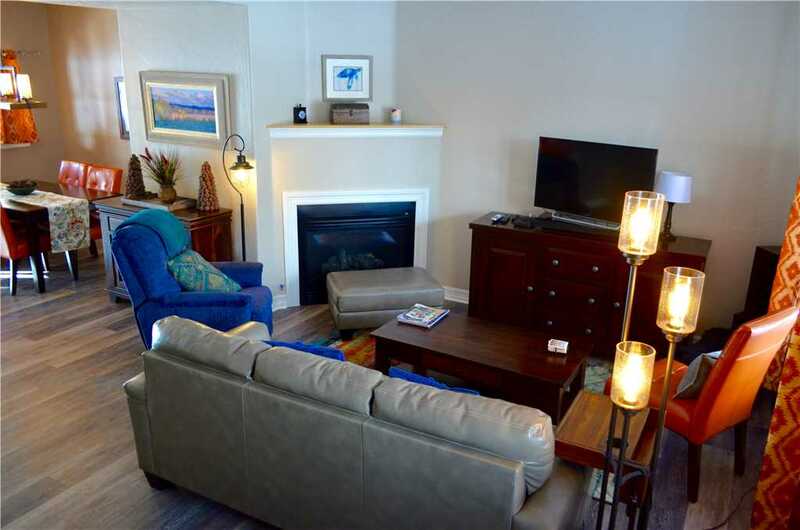 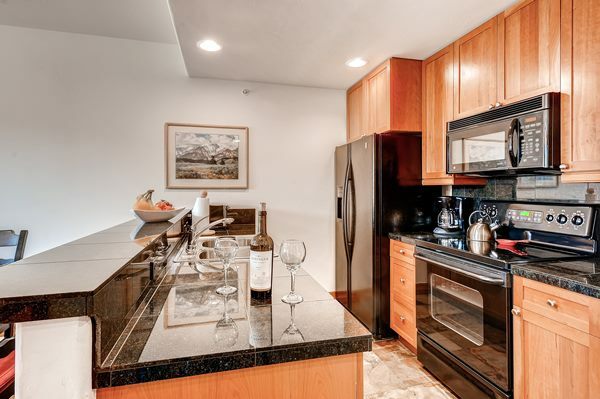 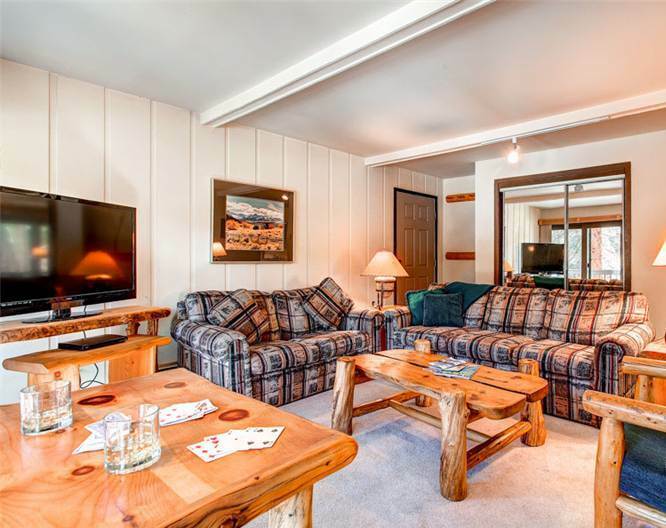 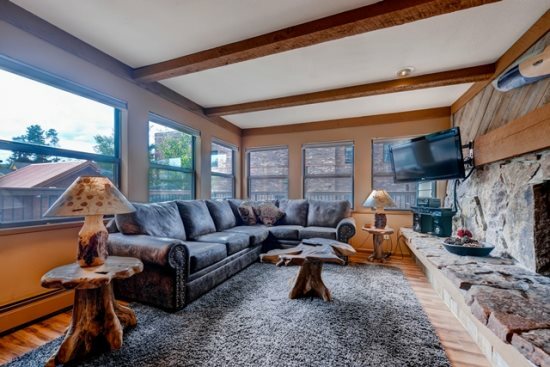 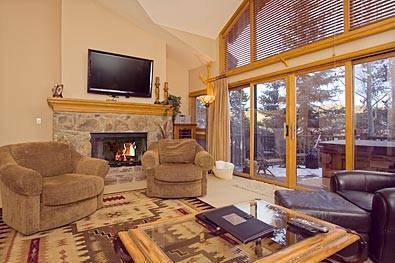 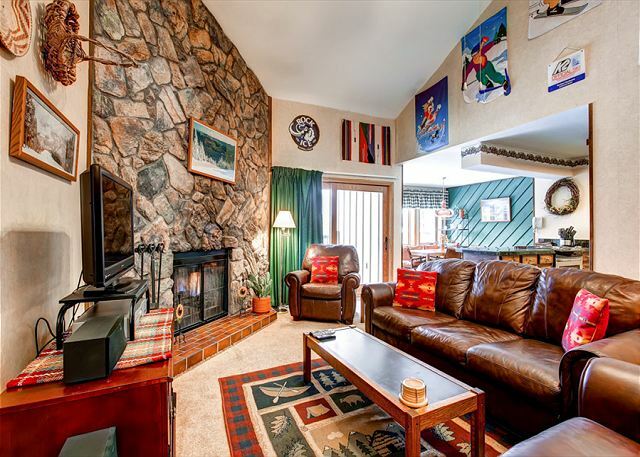 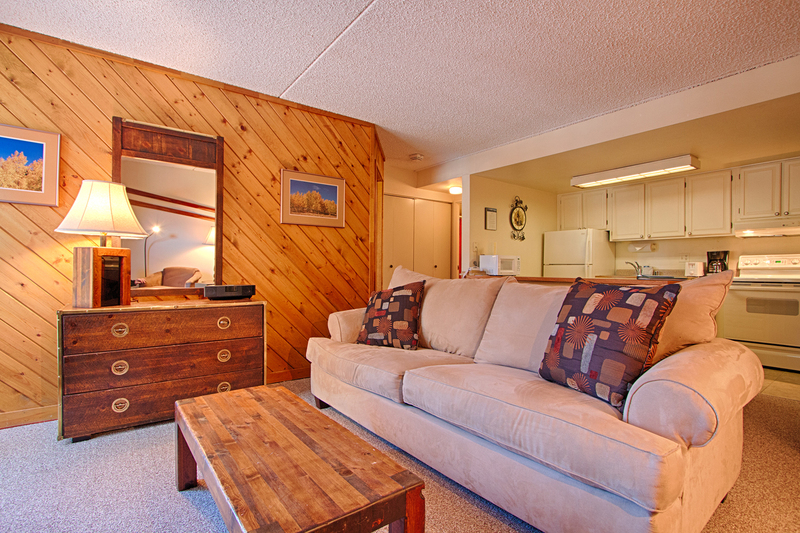 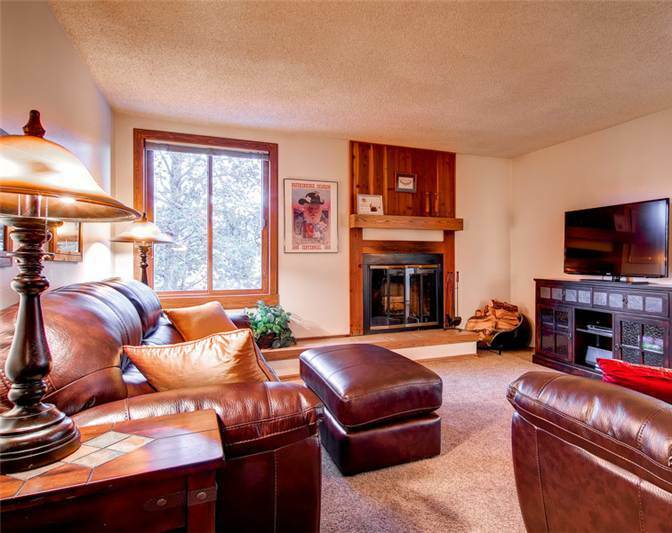 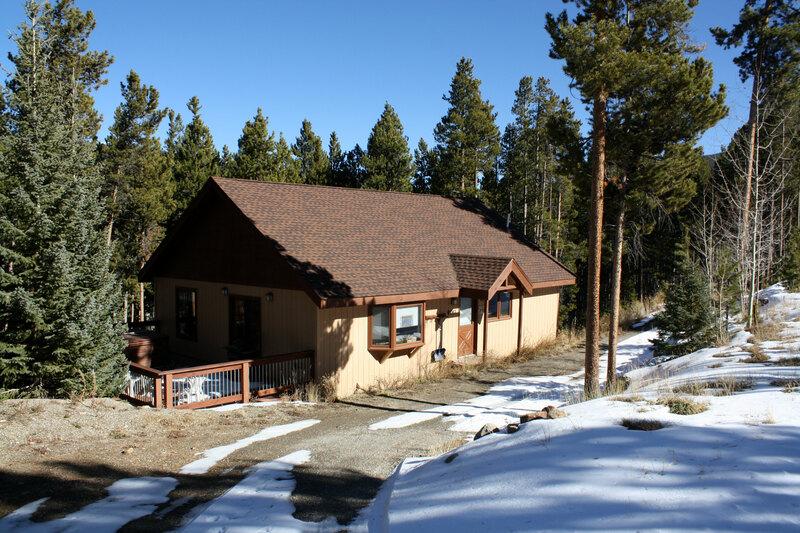 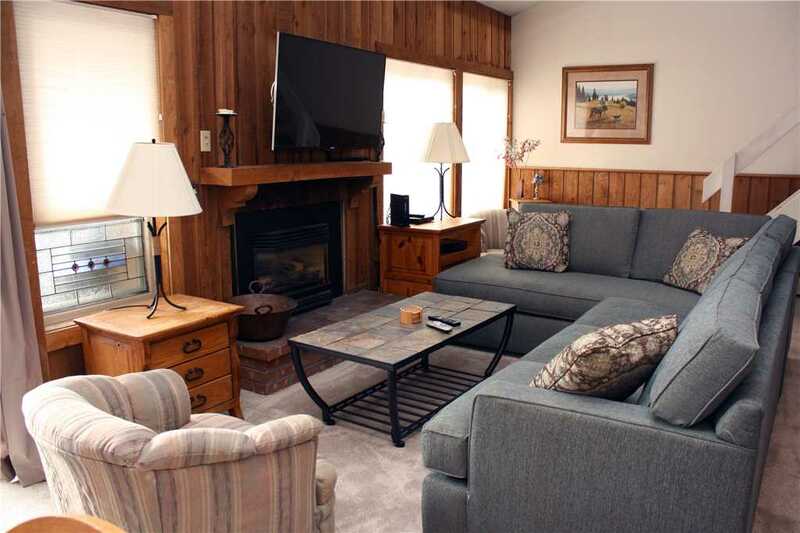 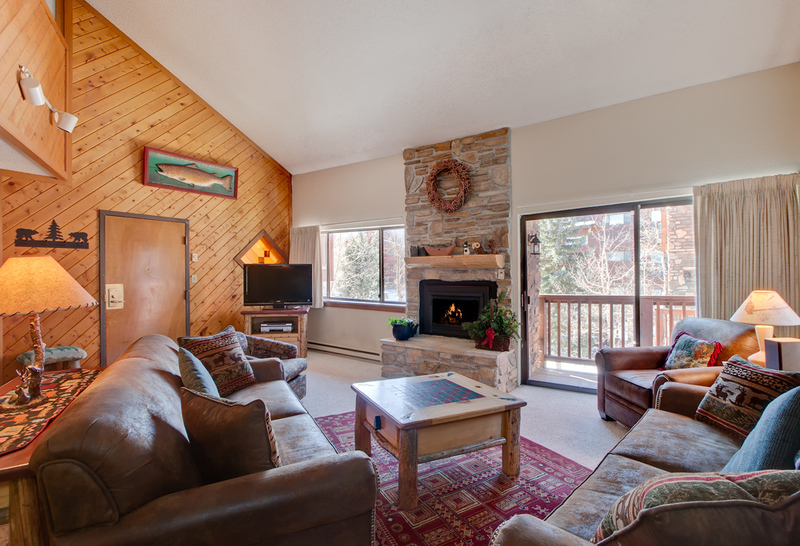 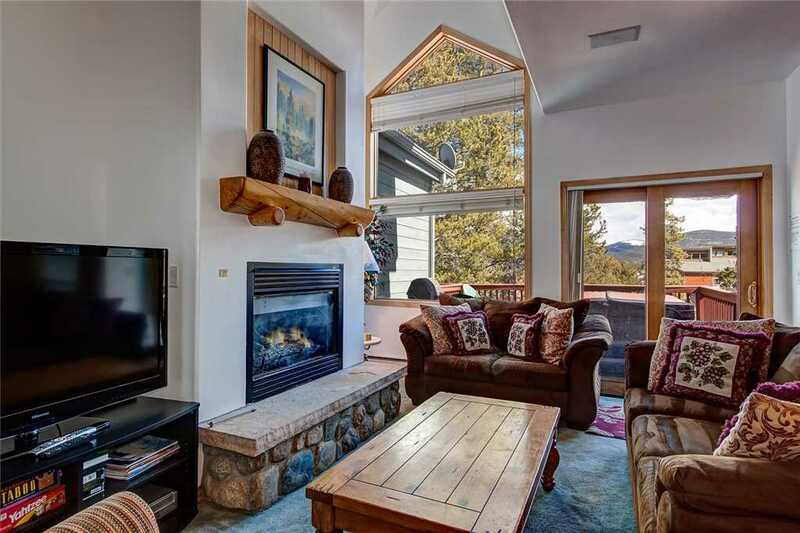 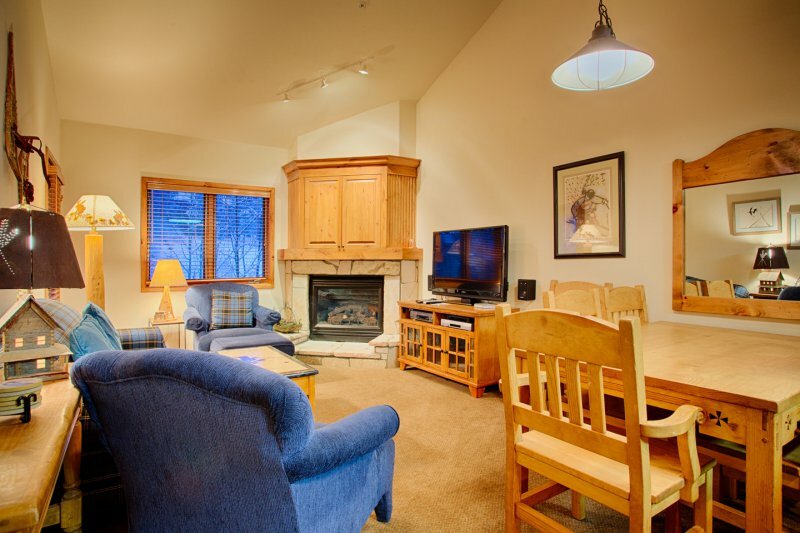 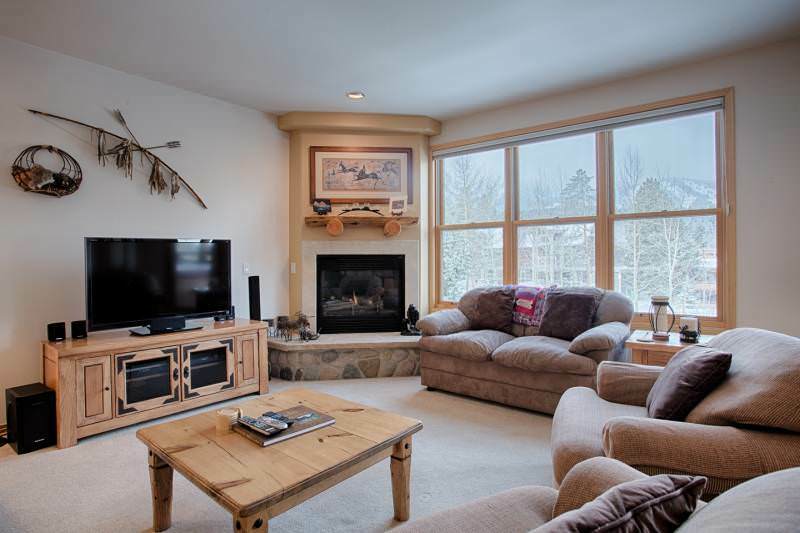 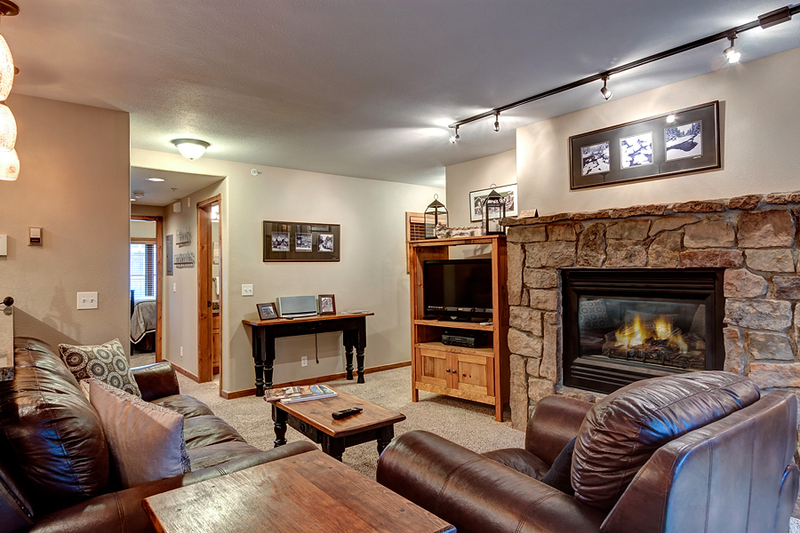 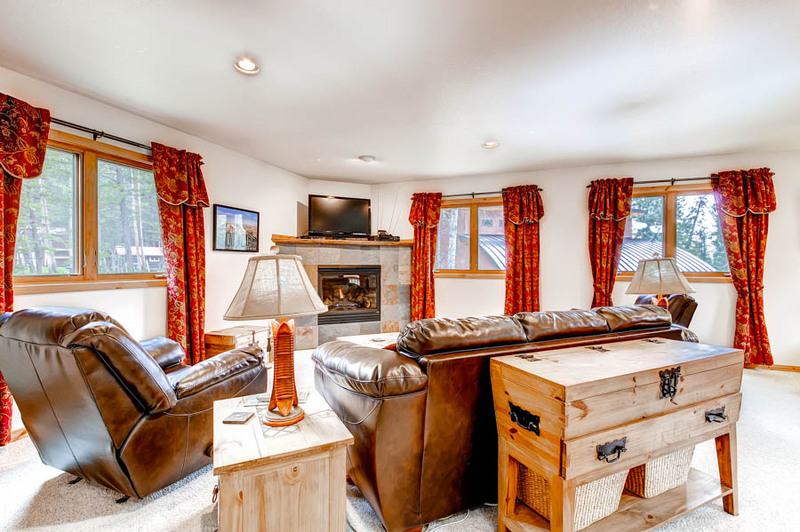 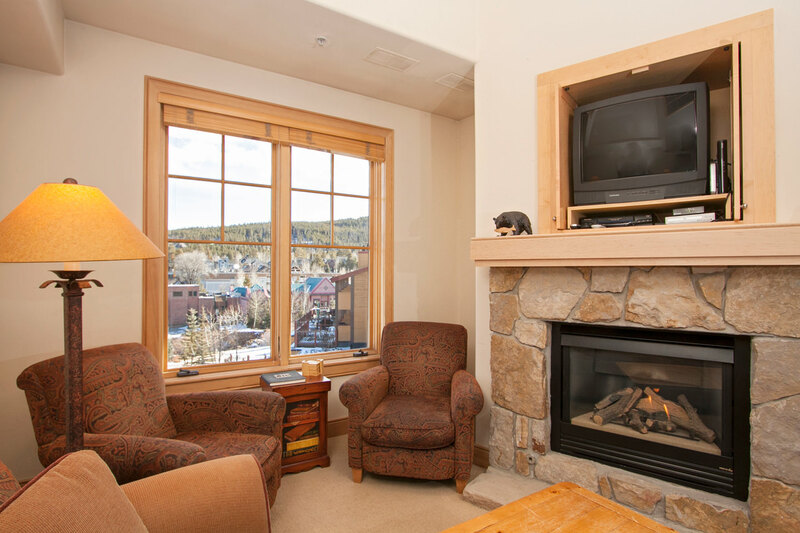 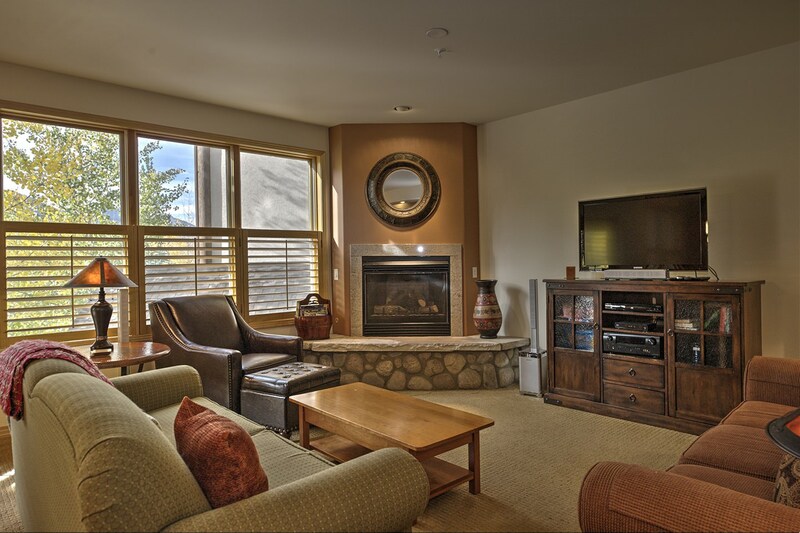 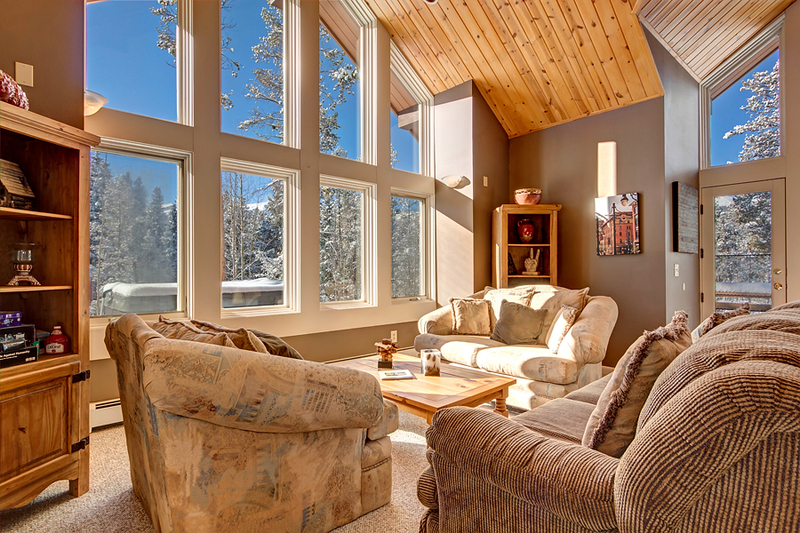 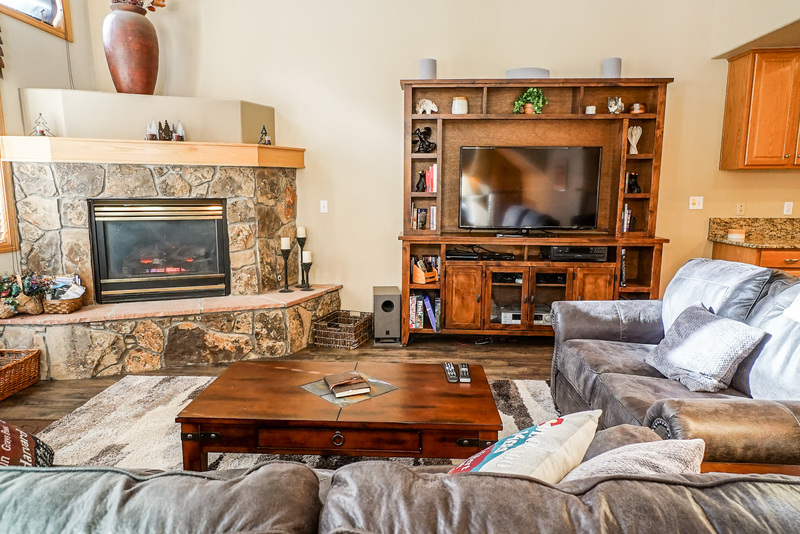 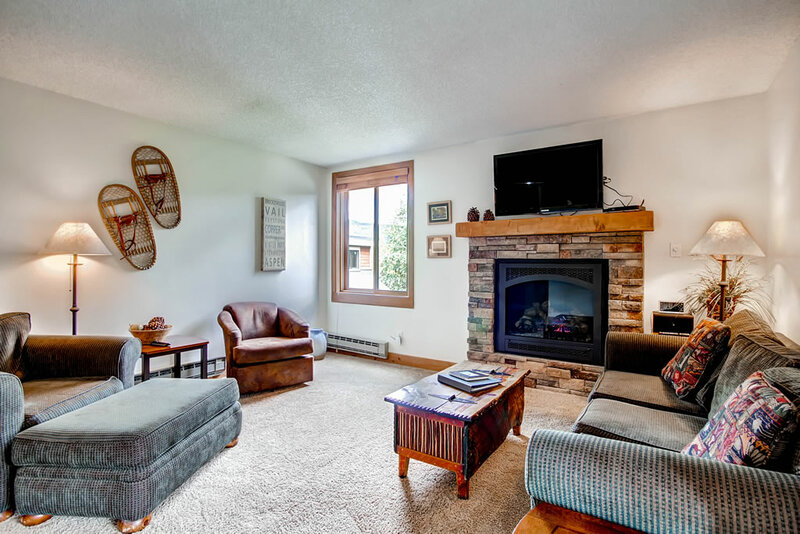 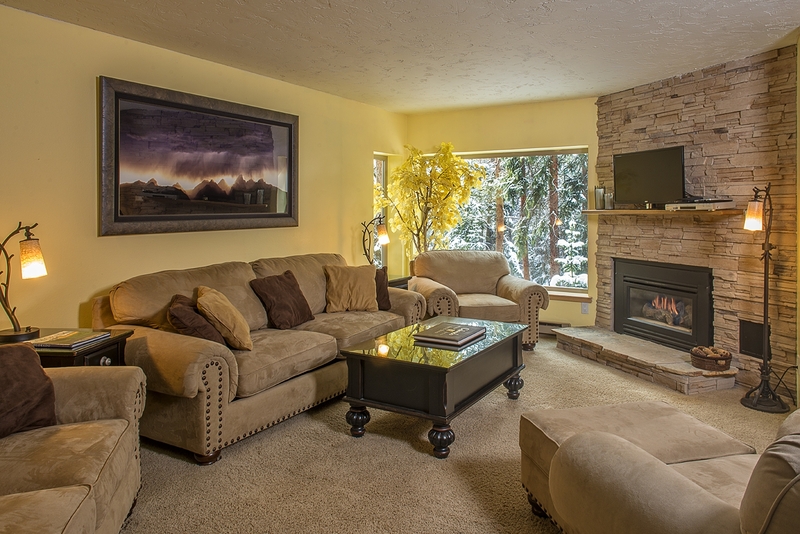 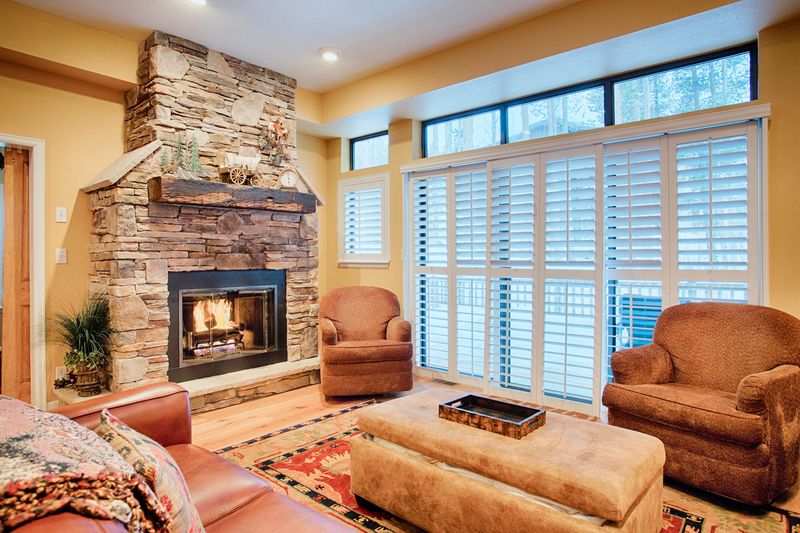 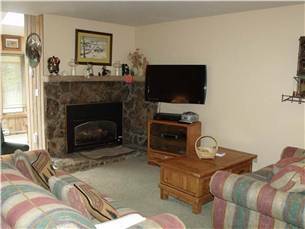 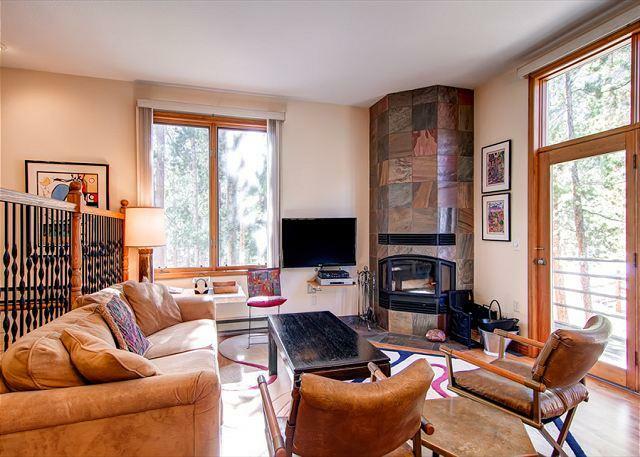 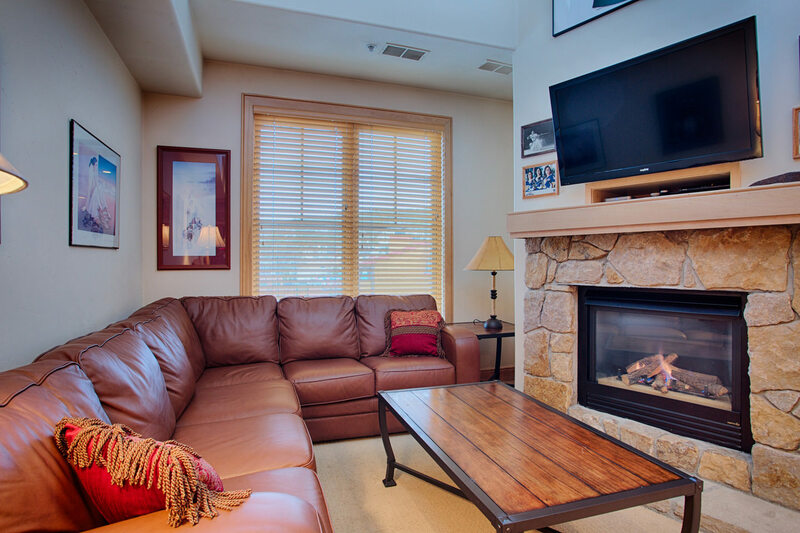 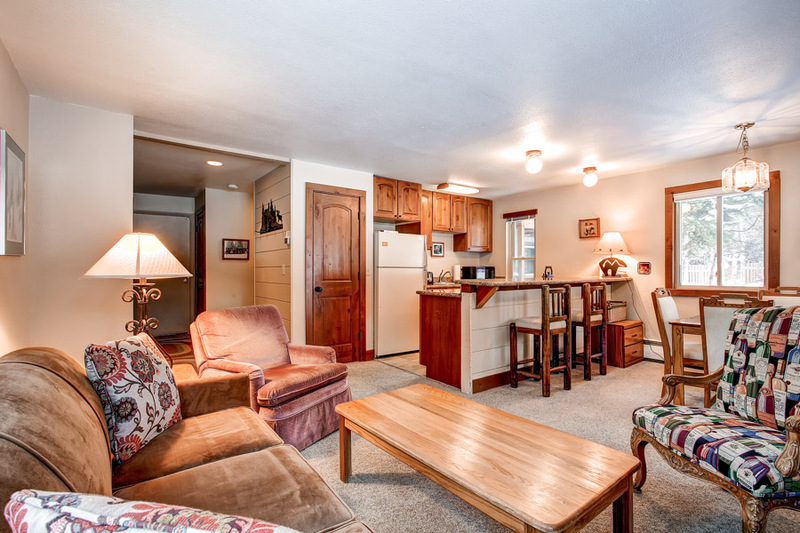 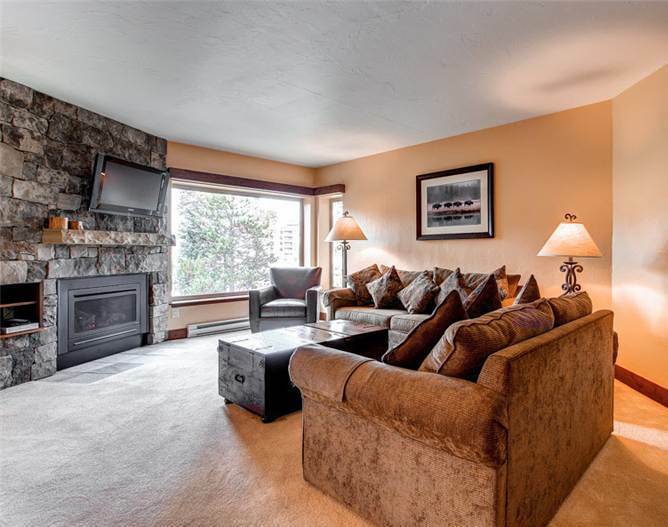 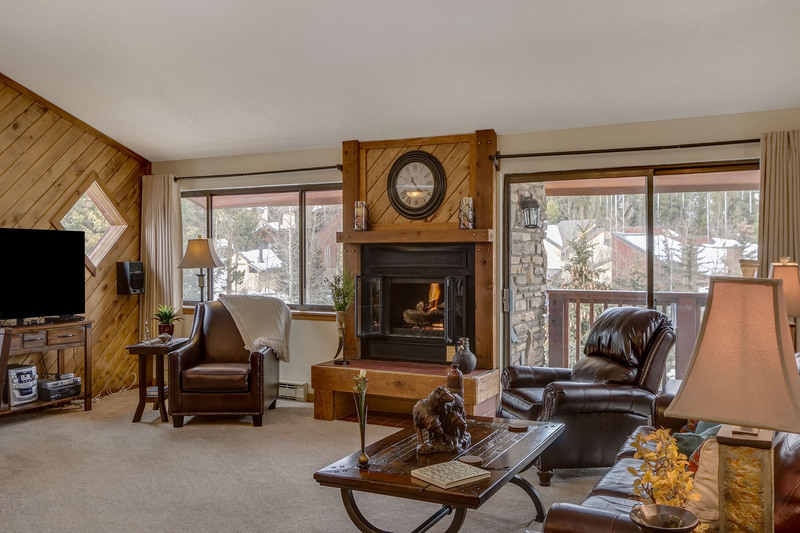 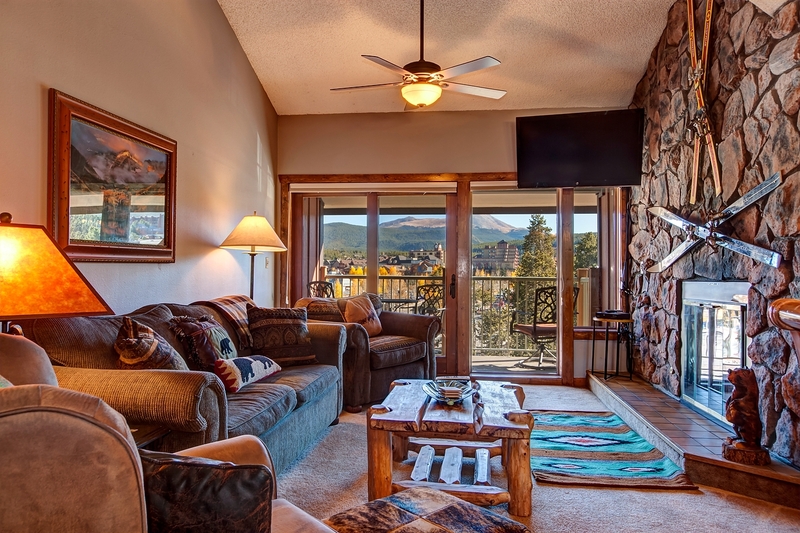 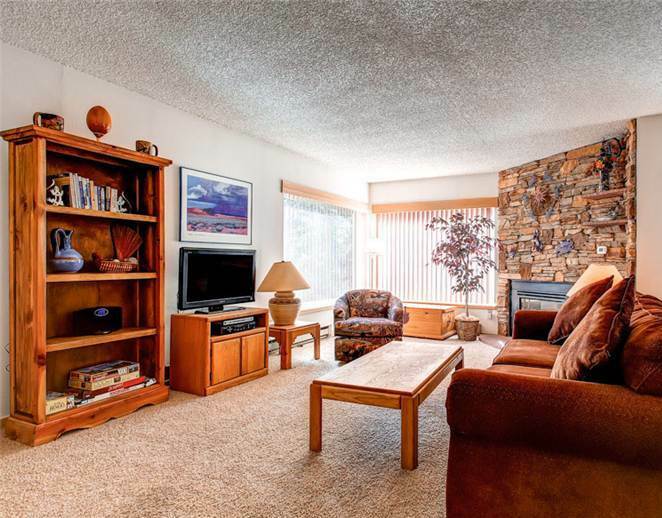 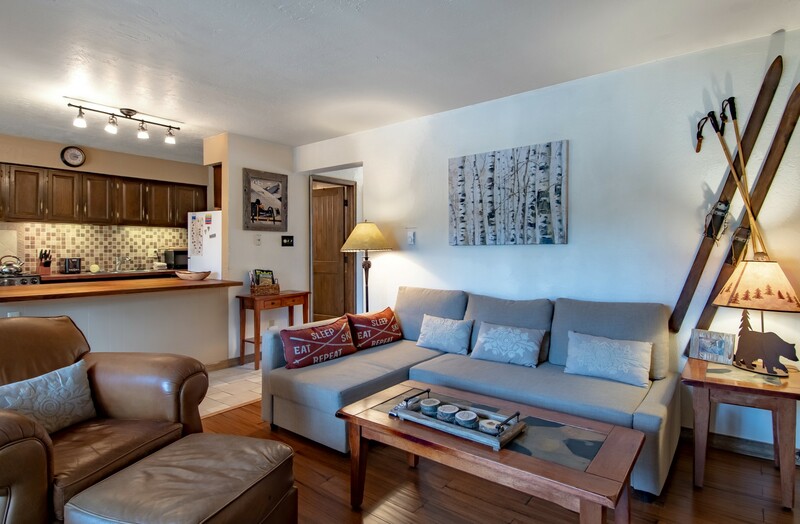 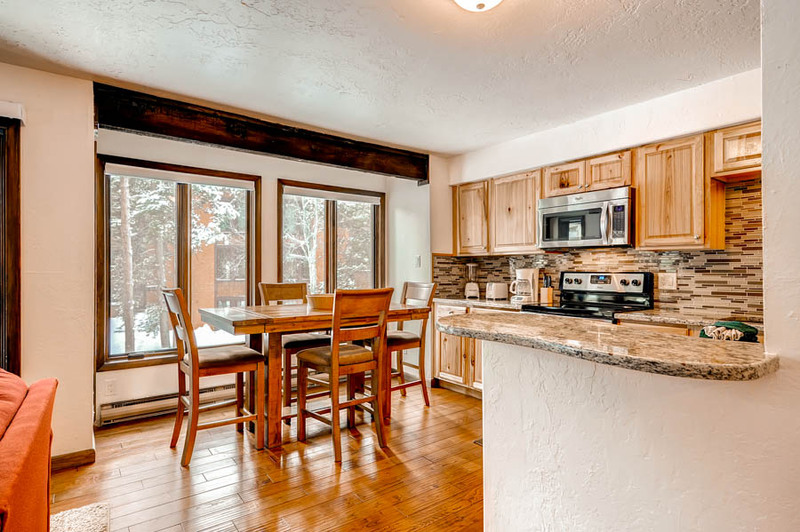 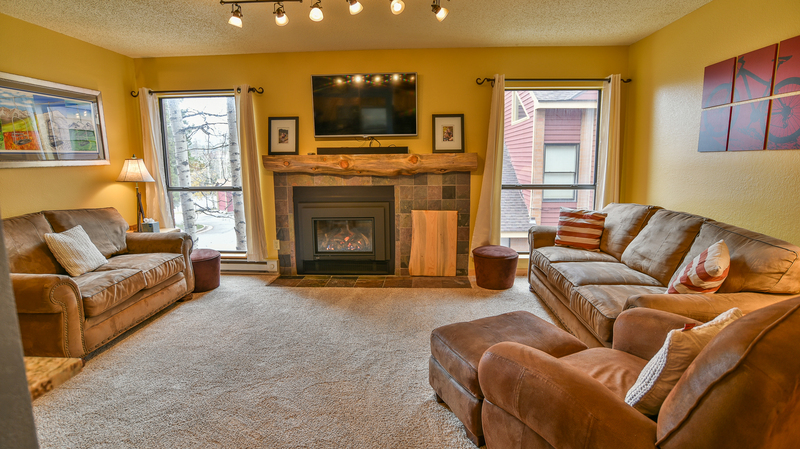 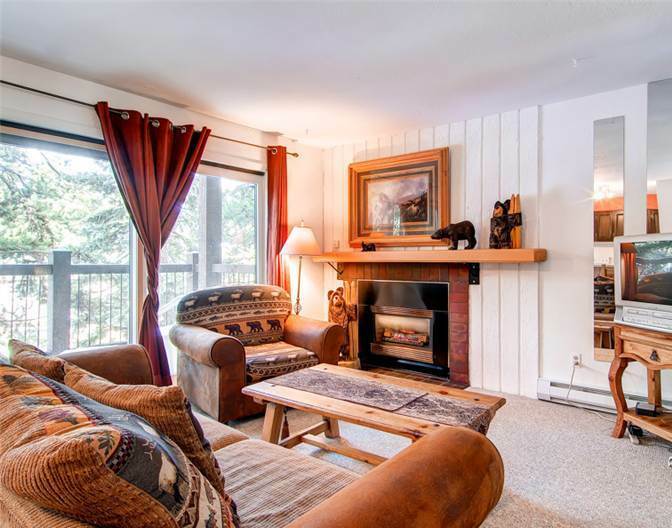 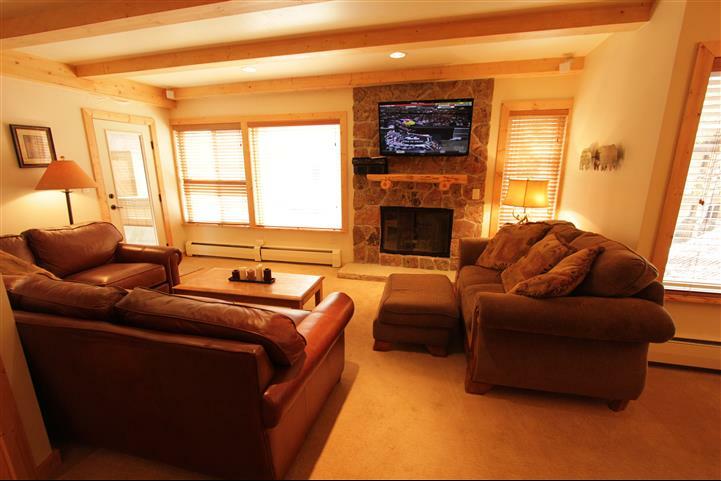 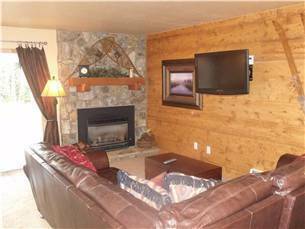 If you are looking for a convenient walk to the slopes location, a cozy interior, ski area views, pool and hot tub access, free shuttle access, and the ease of strolling to downtown Breck, this Lances West is you vacation spot.